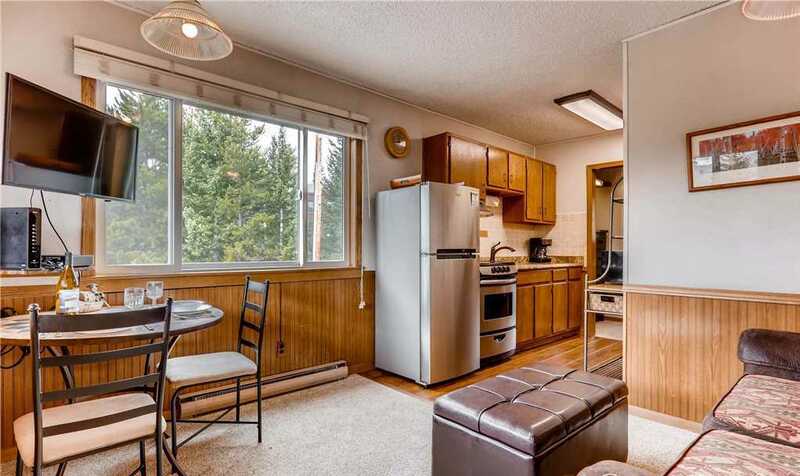 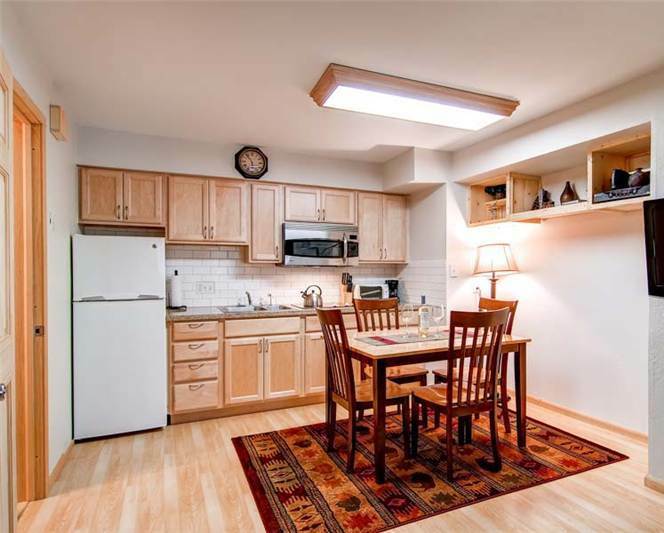 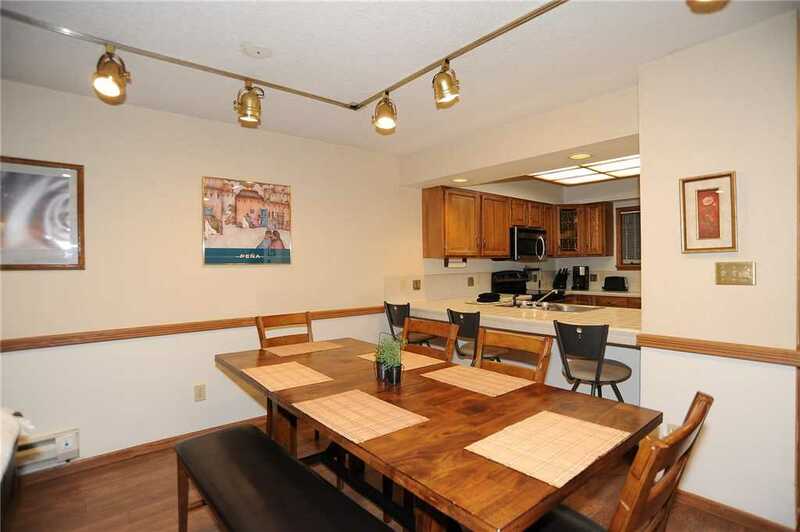 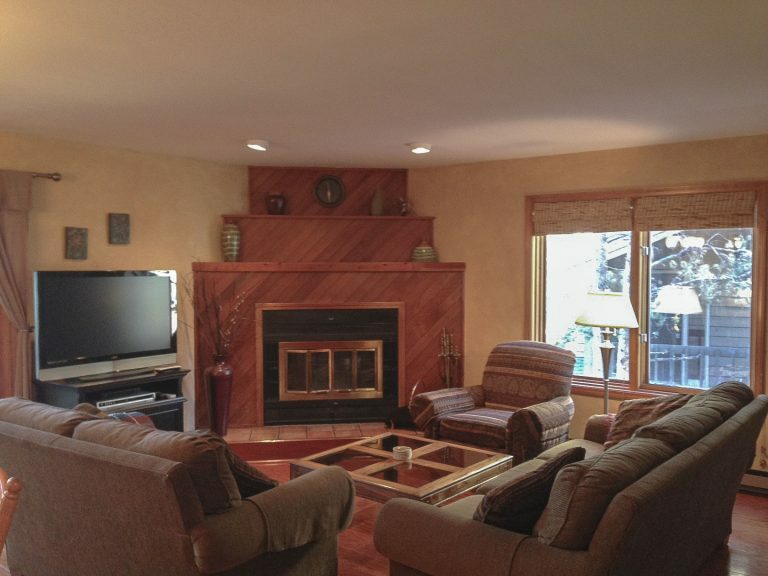 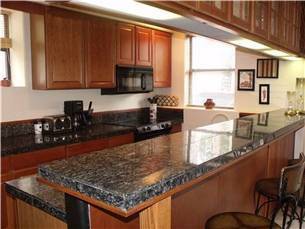 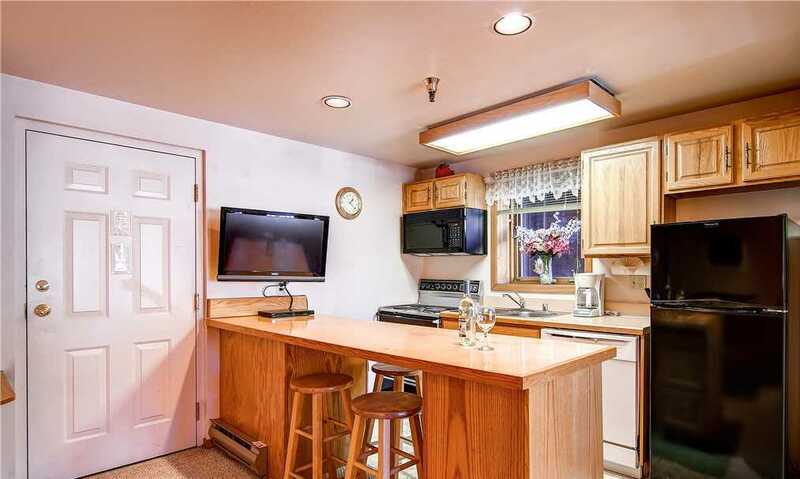 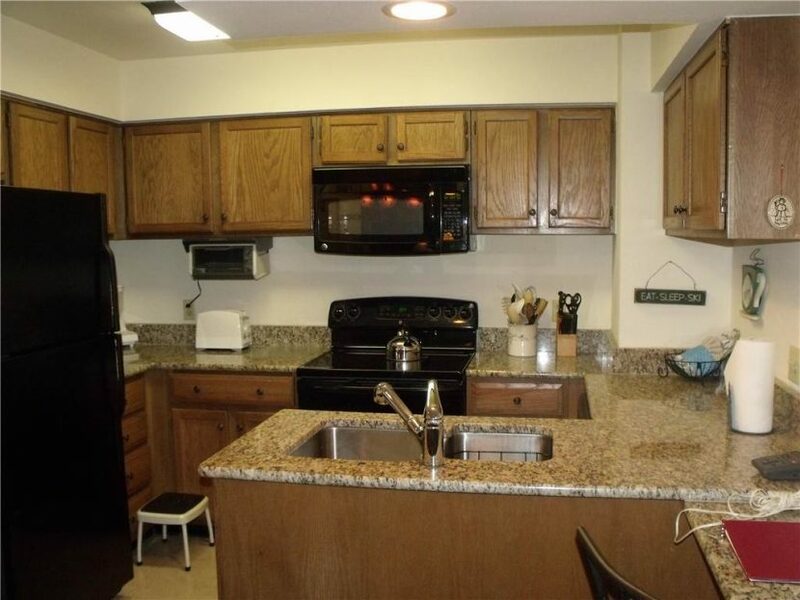 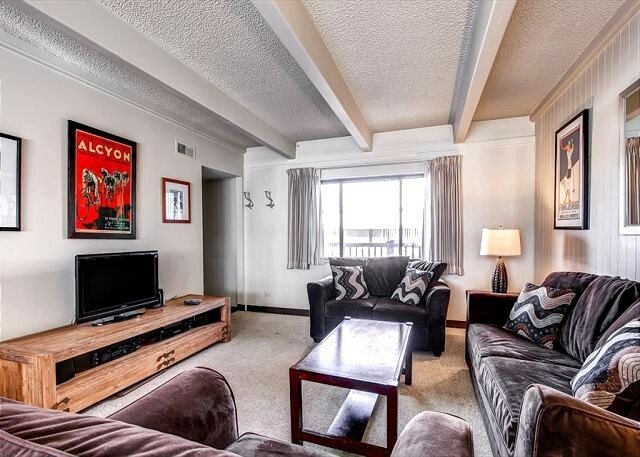 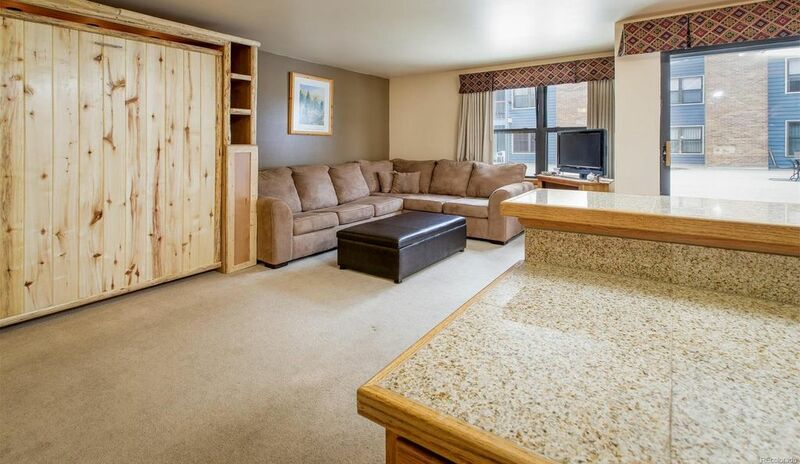 Guests looking for an attractive, quiet unit will be in heaven in 3F. 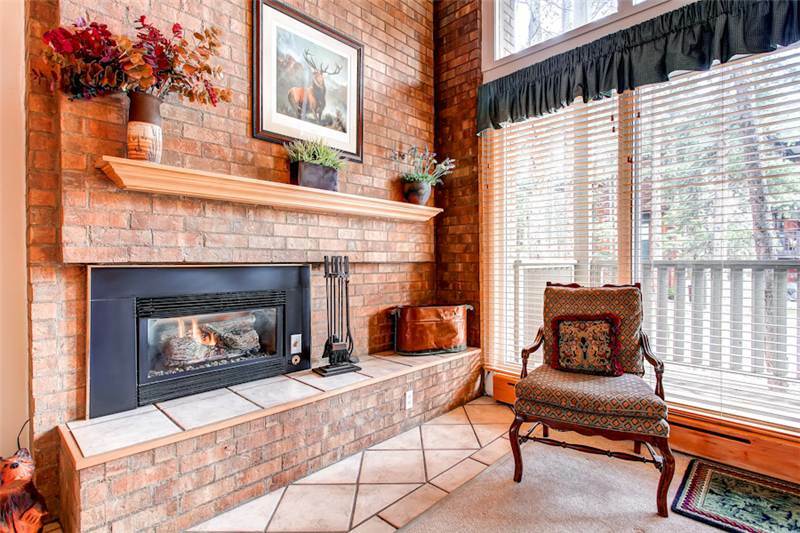 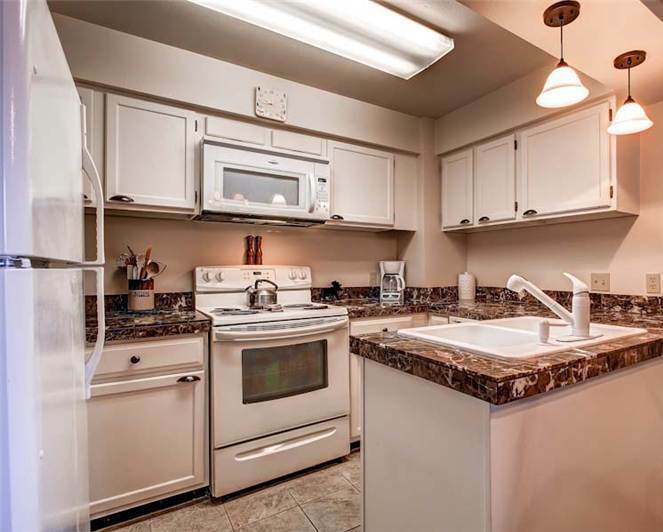 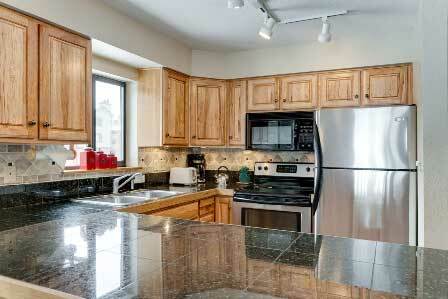 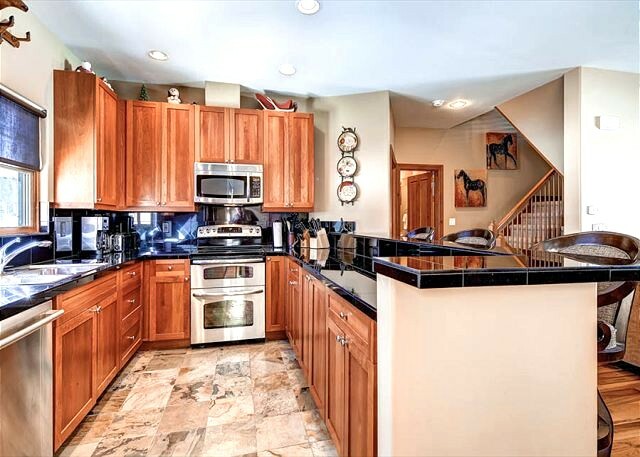 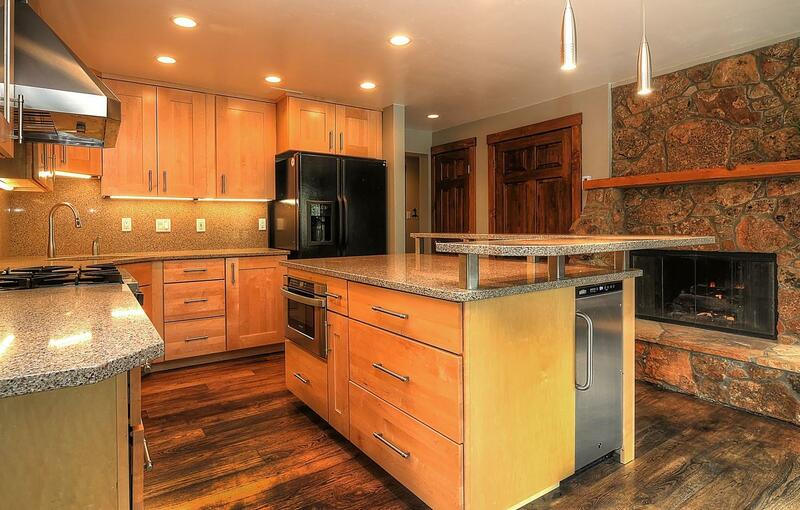 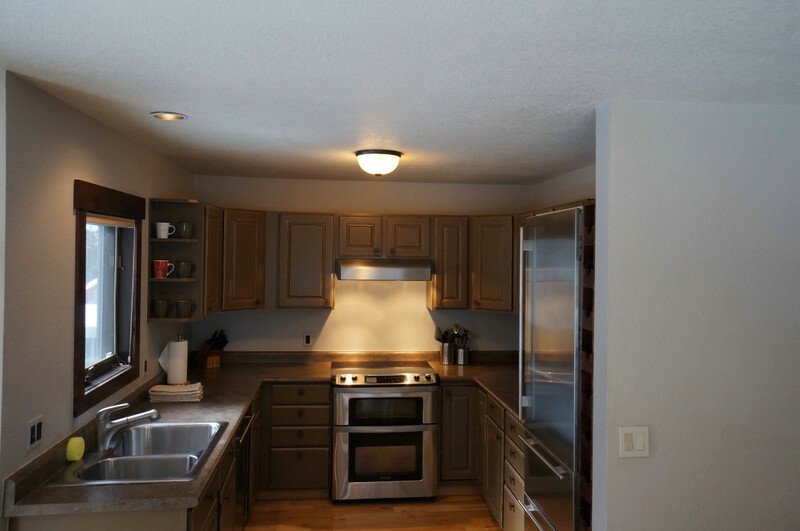 Not only is this Gold-rated unit on the top floor, but it is also in the corner of the building. 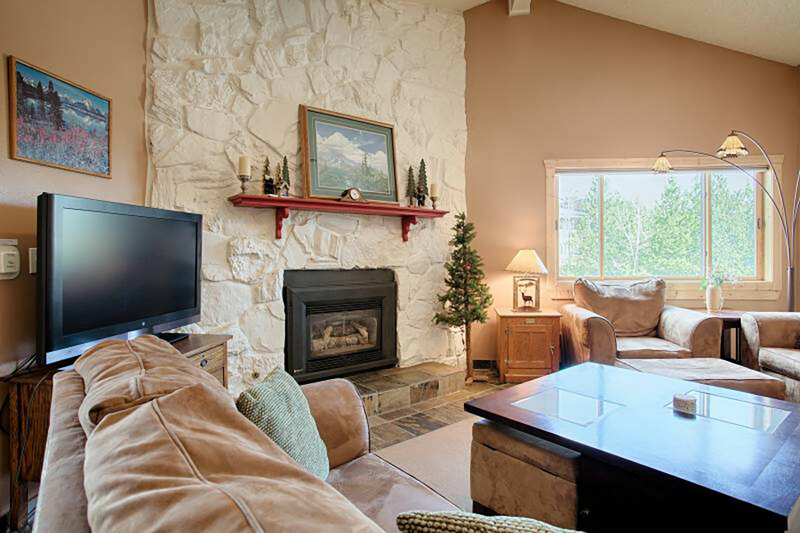 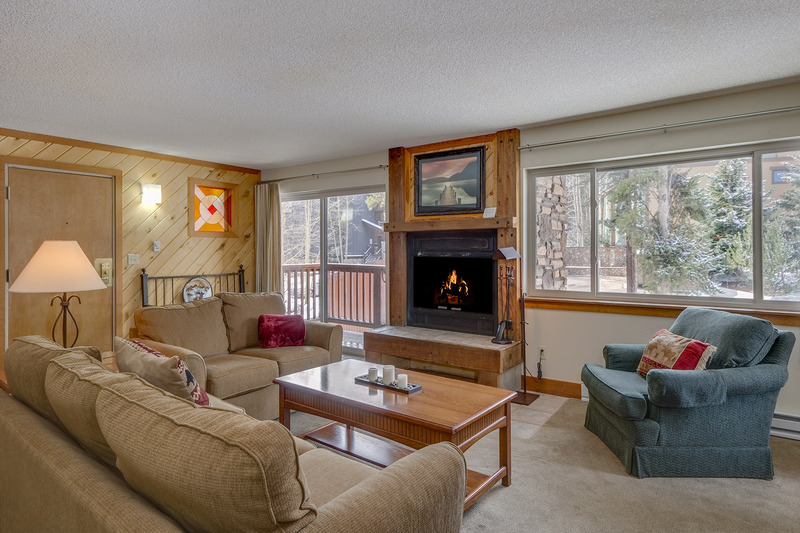 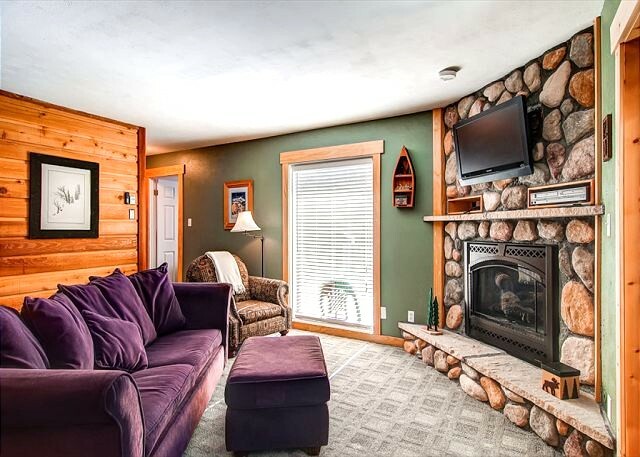 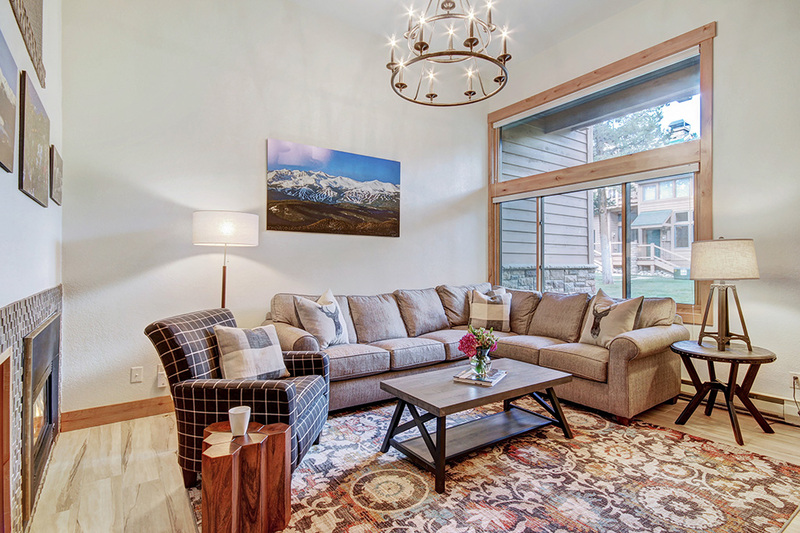 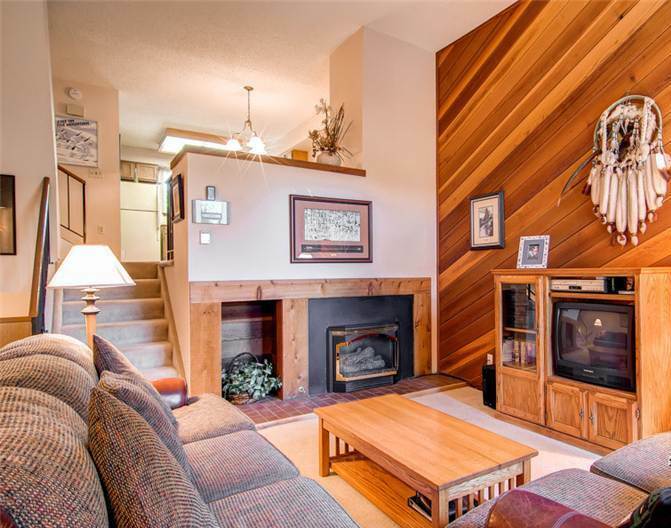 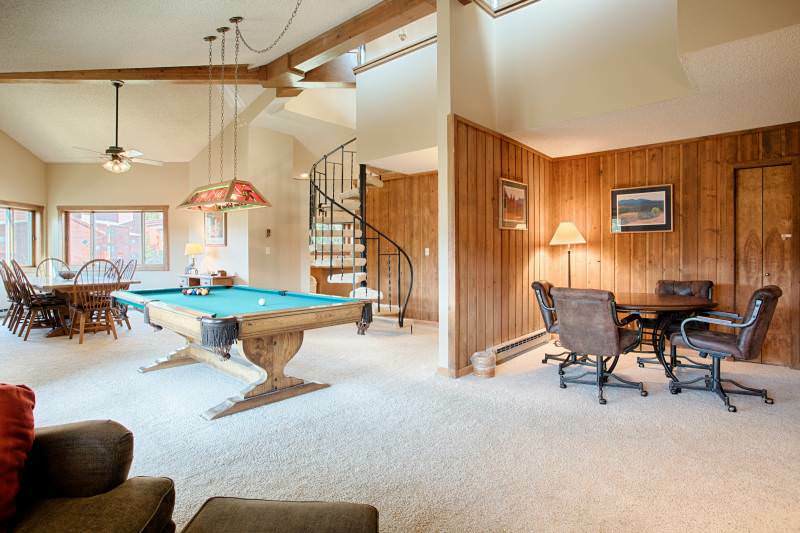 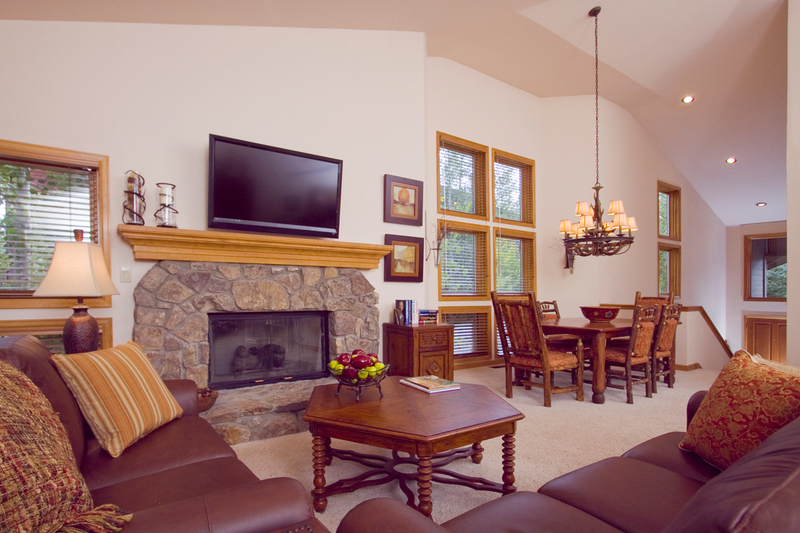 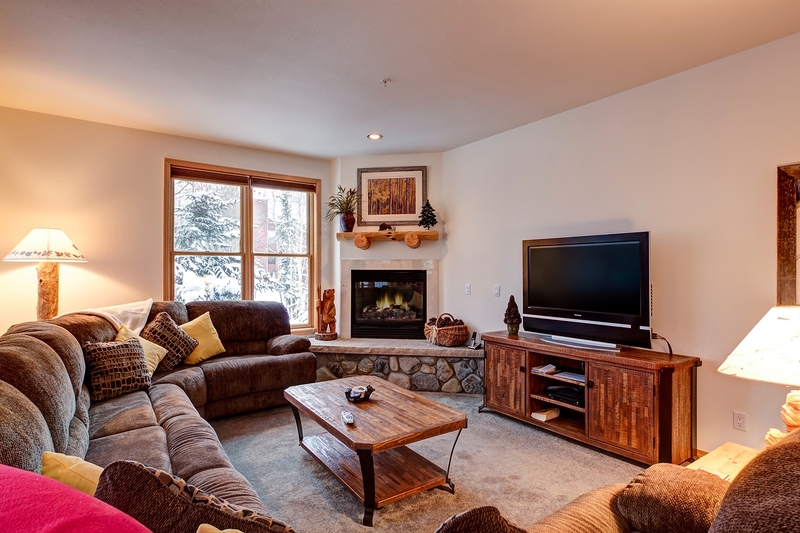 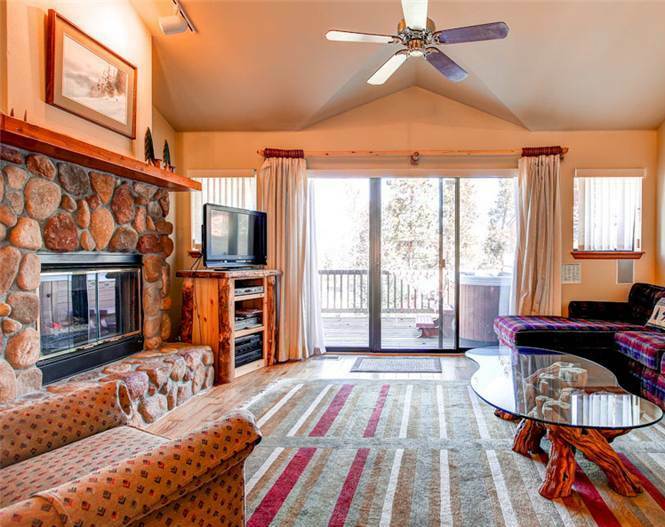 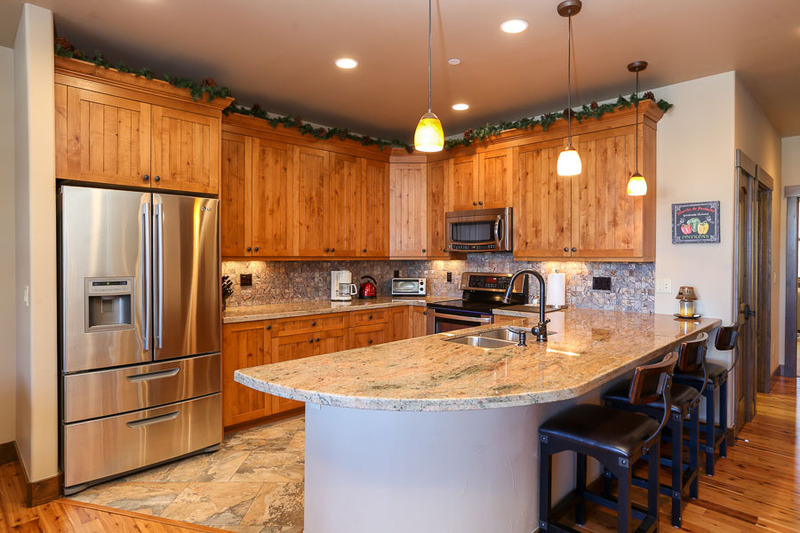 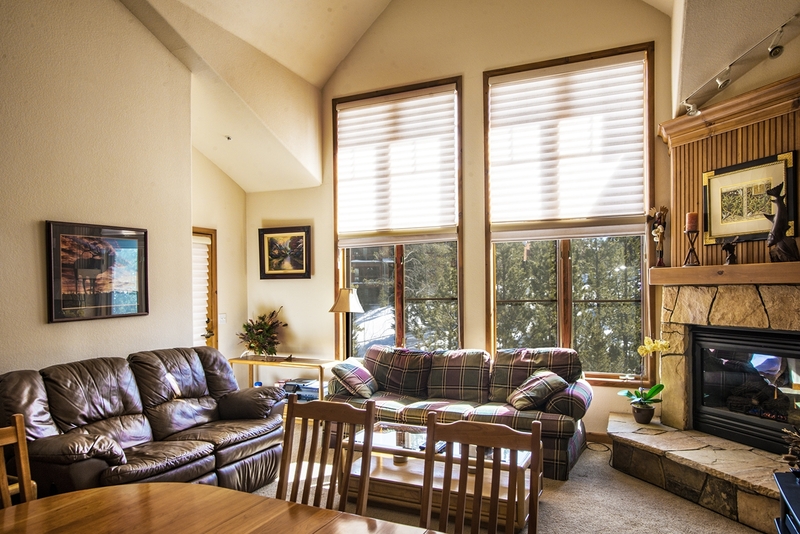 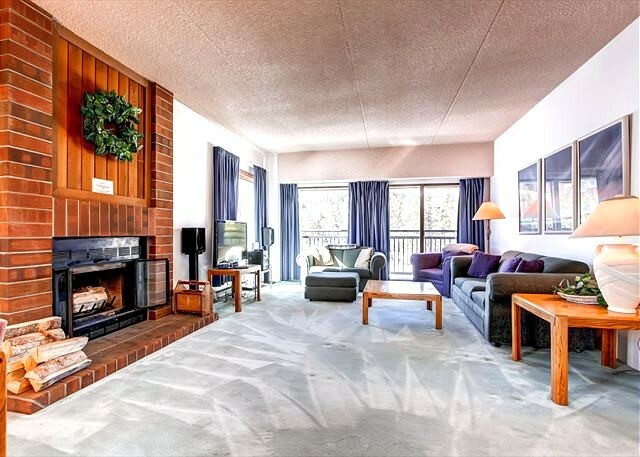 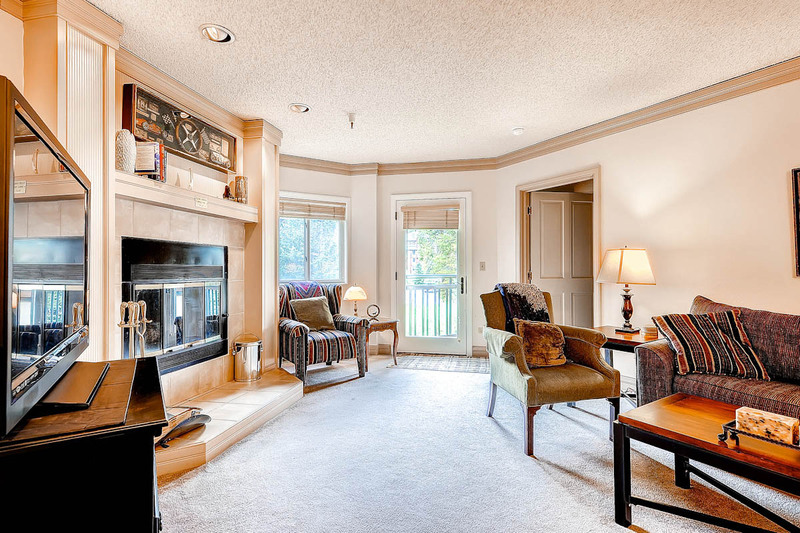 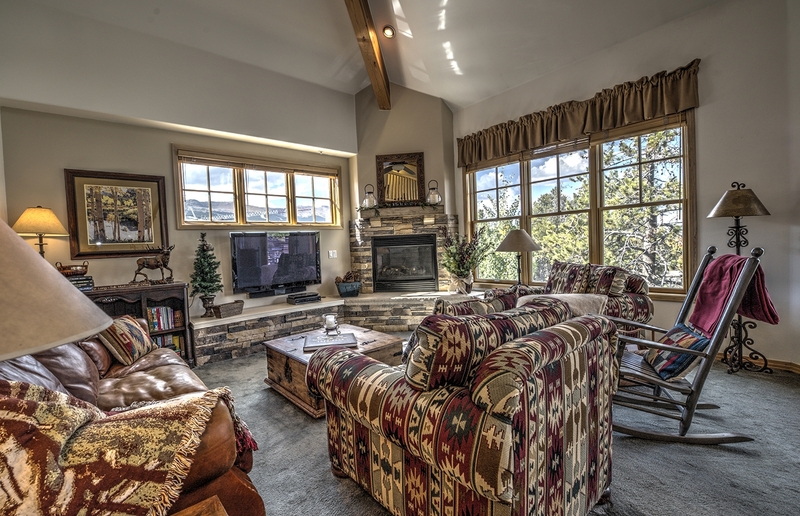 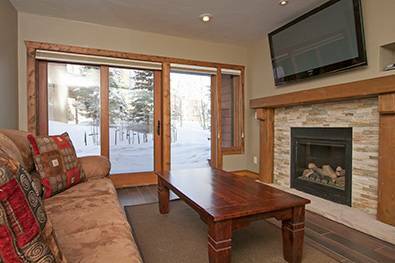 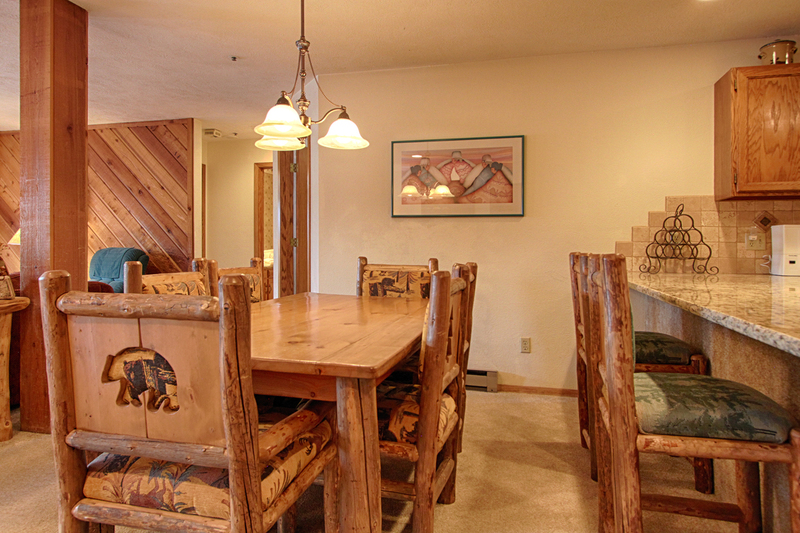 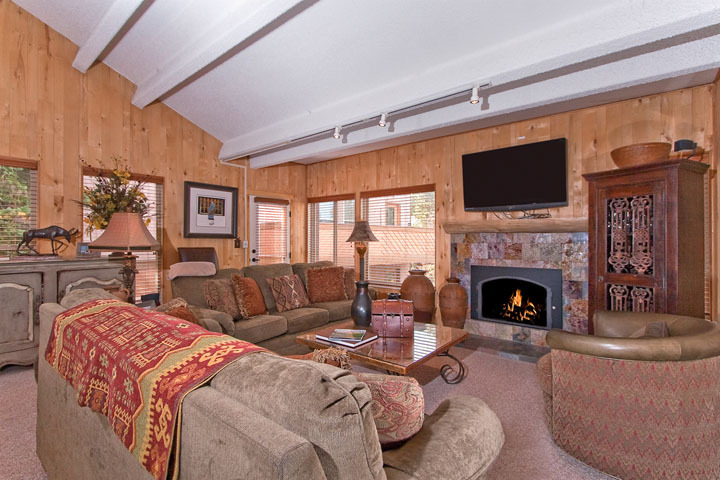 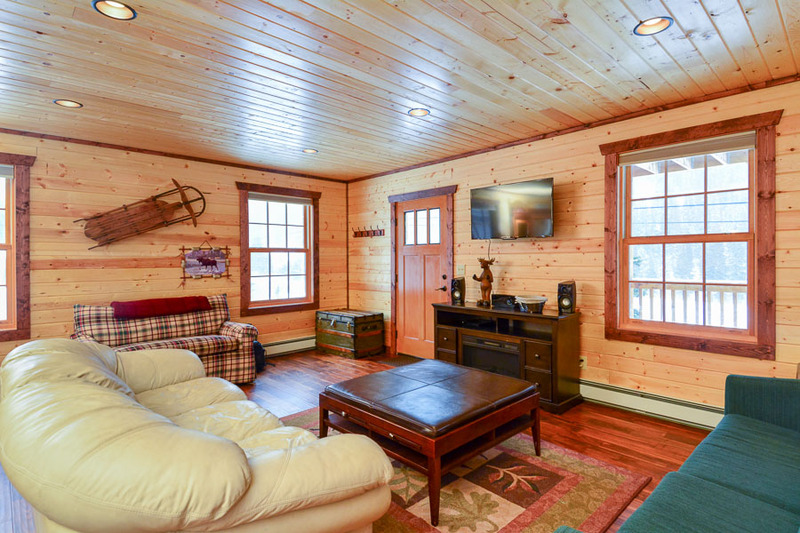 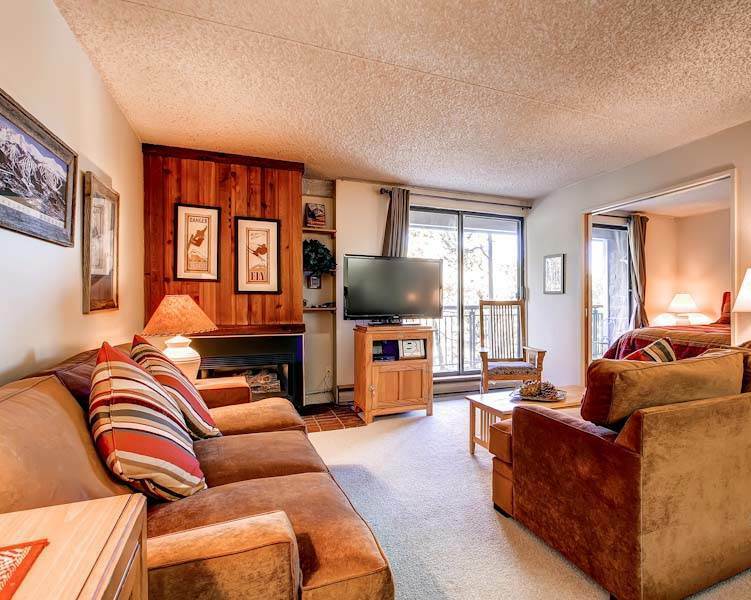 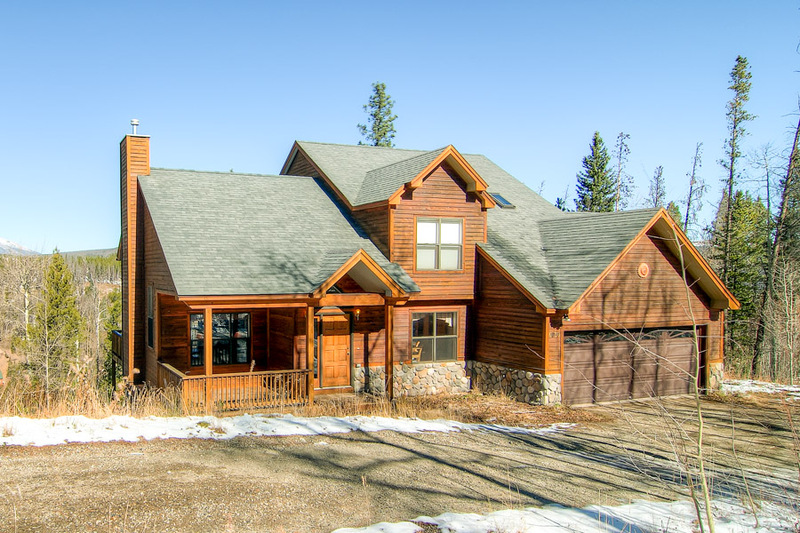 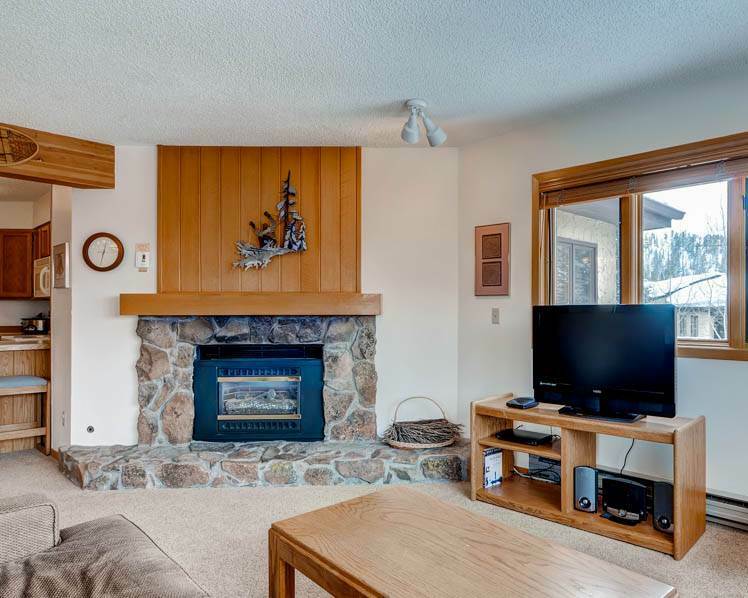 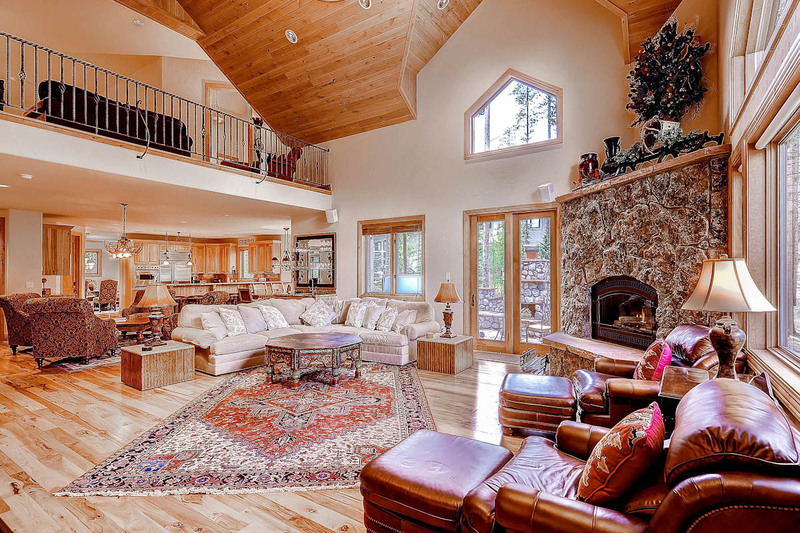 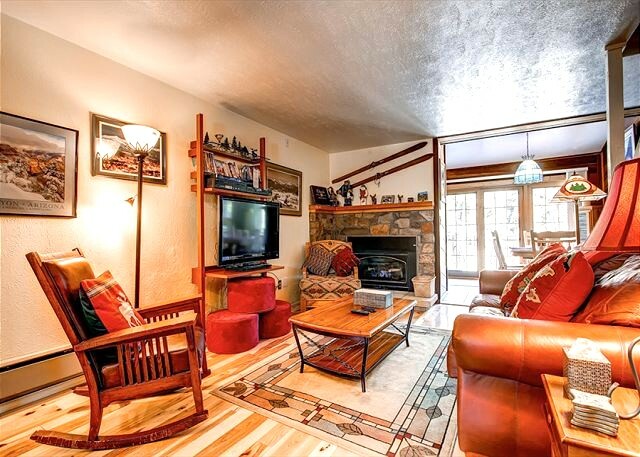 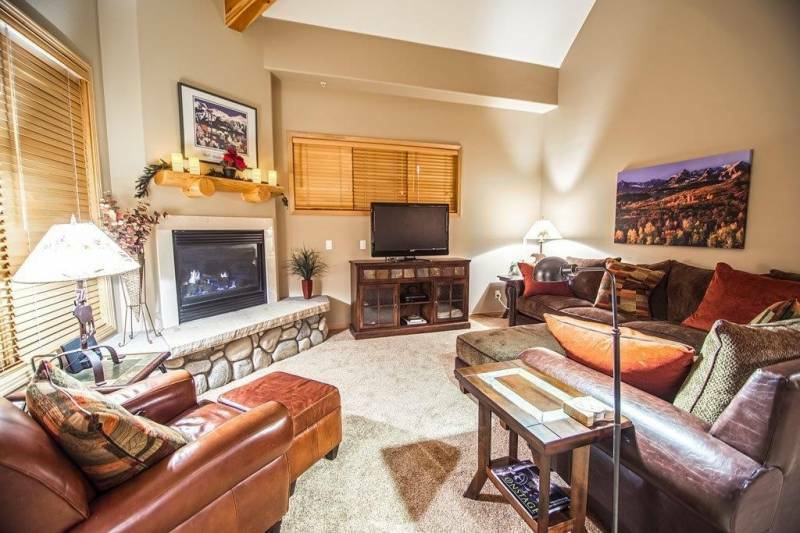 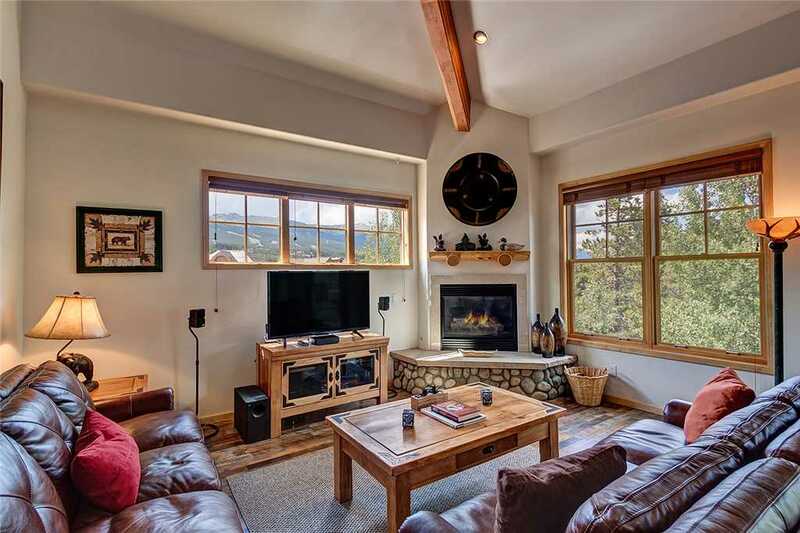 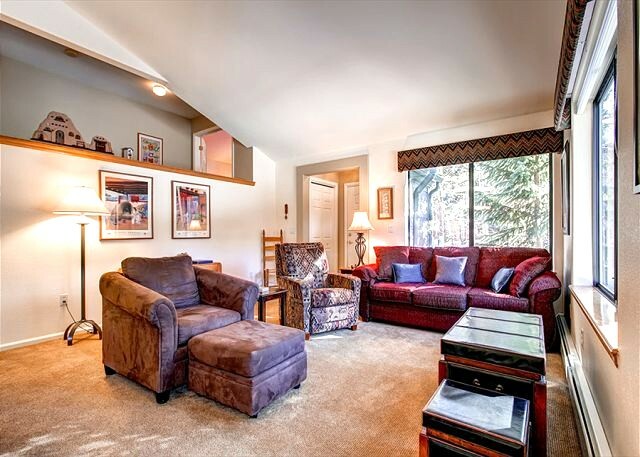 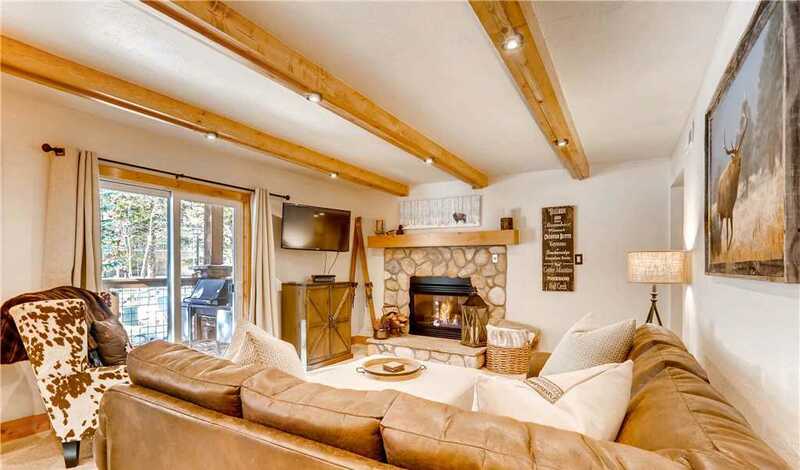 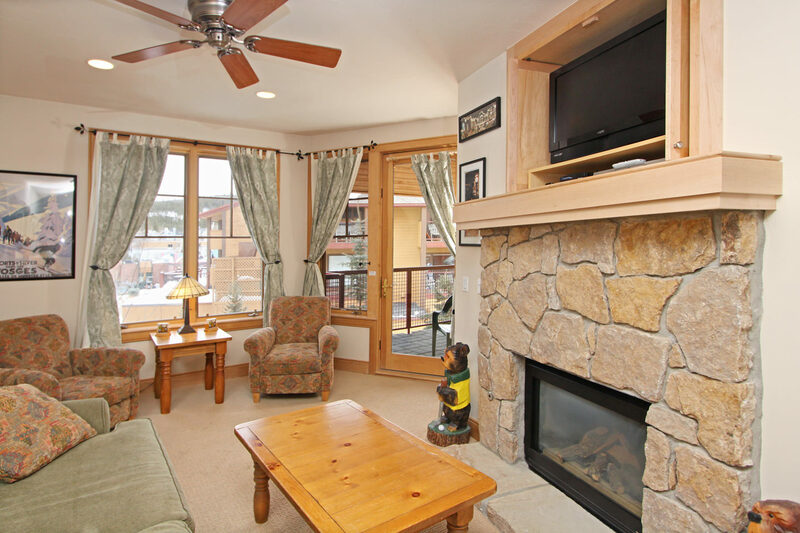 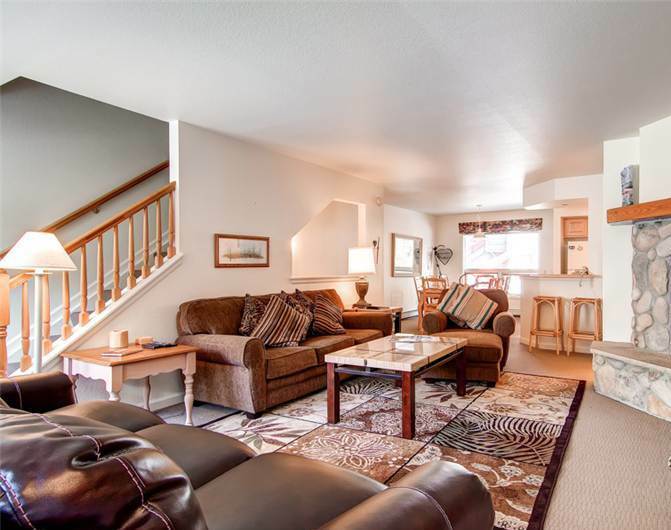 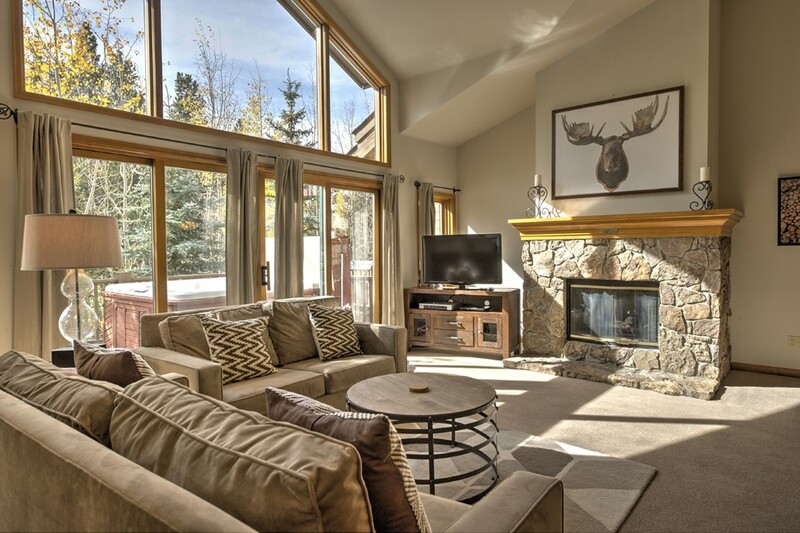 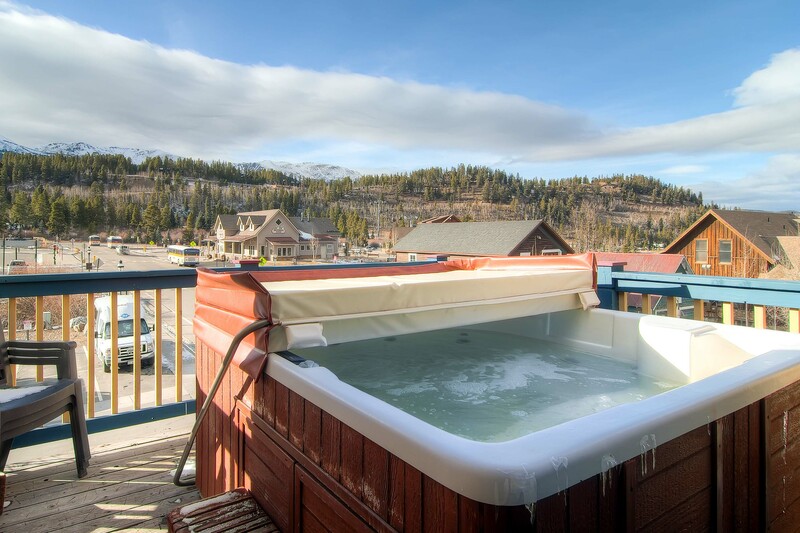 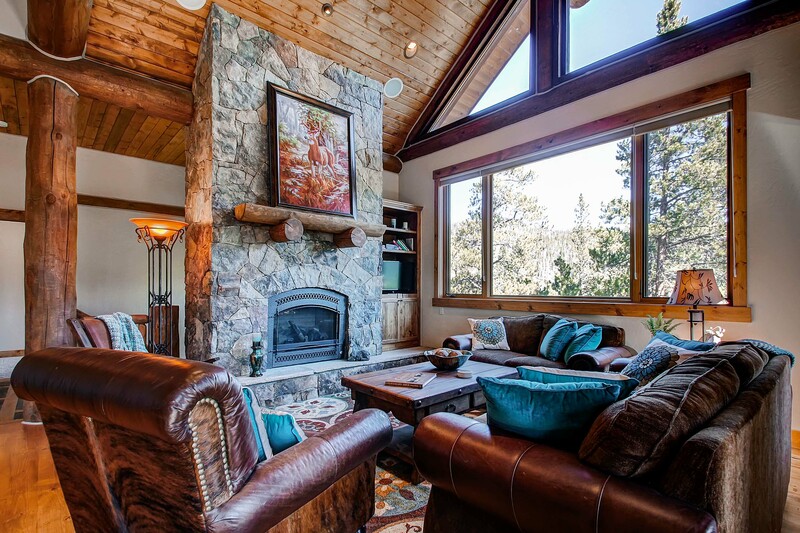 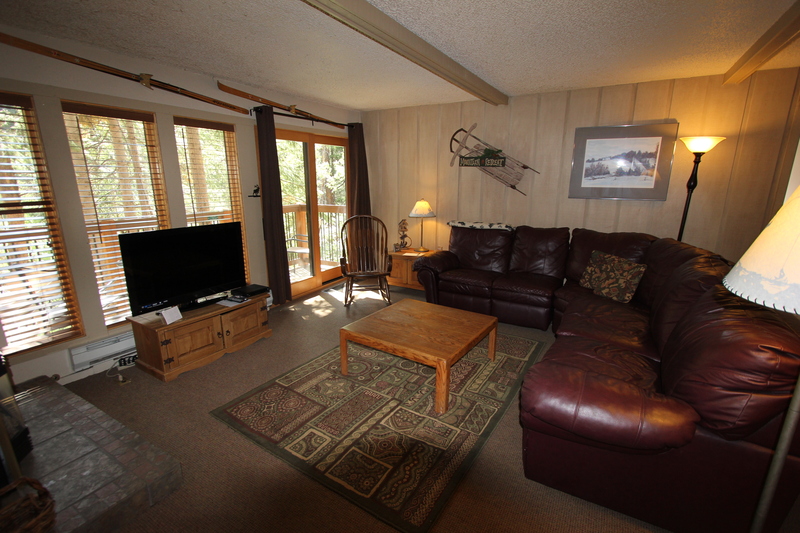 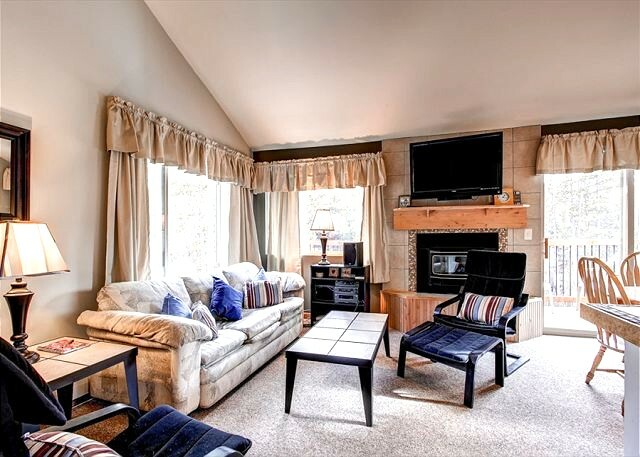 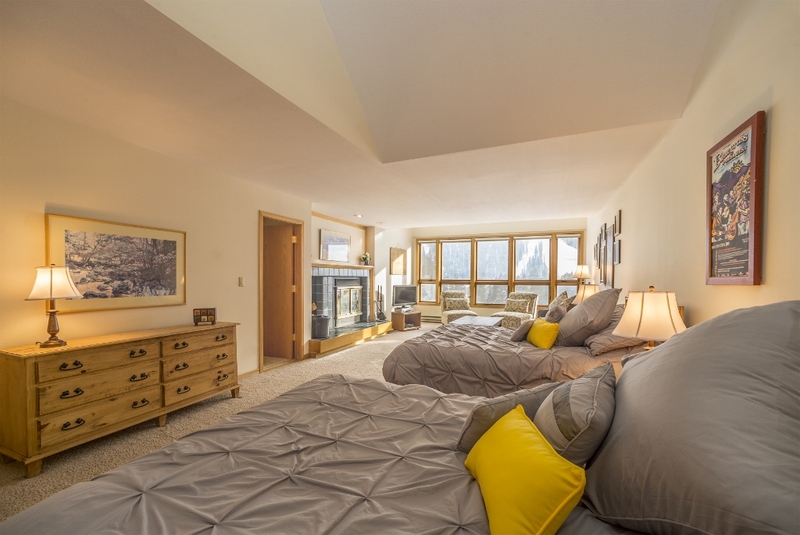 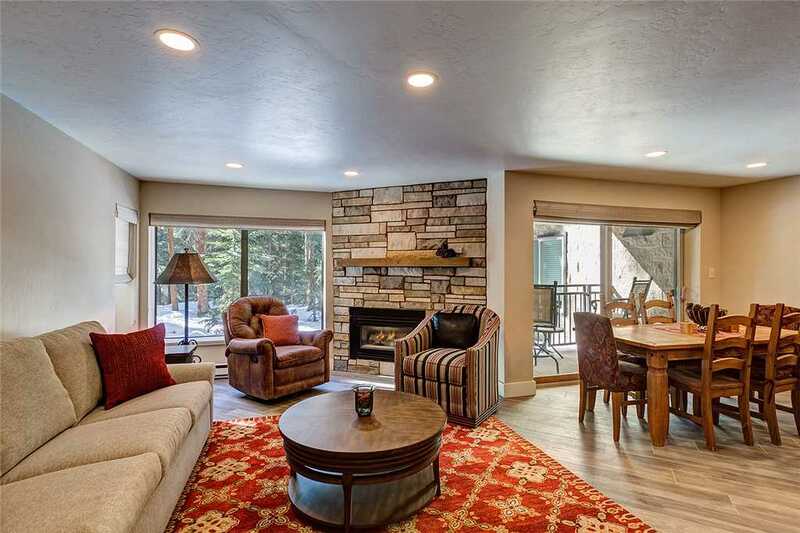 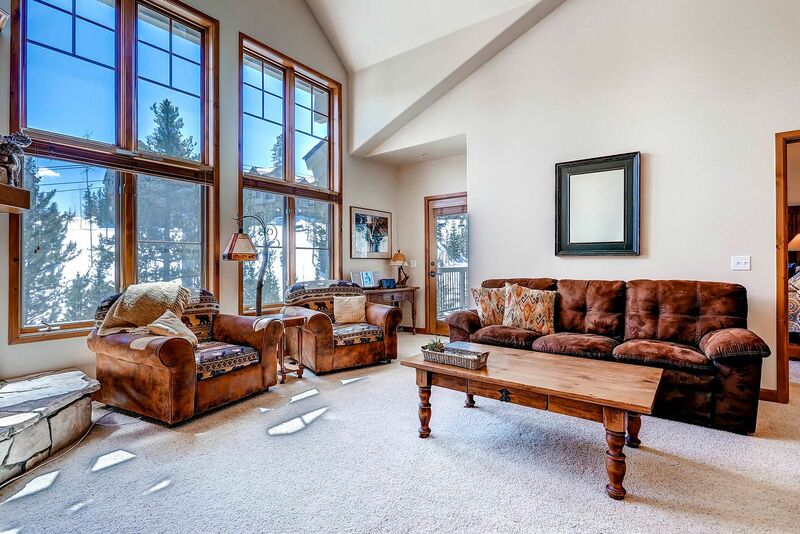 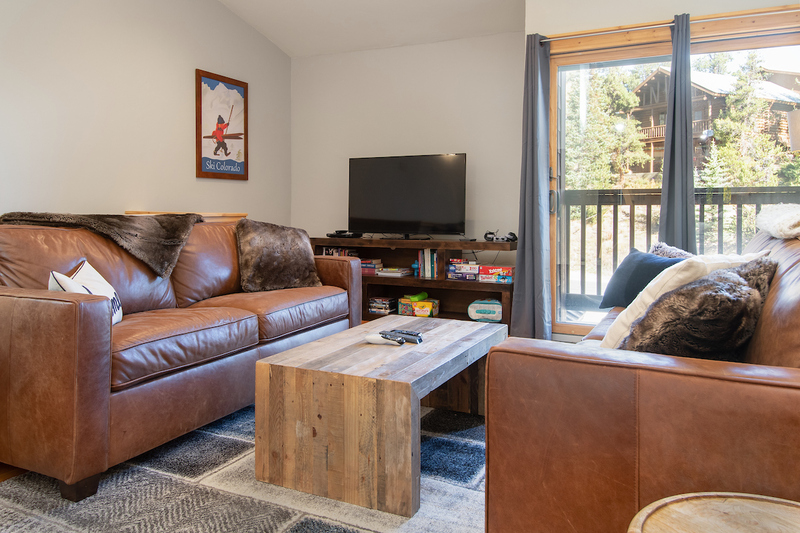 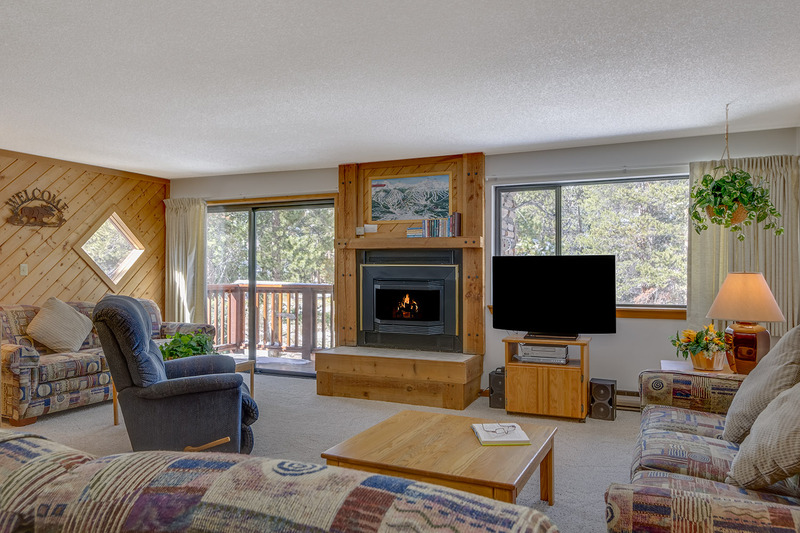 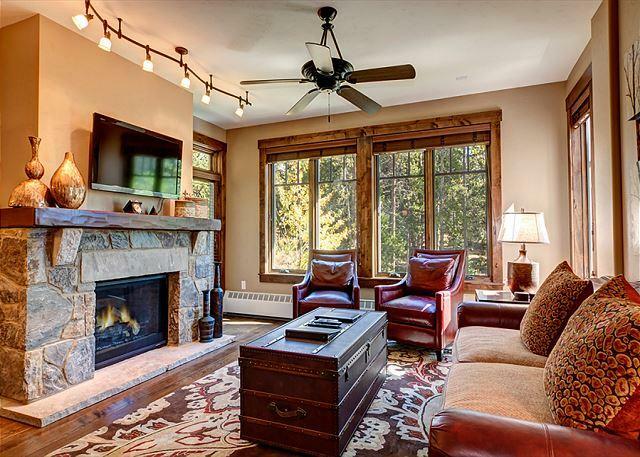 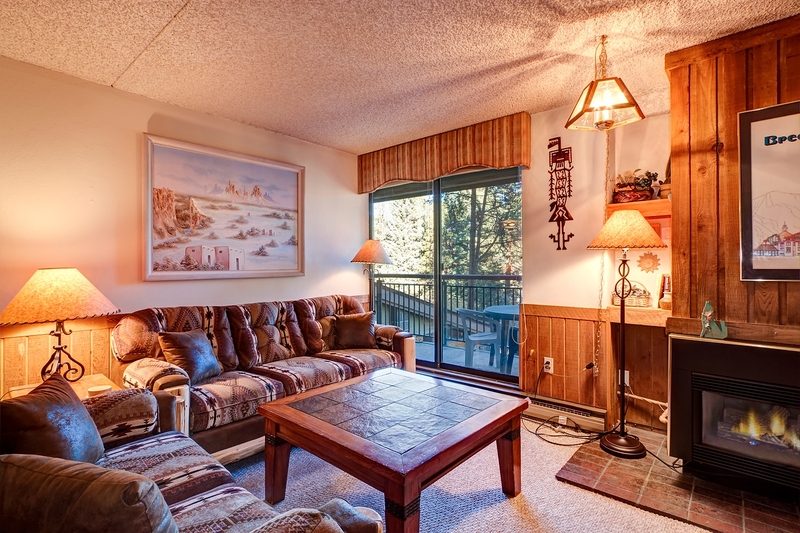 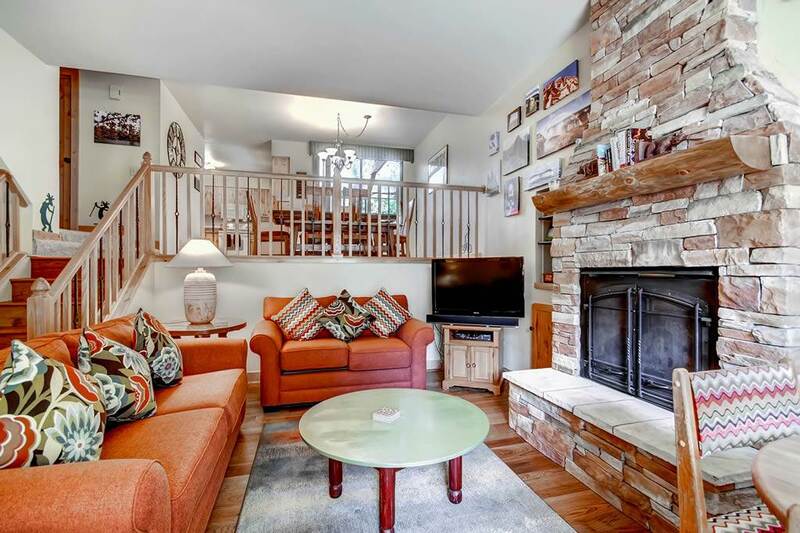 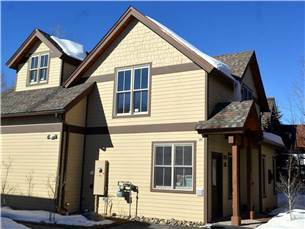 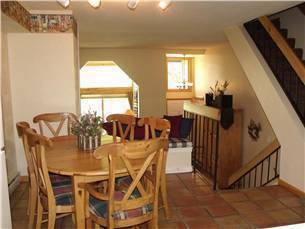 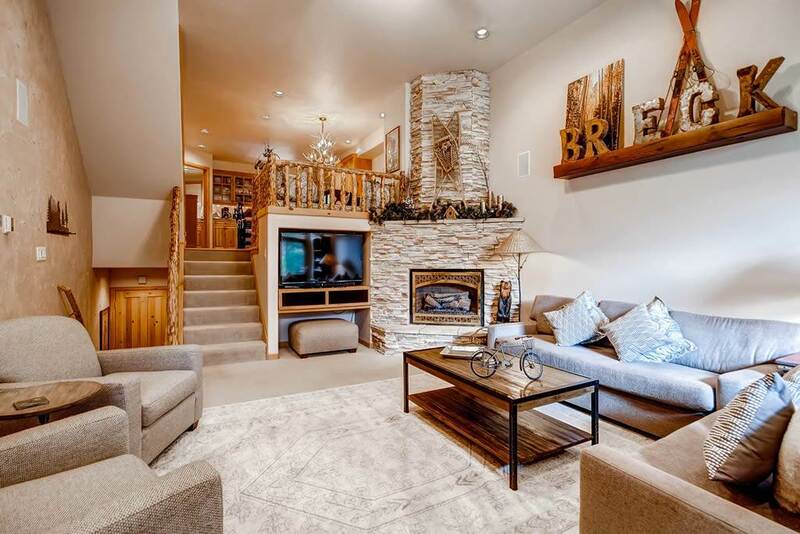 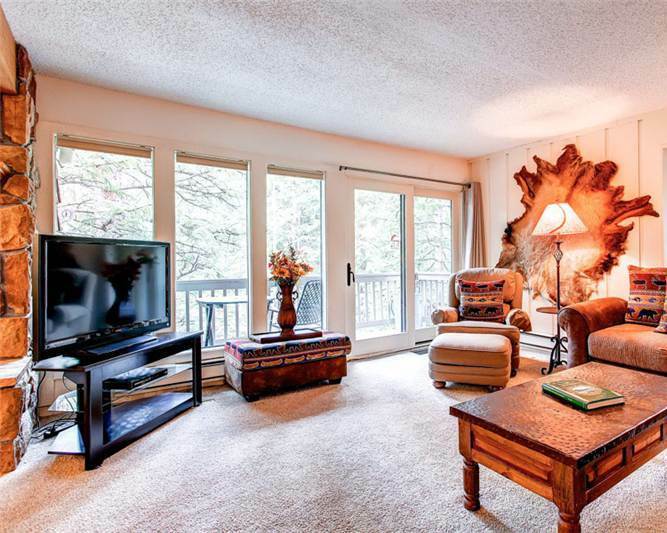 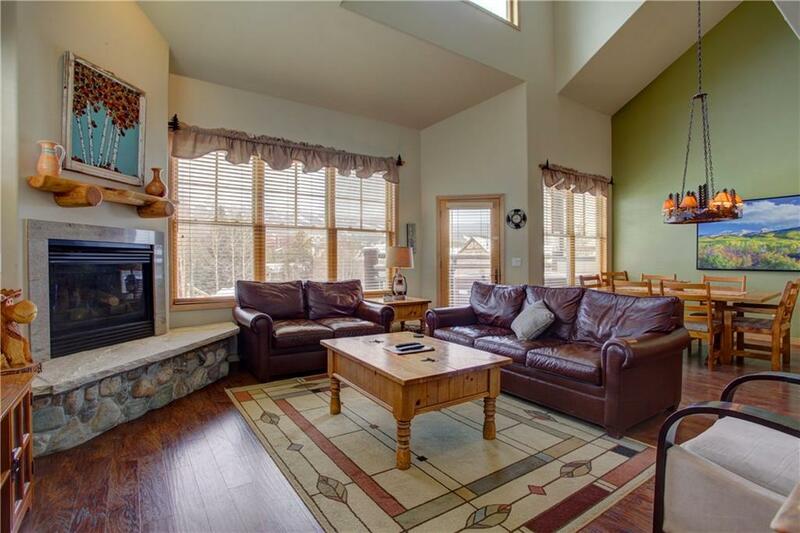 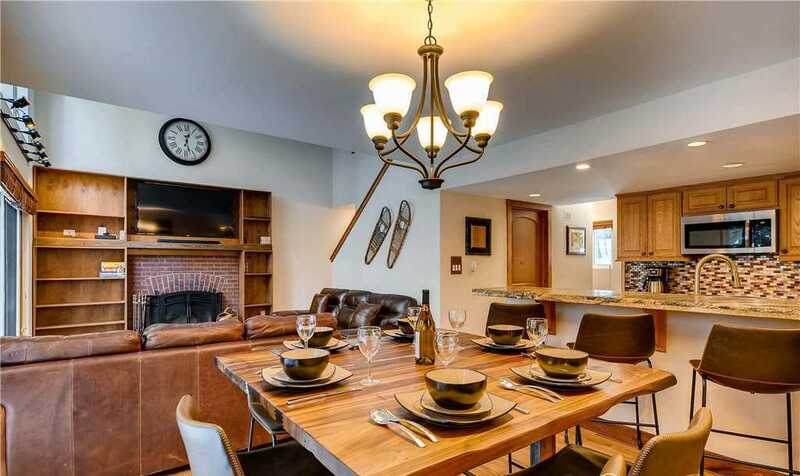 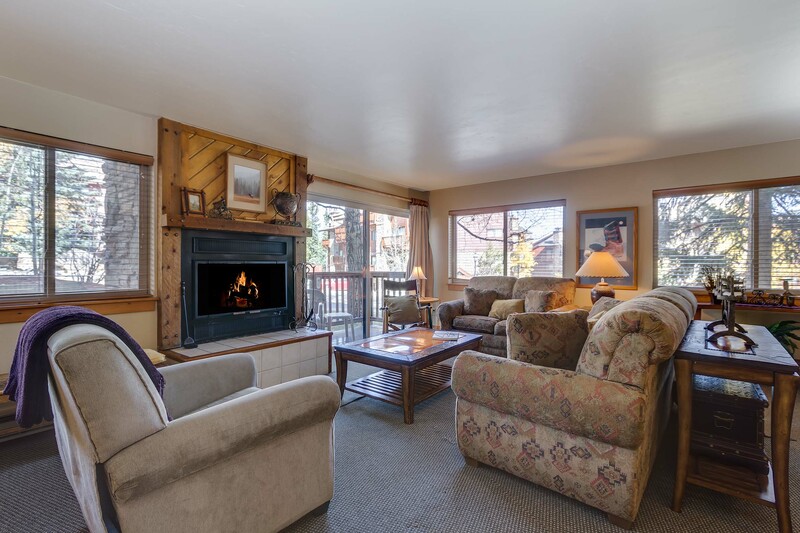 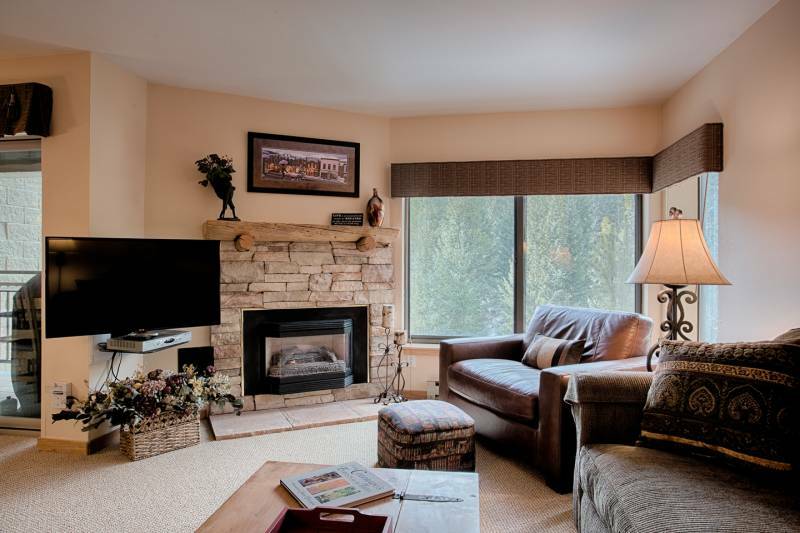 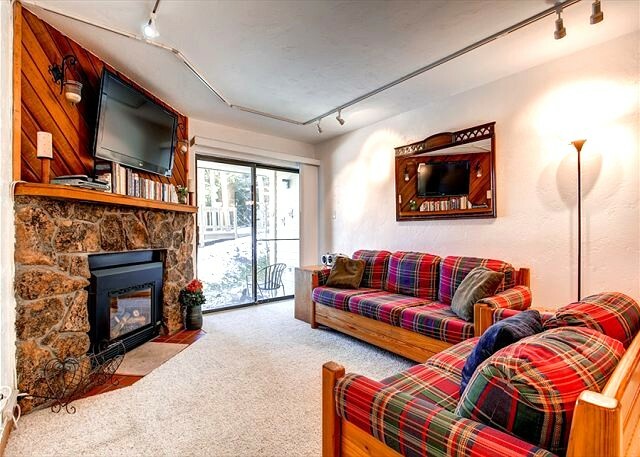 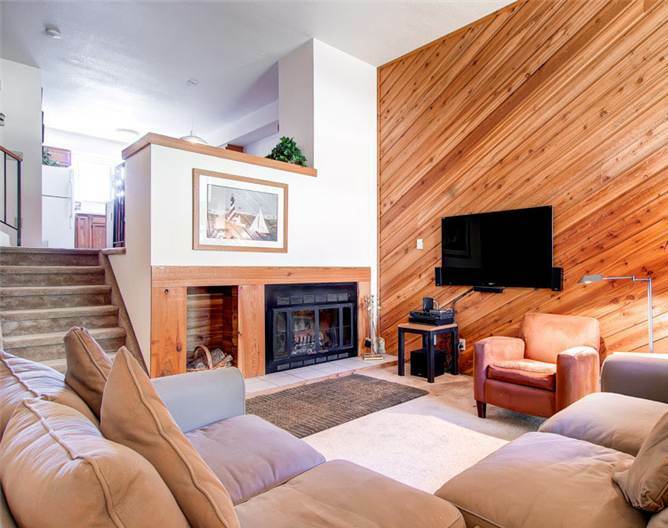 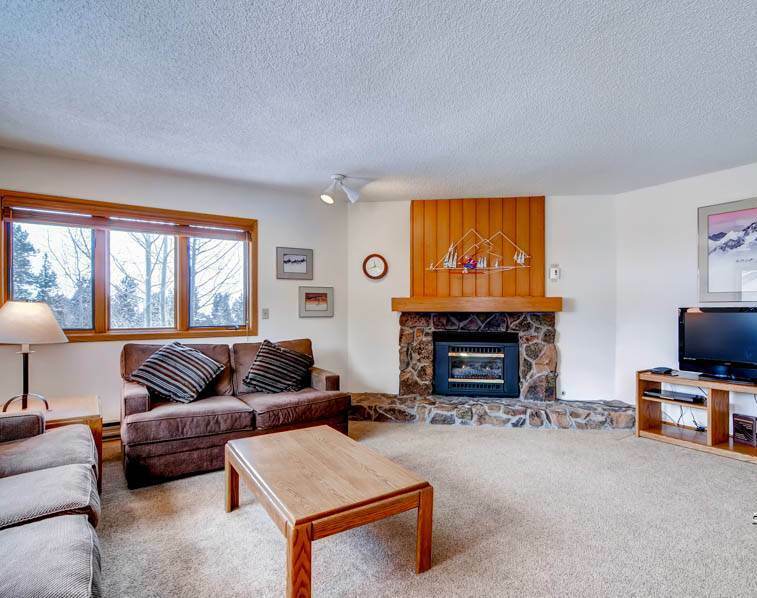 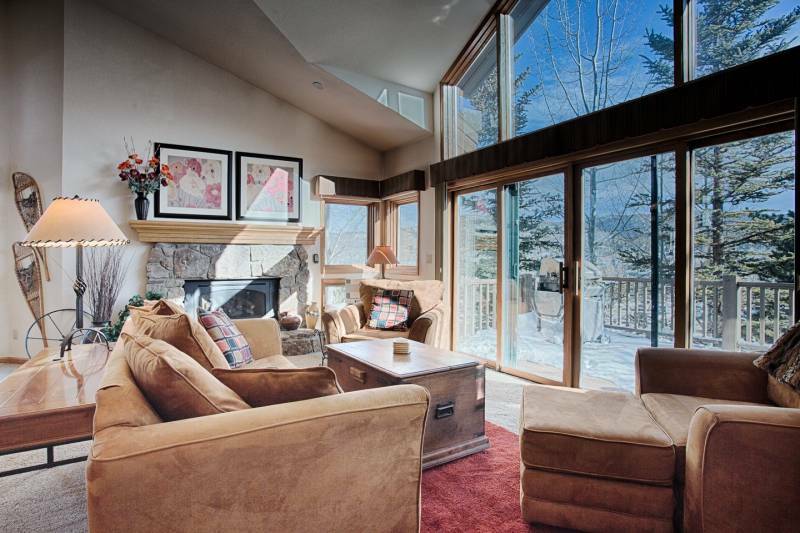 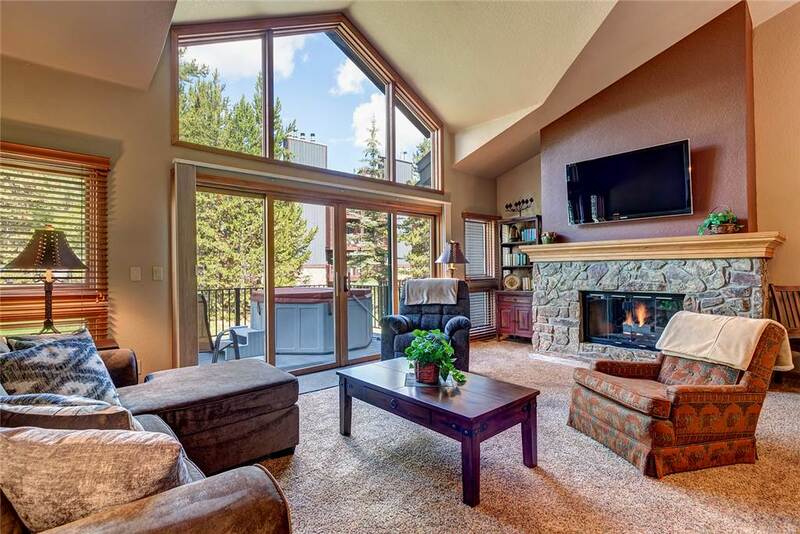 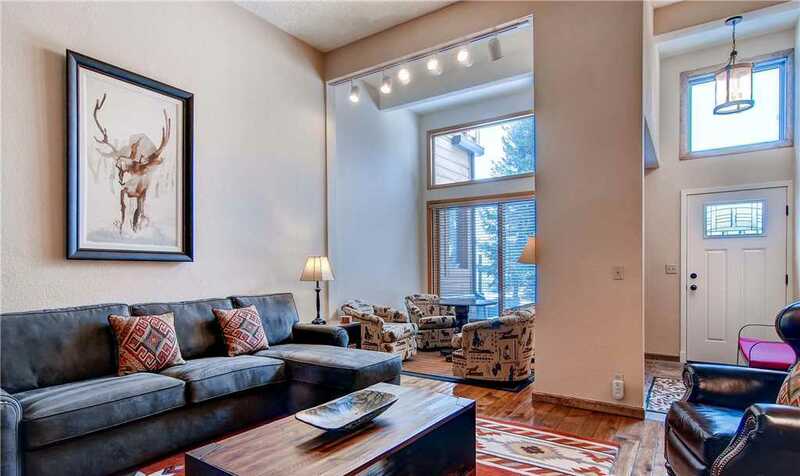 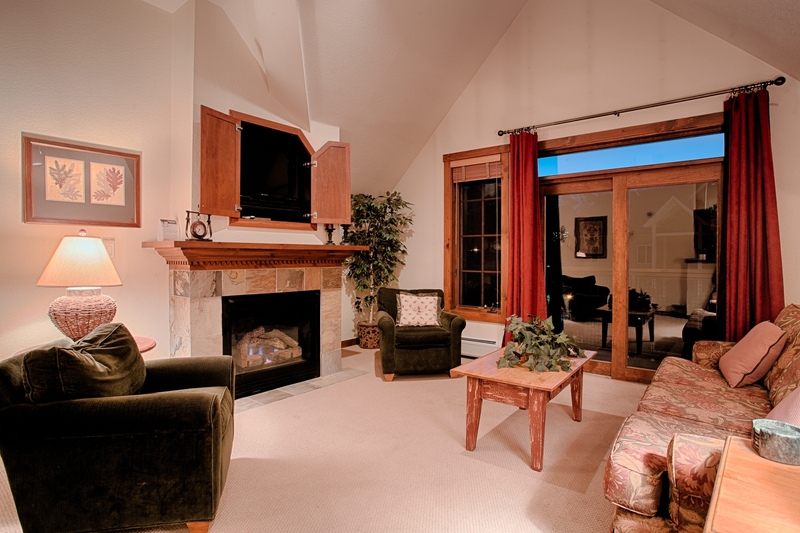 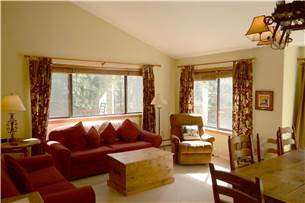 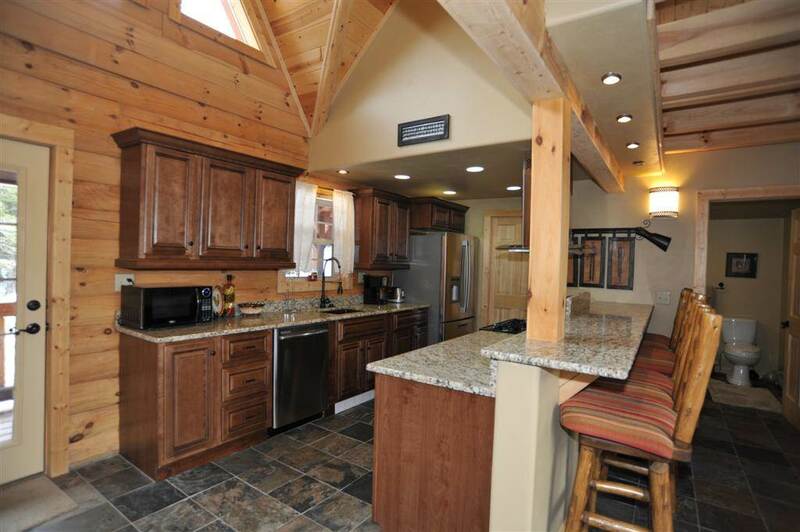 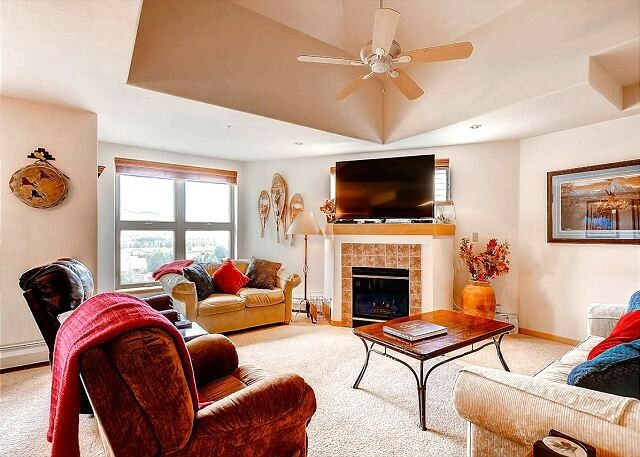 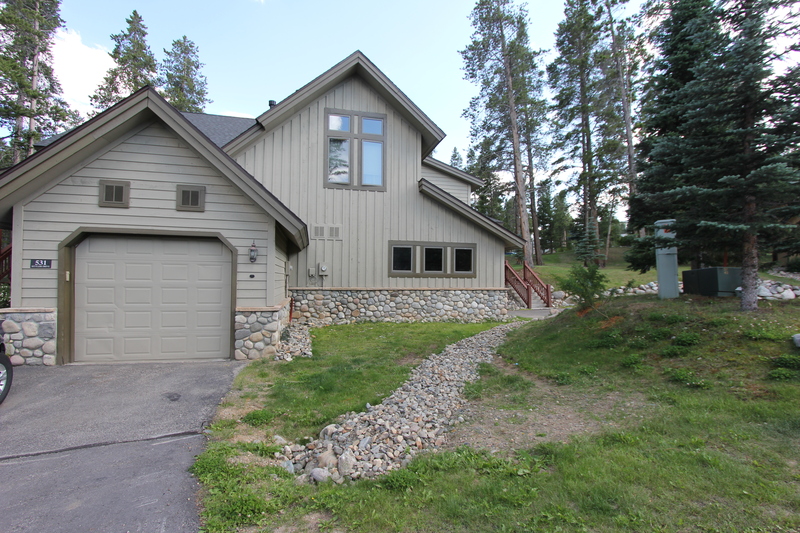 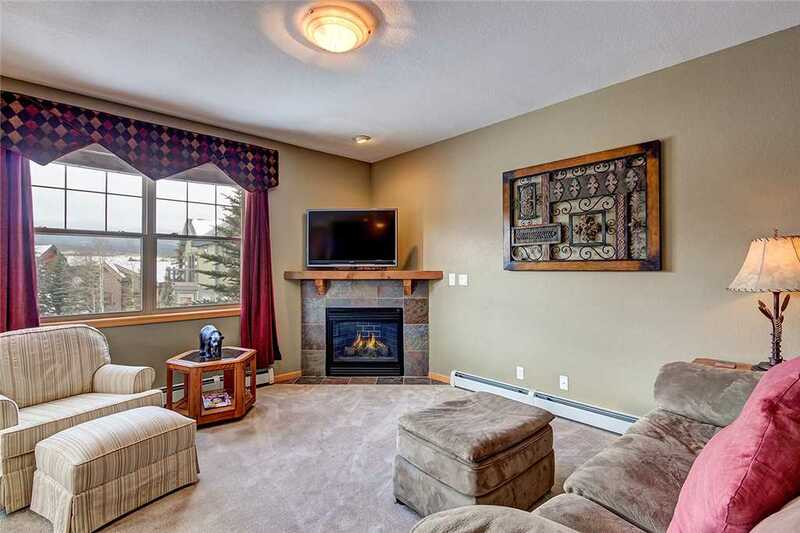 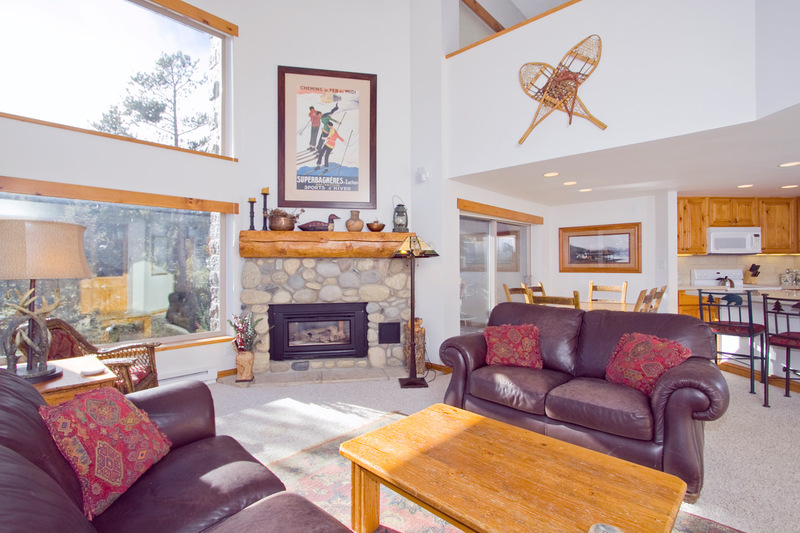 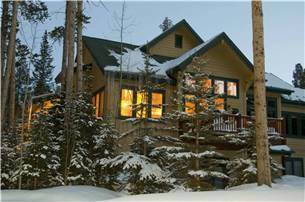 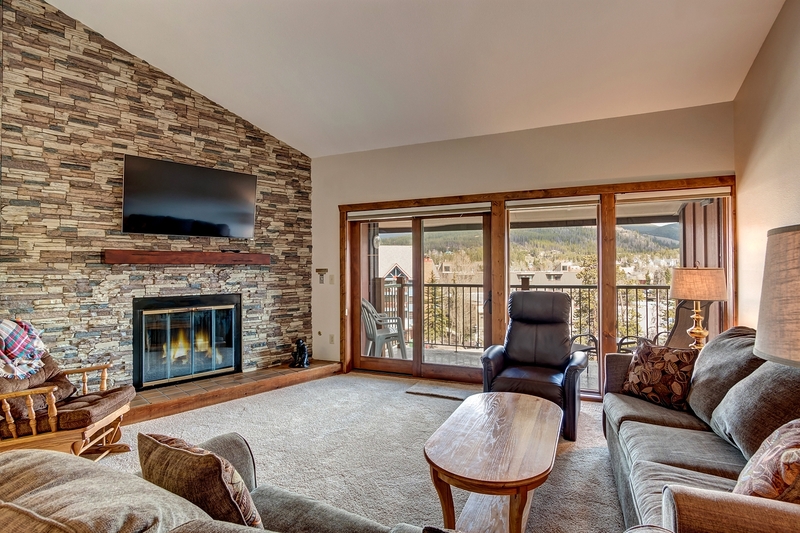 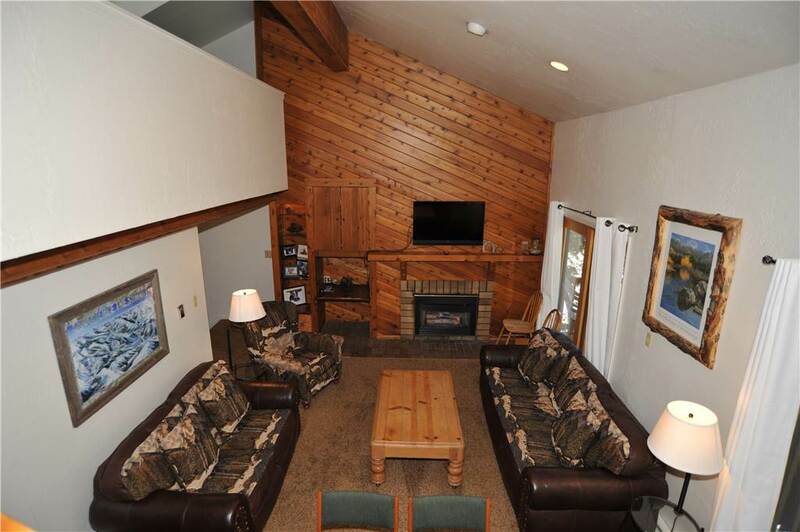 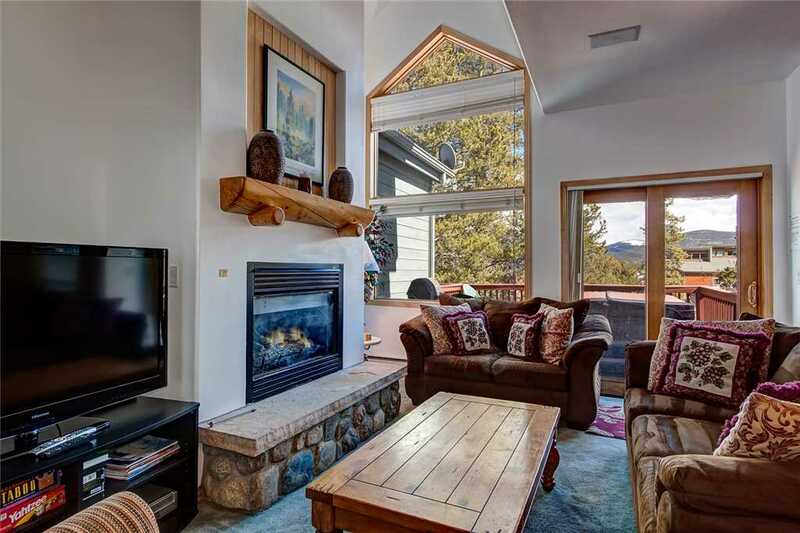 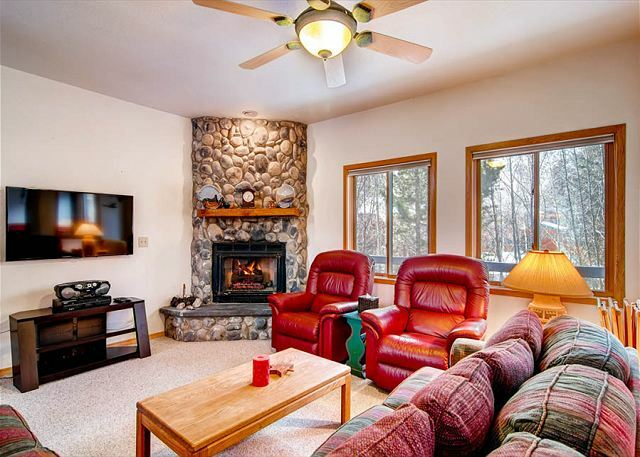 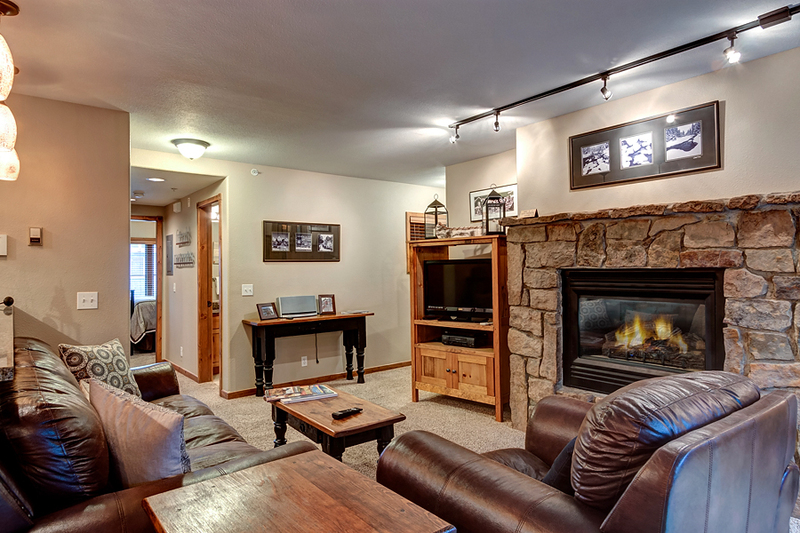 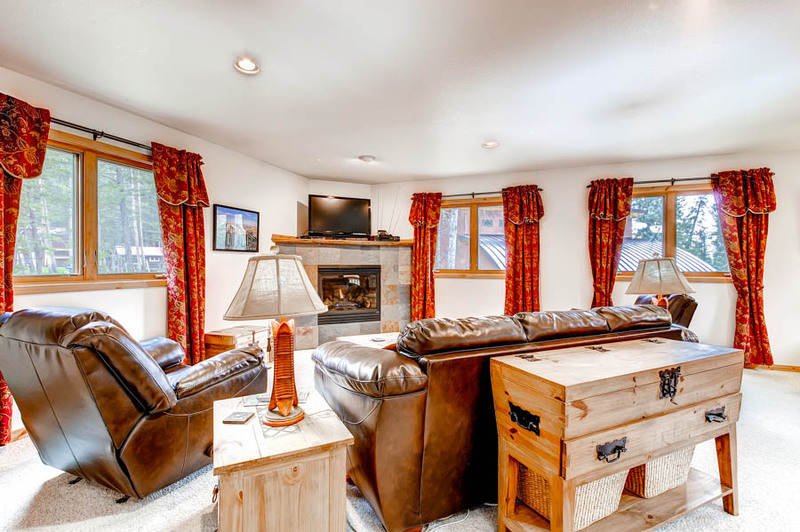 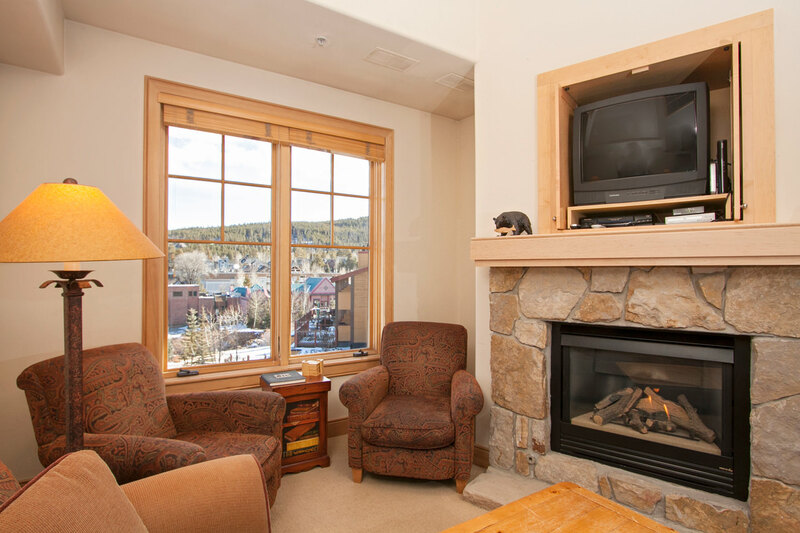 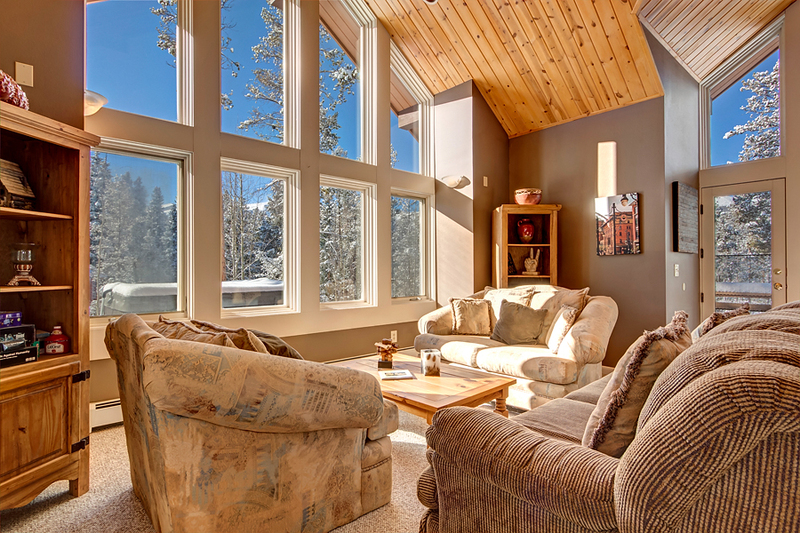 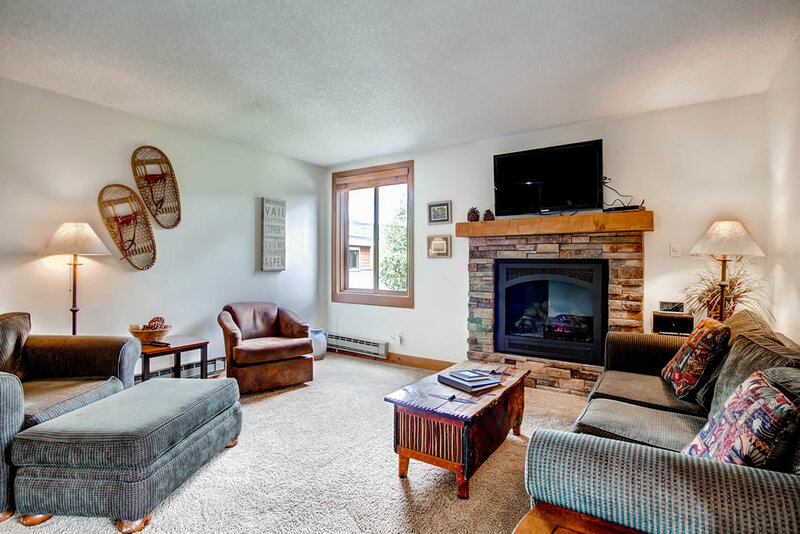 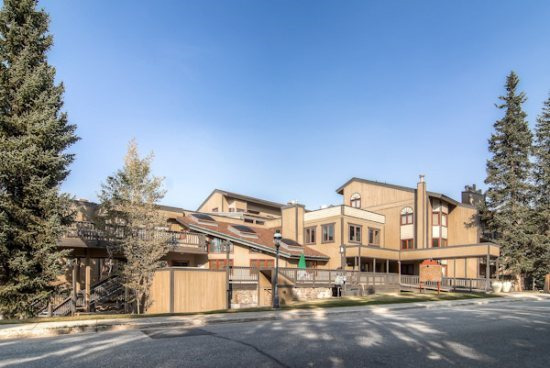 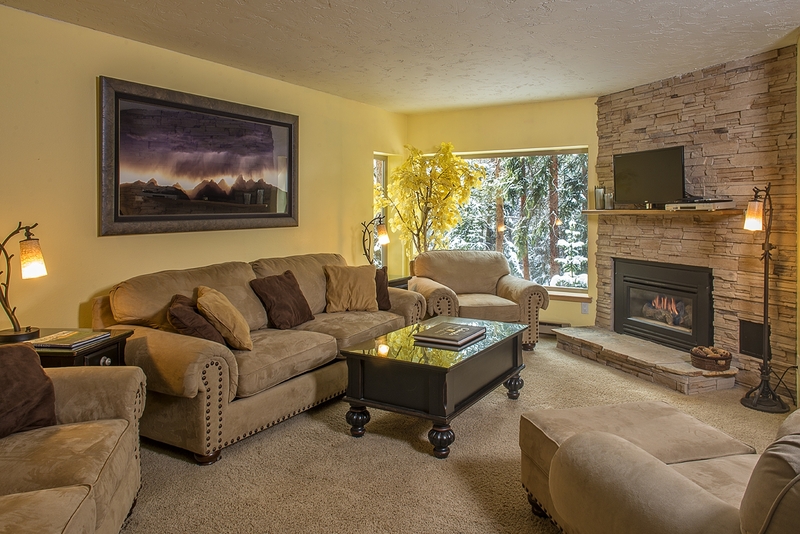 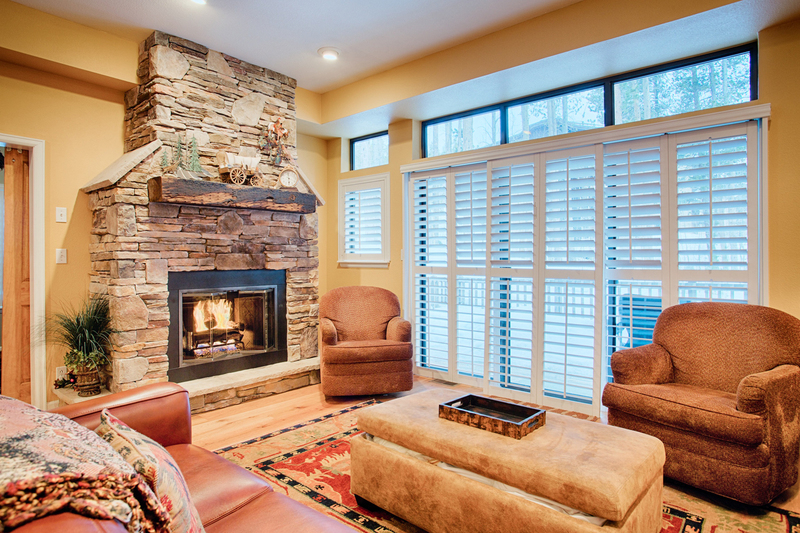 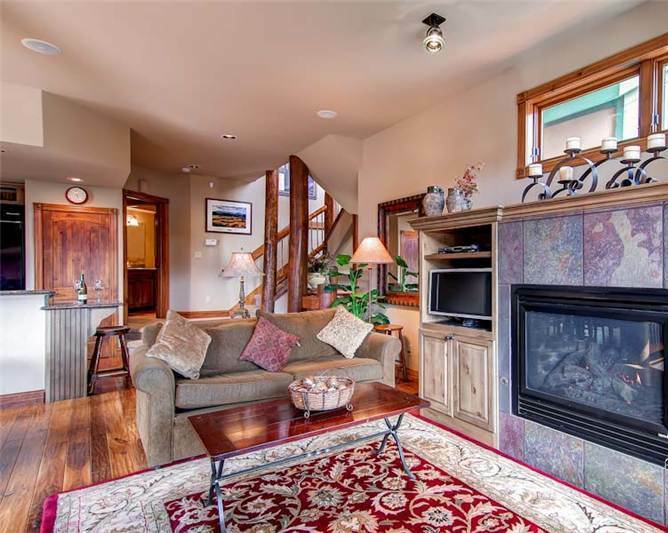 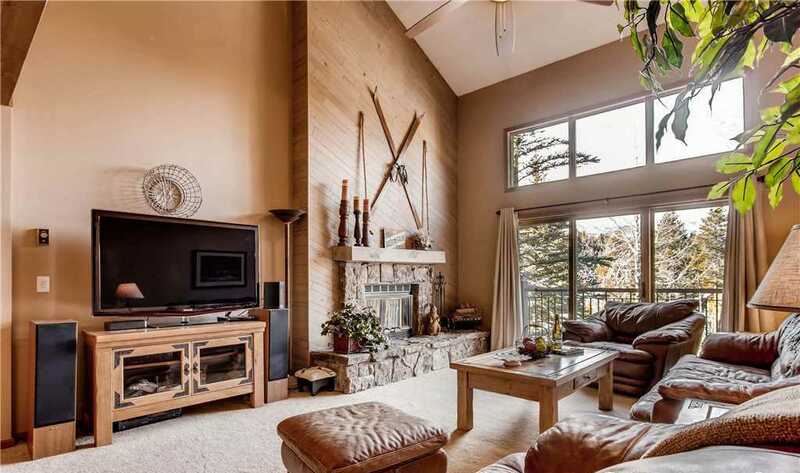 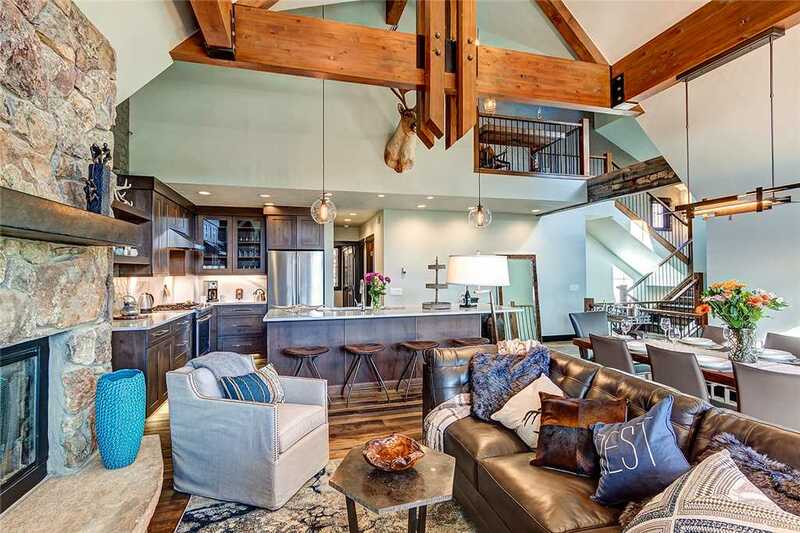 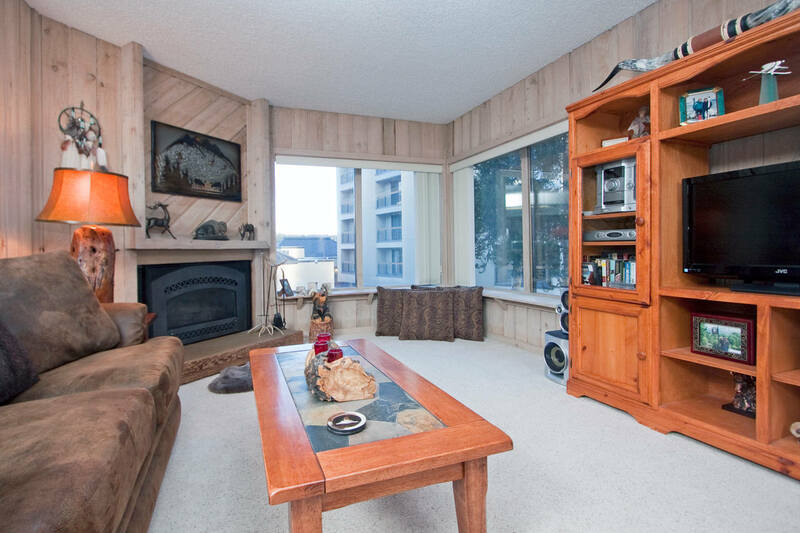 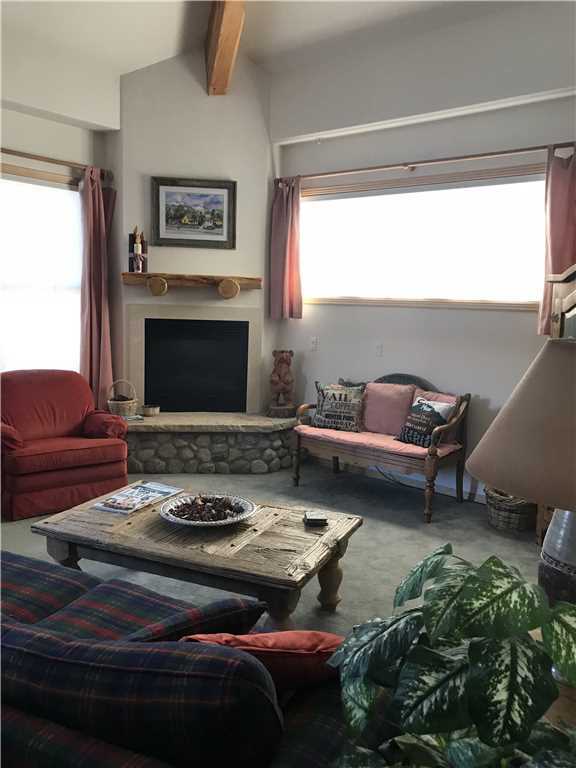 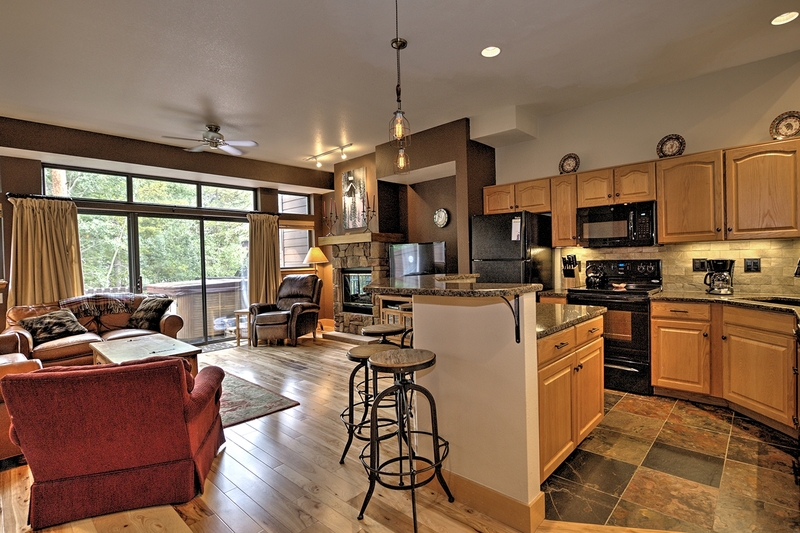 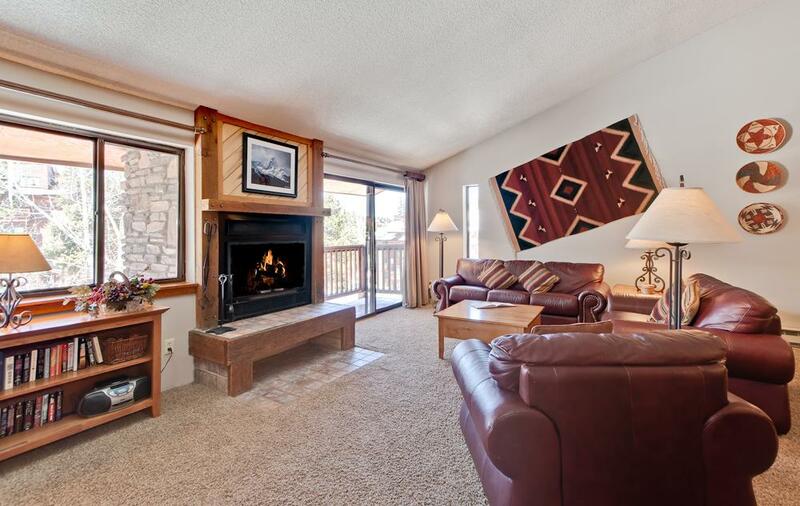 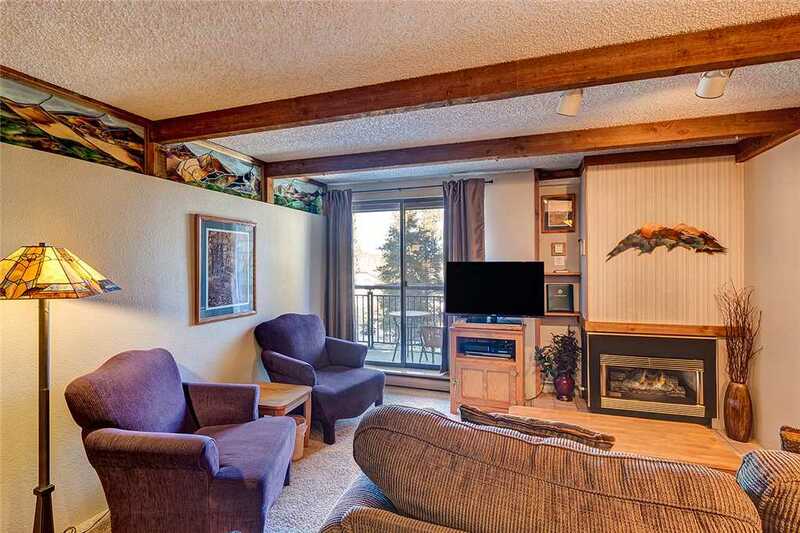 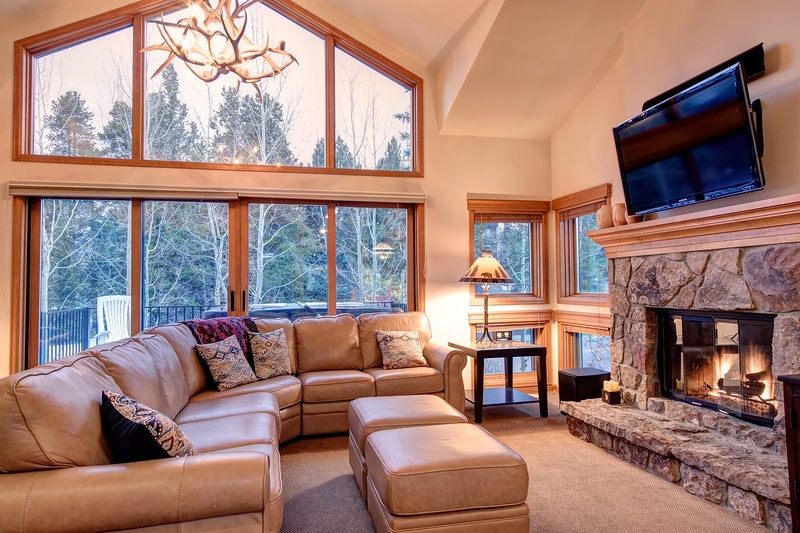 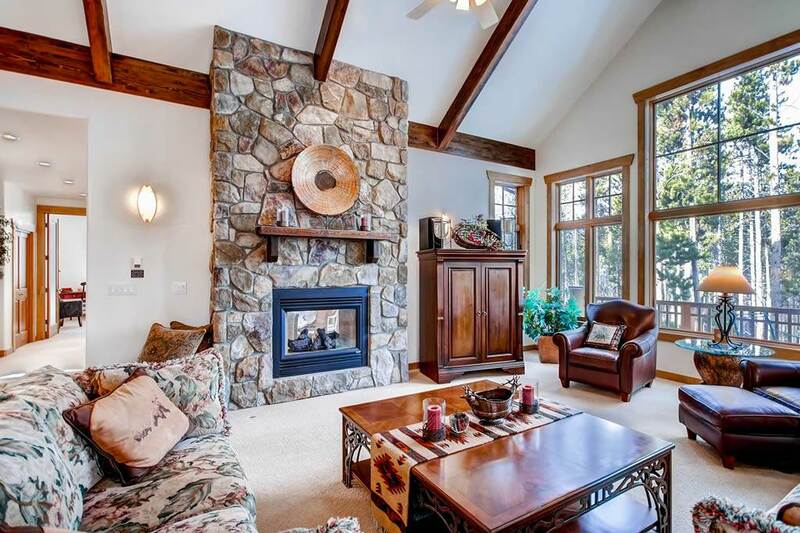 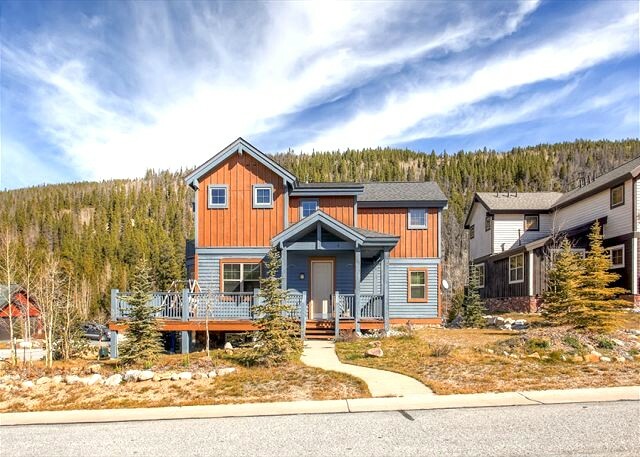 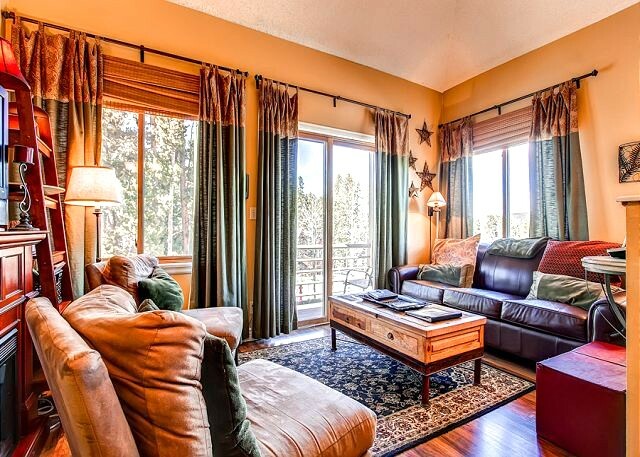 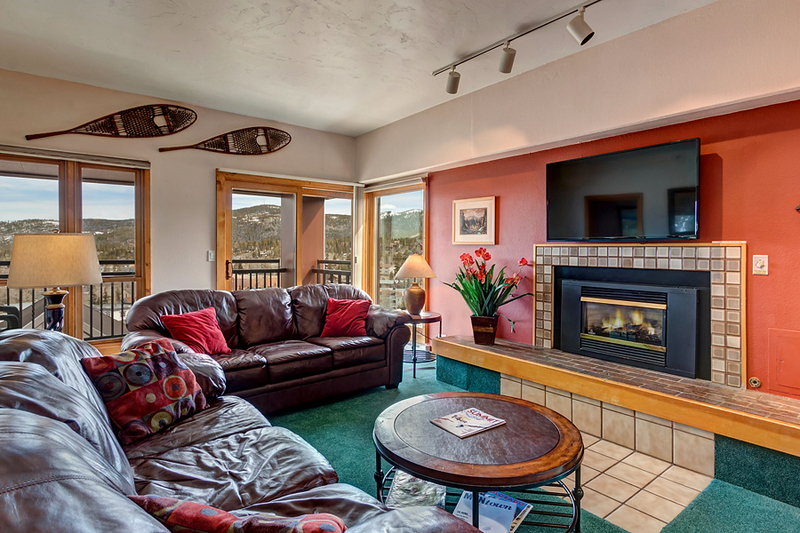 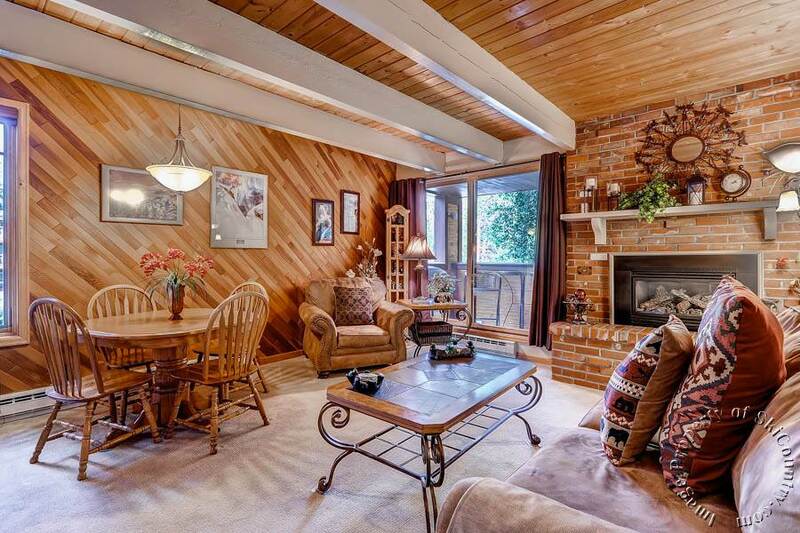 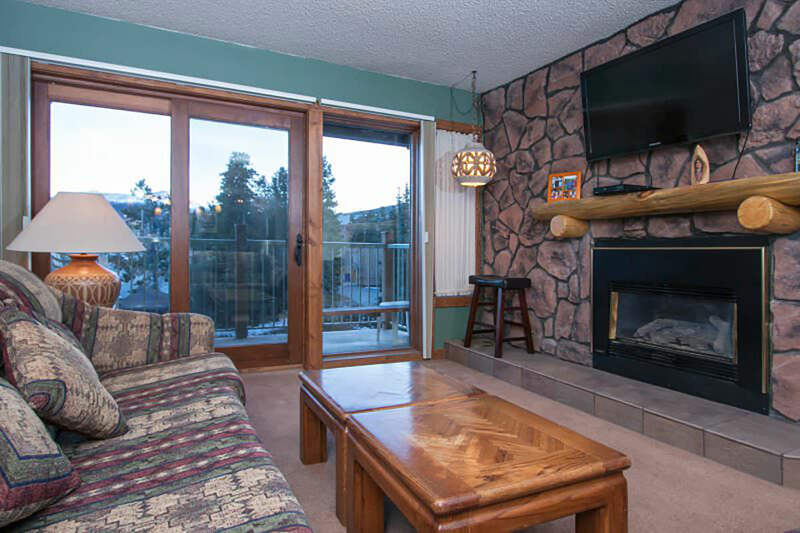 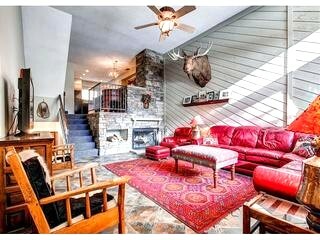 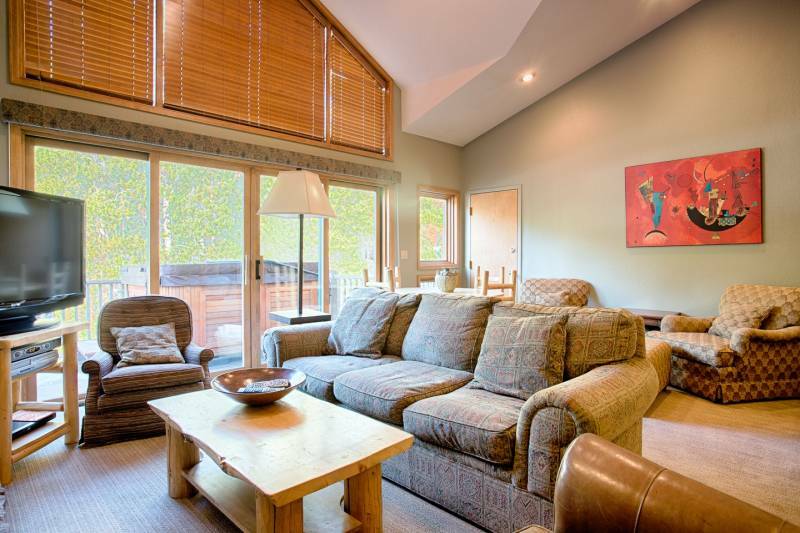 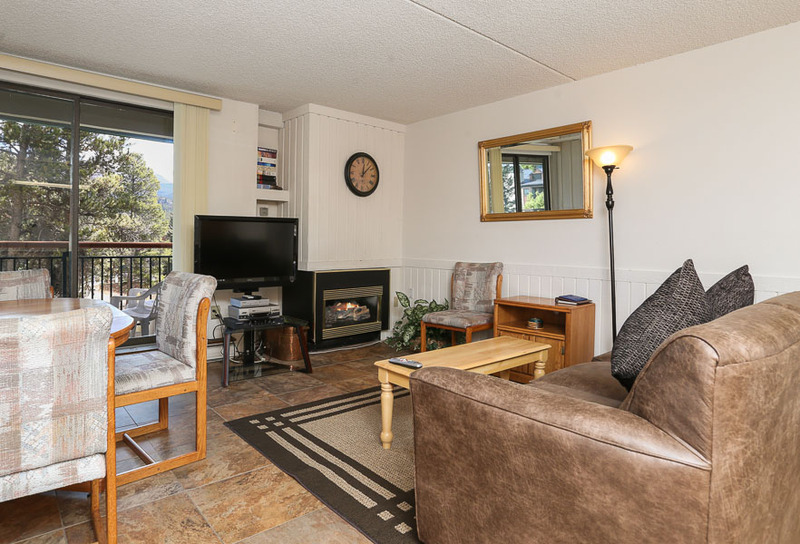 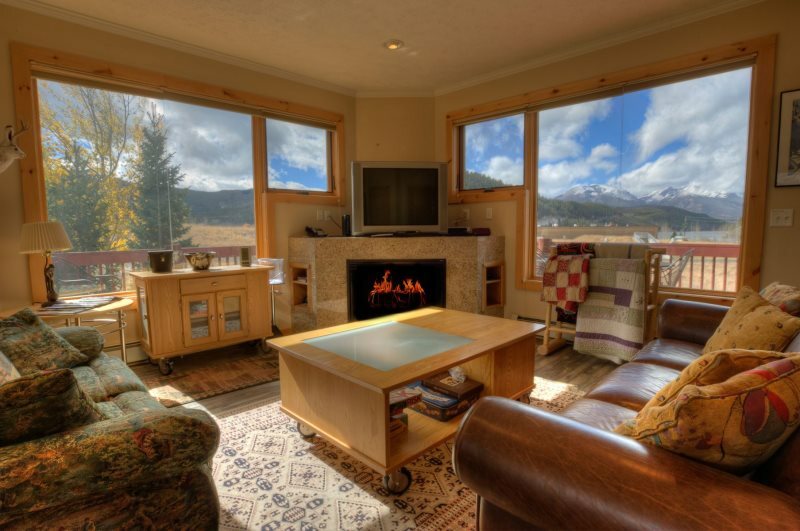 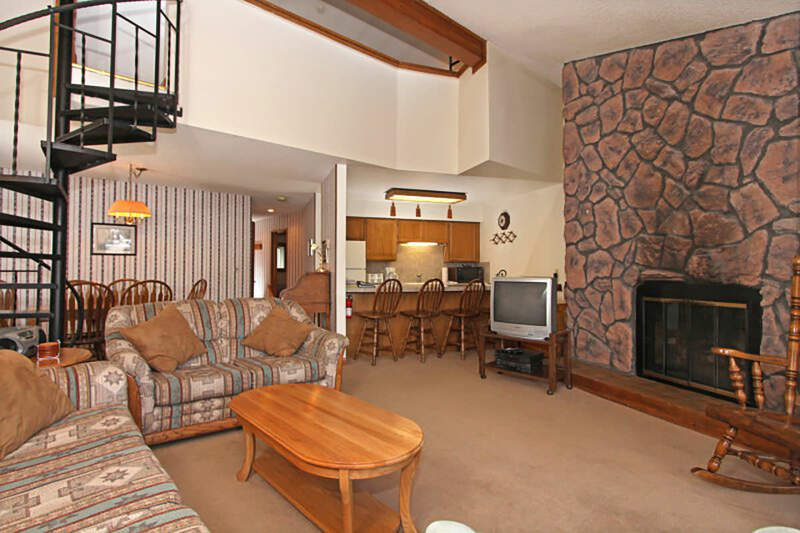 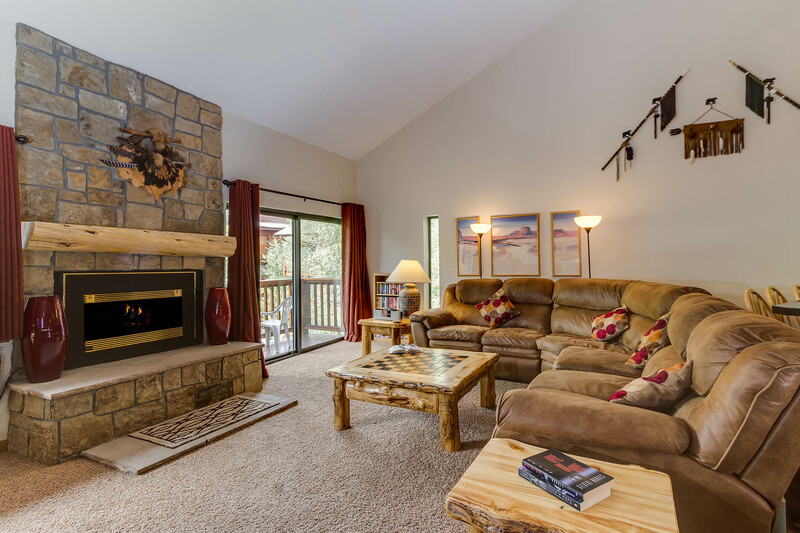 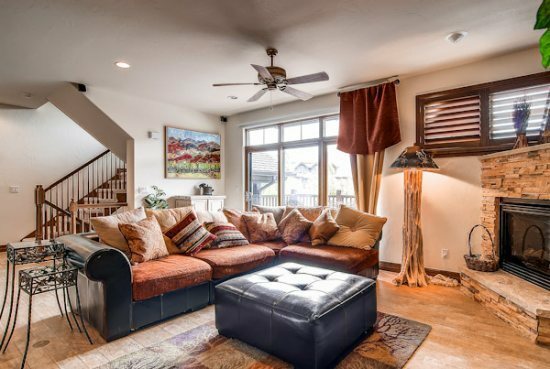 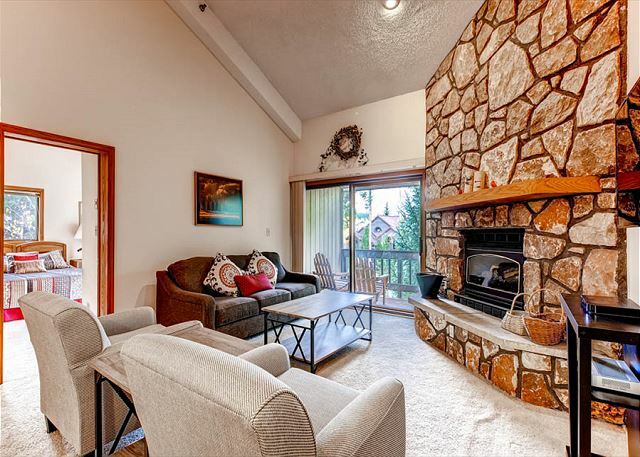 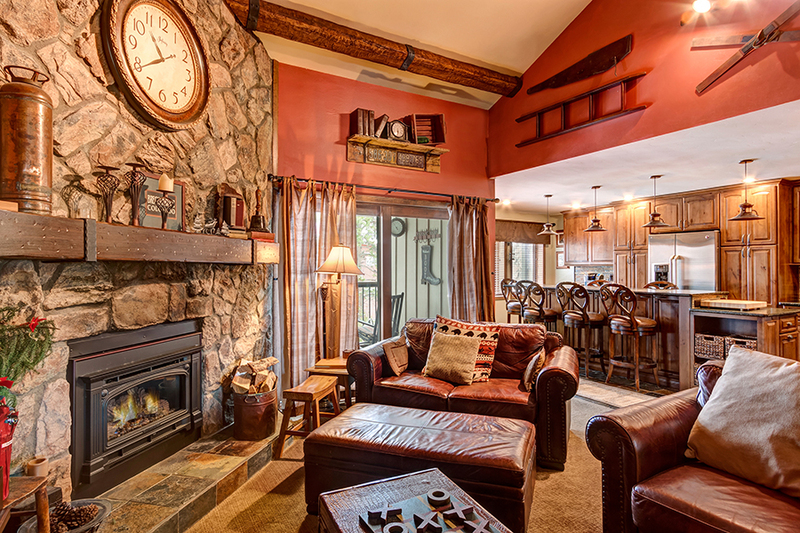 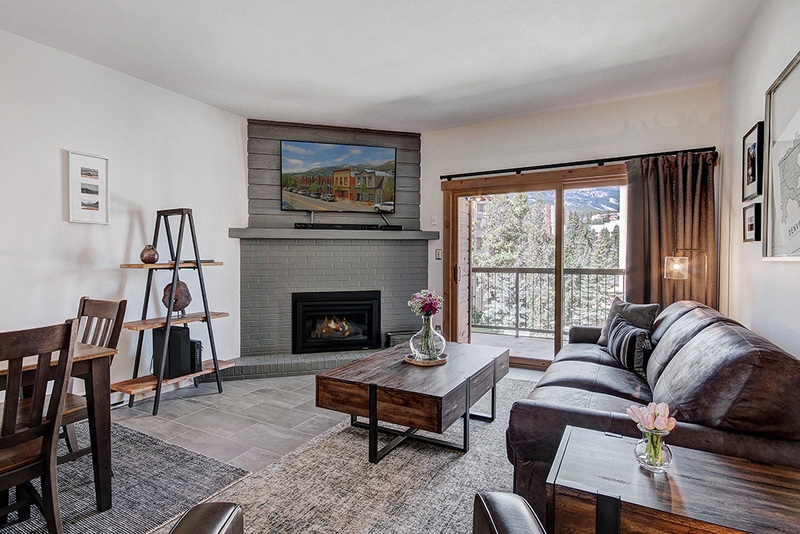 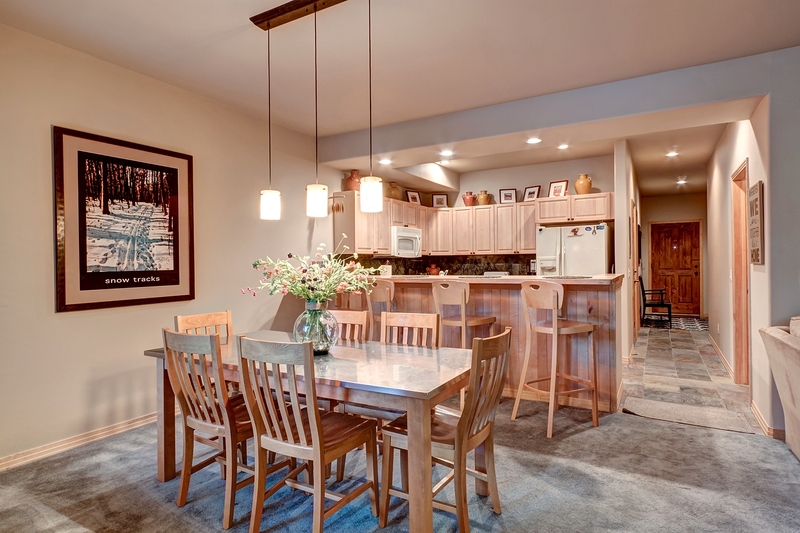 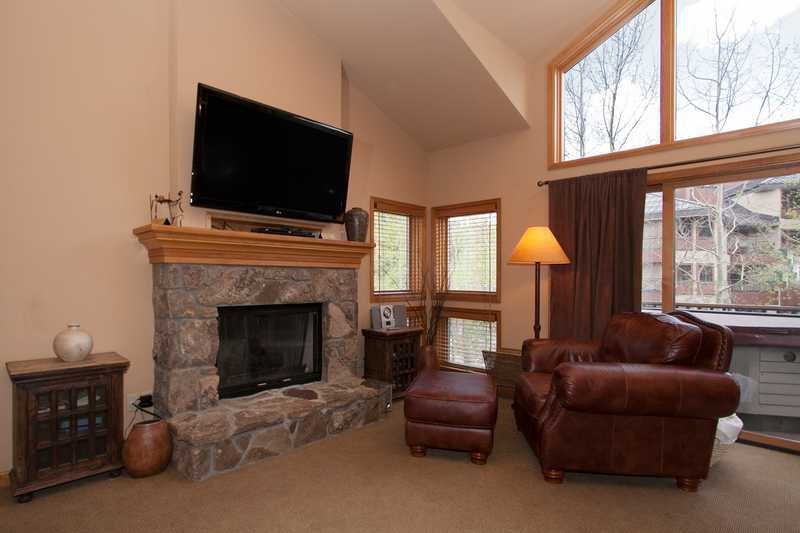 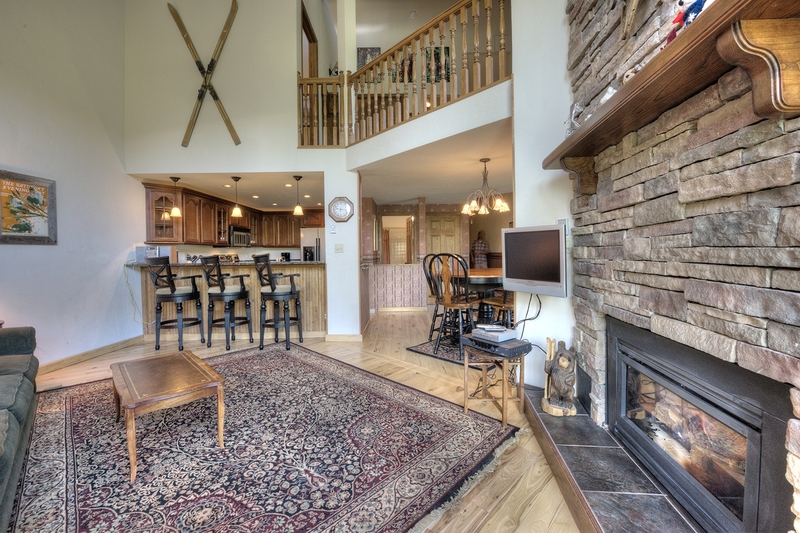 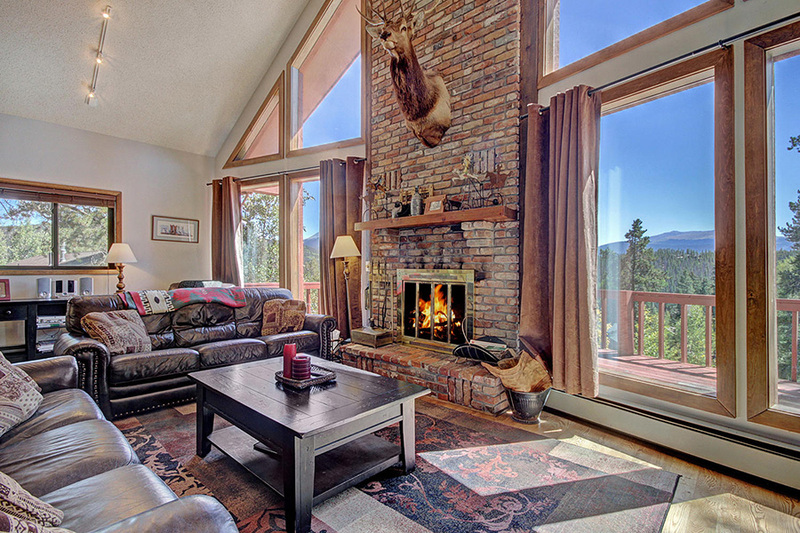 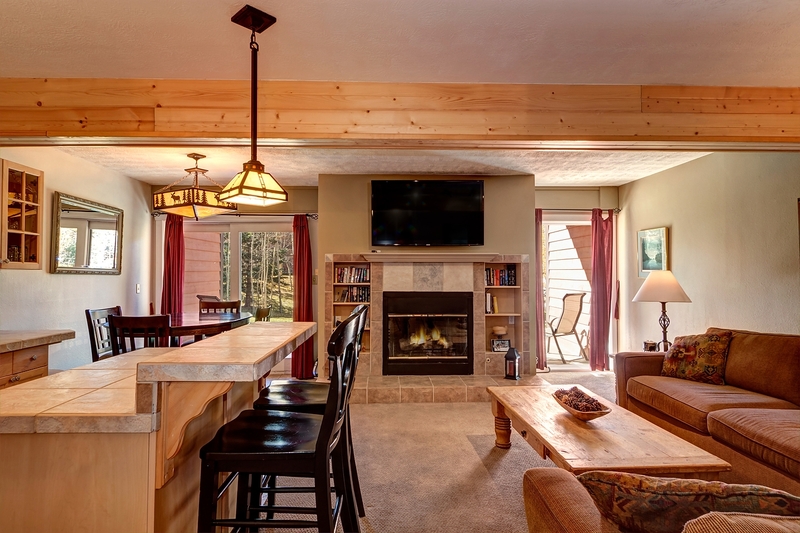 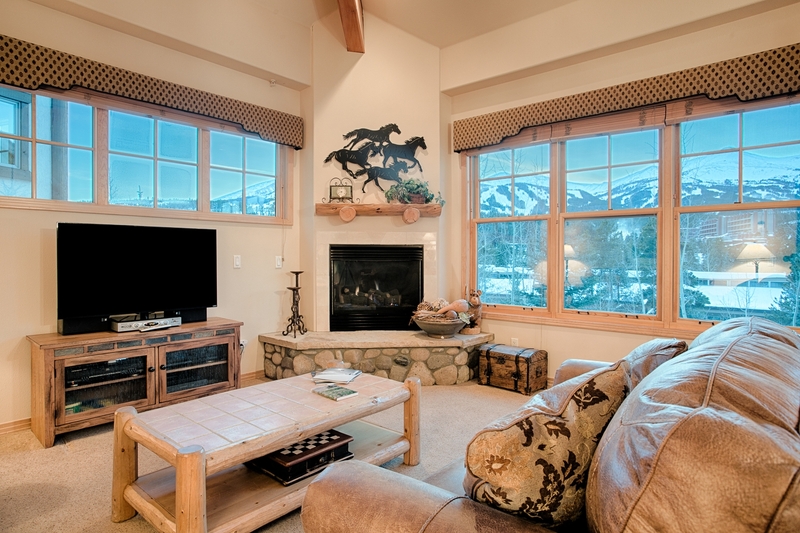 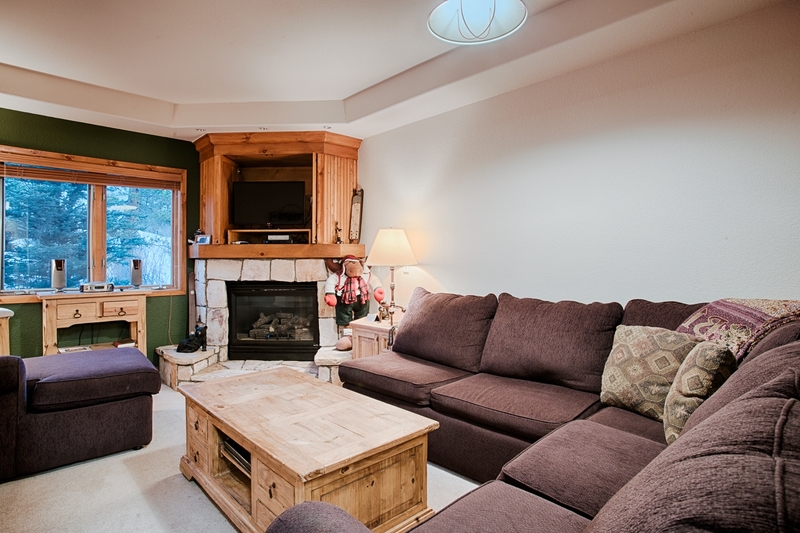 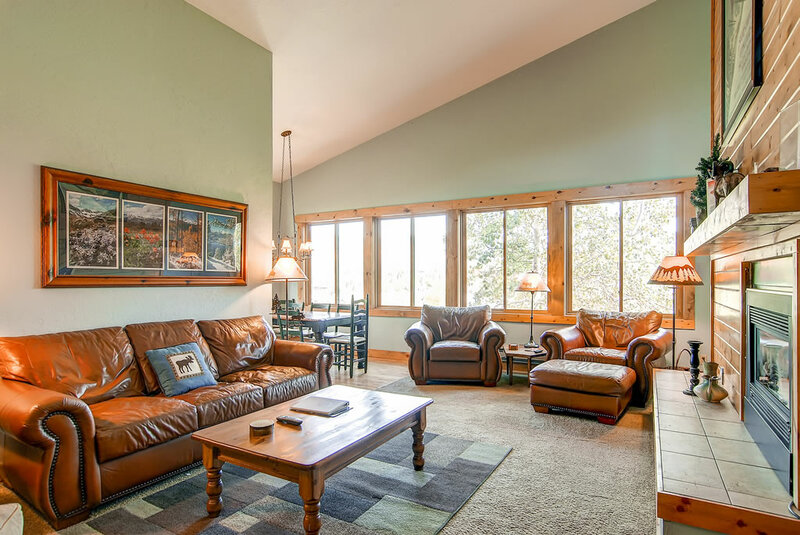 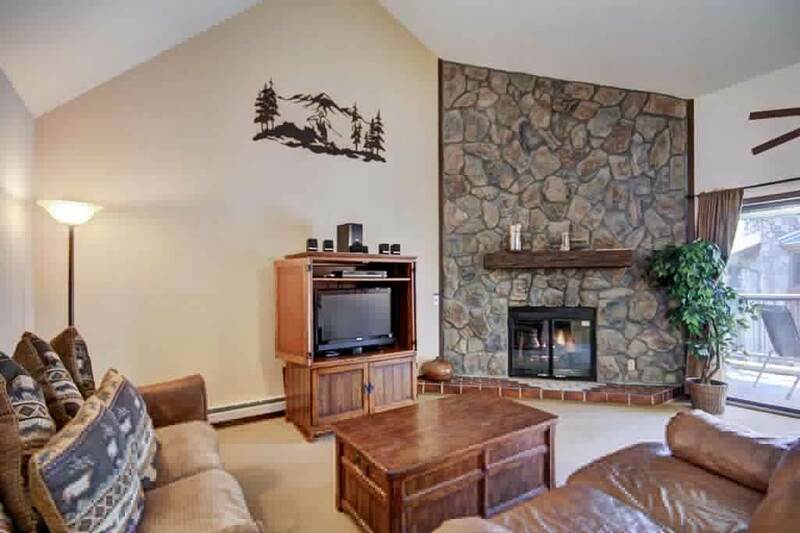 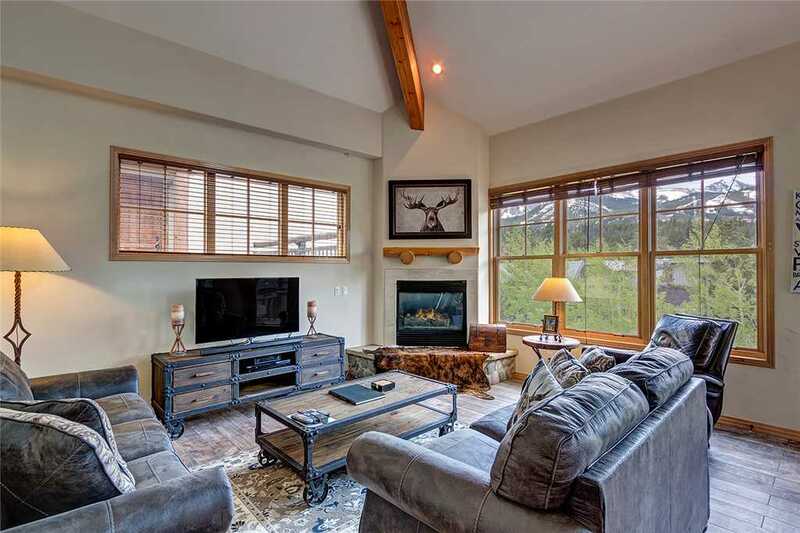 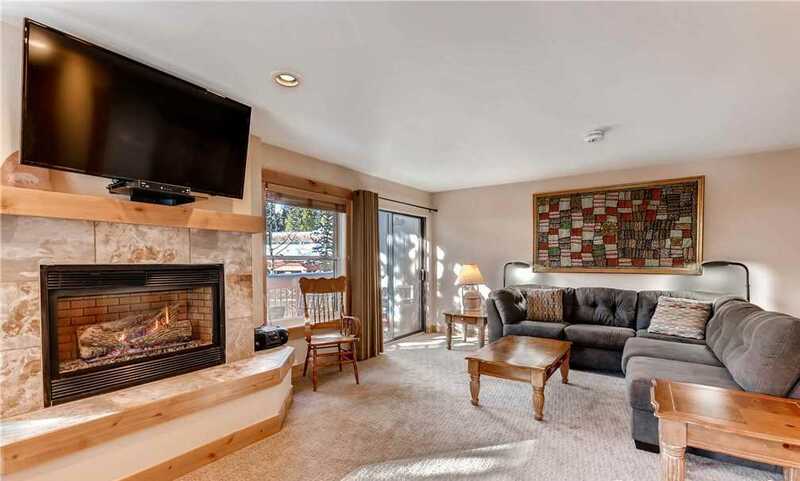 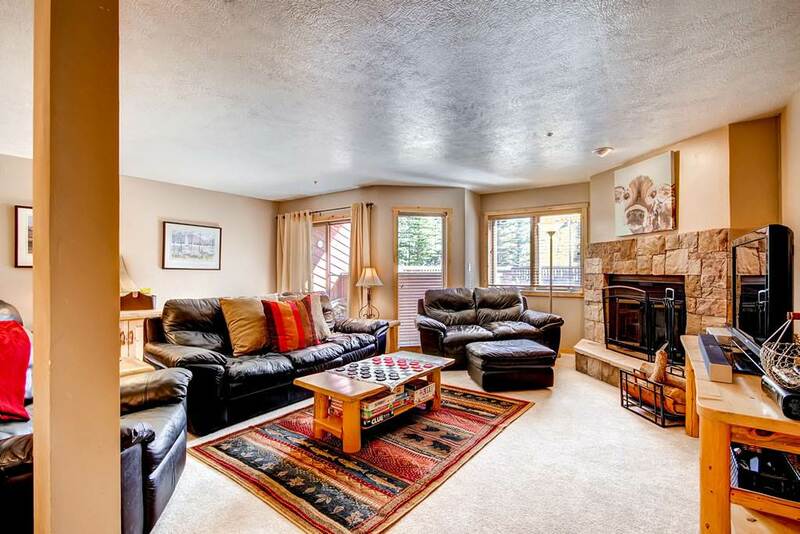 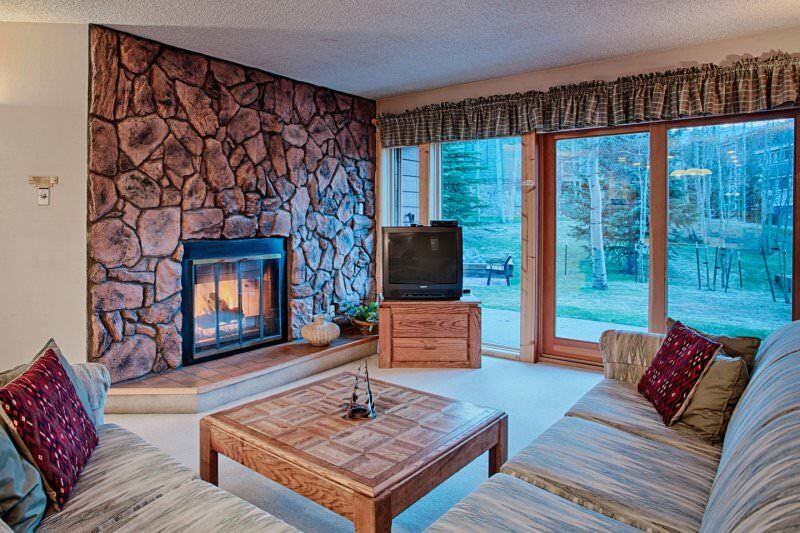 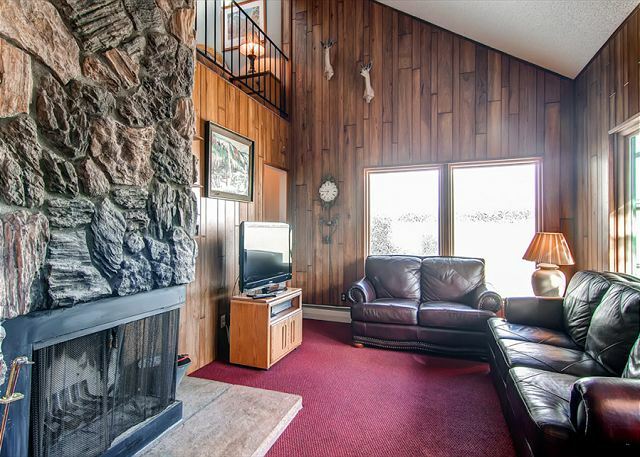 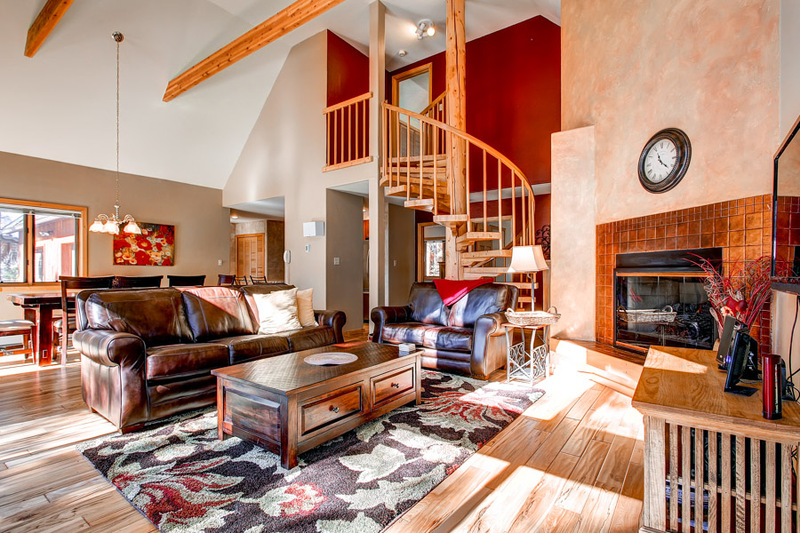 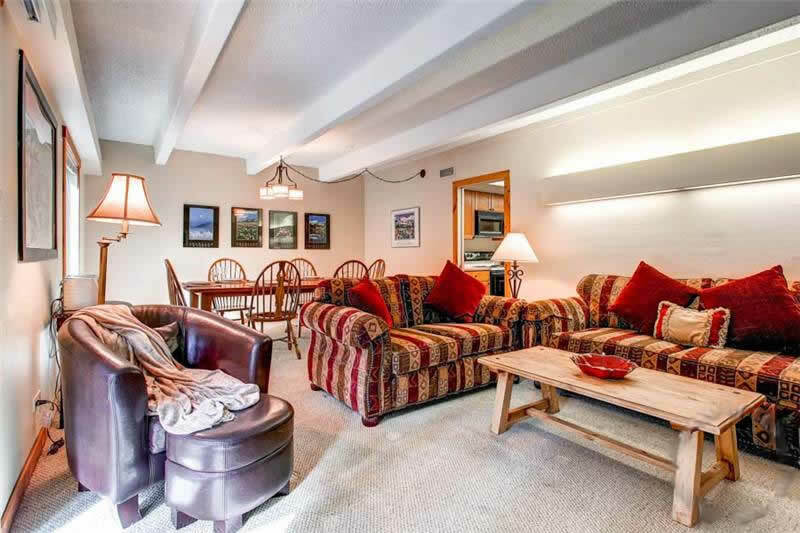 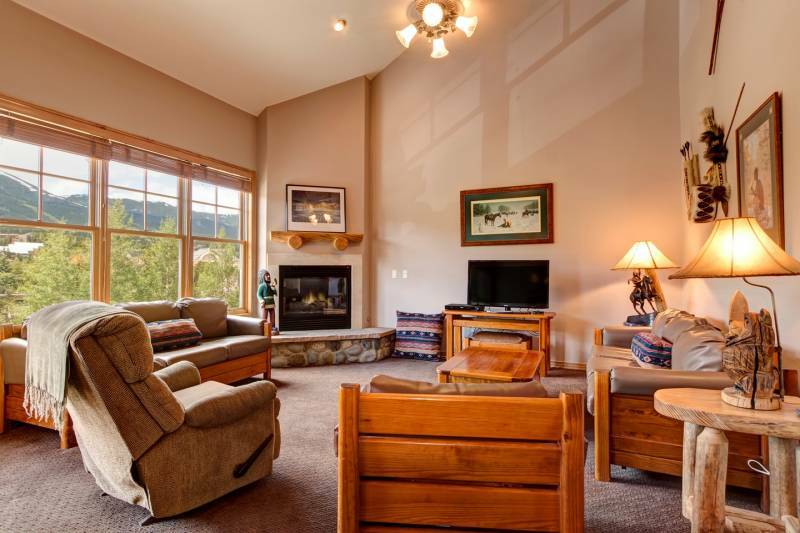 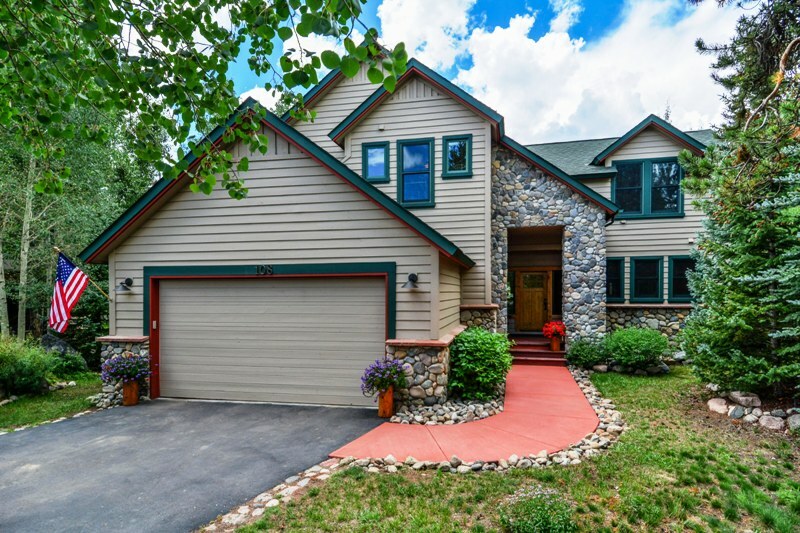 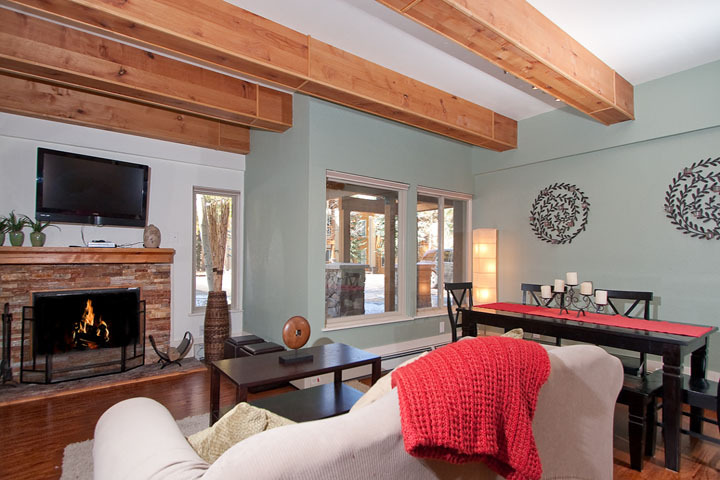 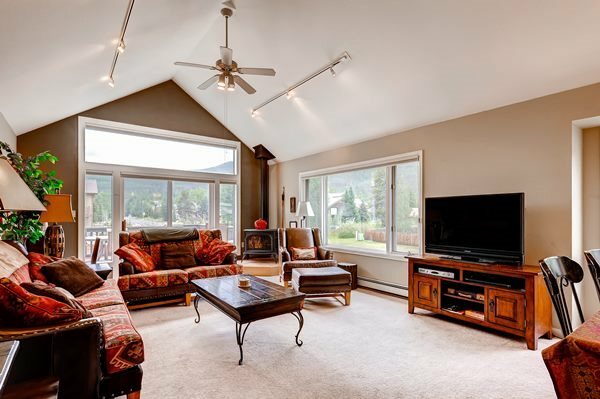 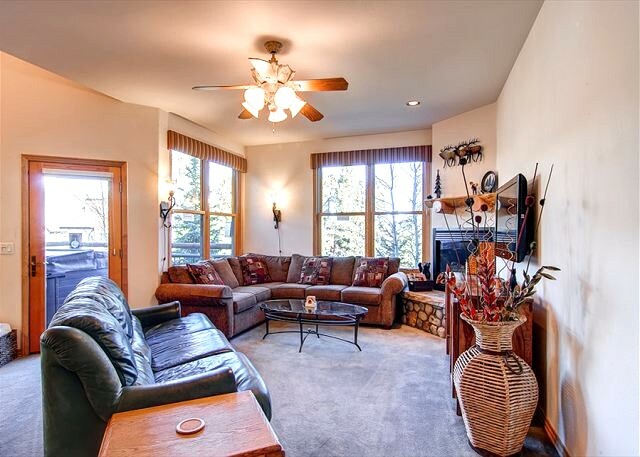 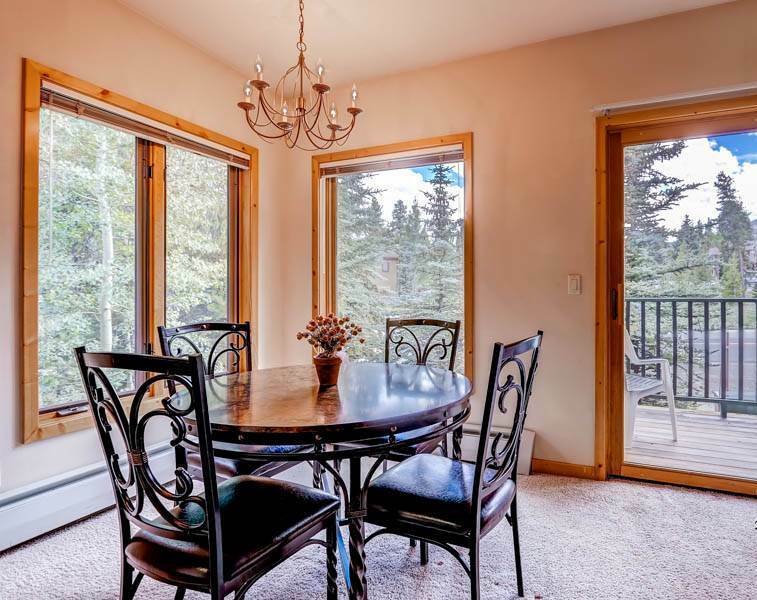 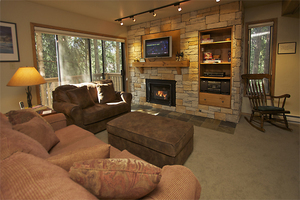 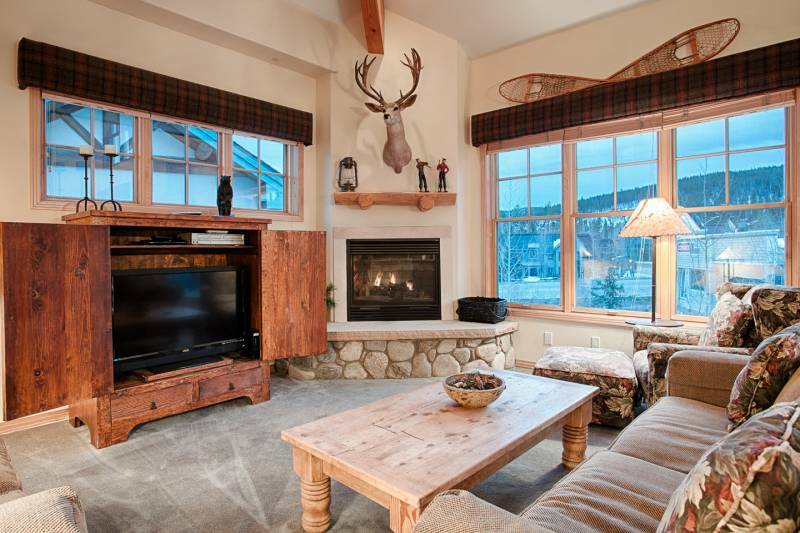 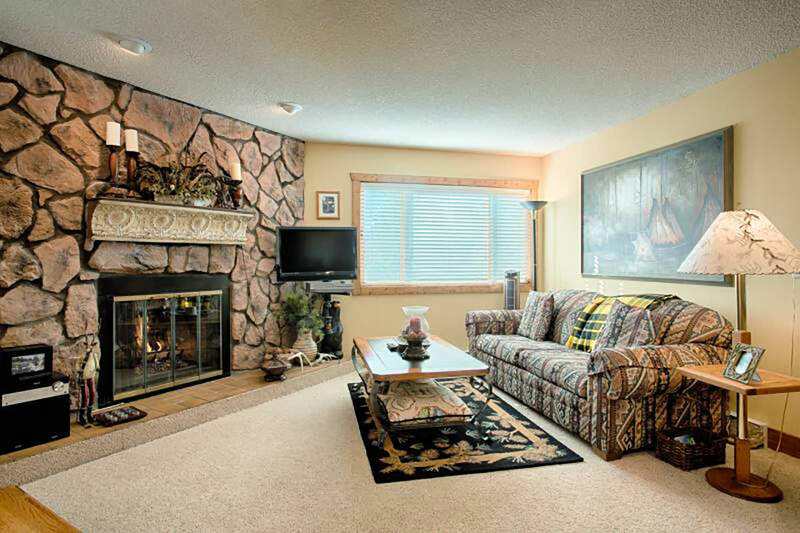 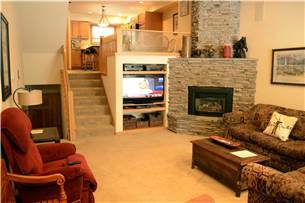 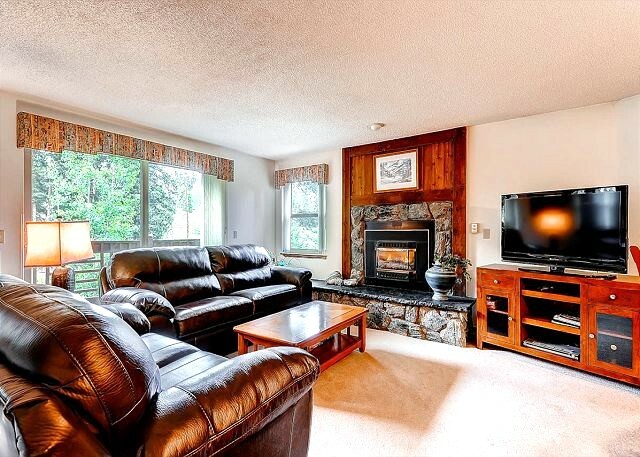 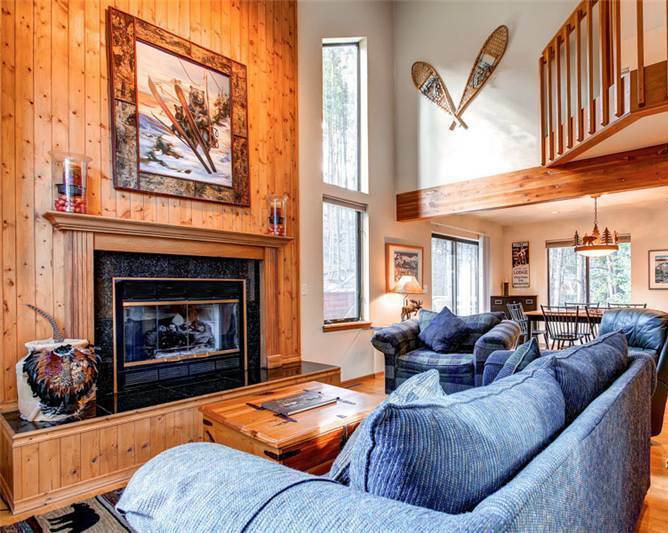 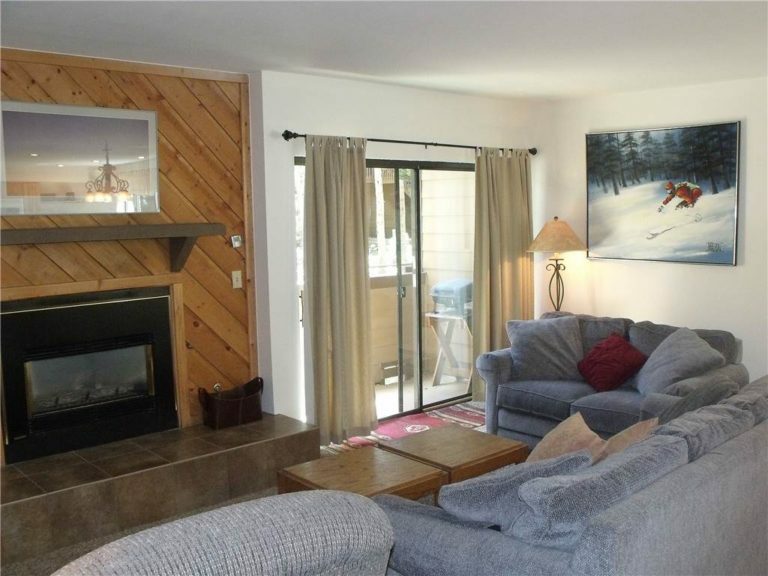 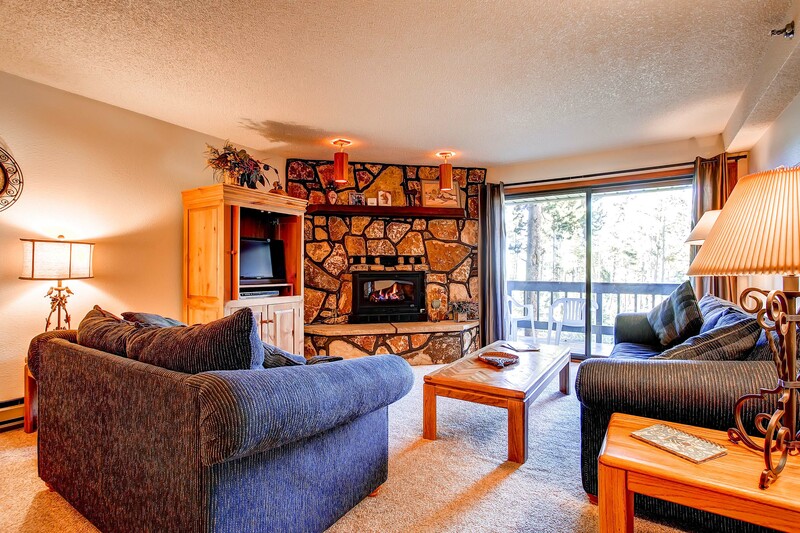 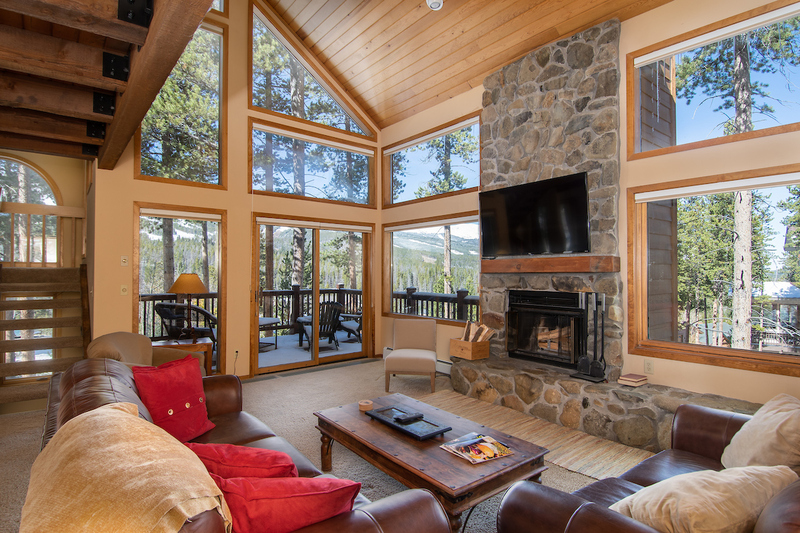 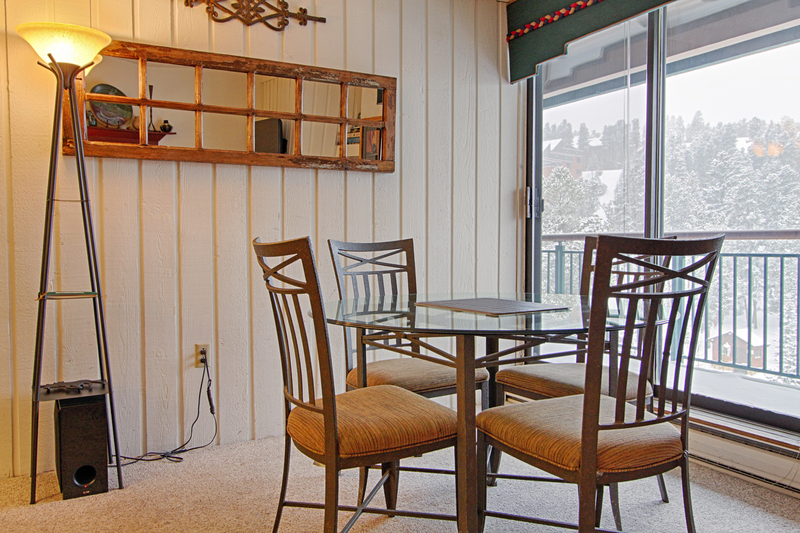 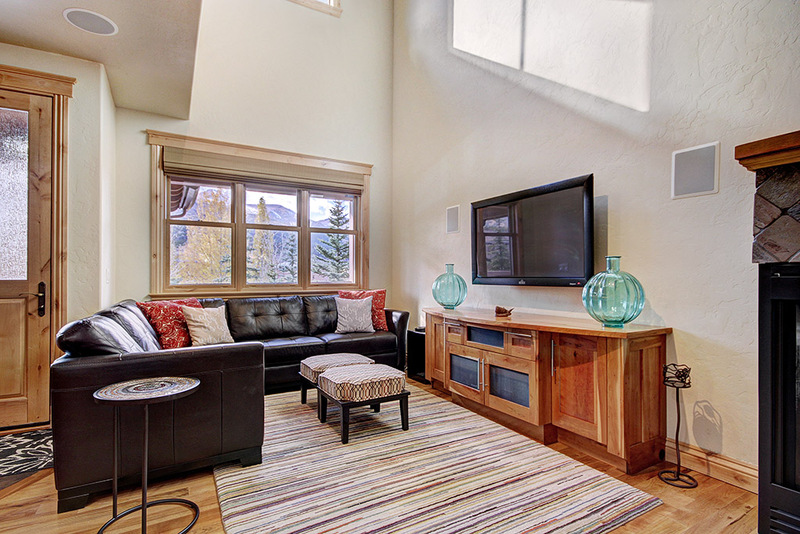 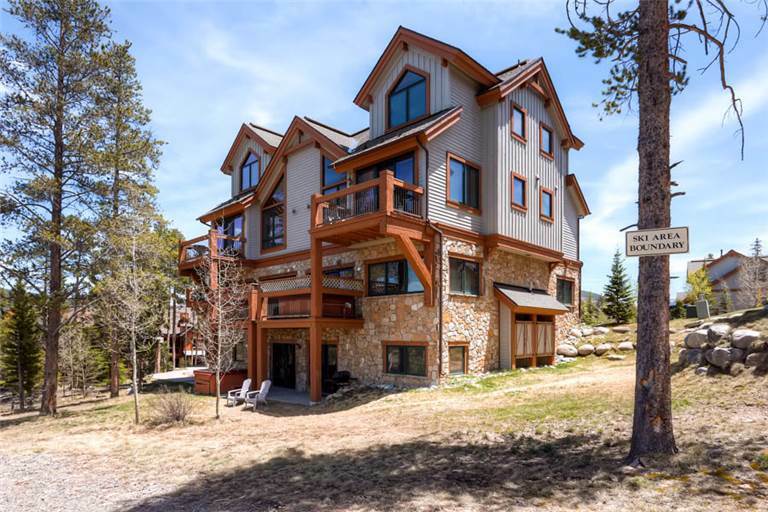 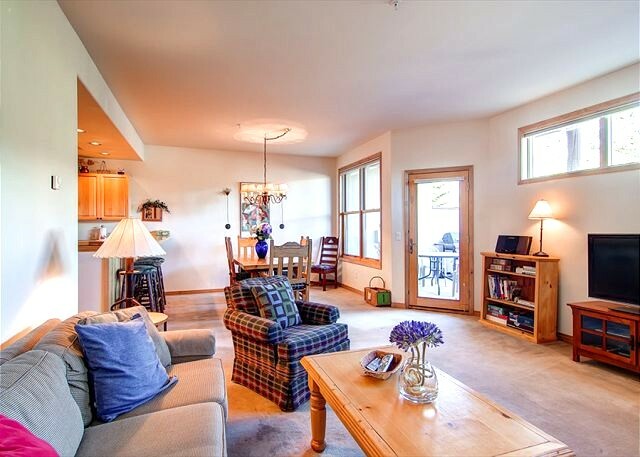 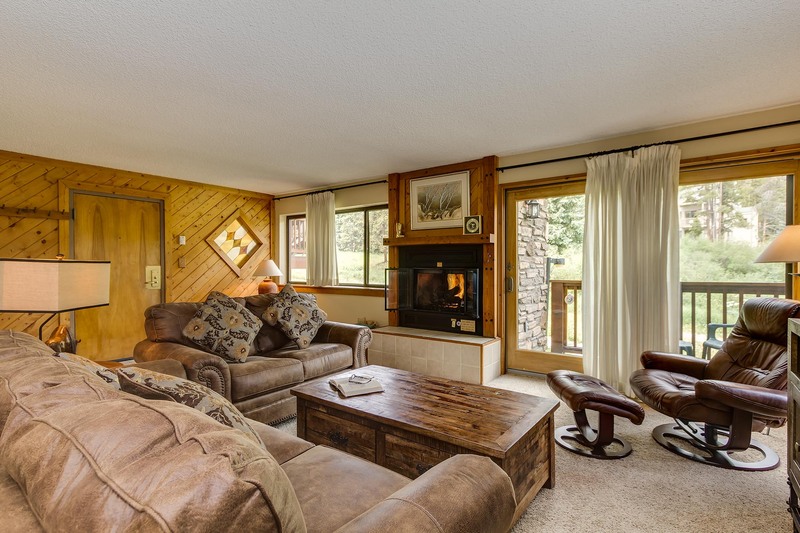 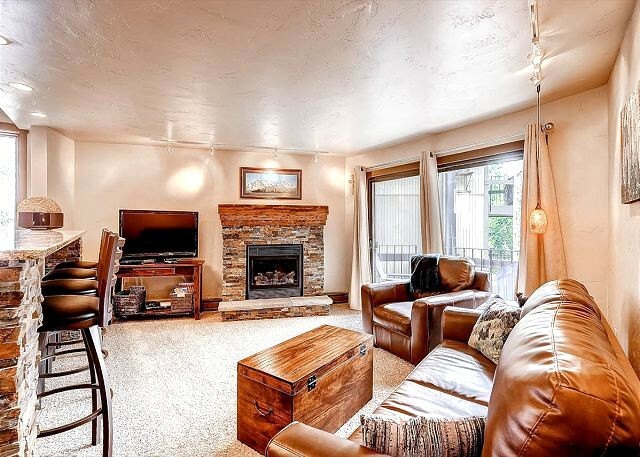 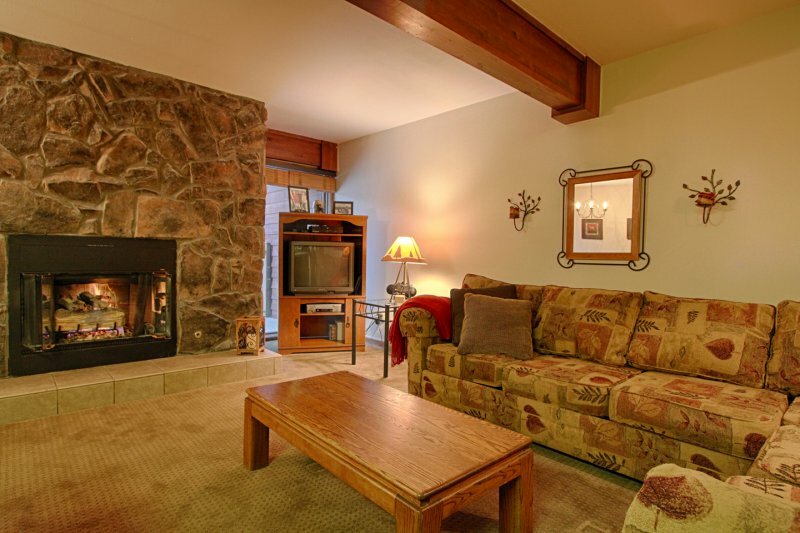 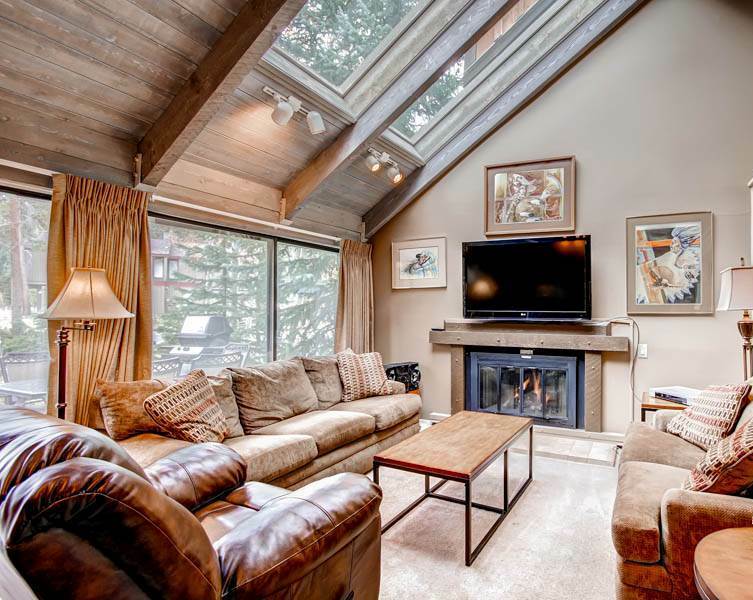 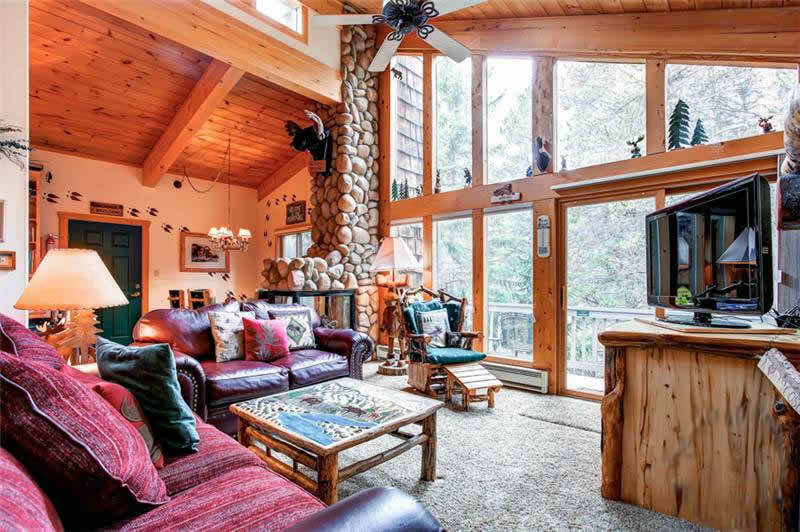 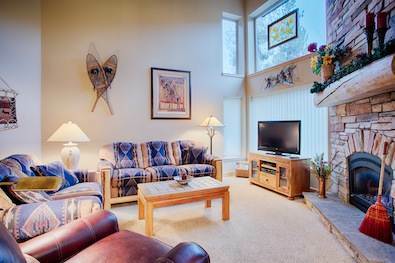 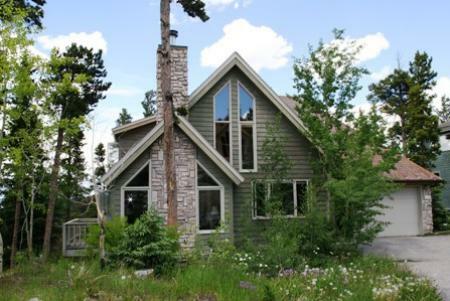 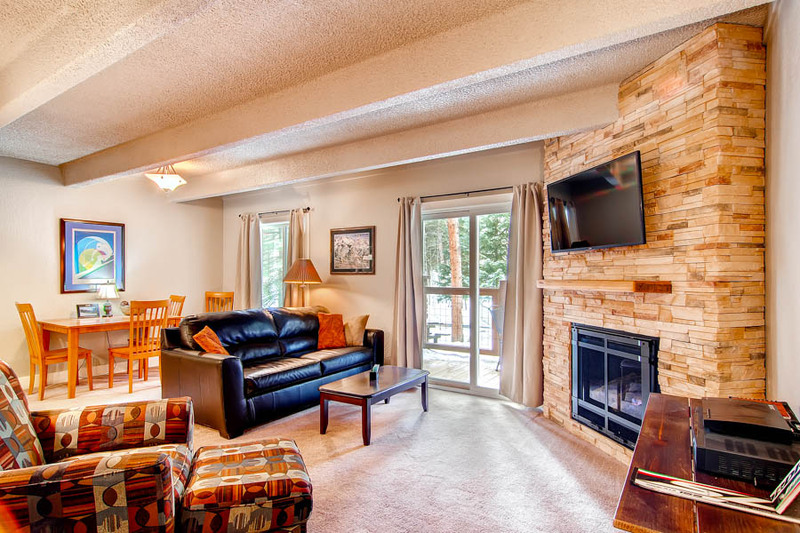 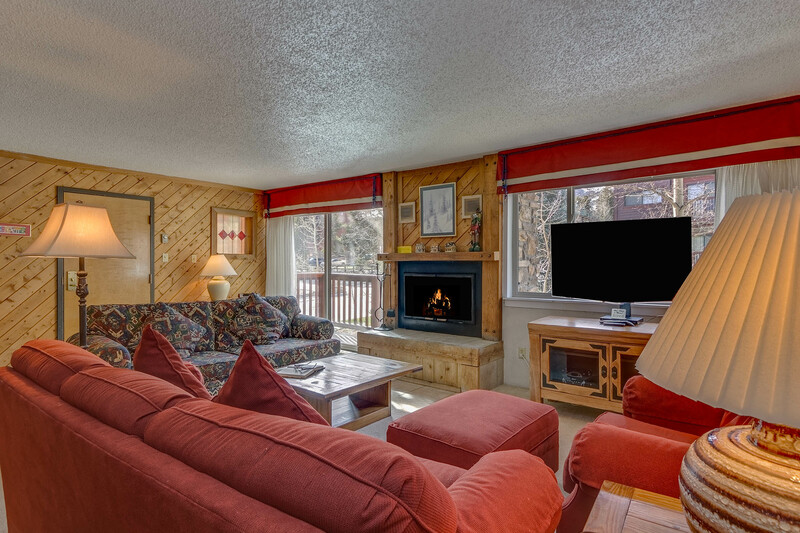 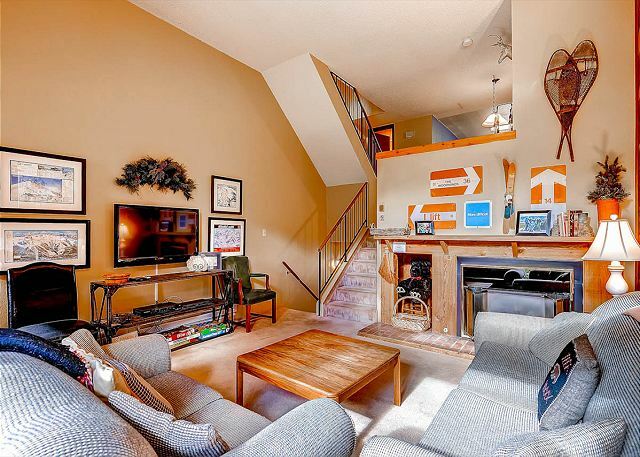 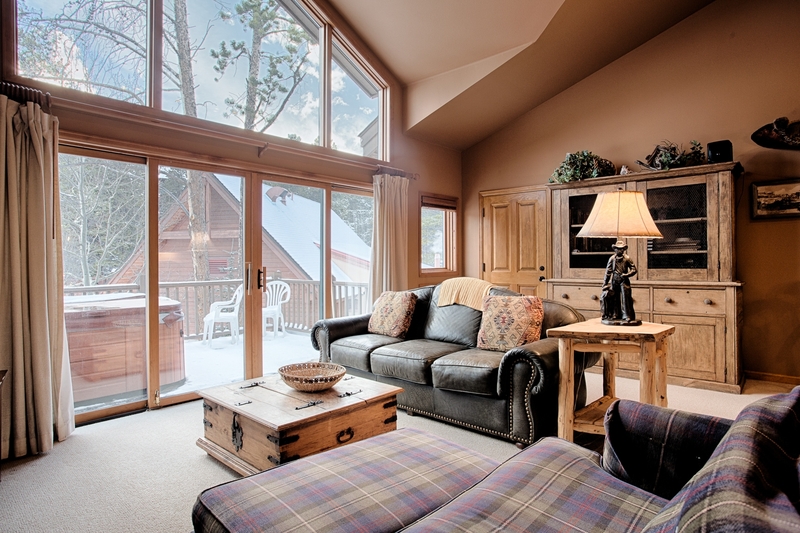 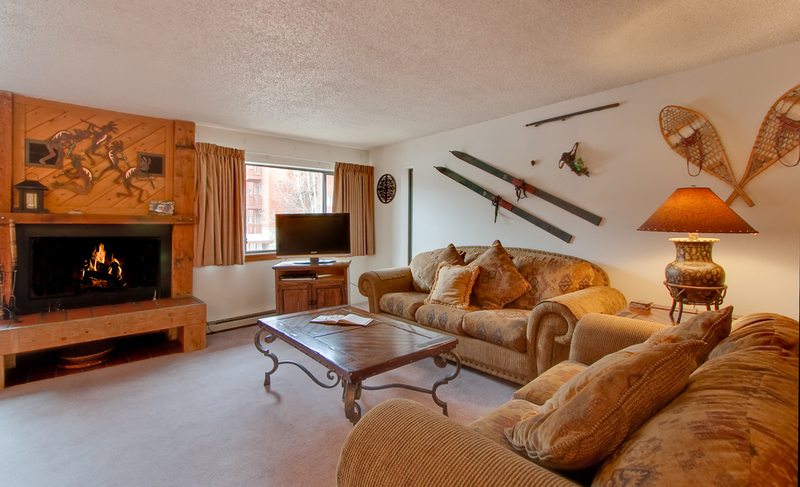 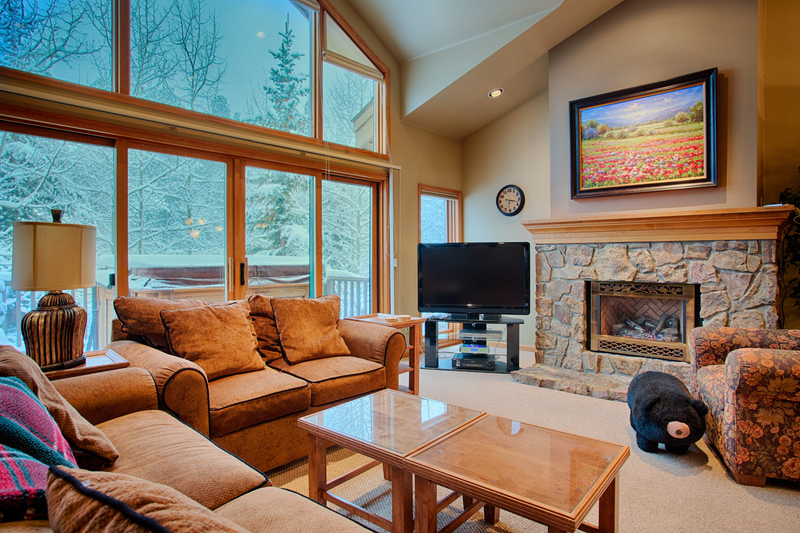 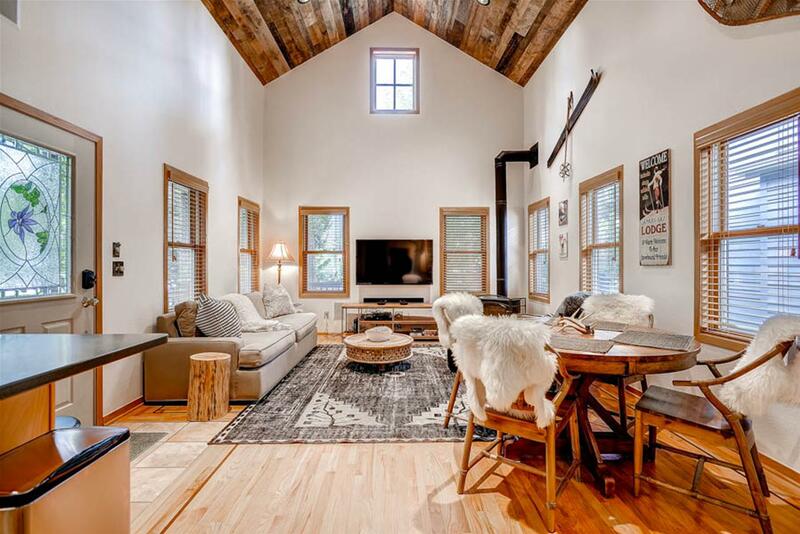 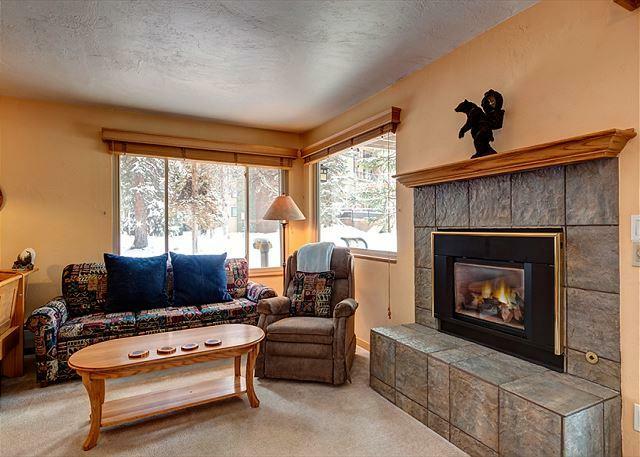 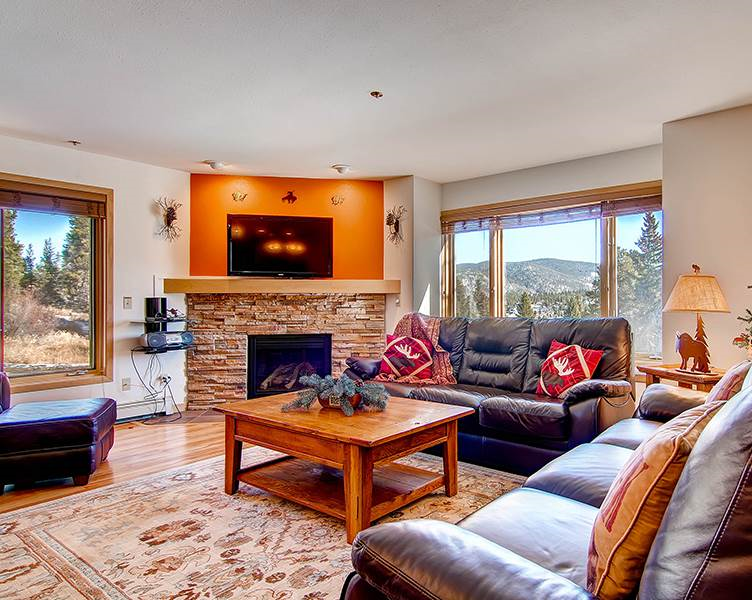 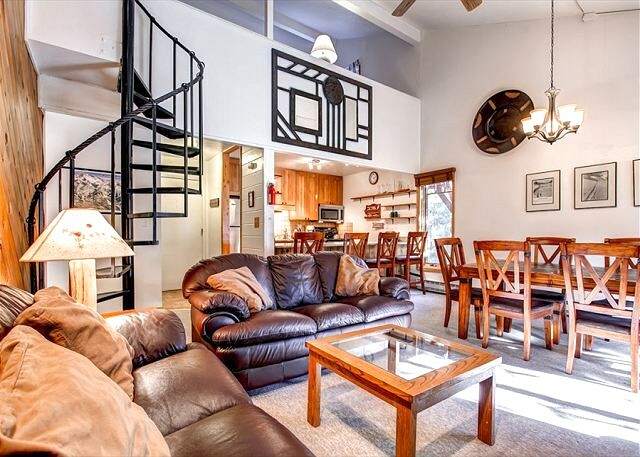 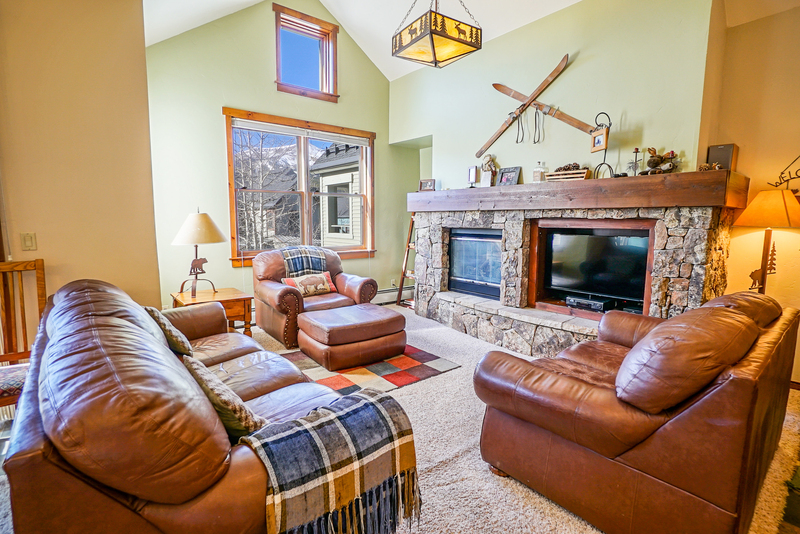 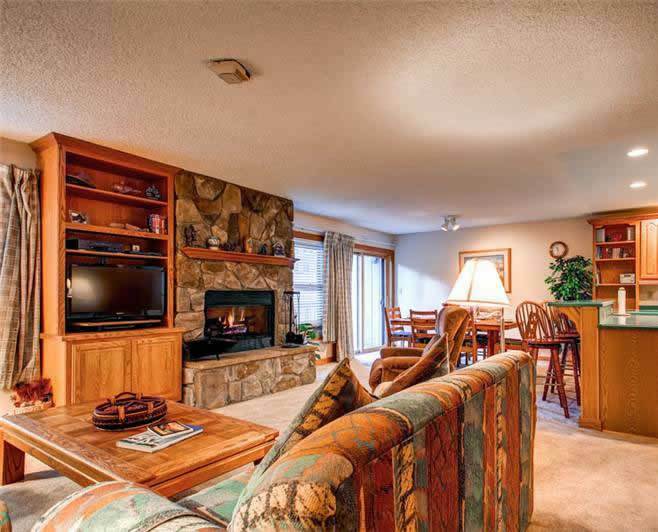 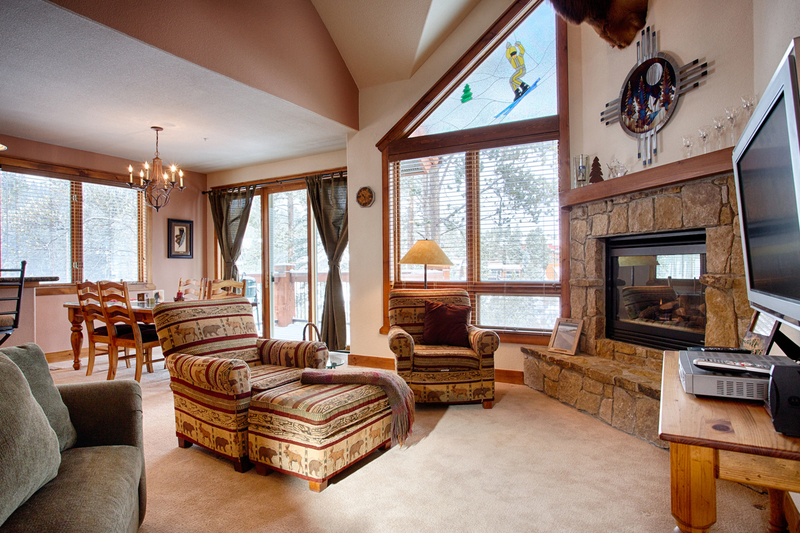 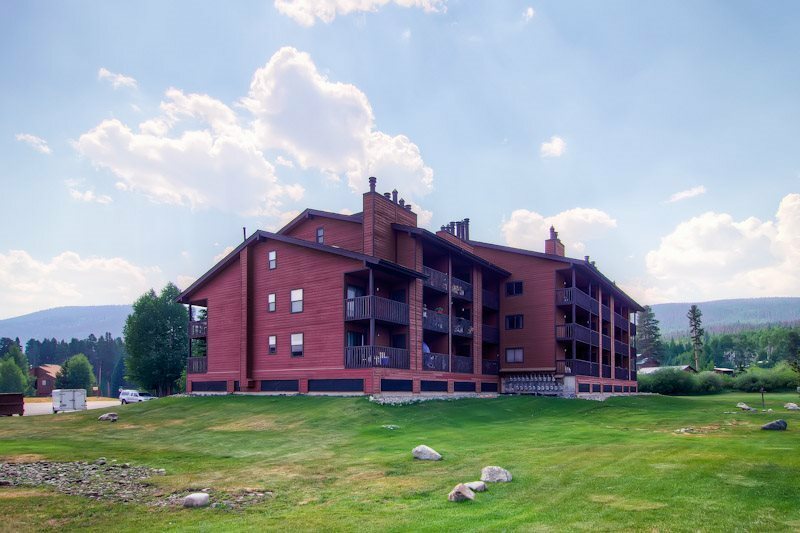 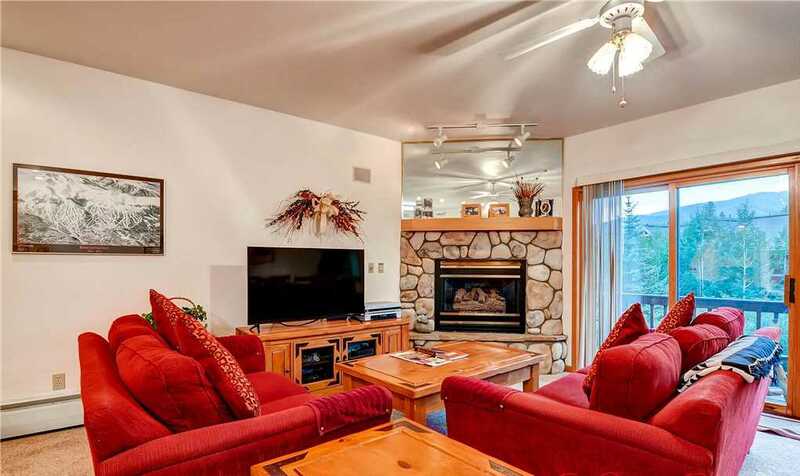 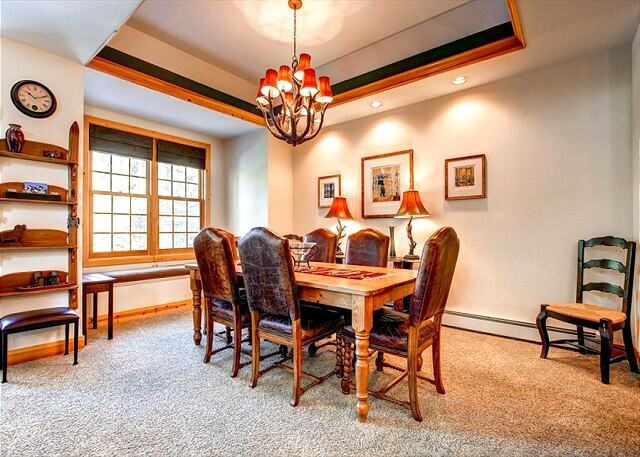 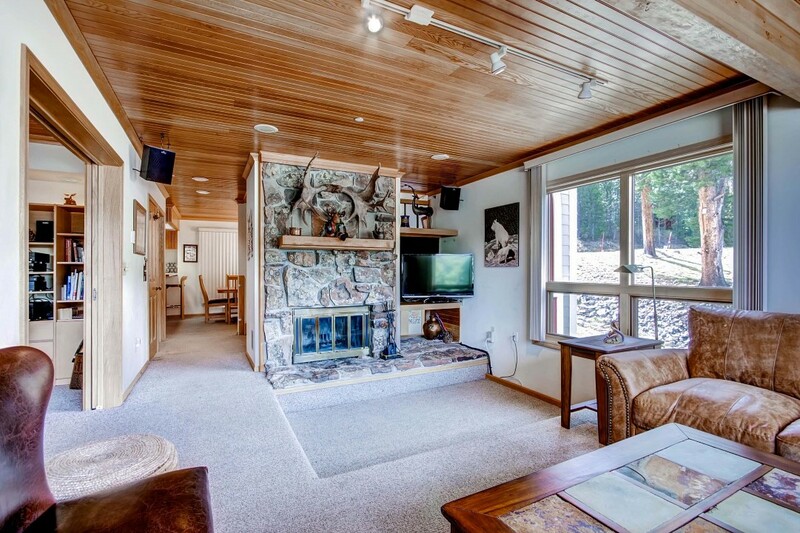 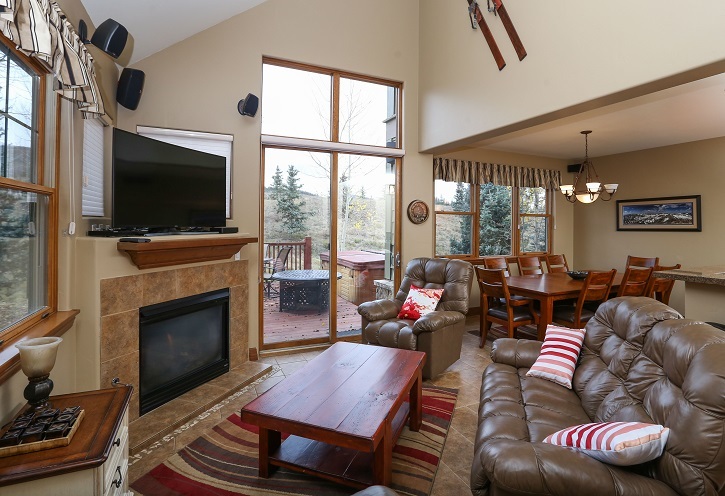 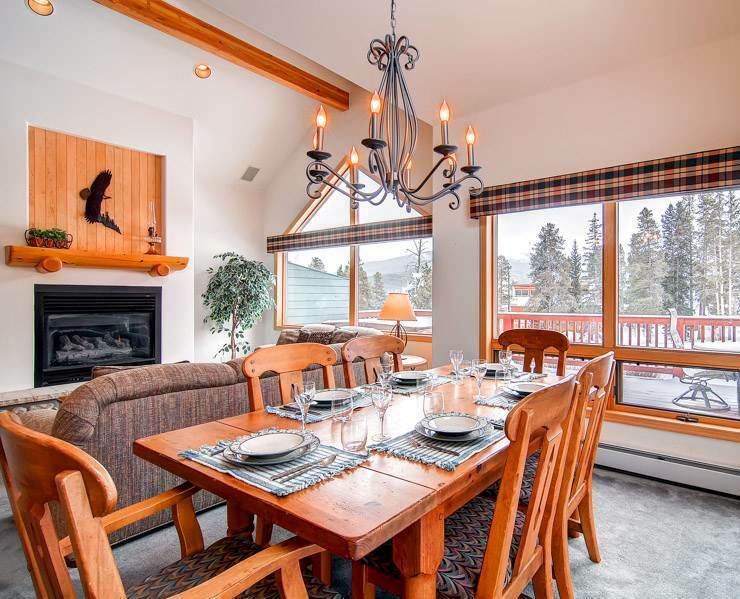 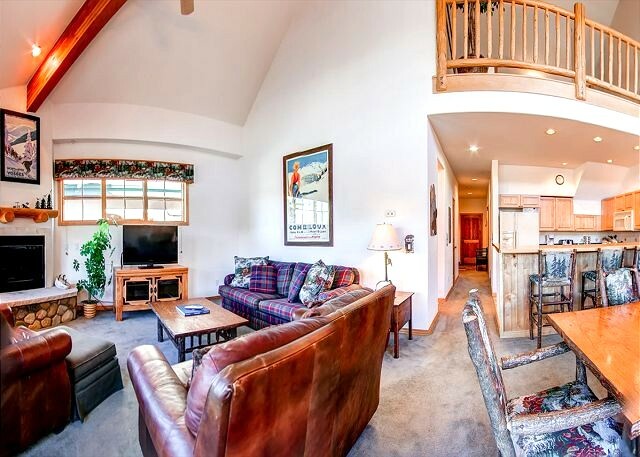 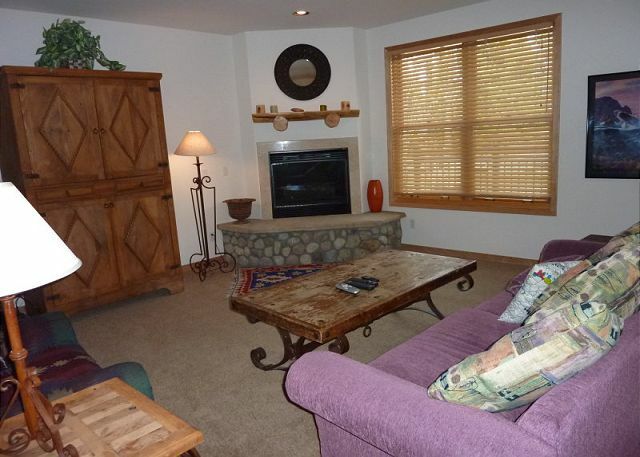 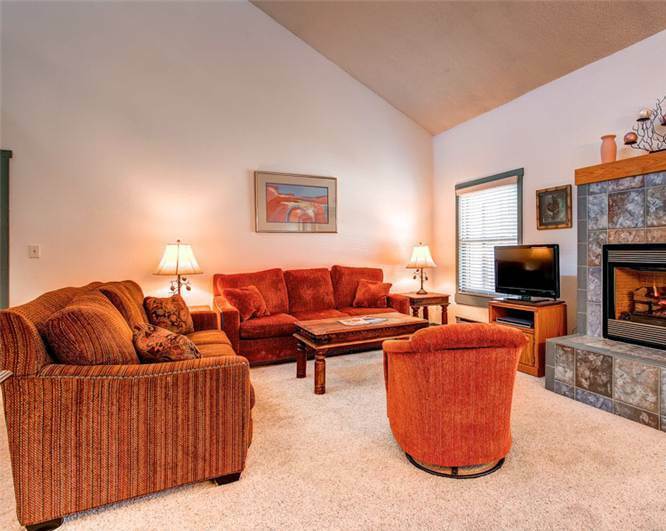 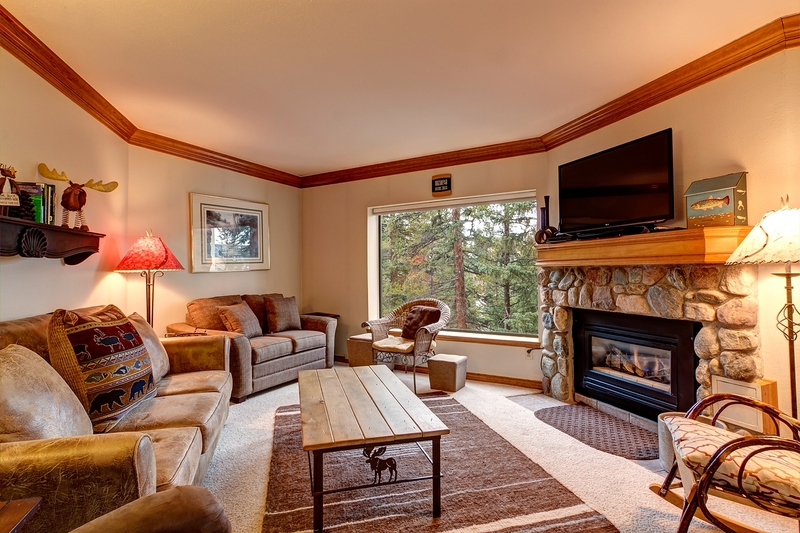 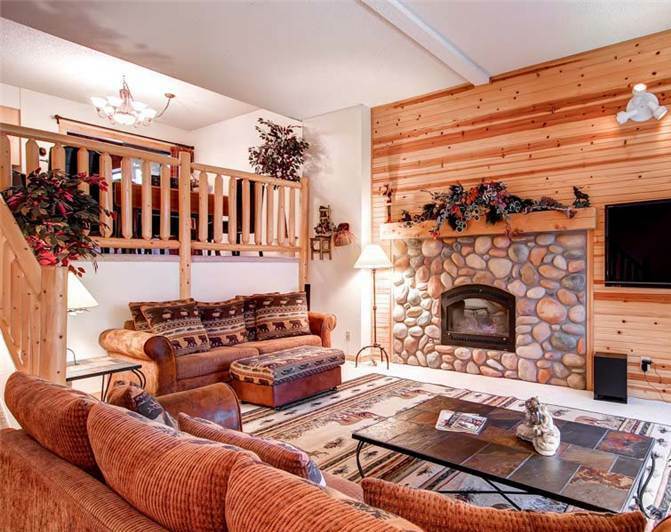 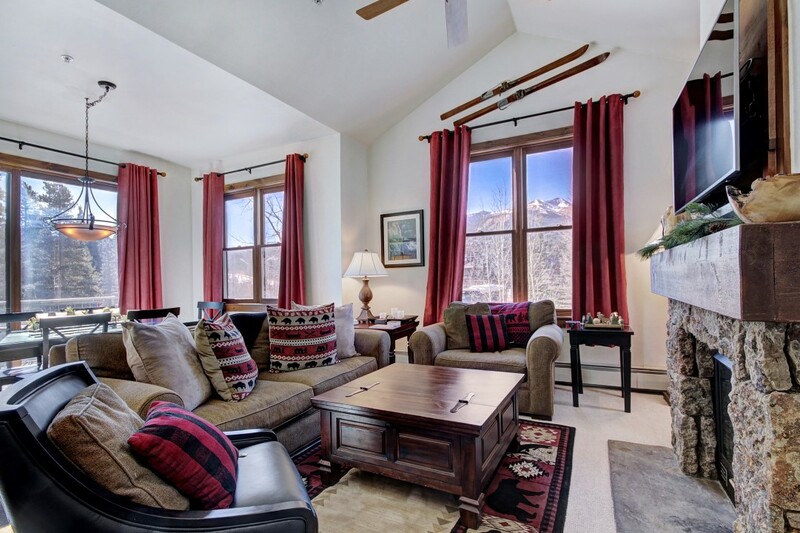 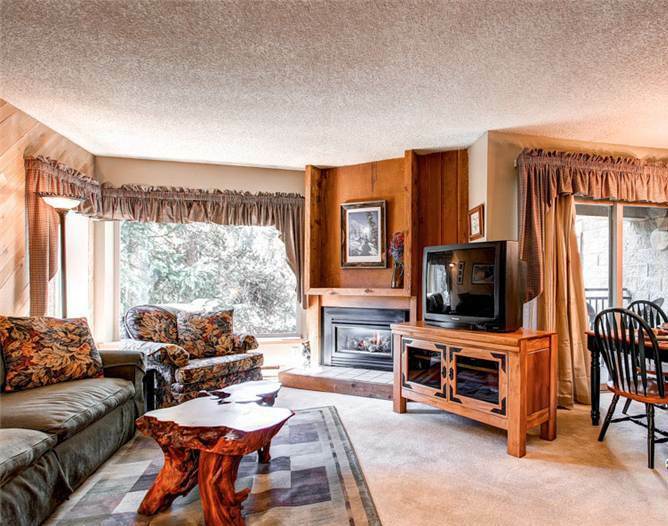 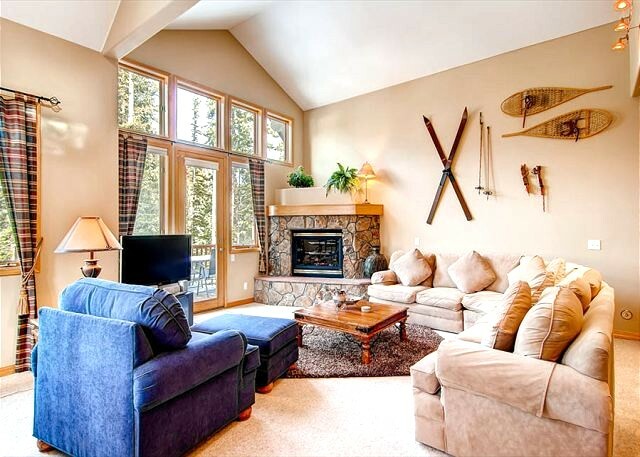 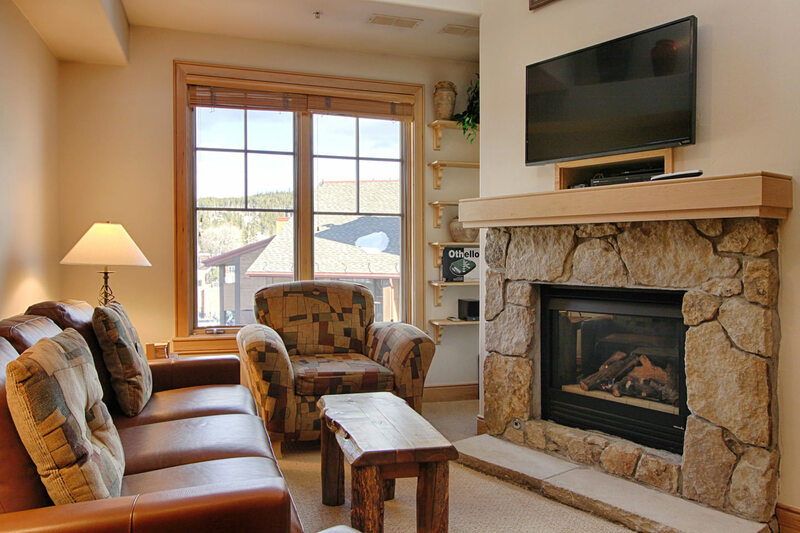 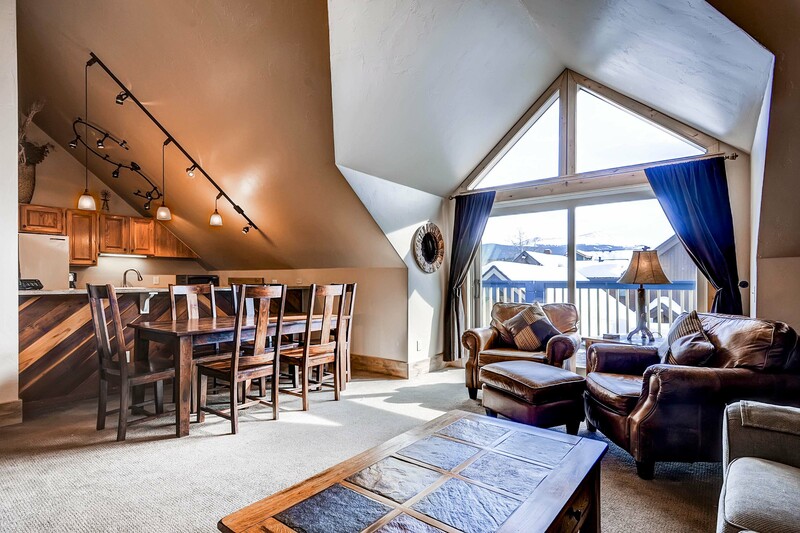 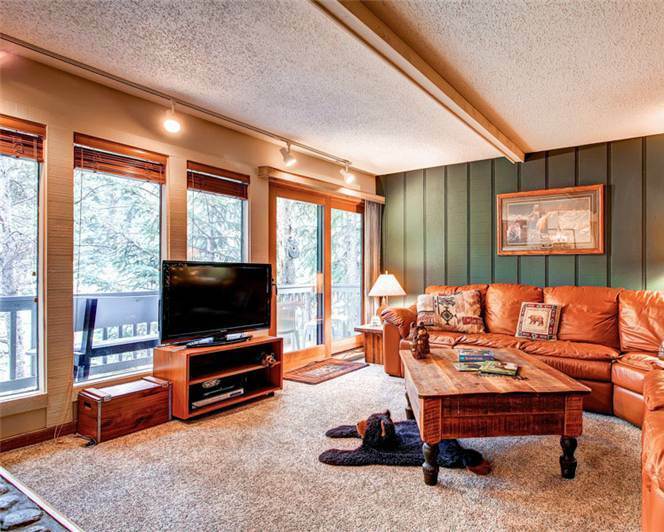 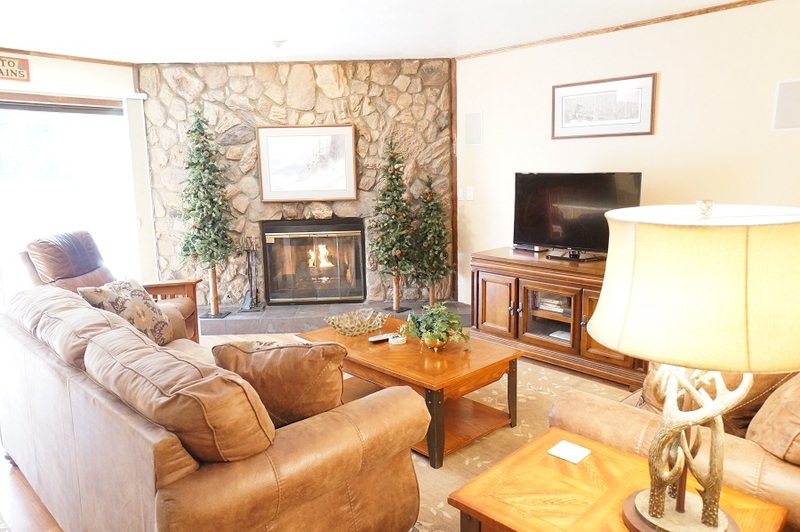 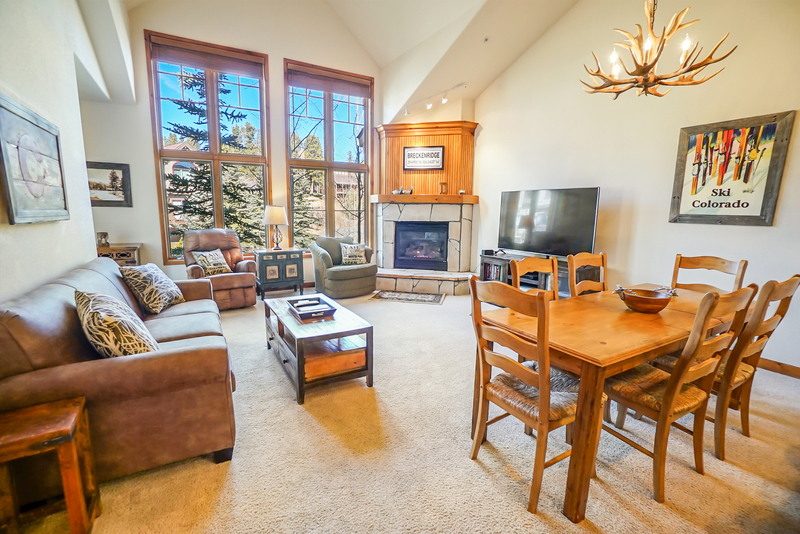 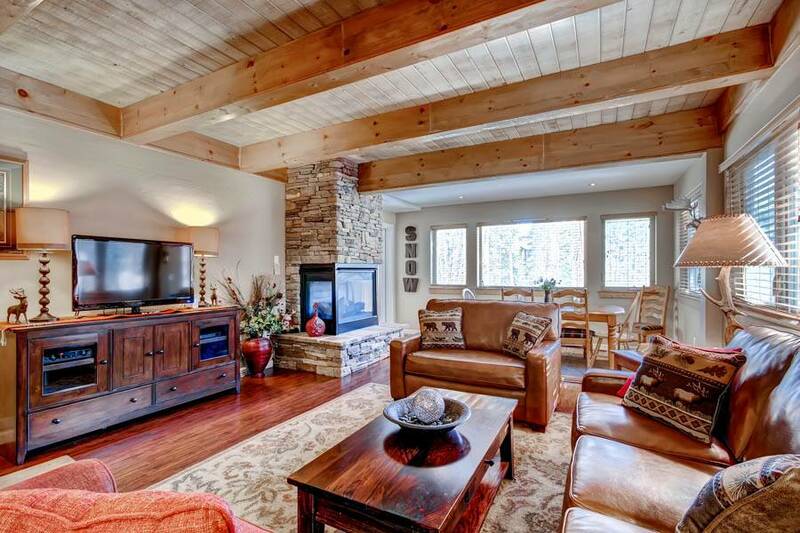 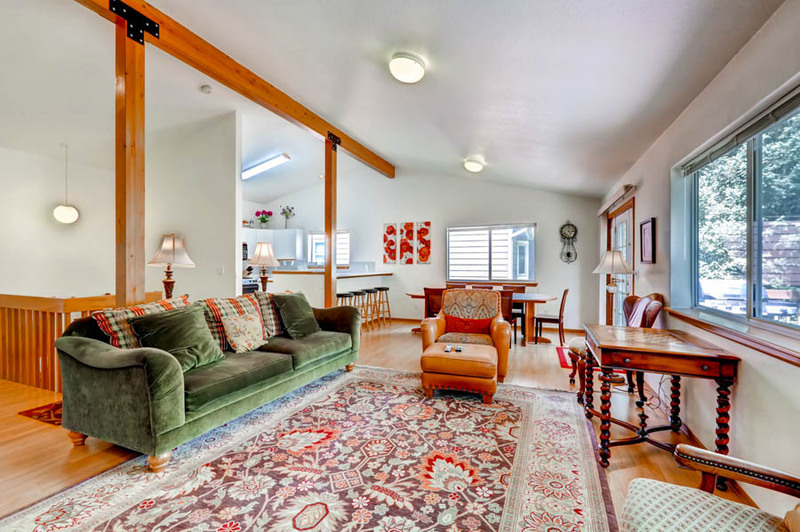 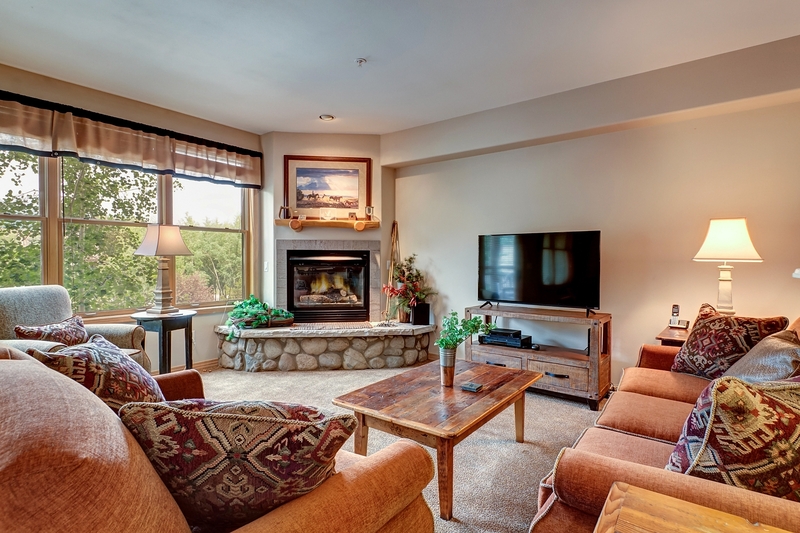 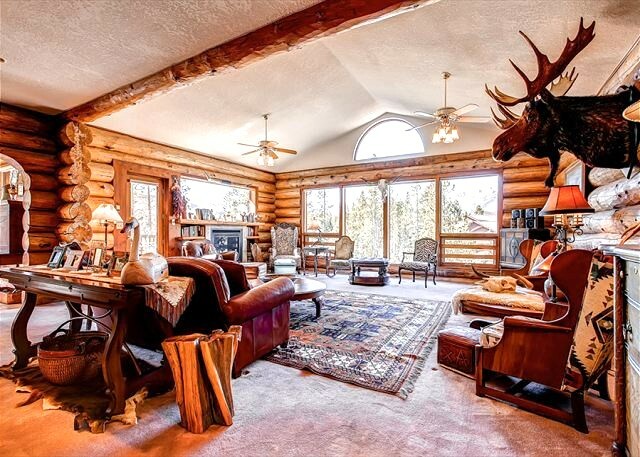 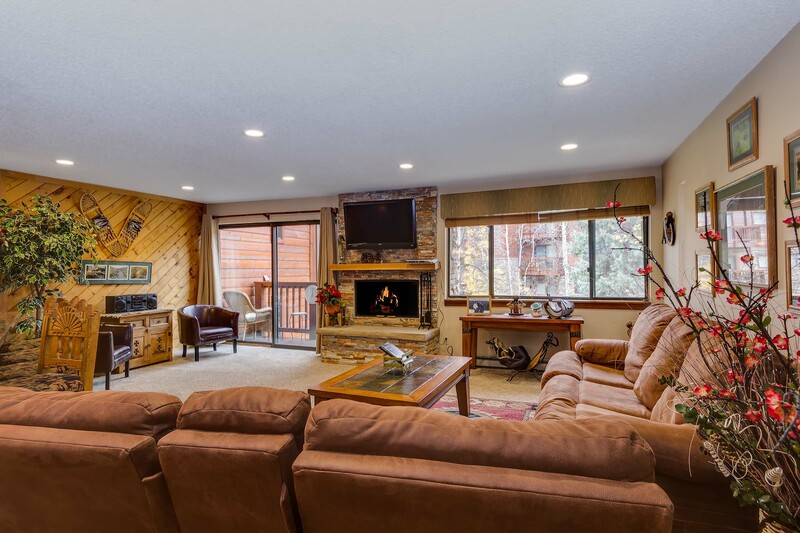 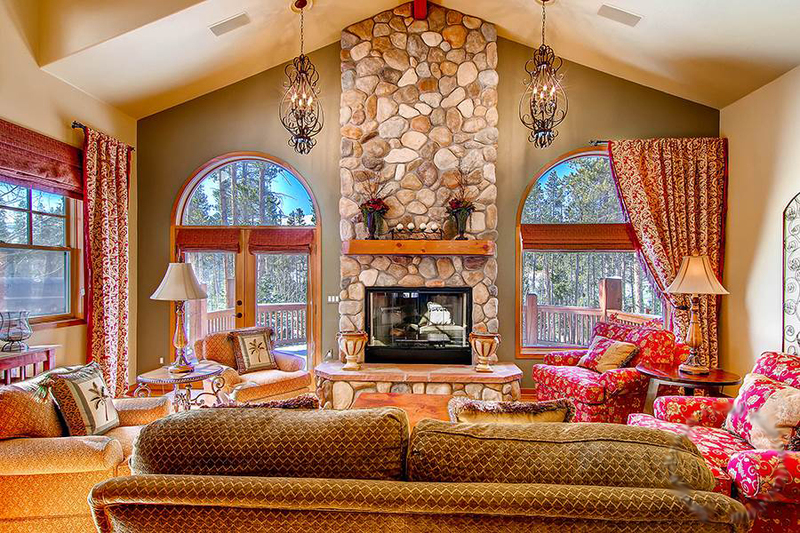 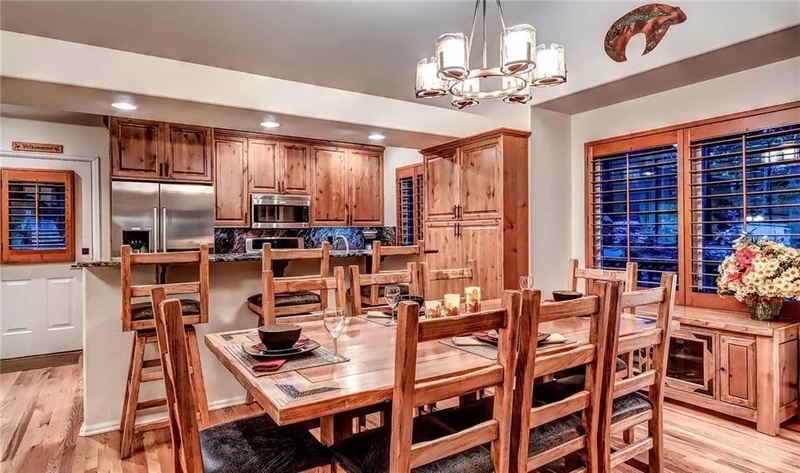 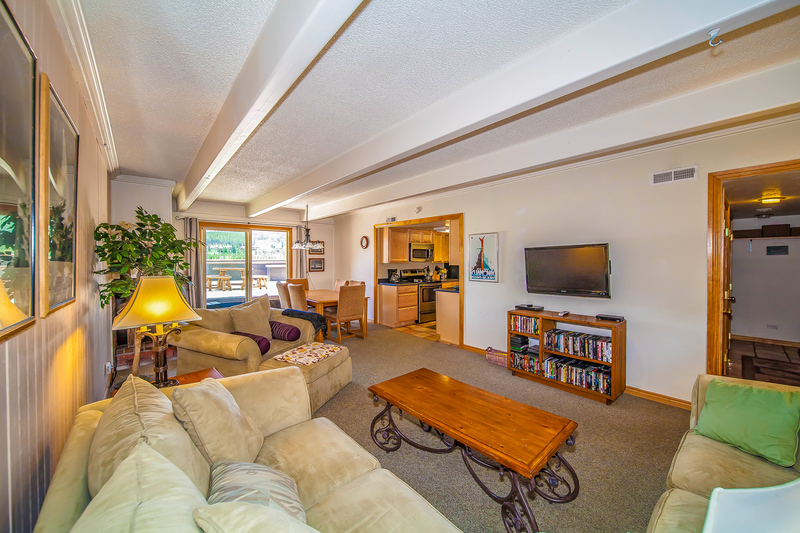 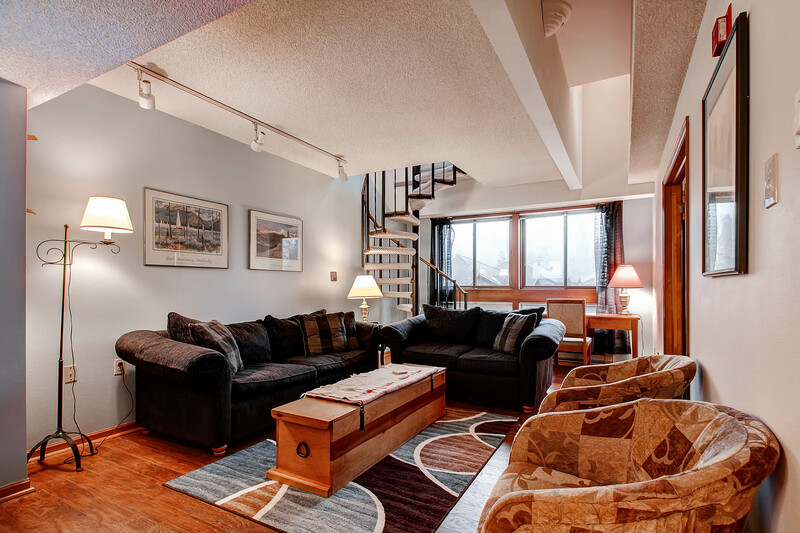 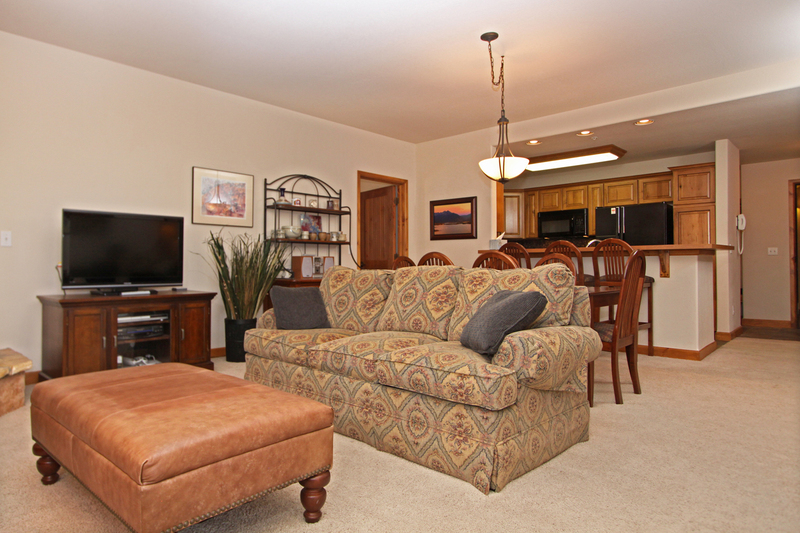 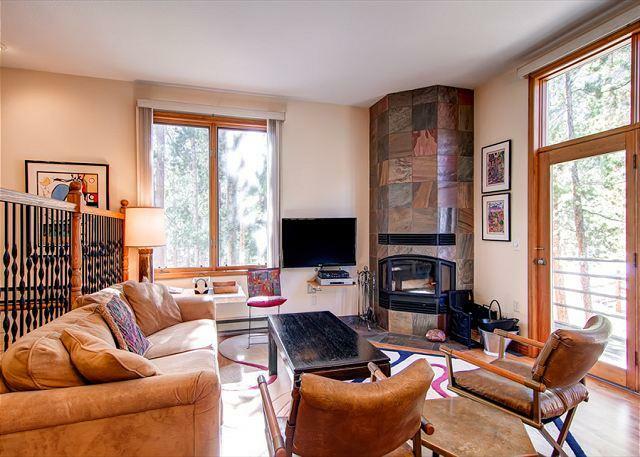 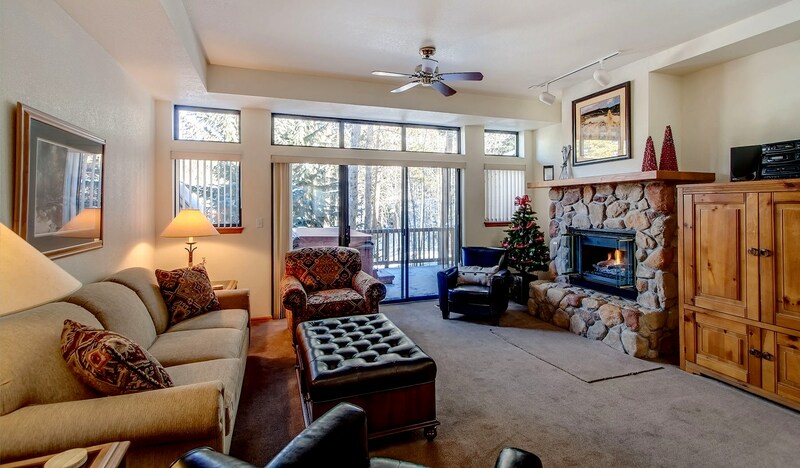 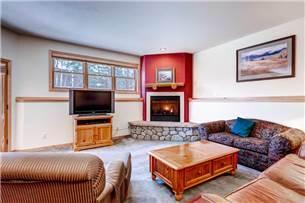 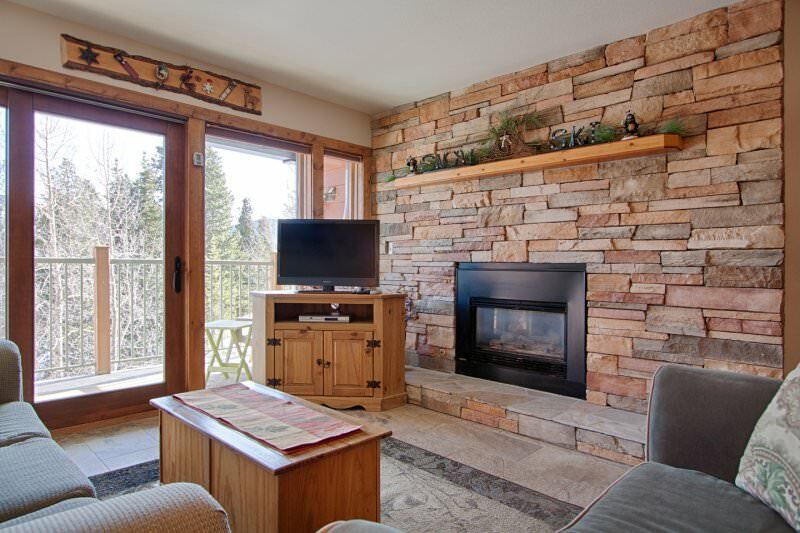 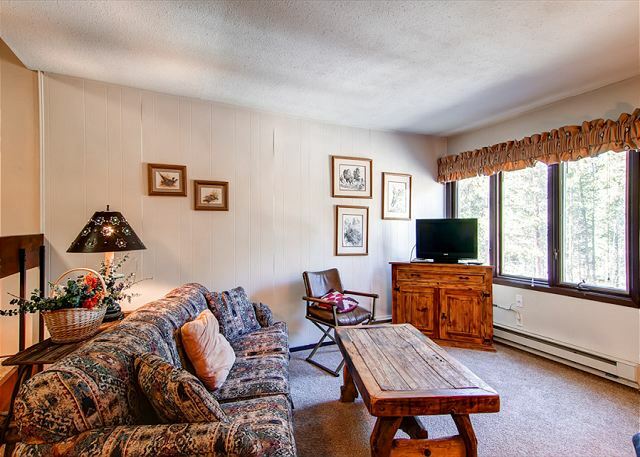 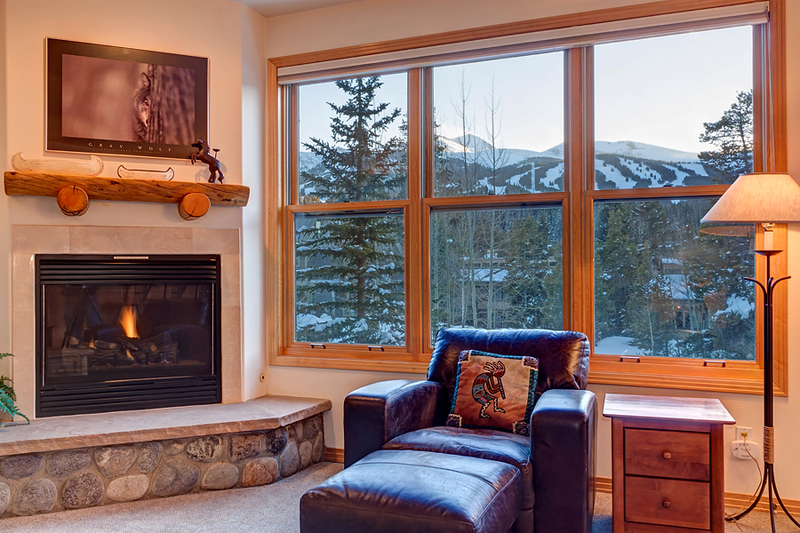 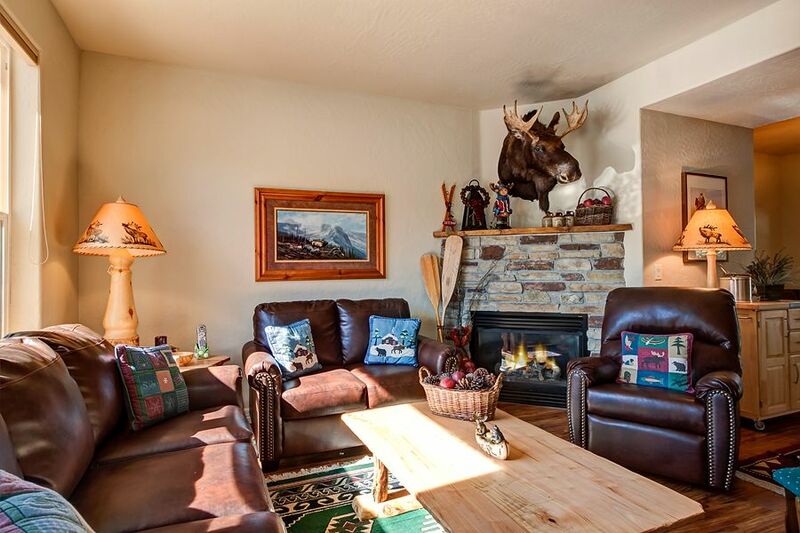 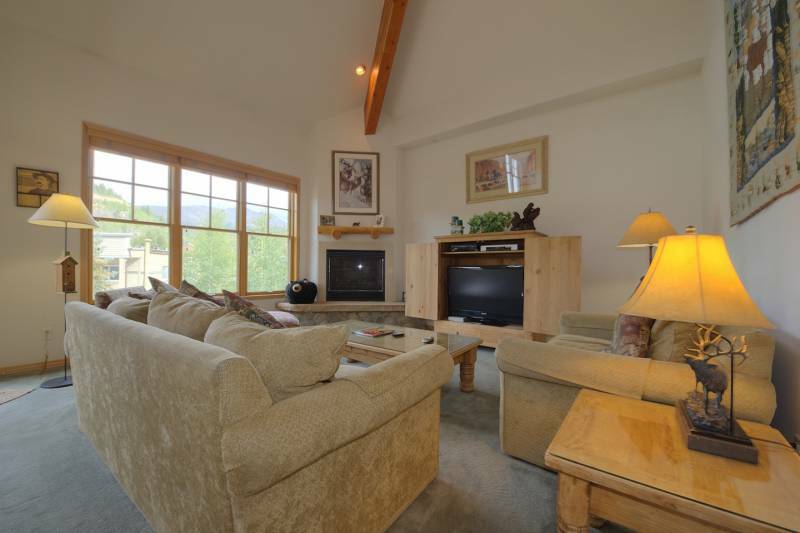 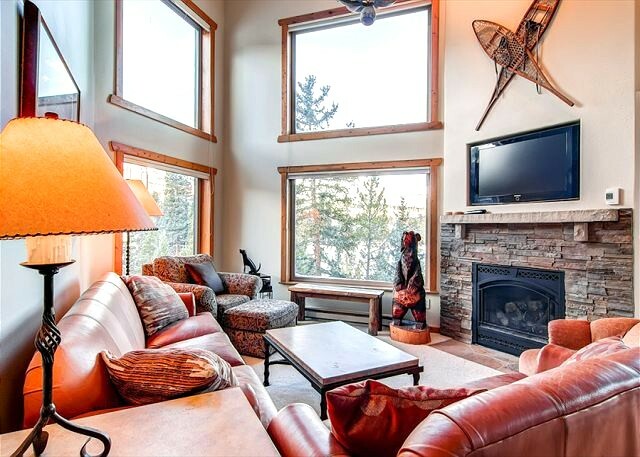 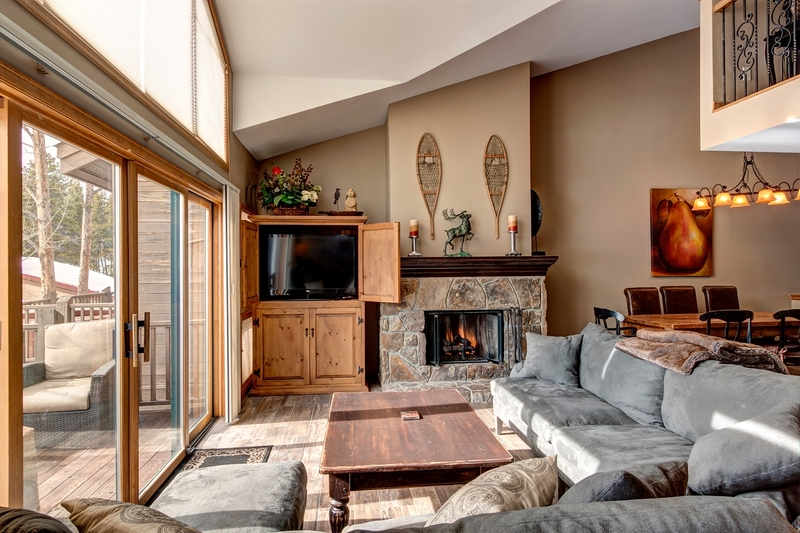 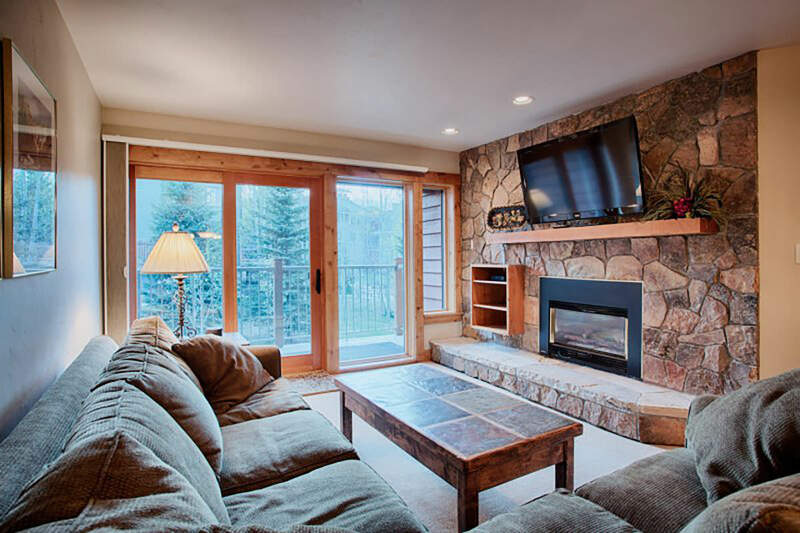 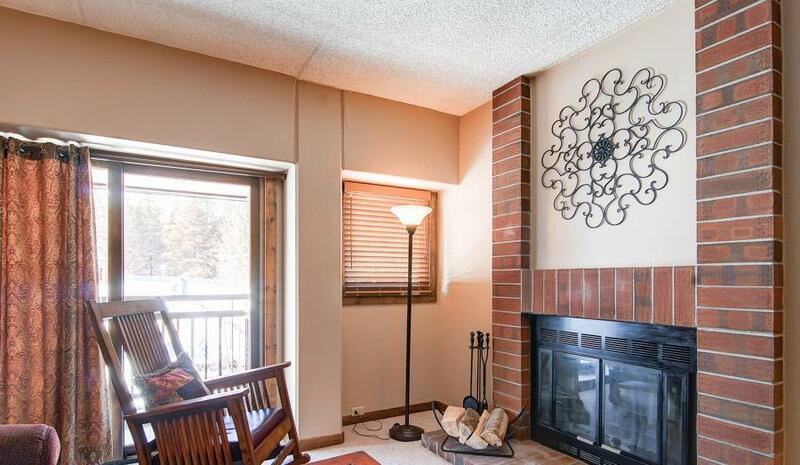 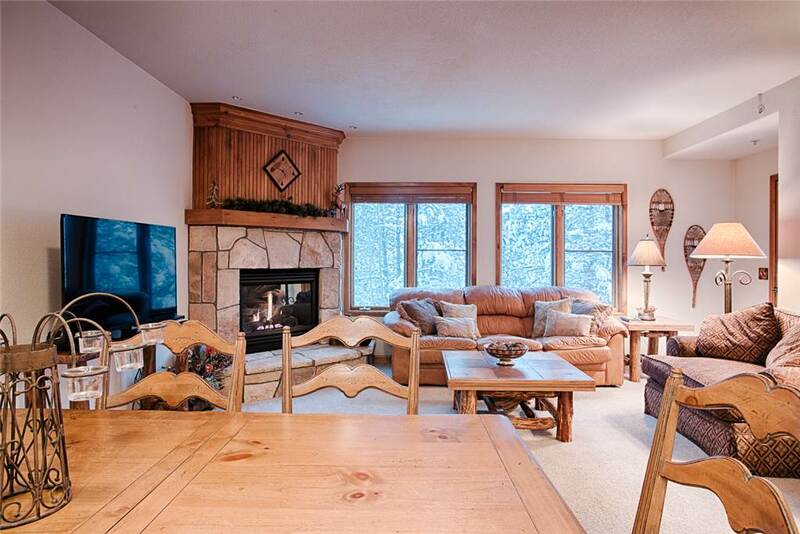 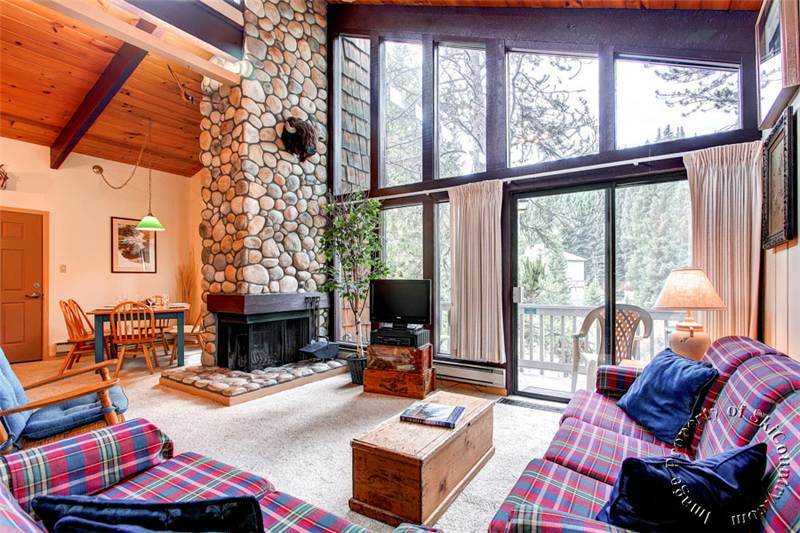 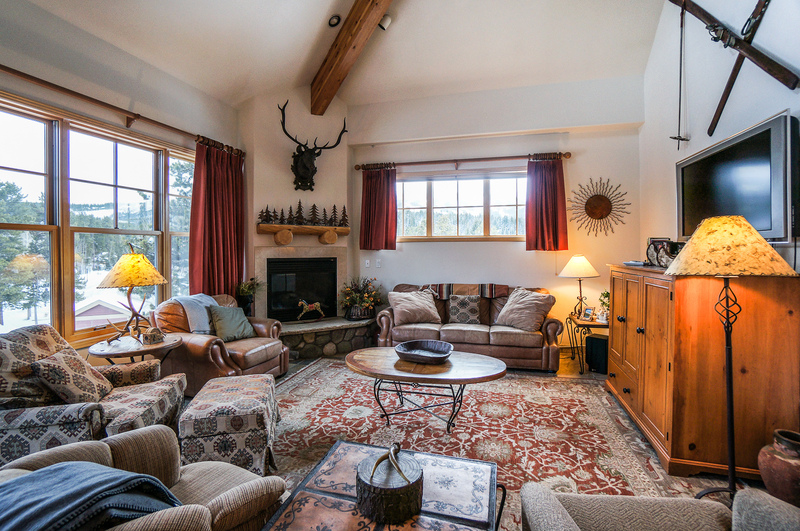 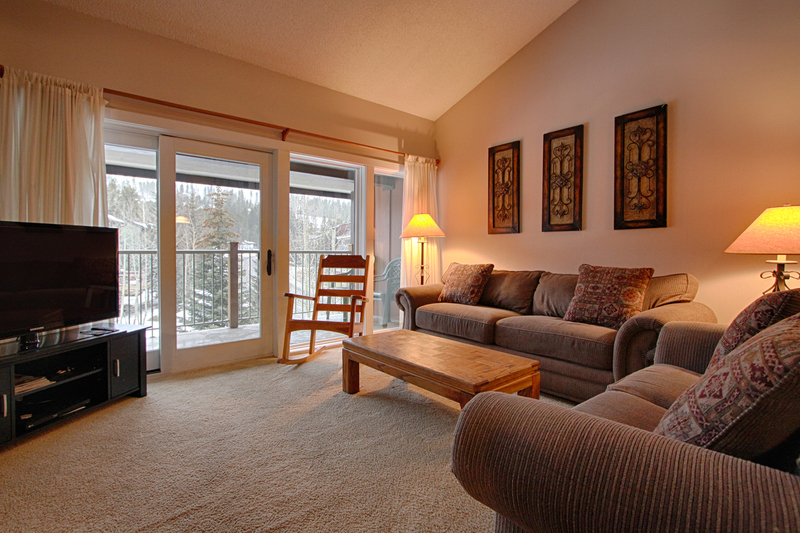 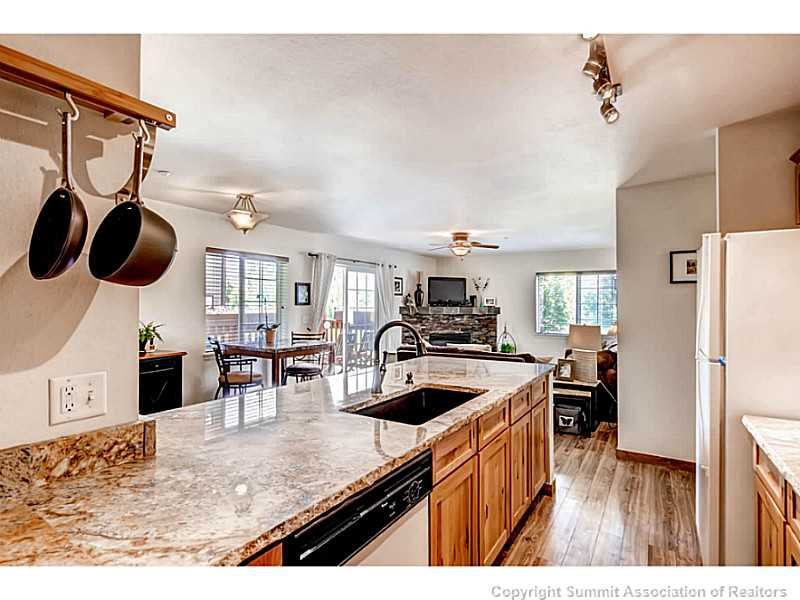 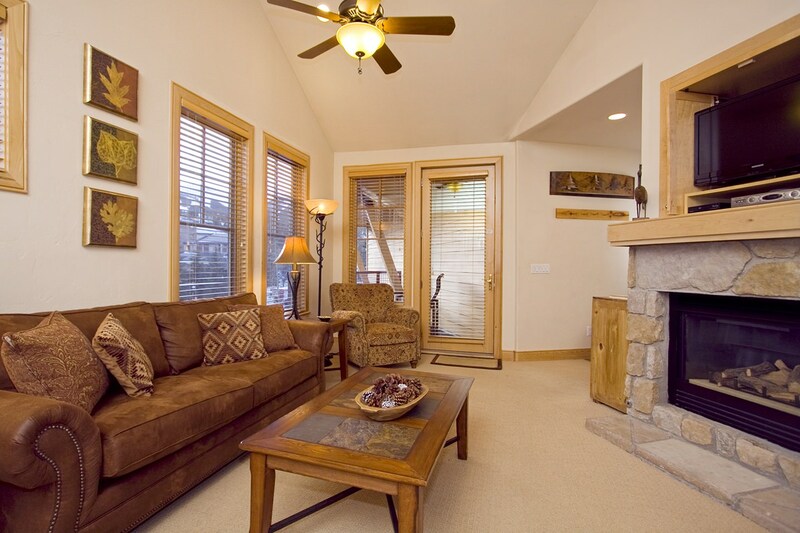 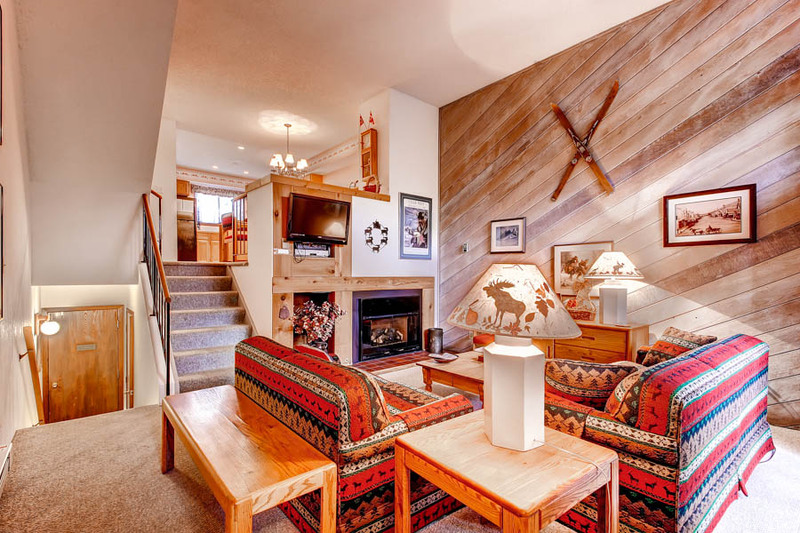 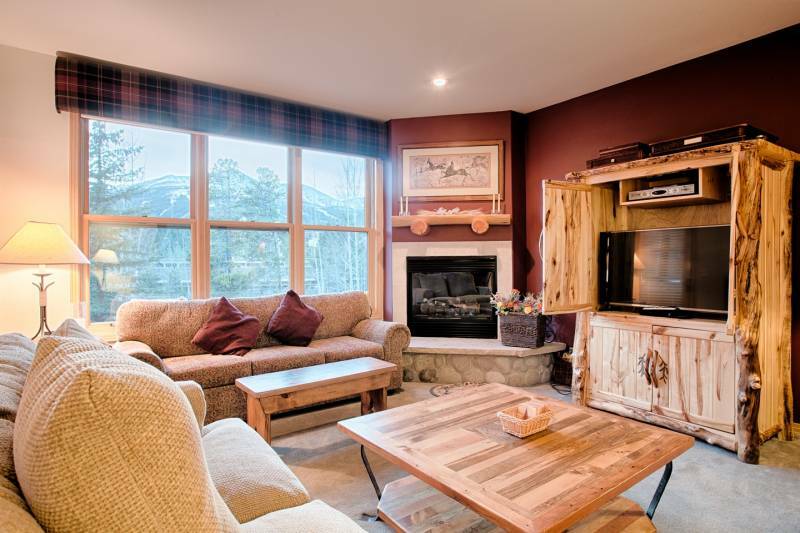 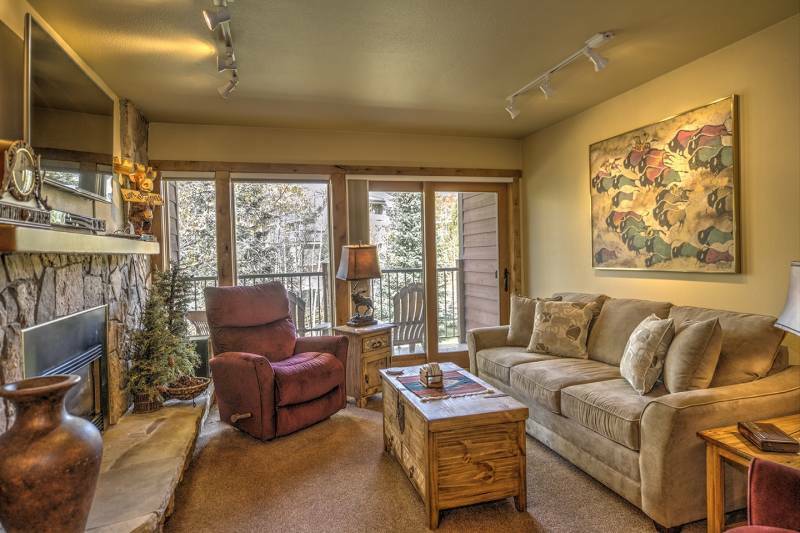 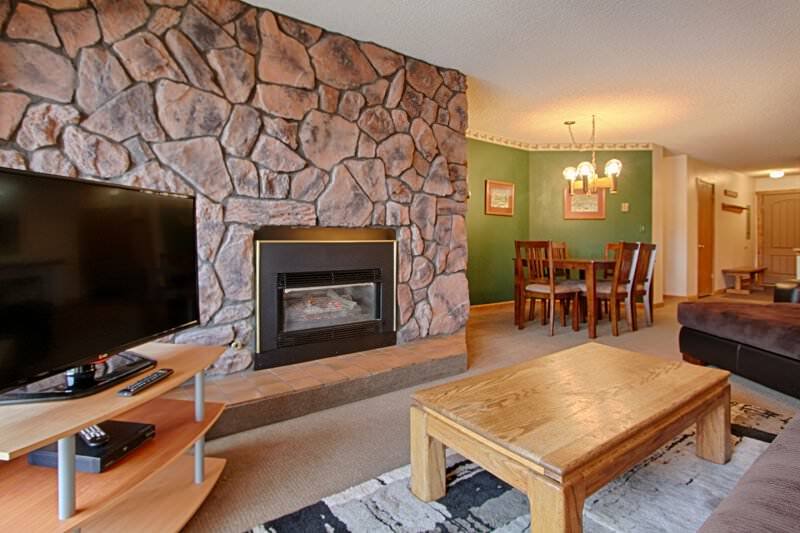 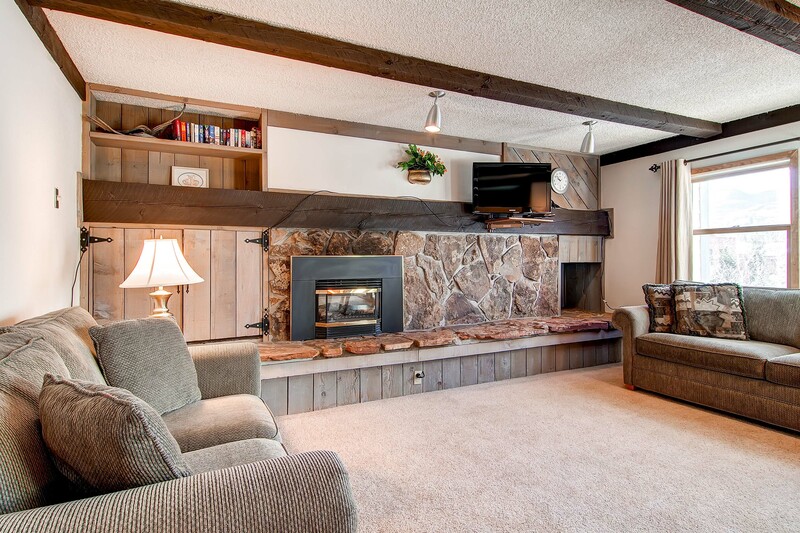 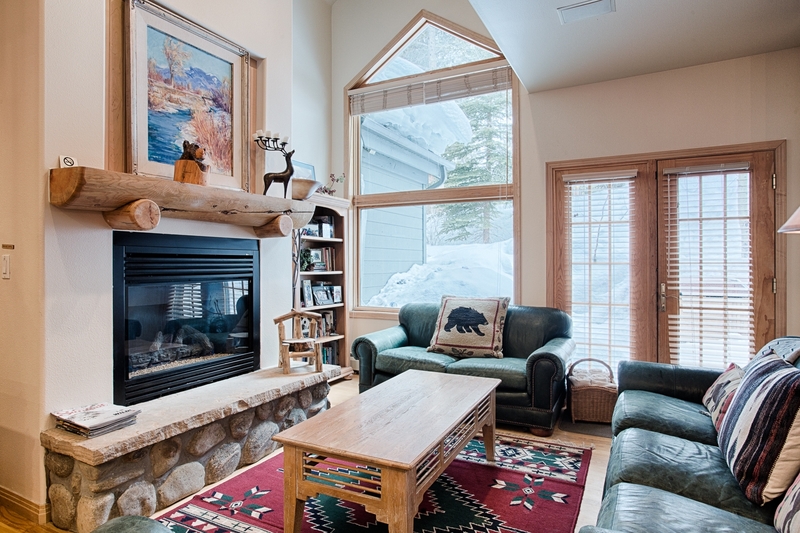 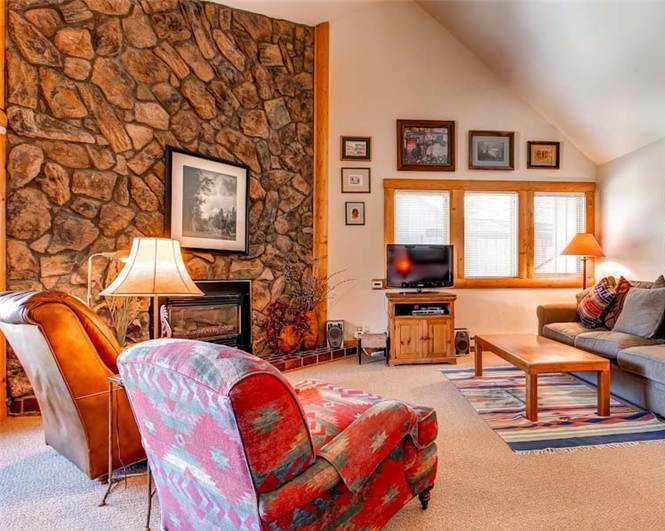 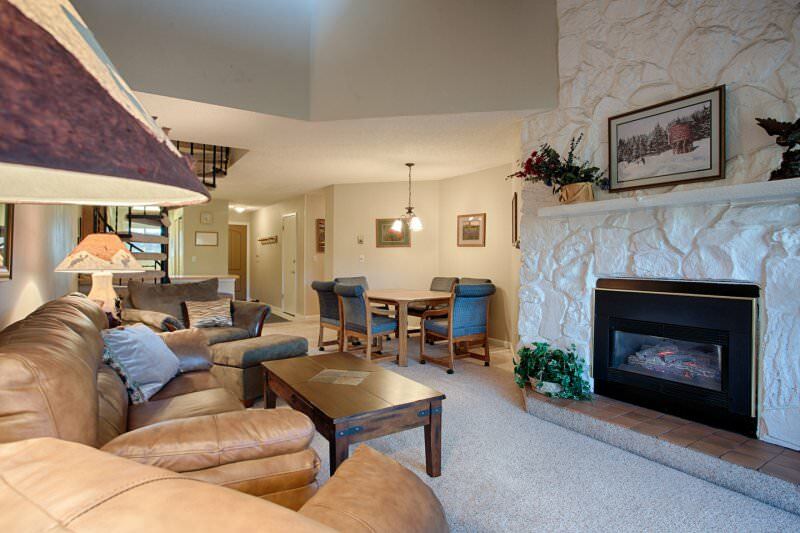 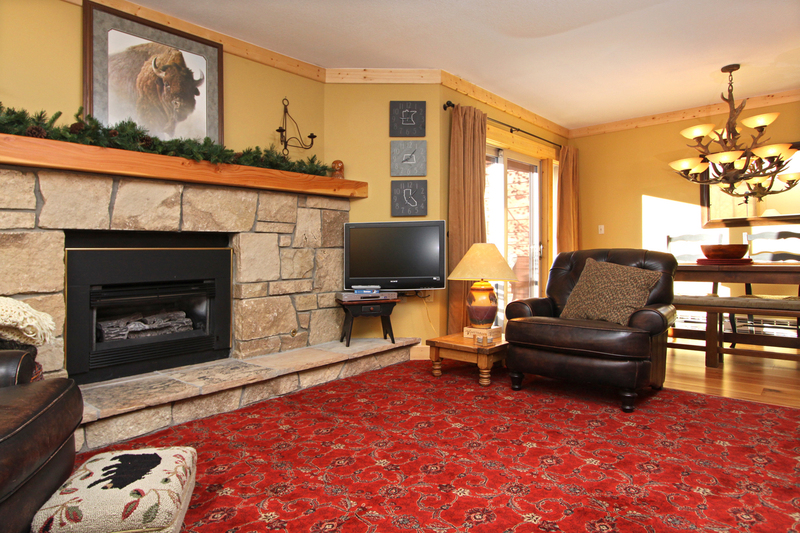 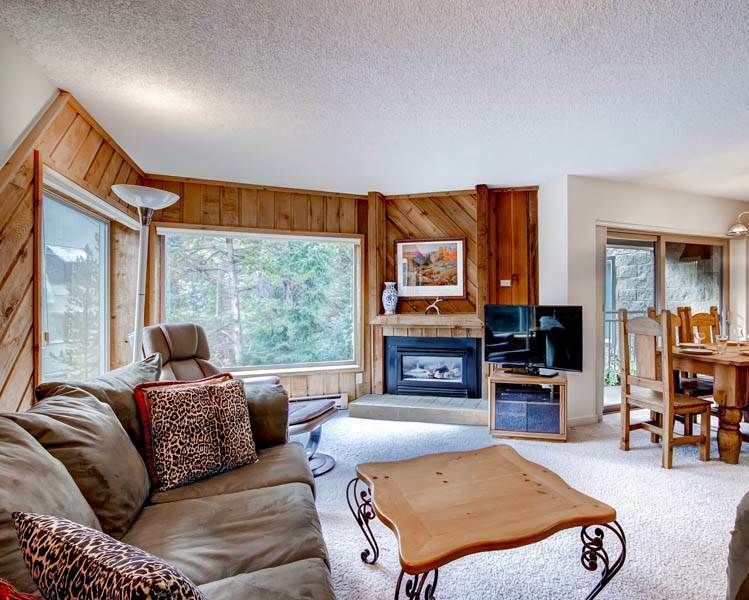 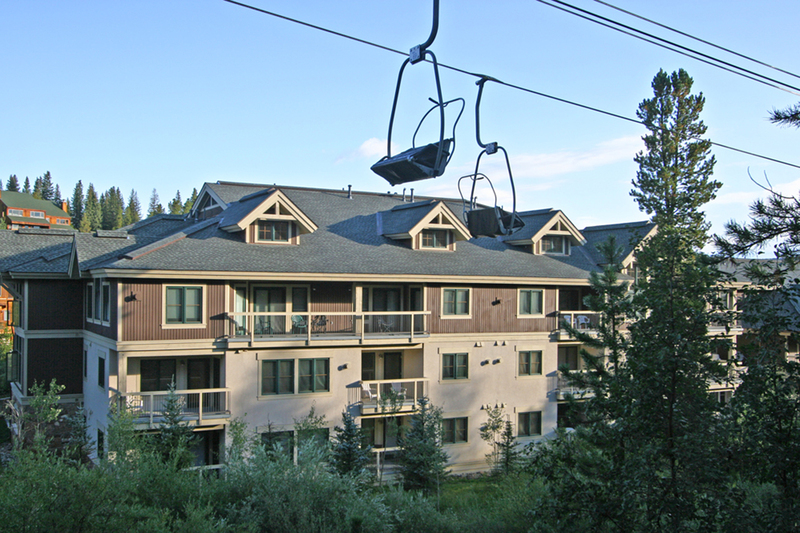 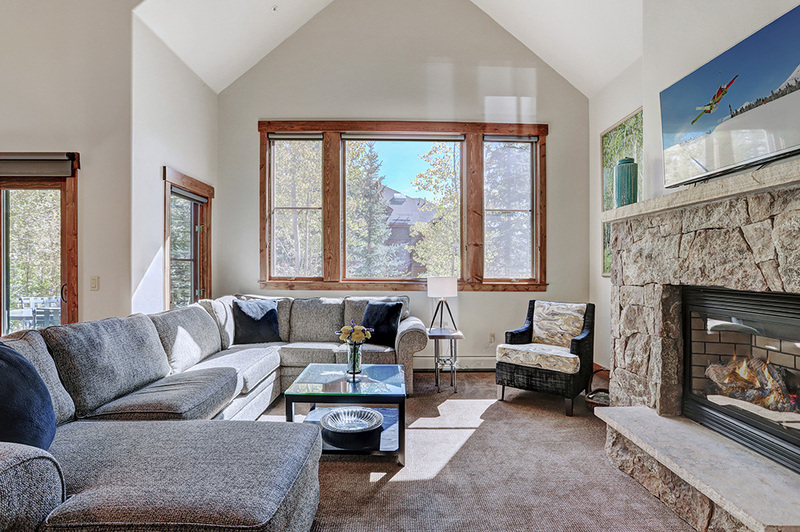 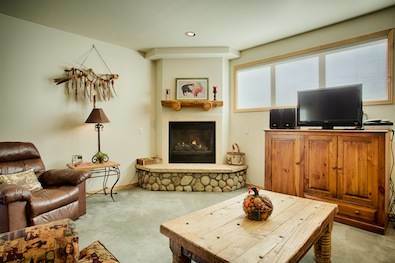 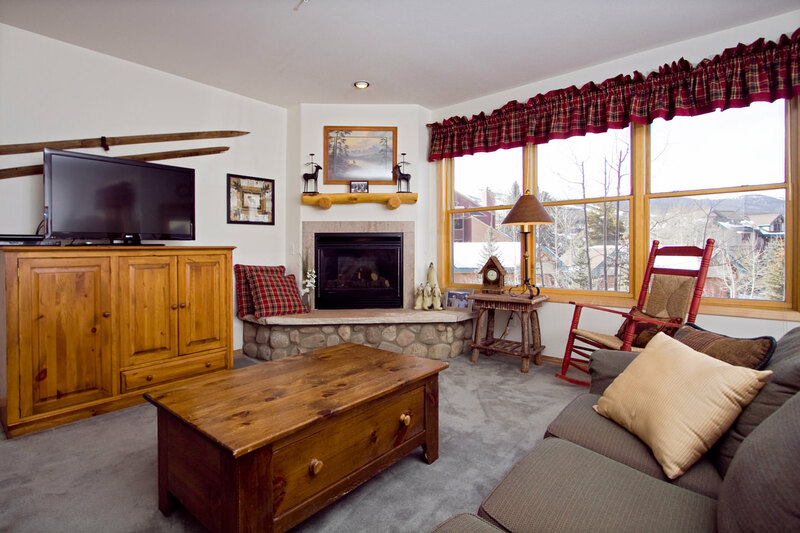 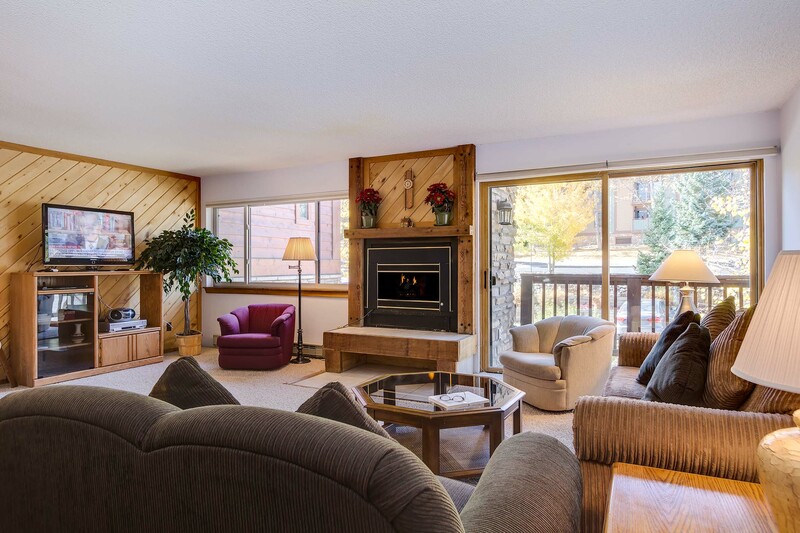 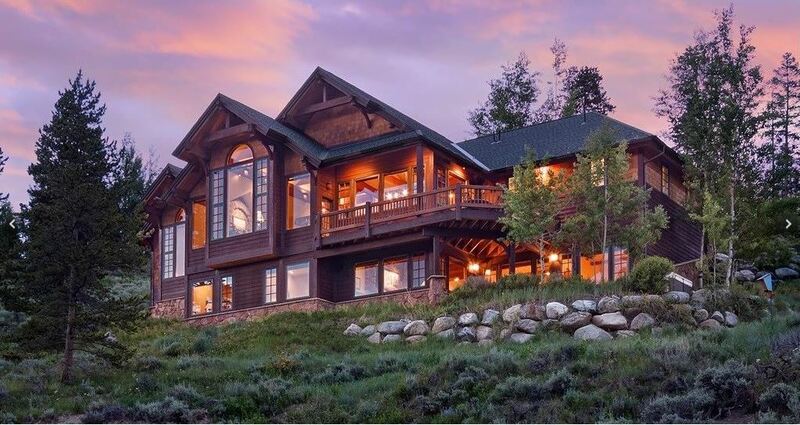 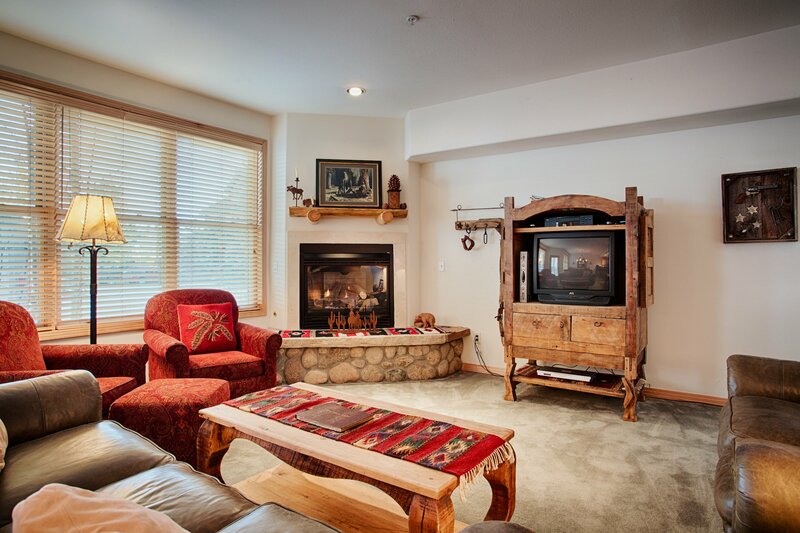 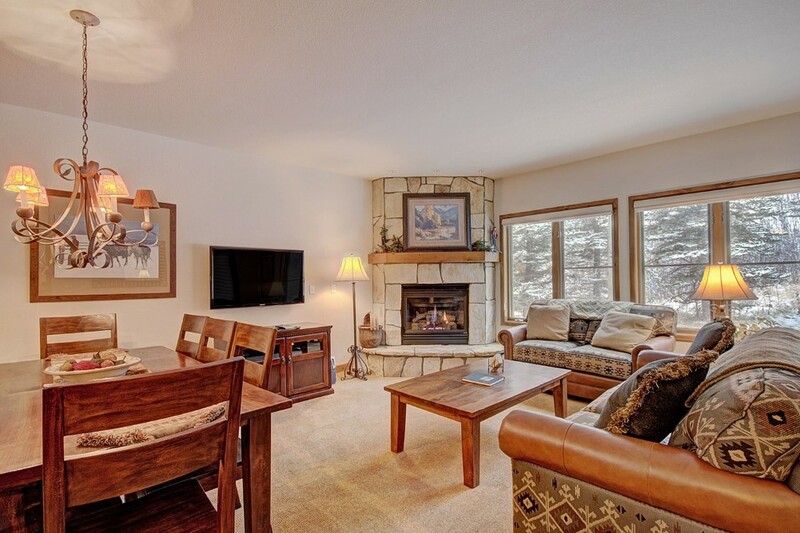 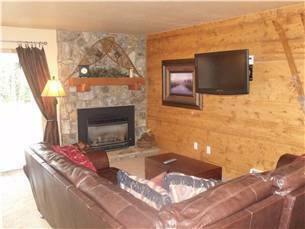 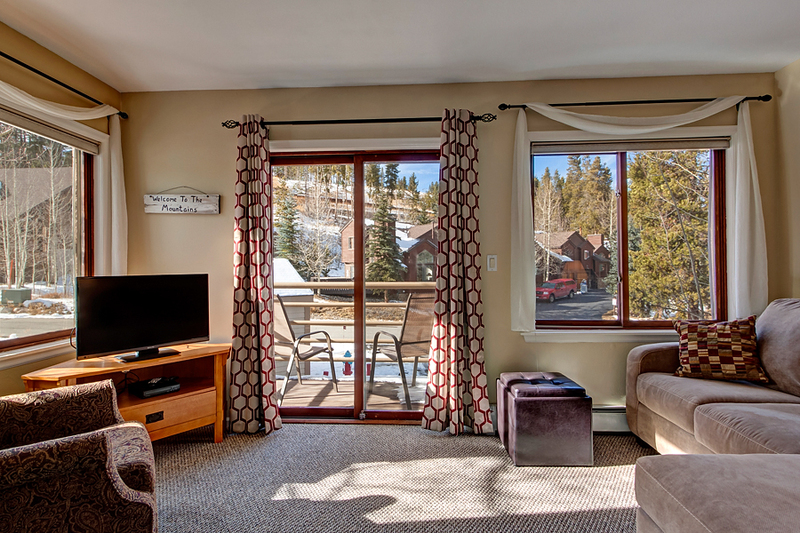 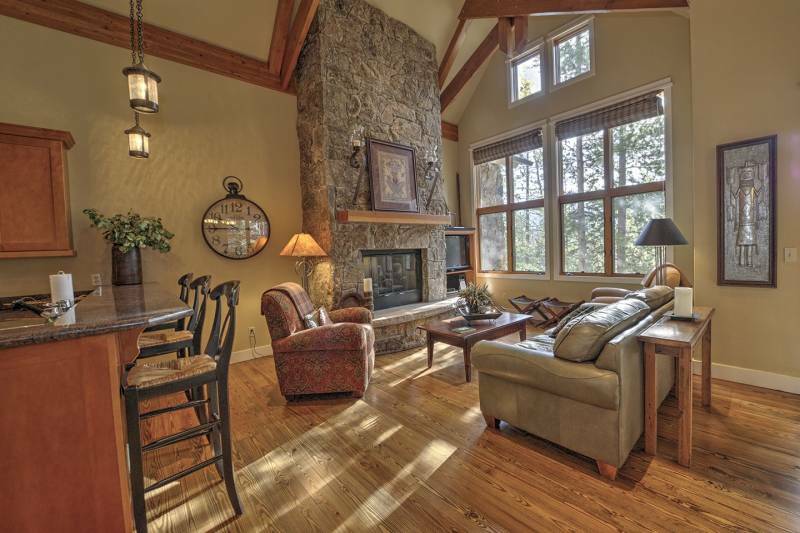 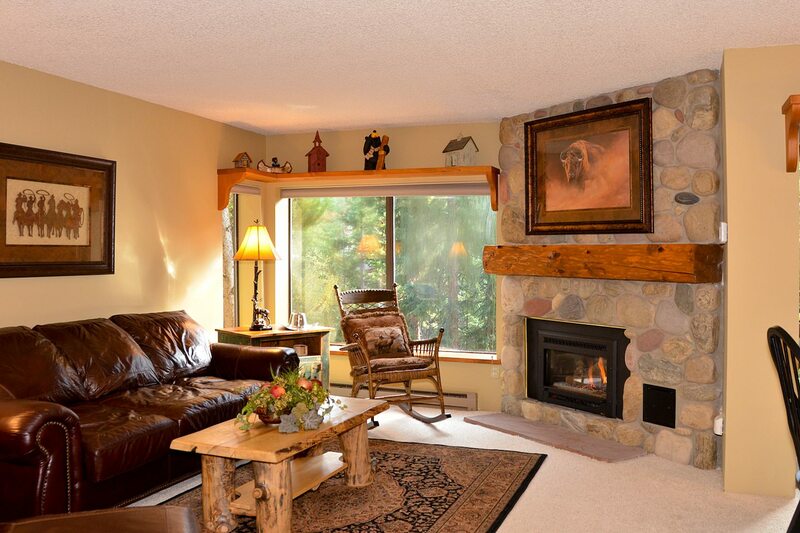 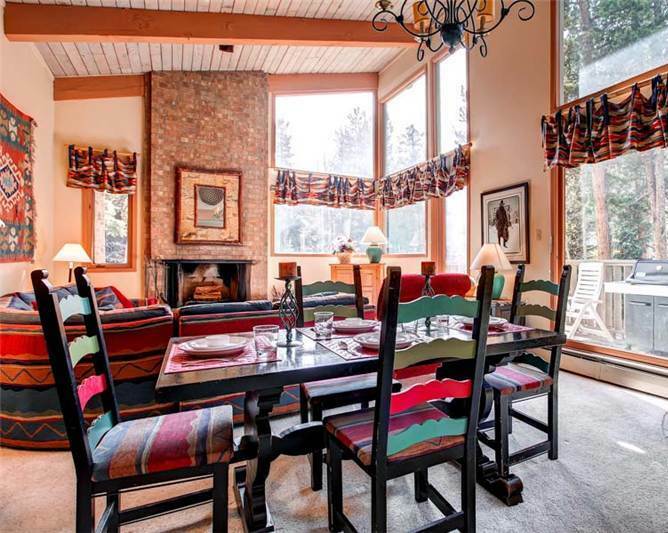 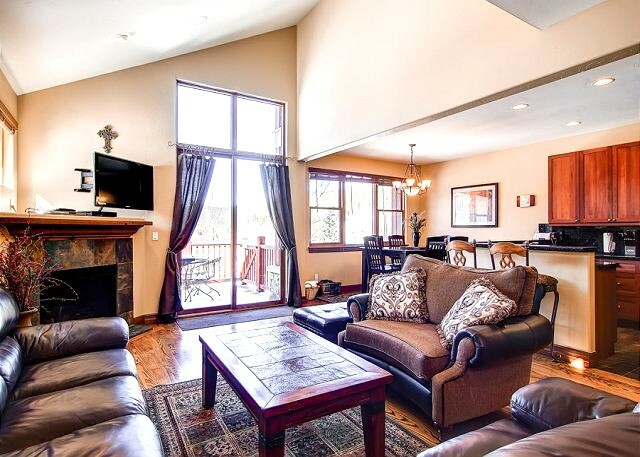 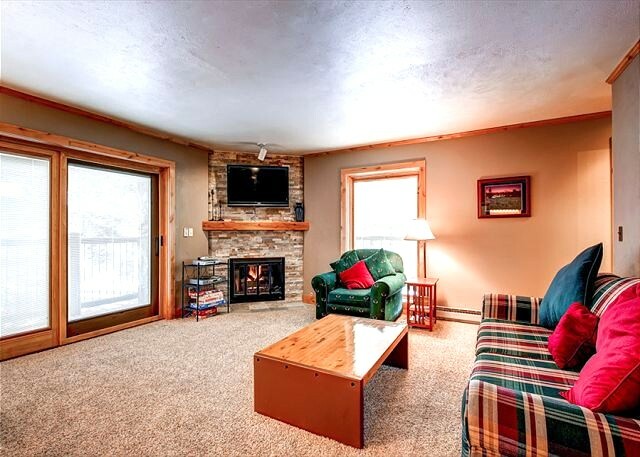 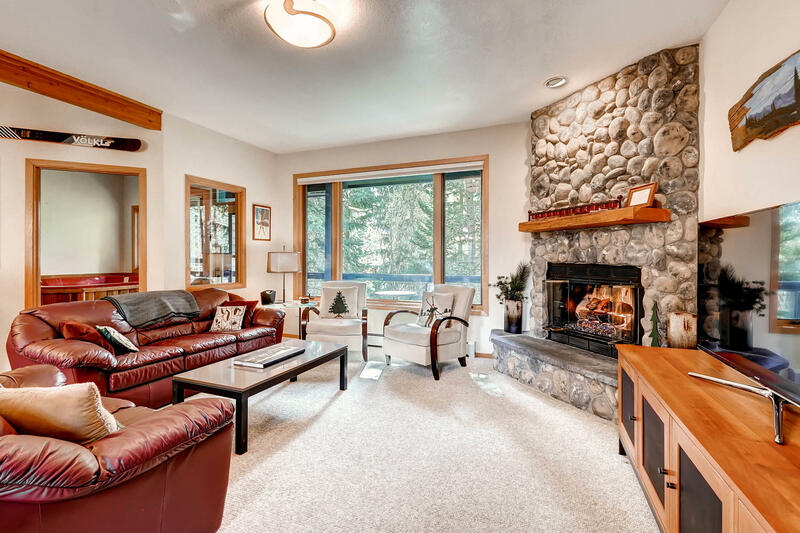 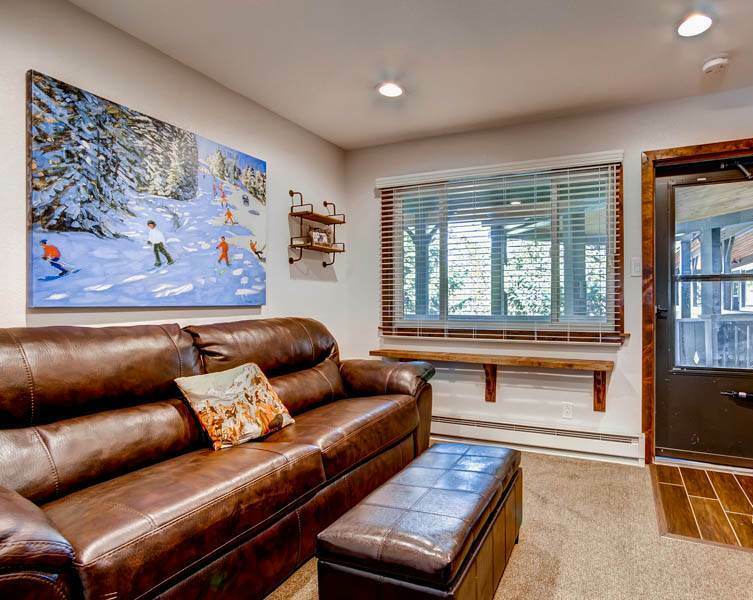 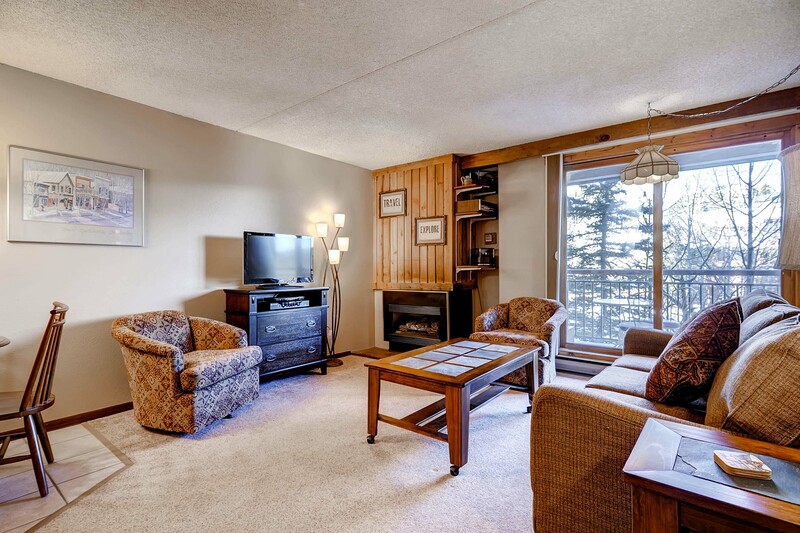 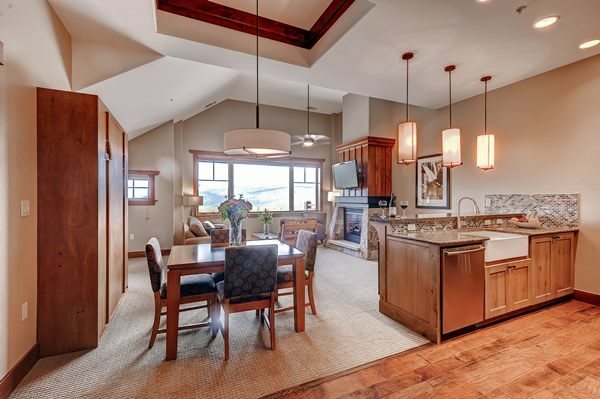 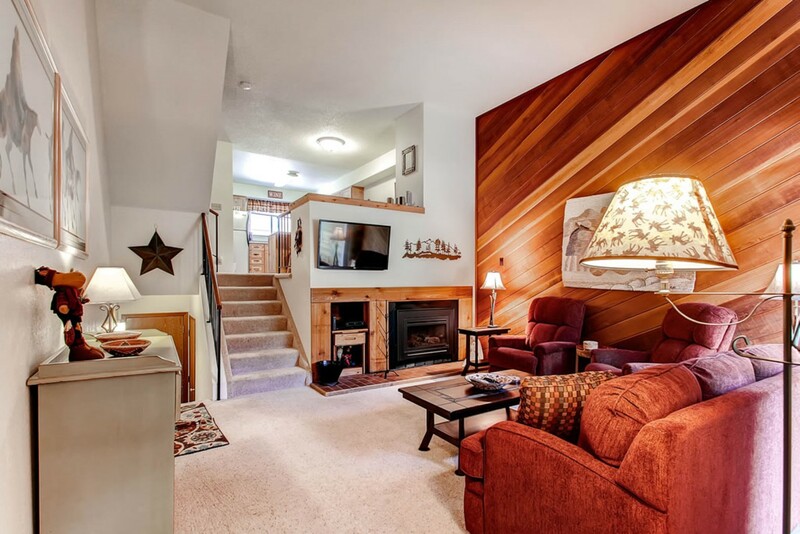 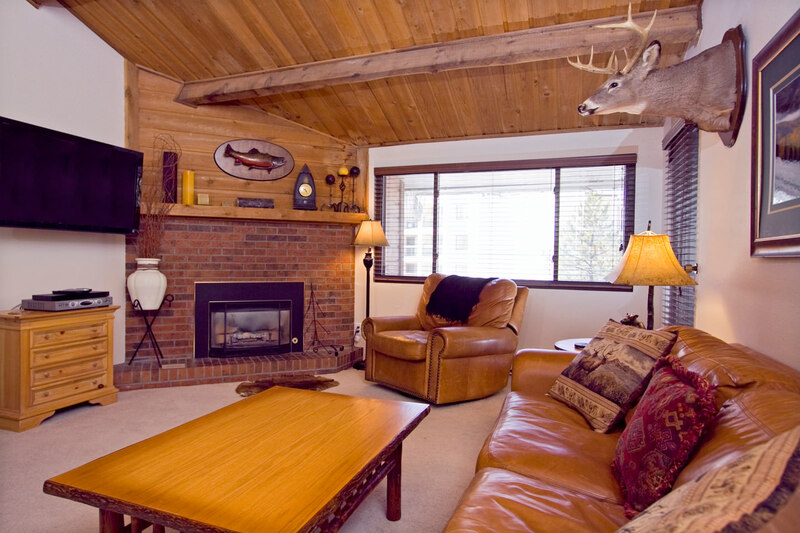 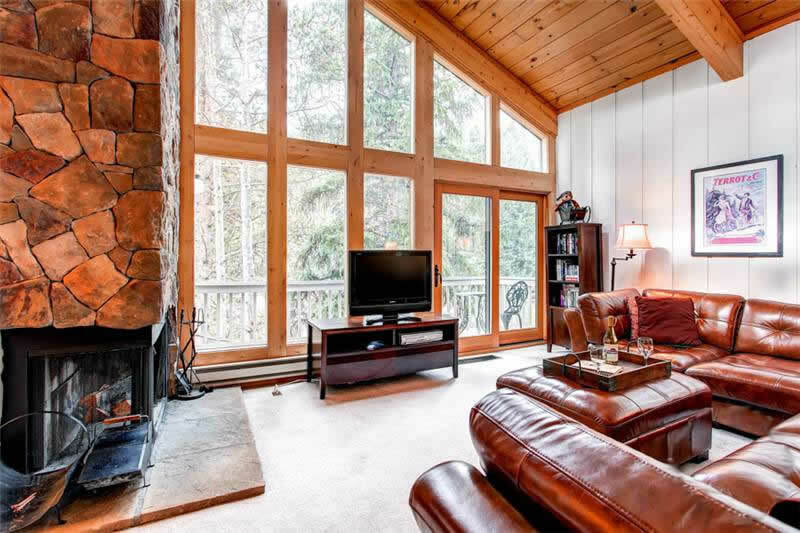 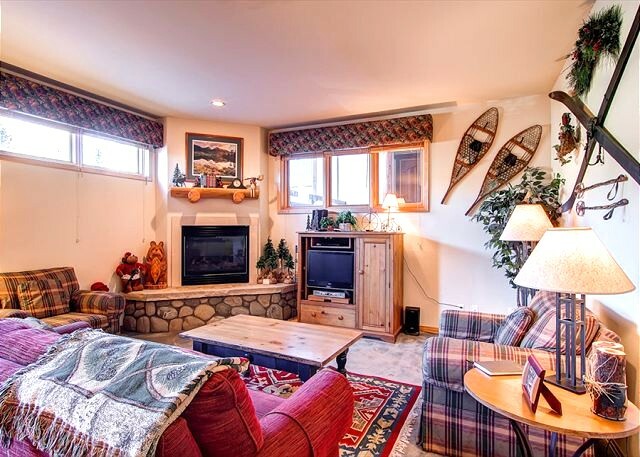 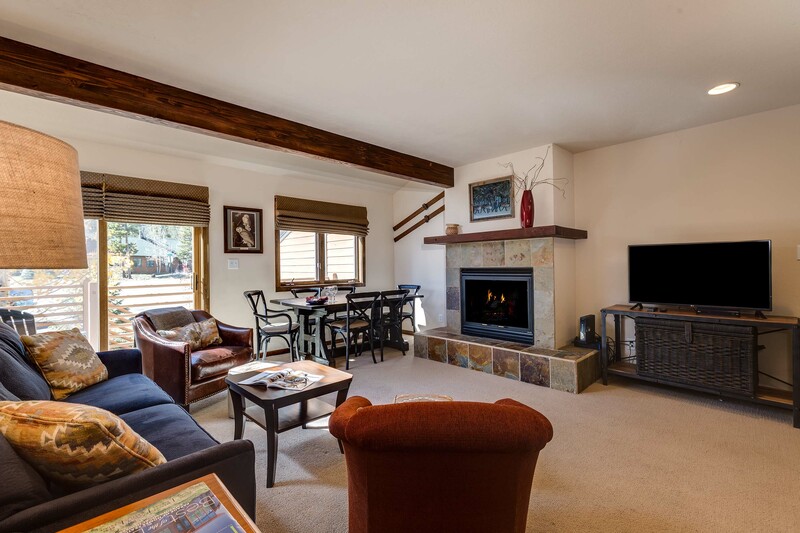 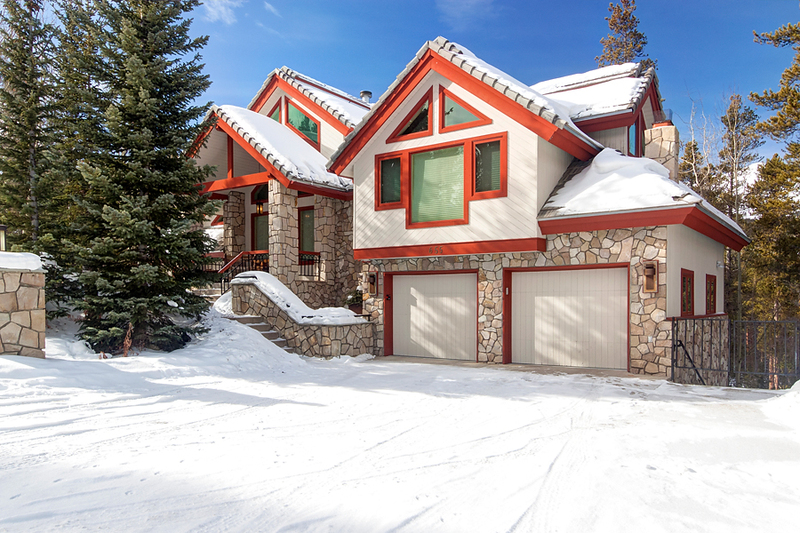 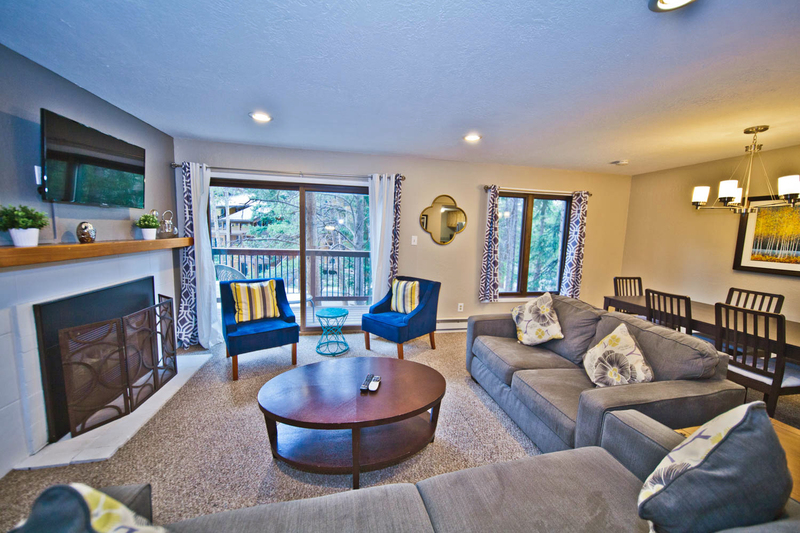 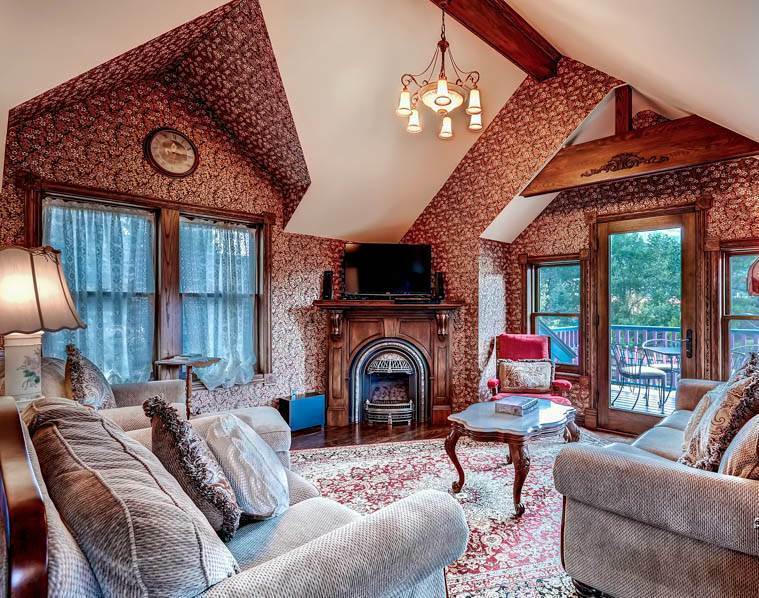 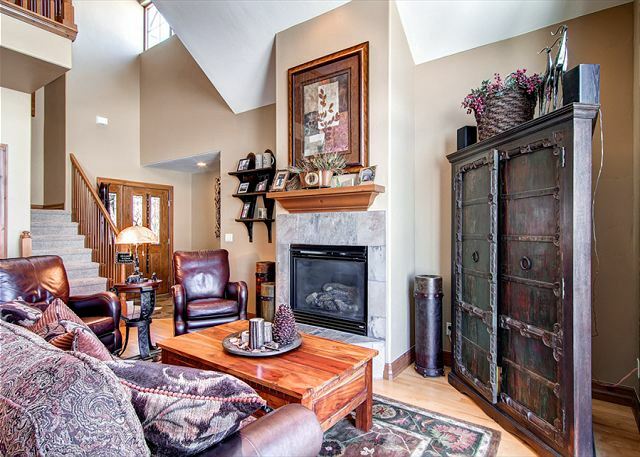 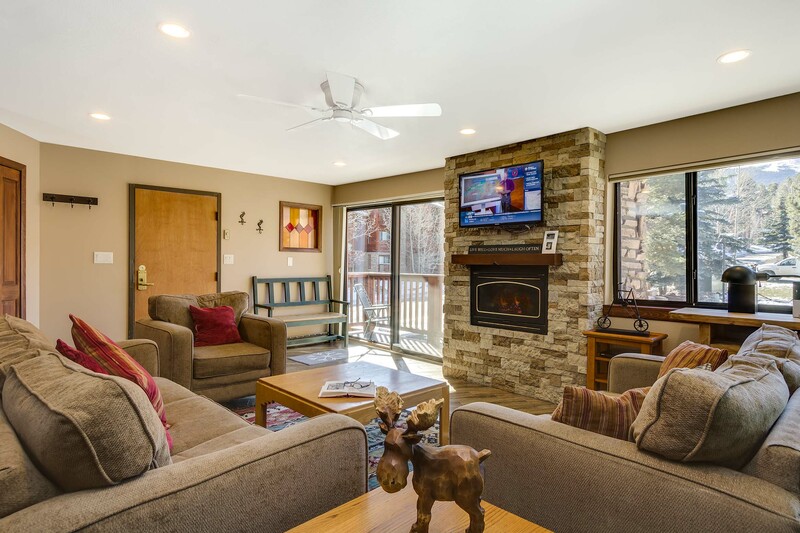 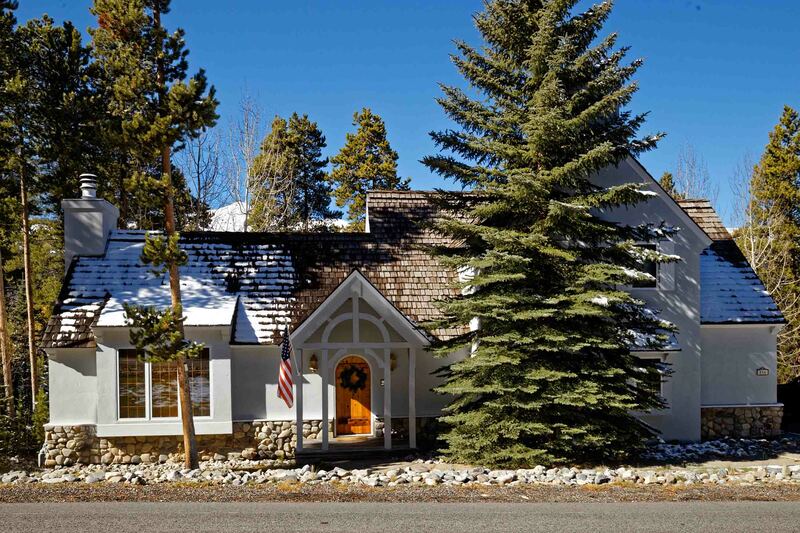 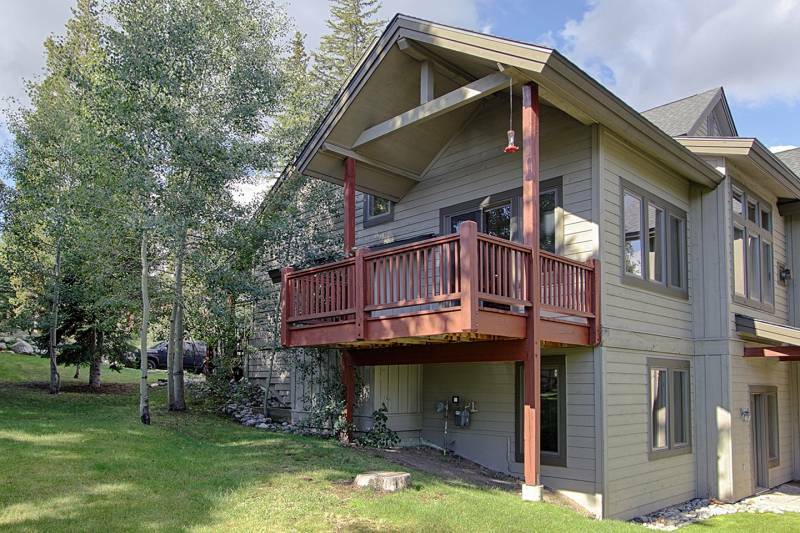 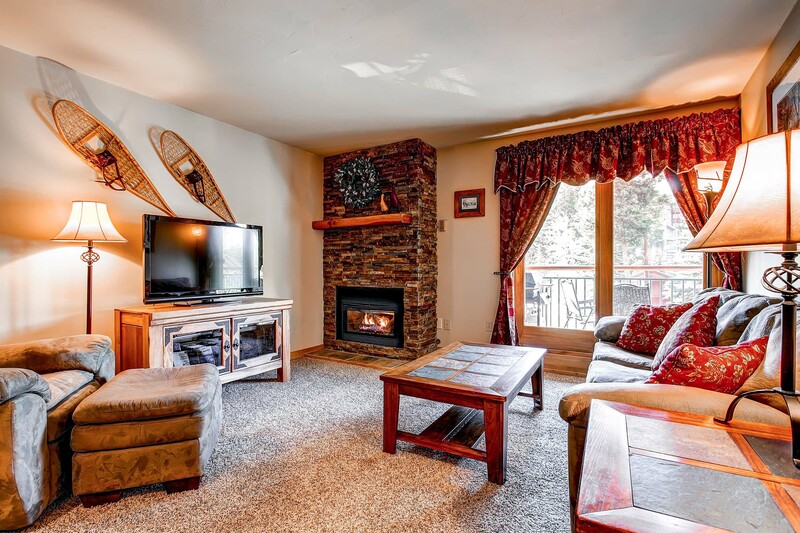 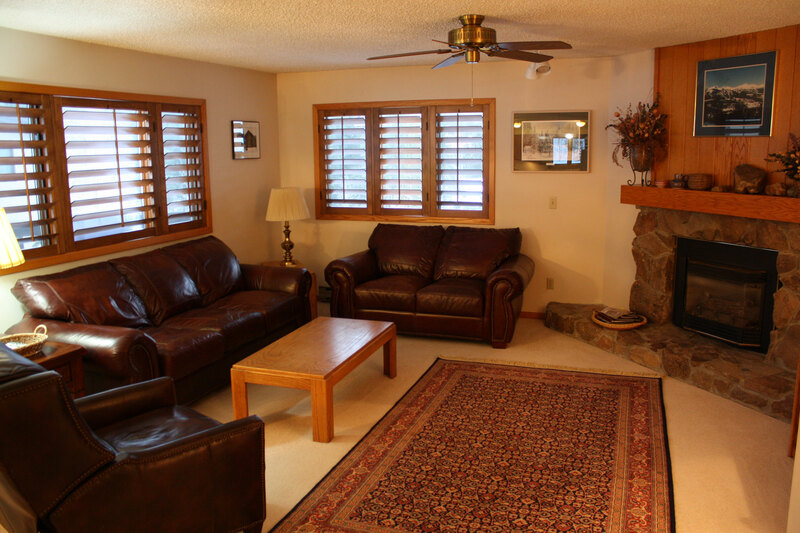 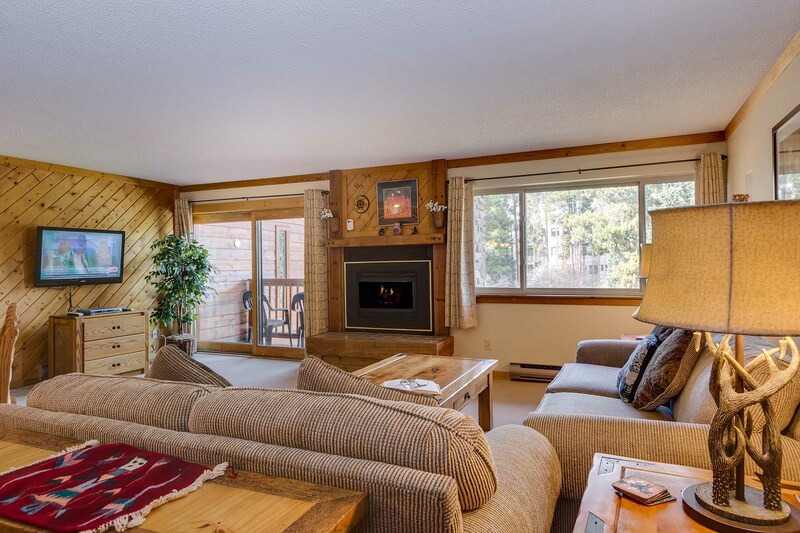 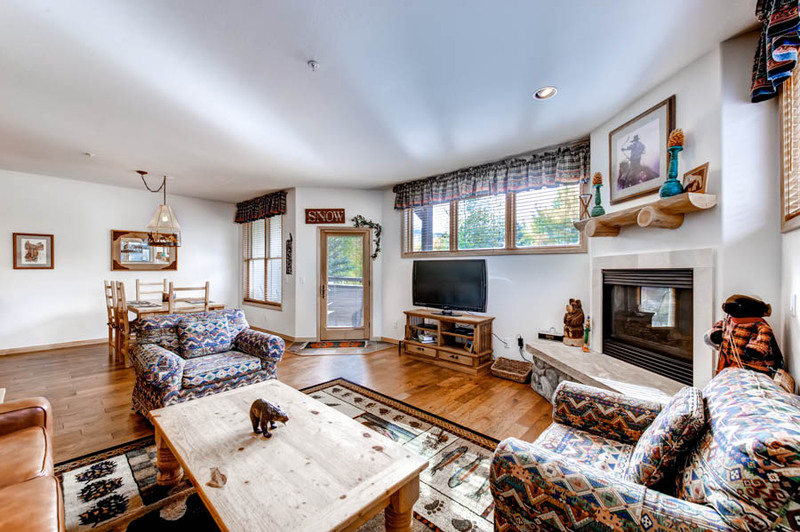 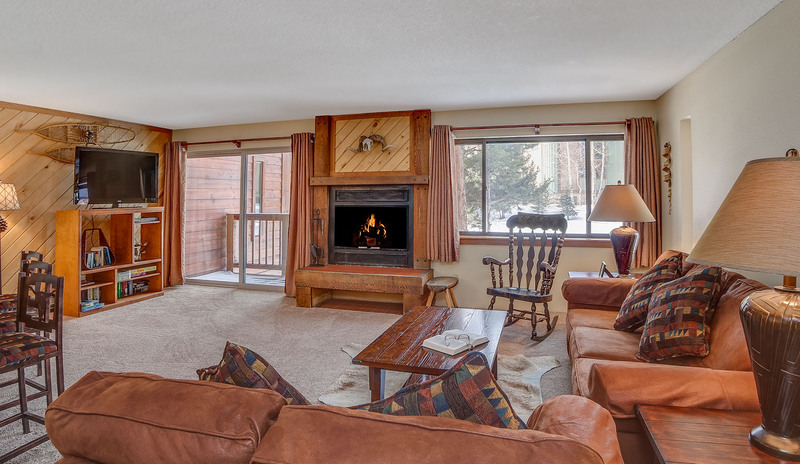 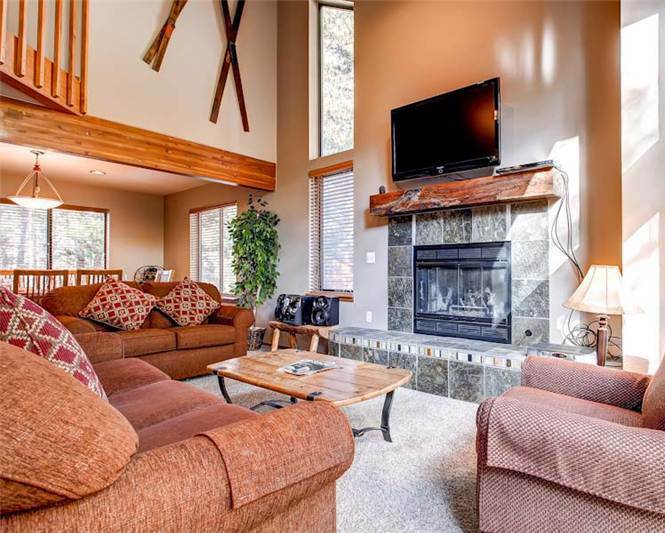 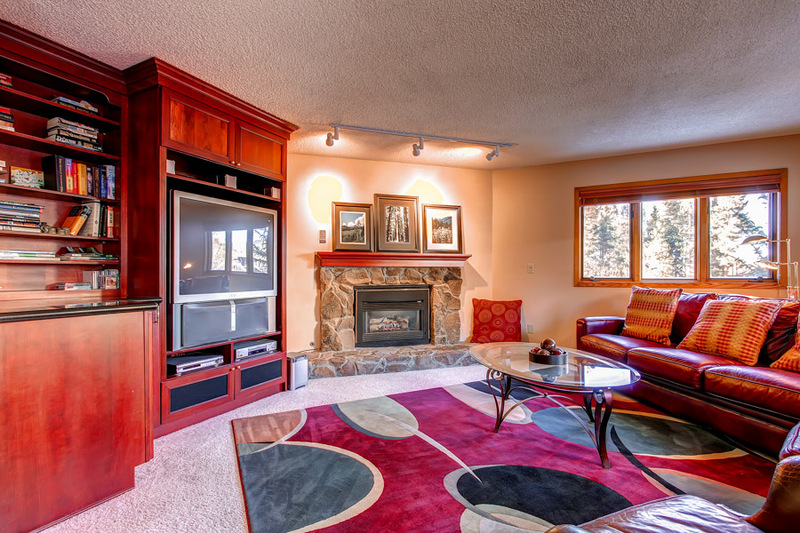 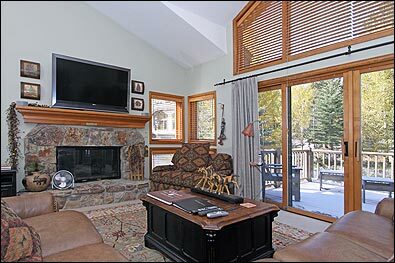 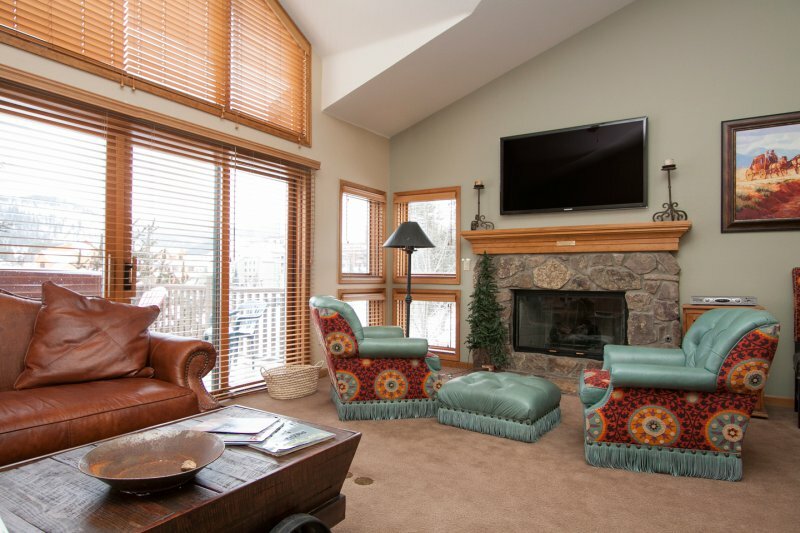 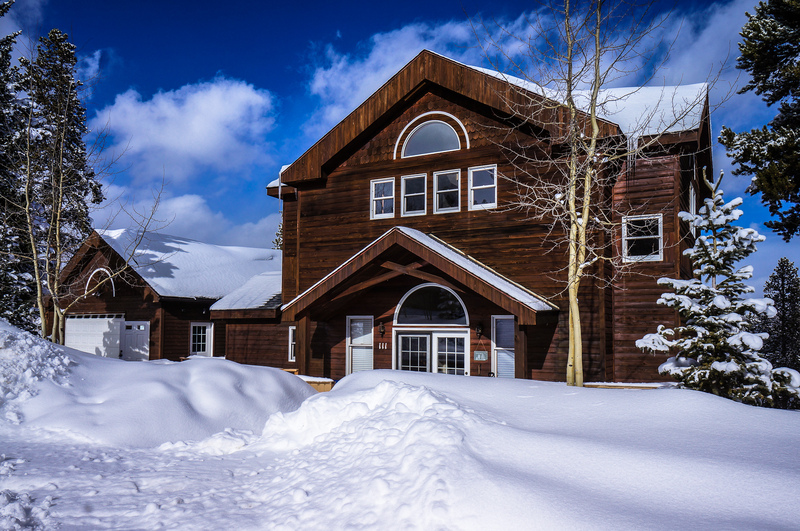 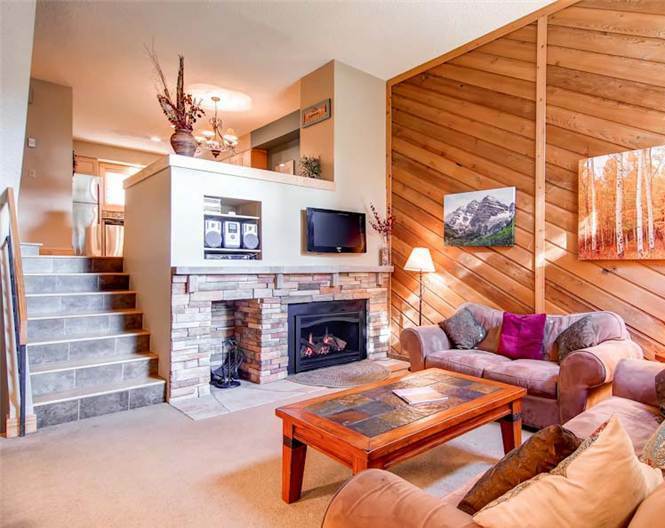 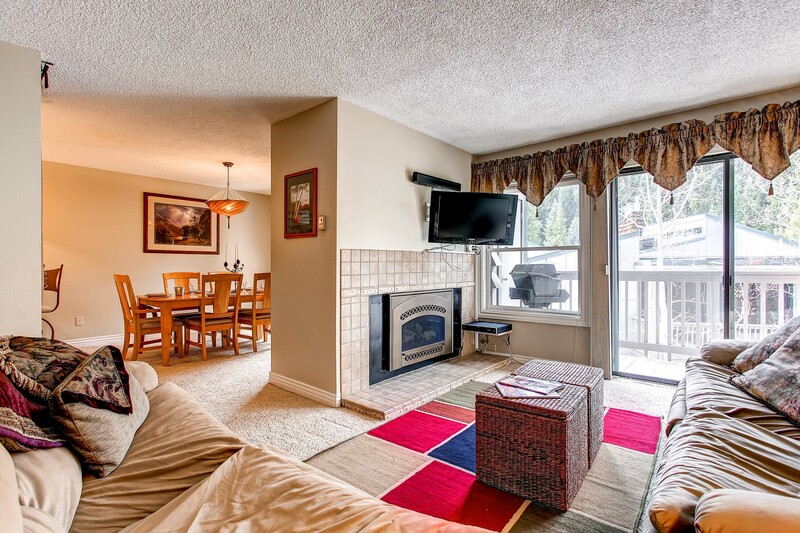 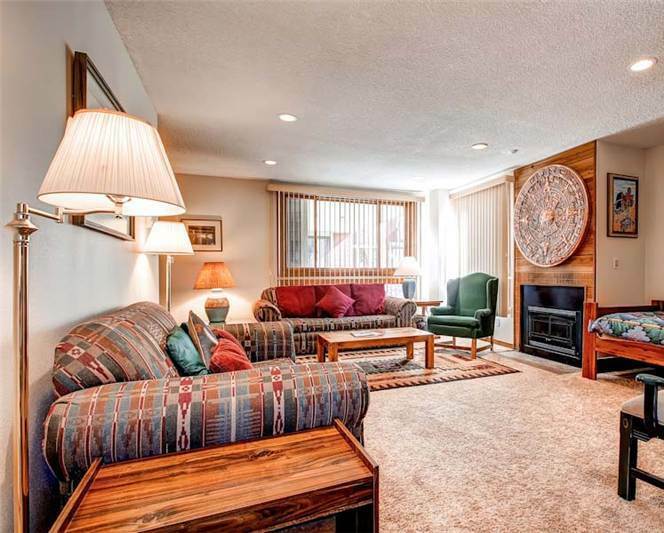 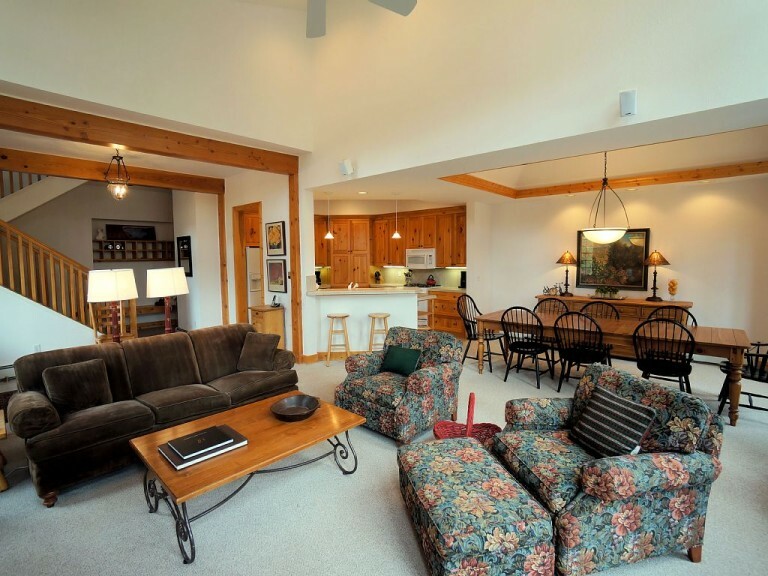 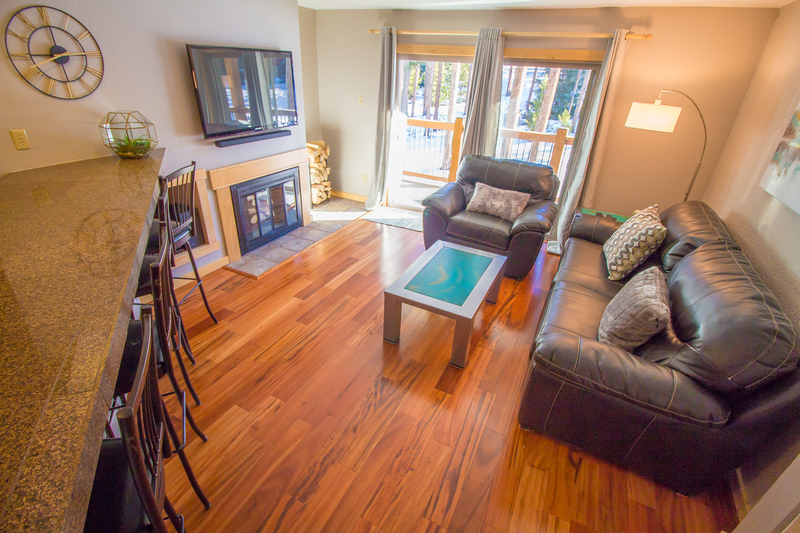 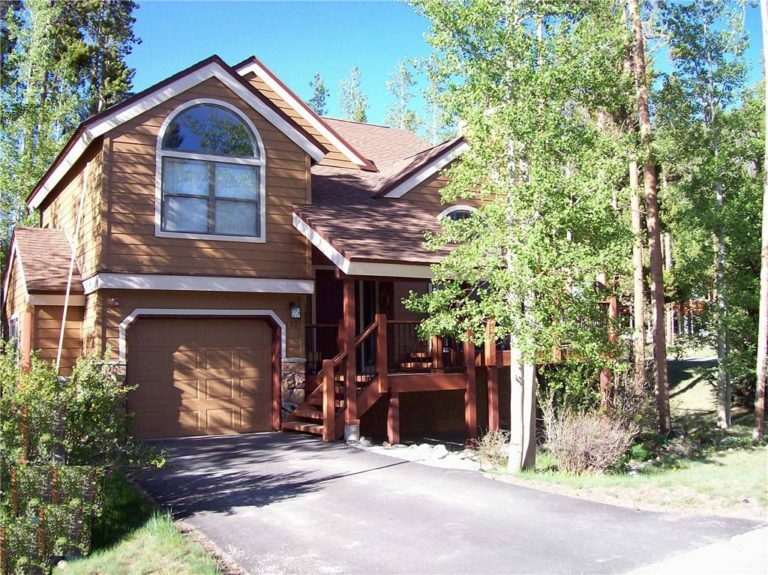 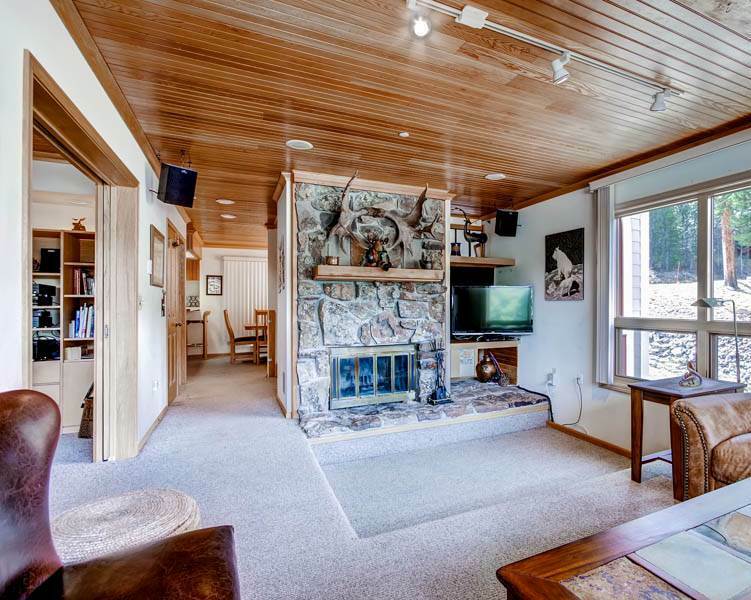 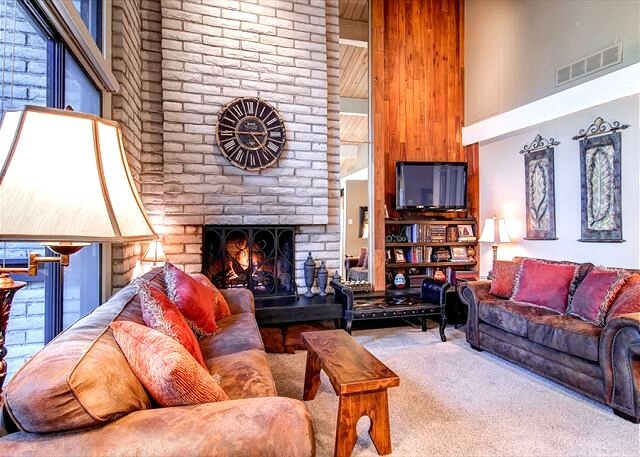 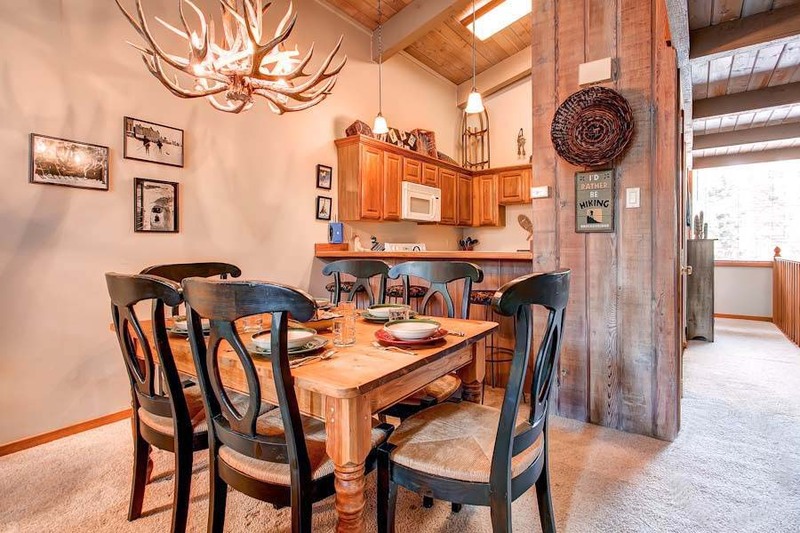 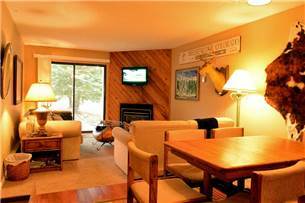 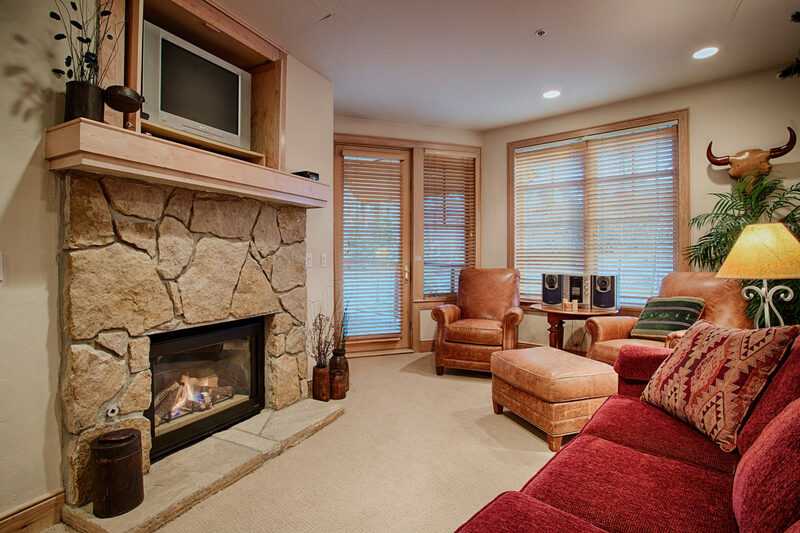 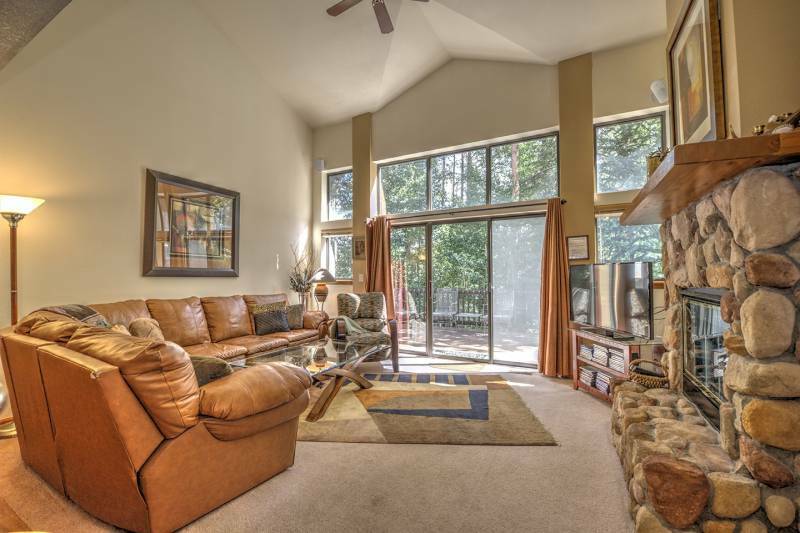 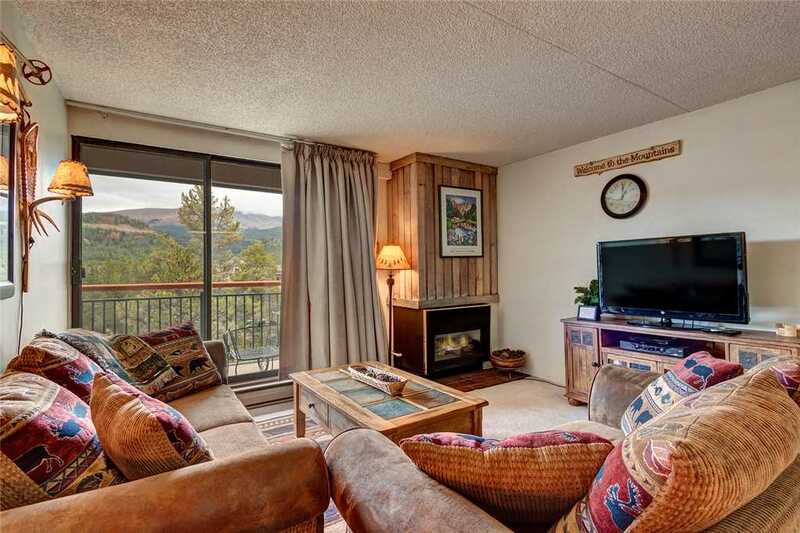 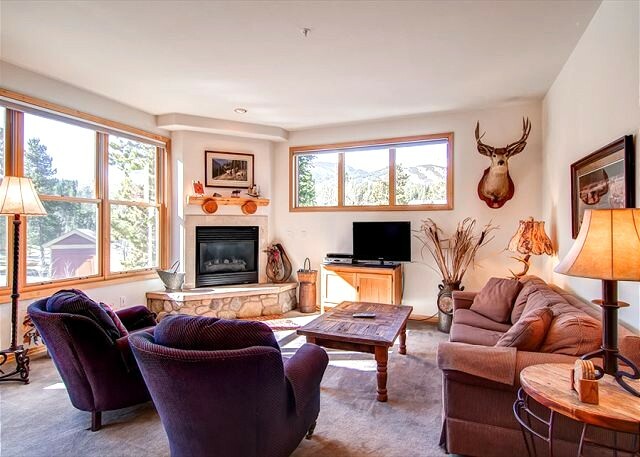 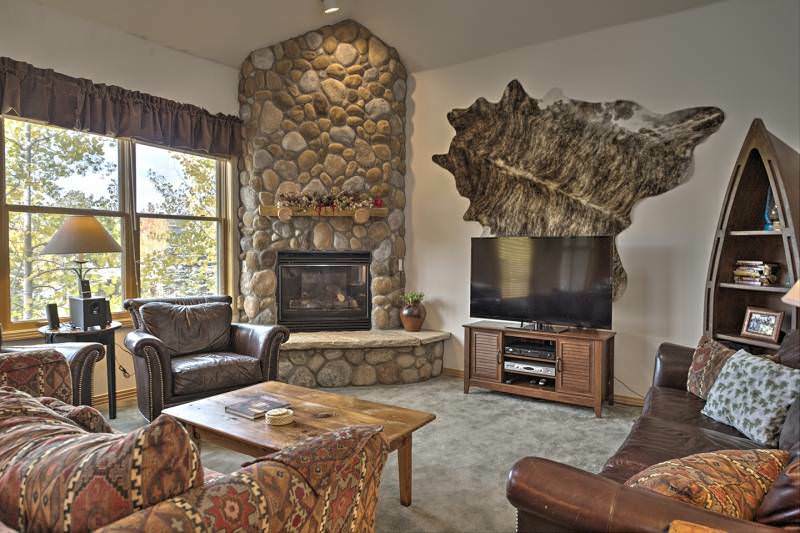 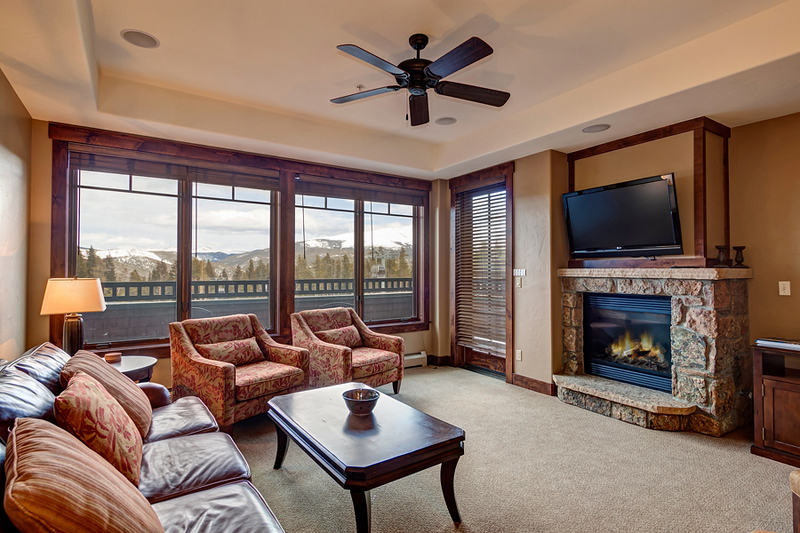 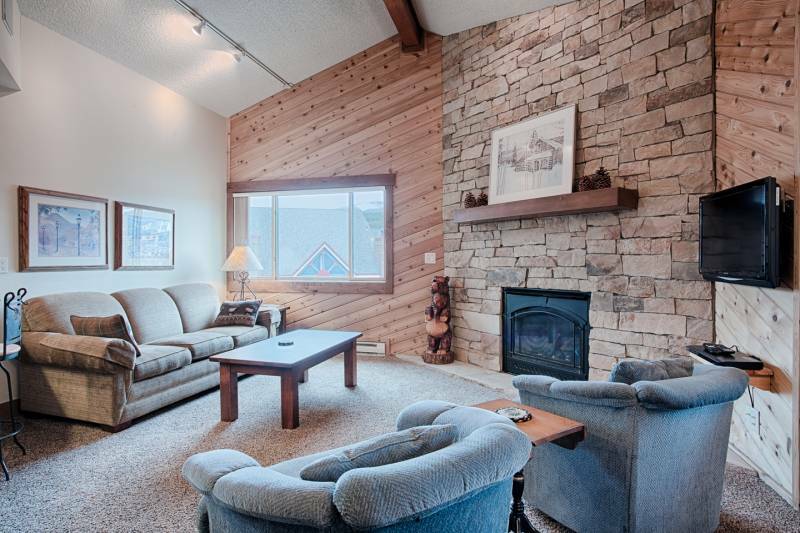 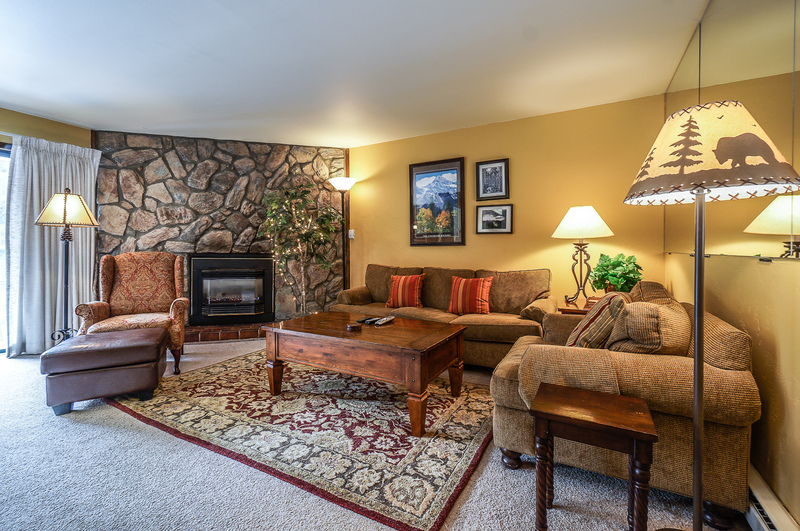 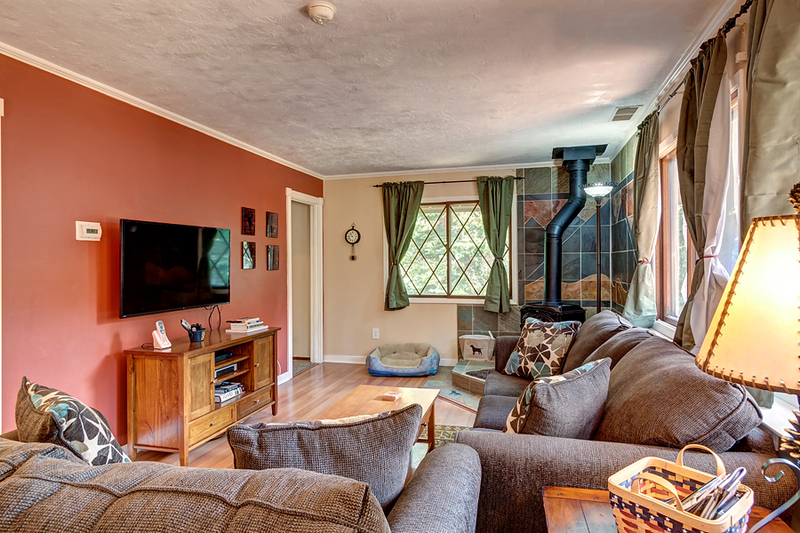 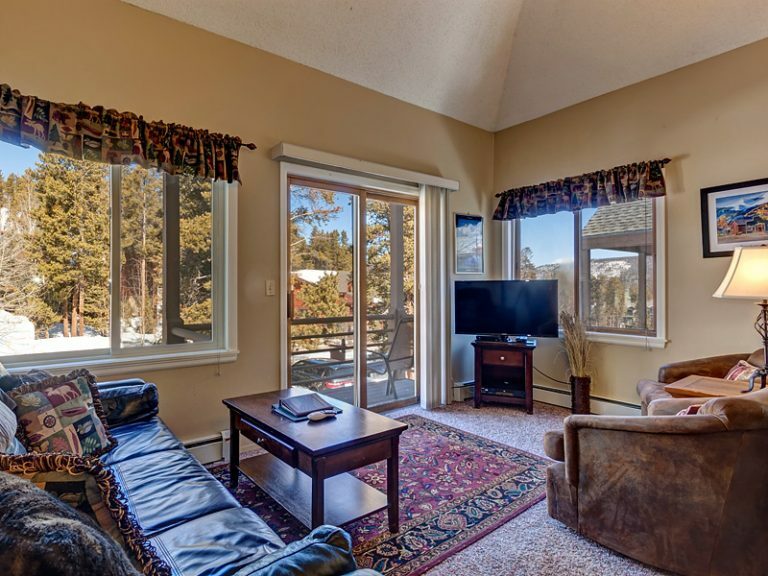 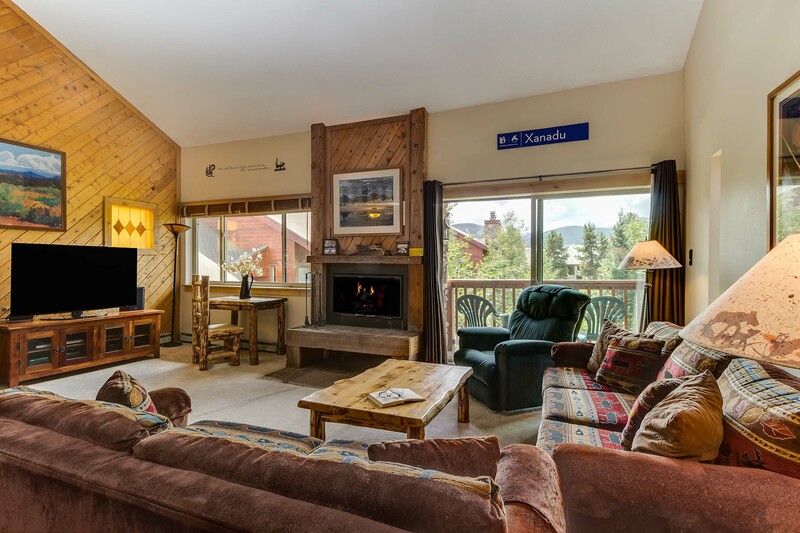 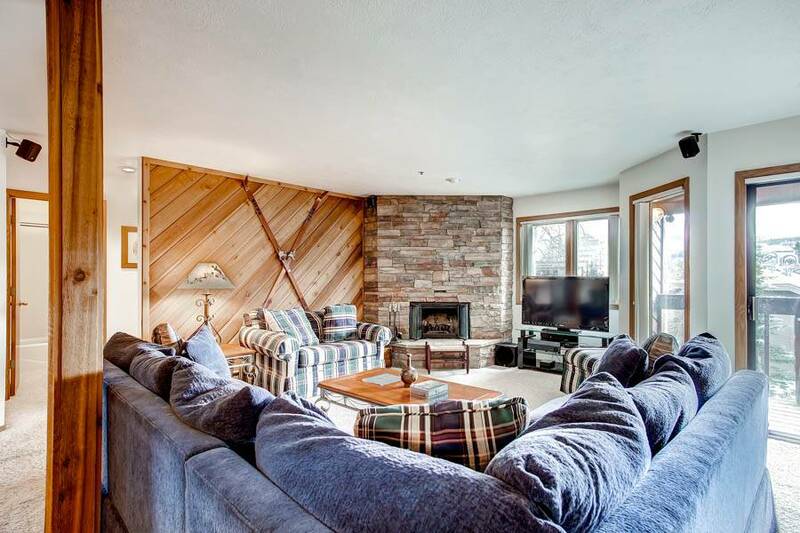 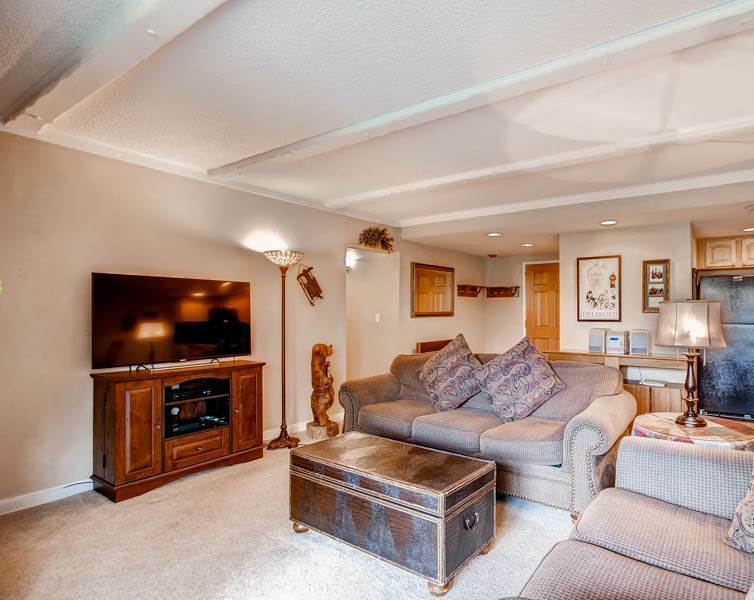 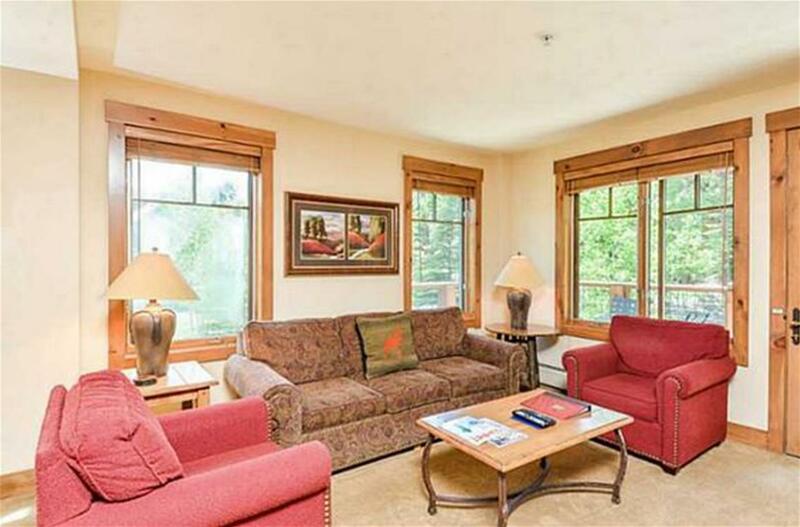 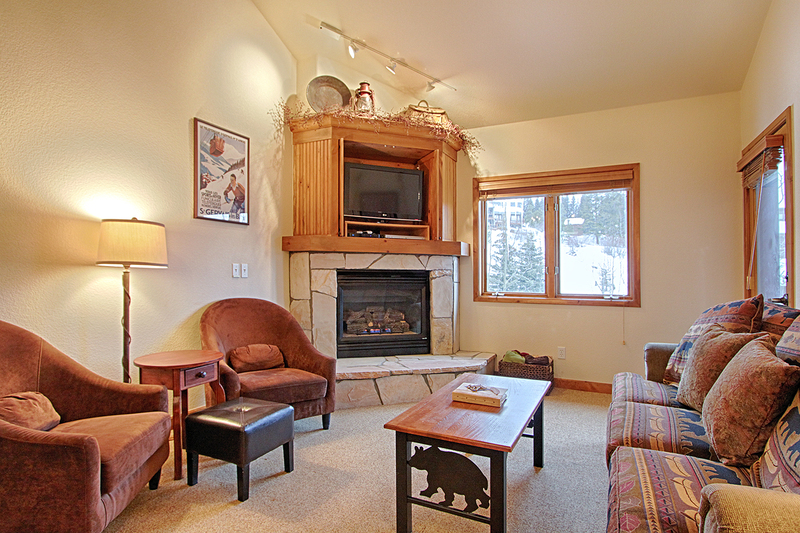 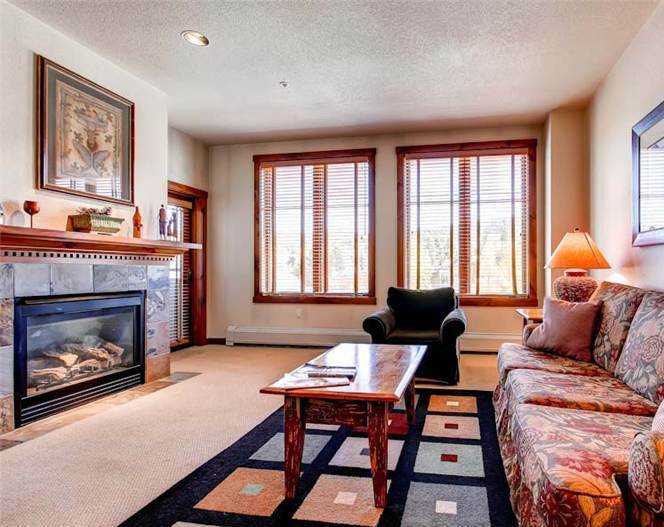 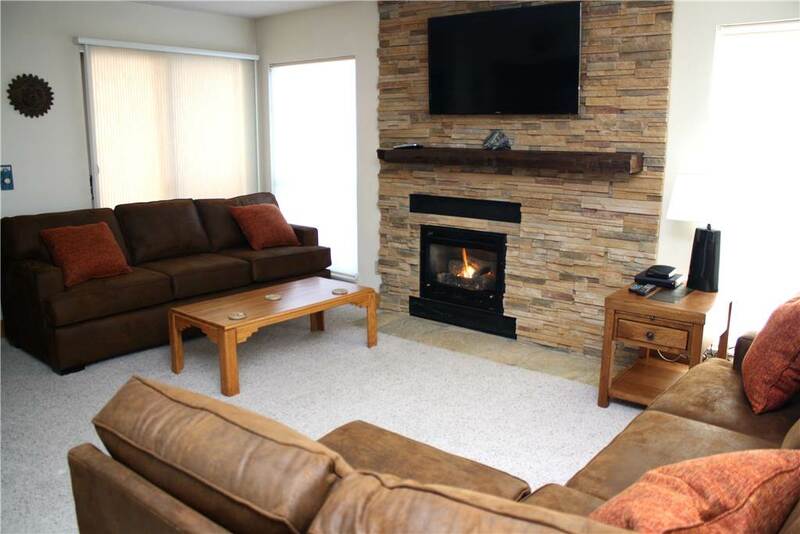 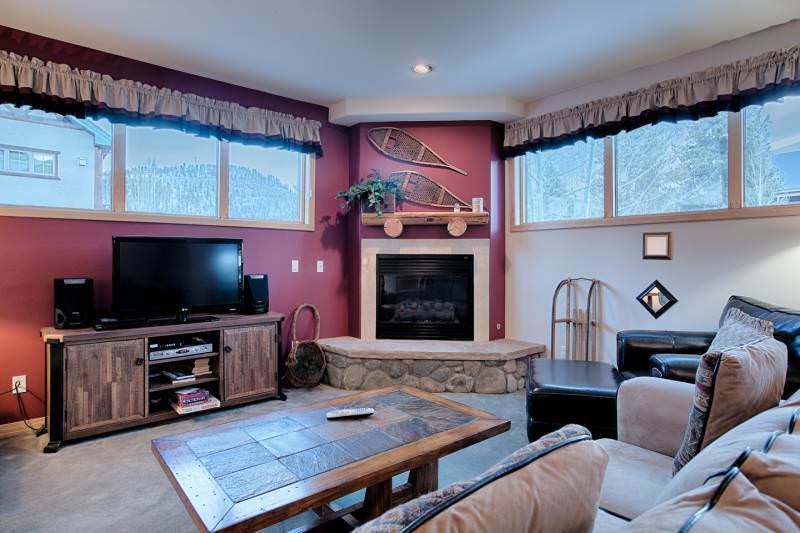 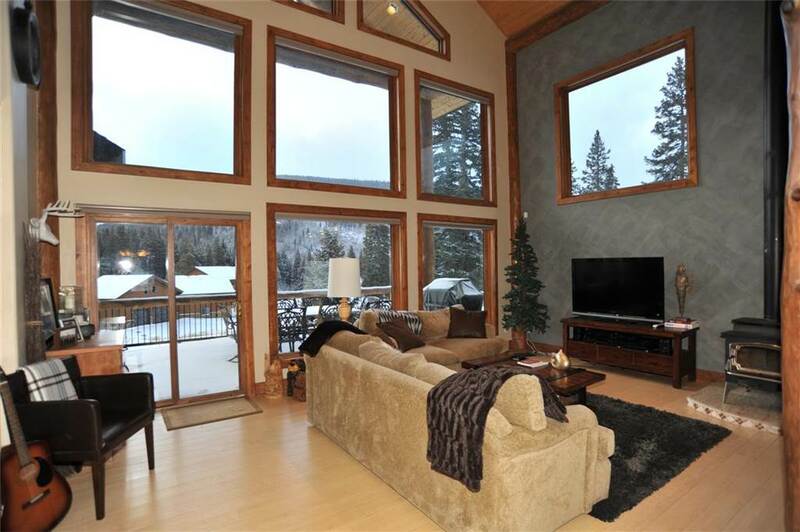 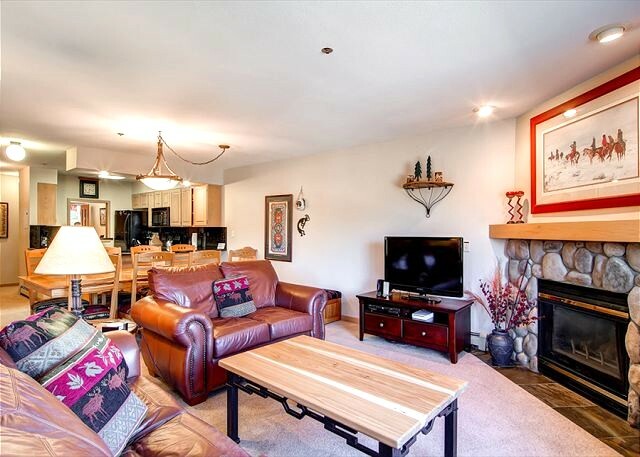 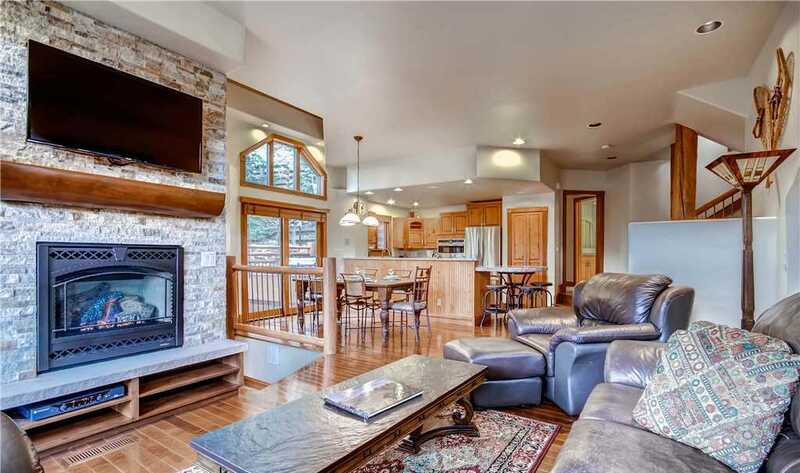 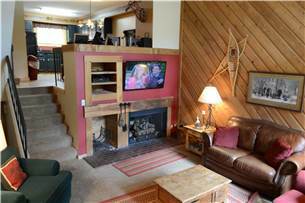 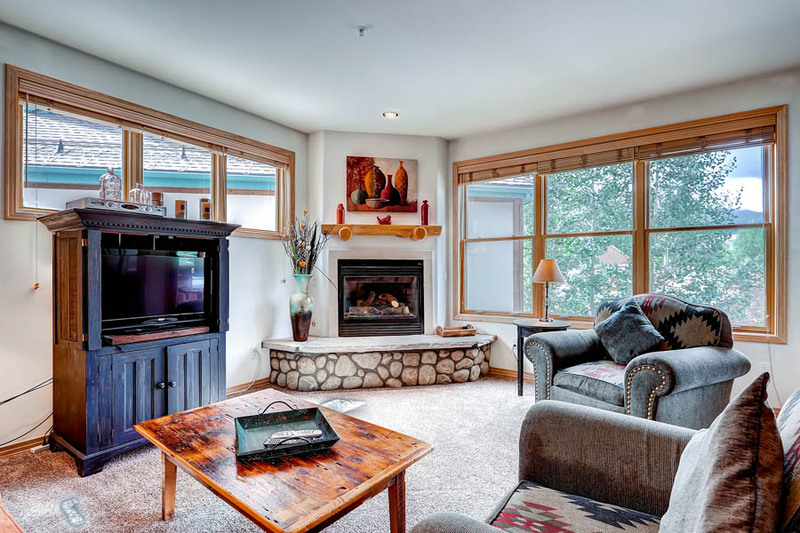 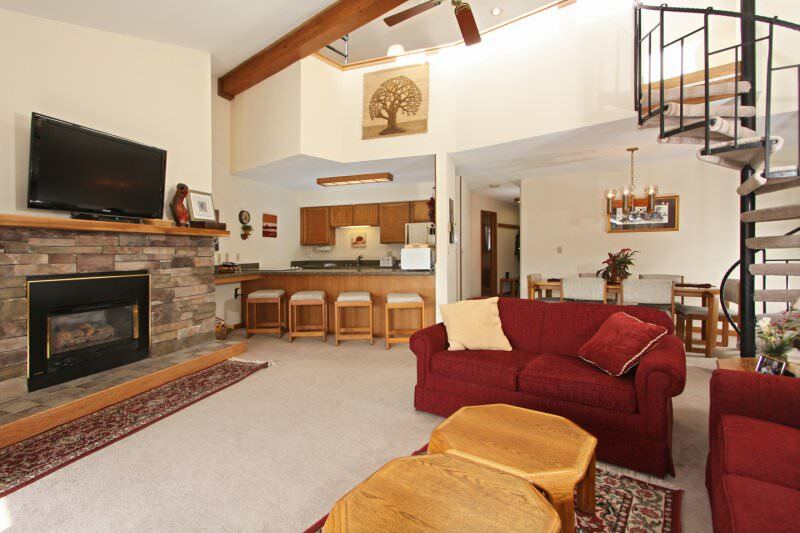 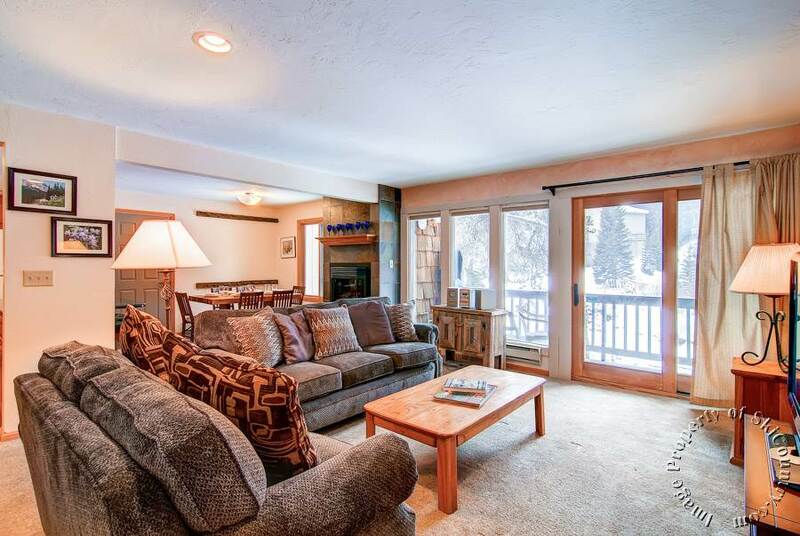 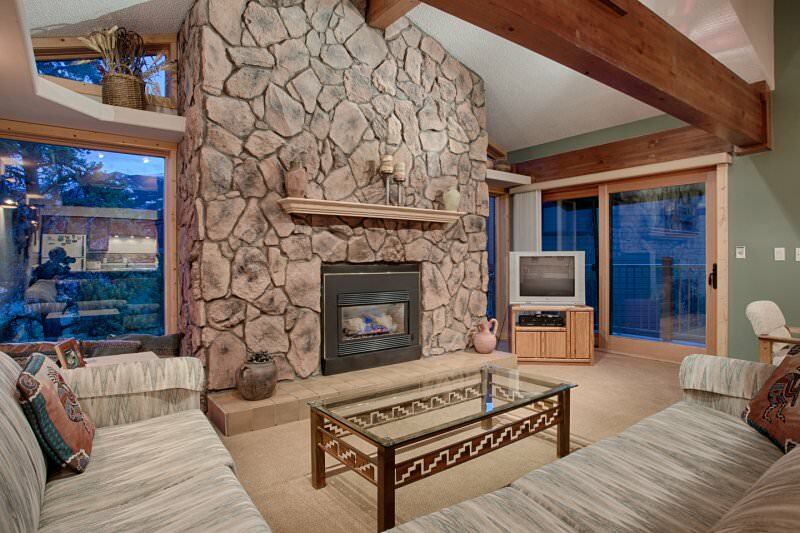 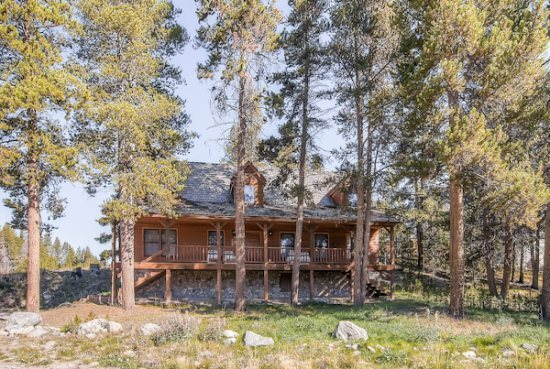 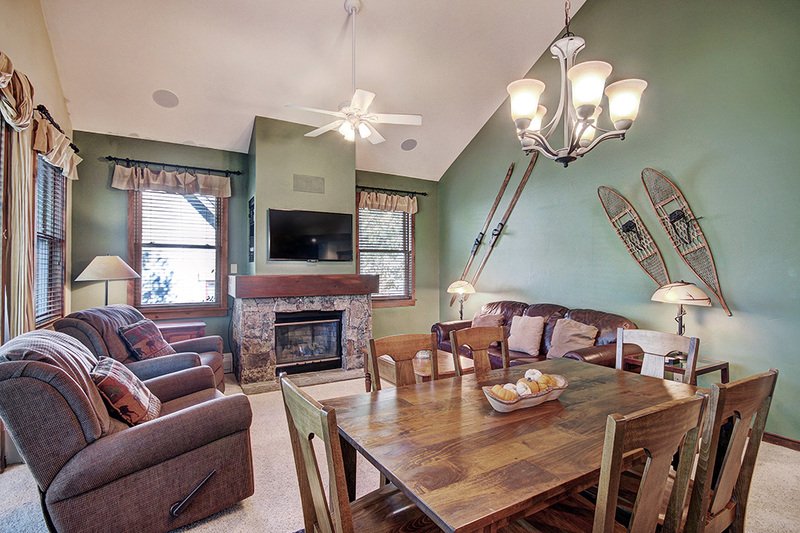 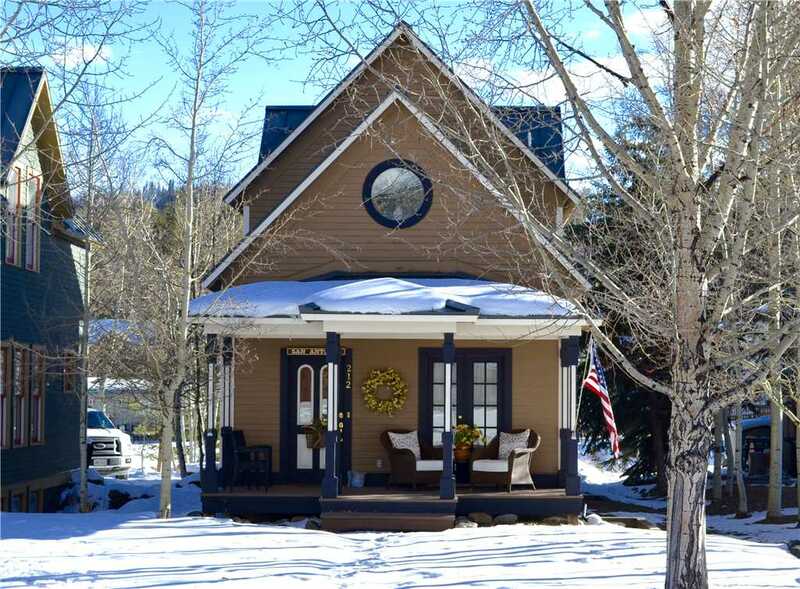 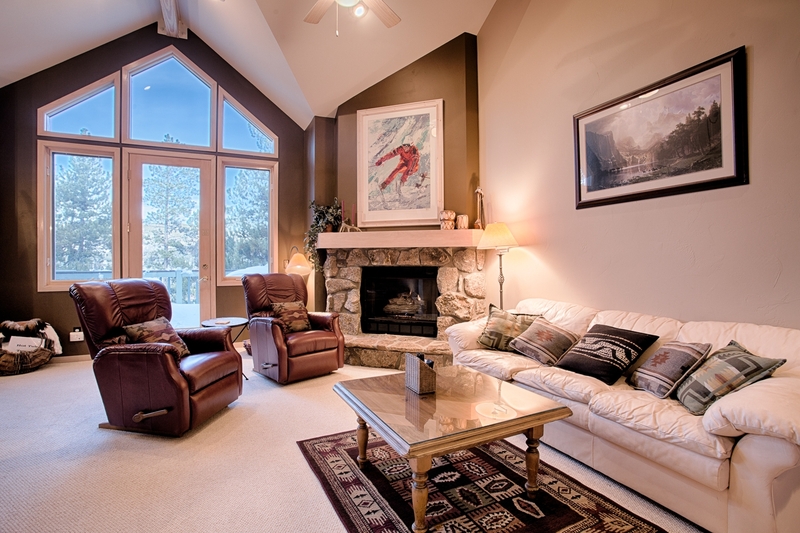 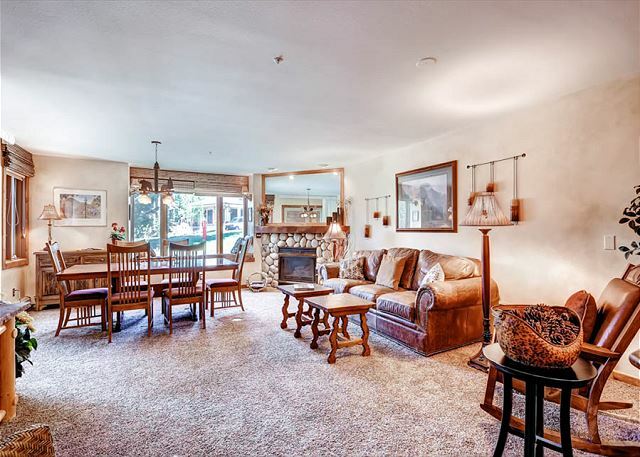 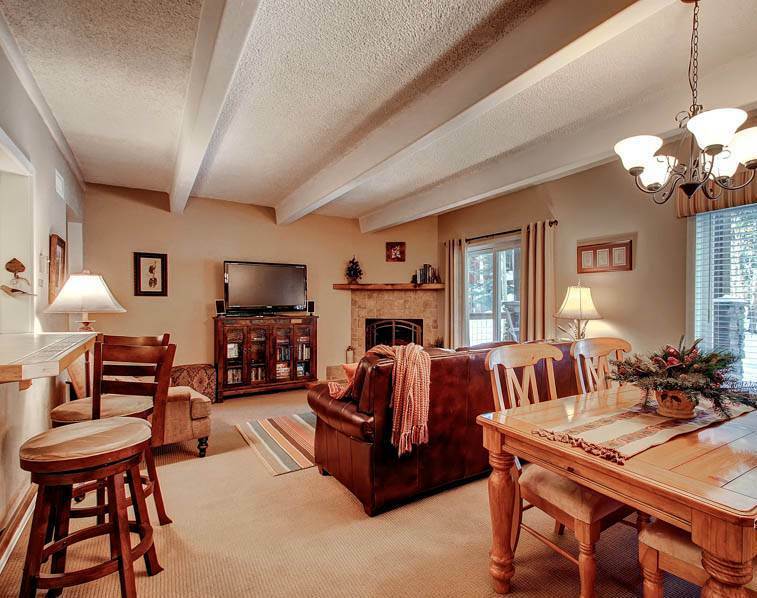 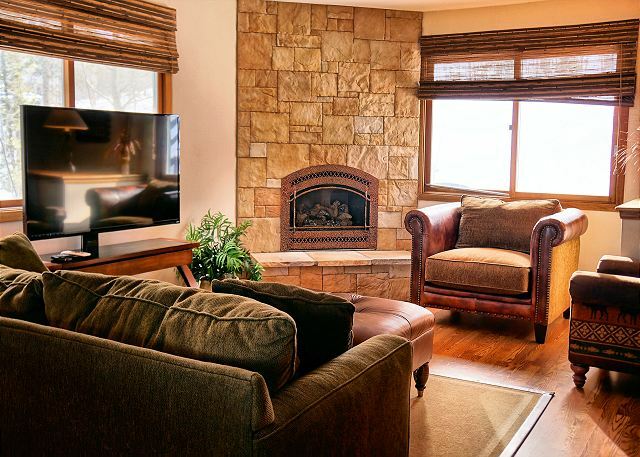 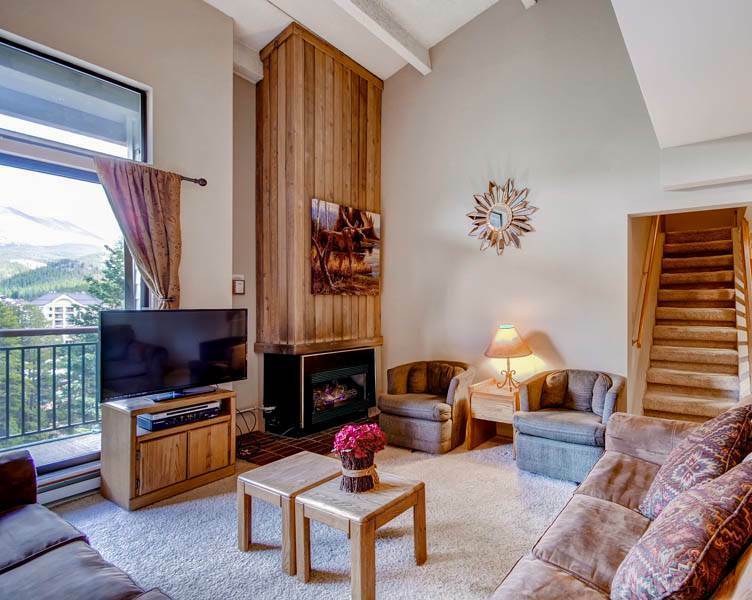 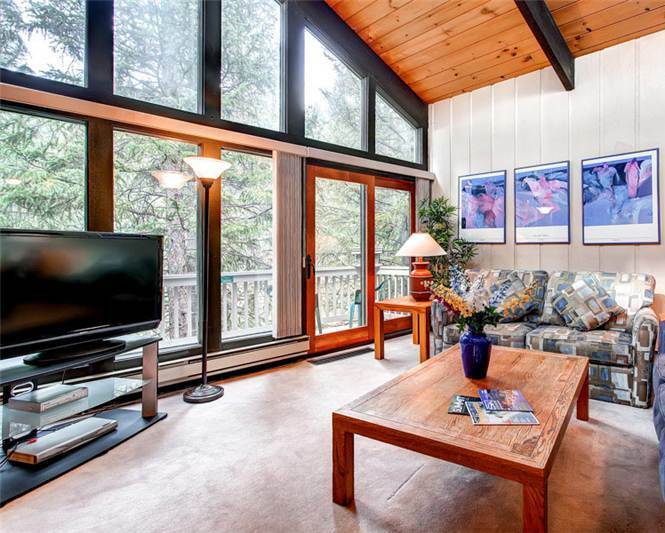 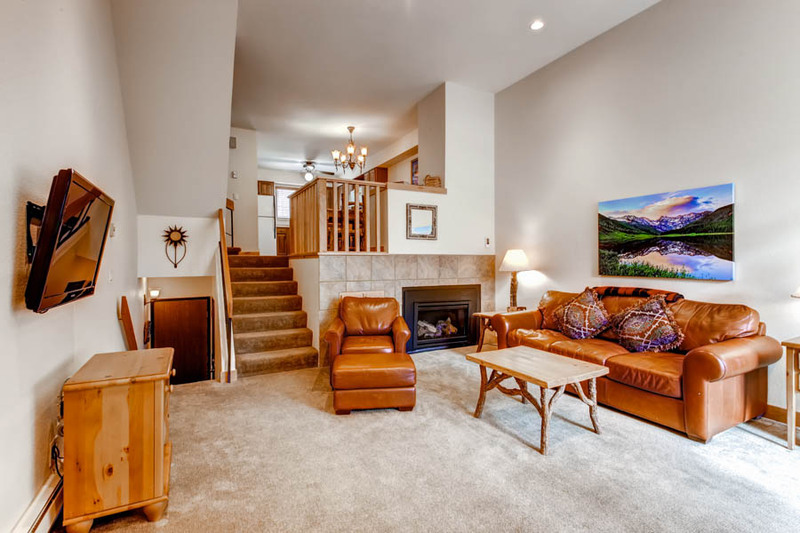 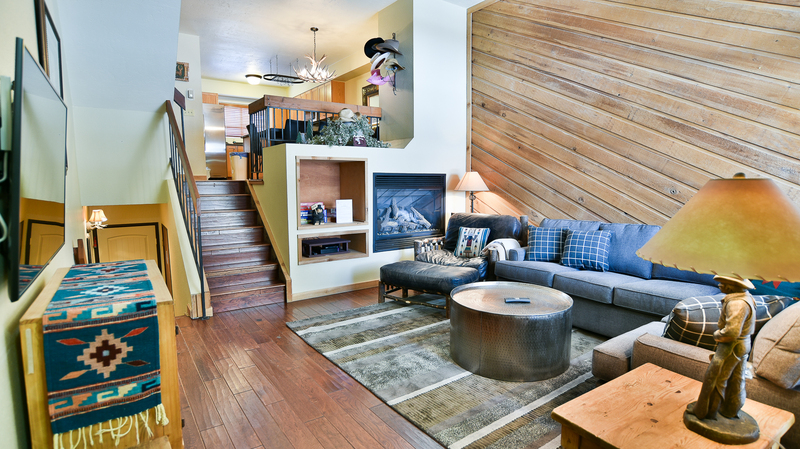 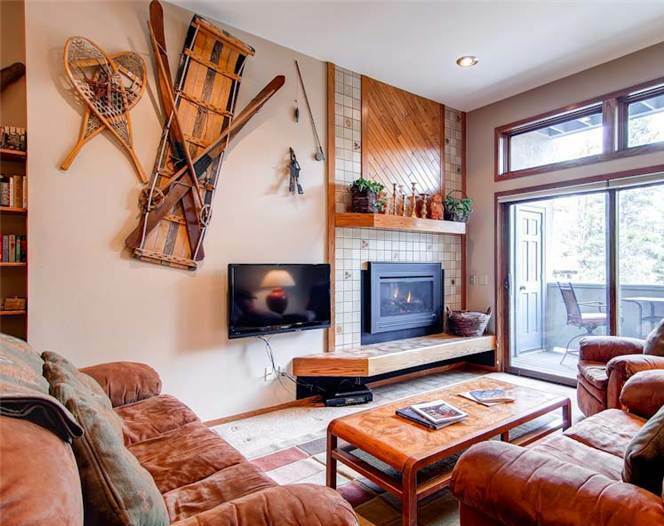 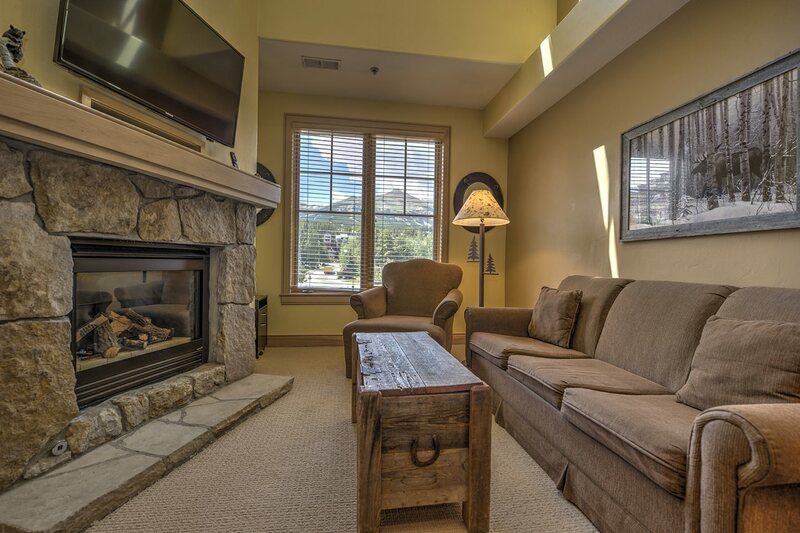 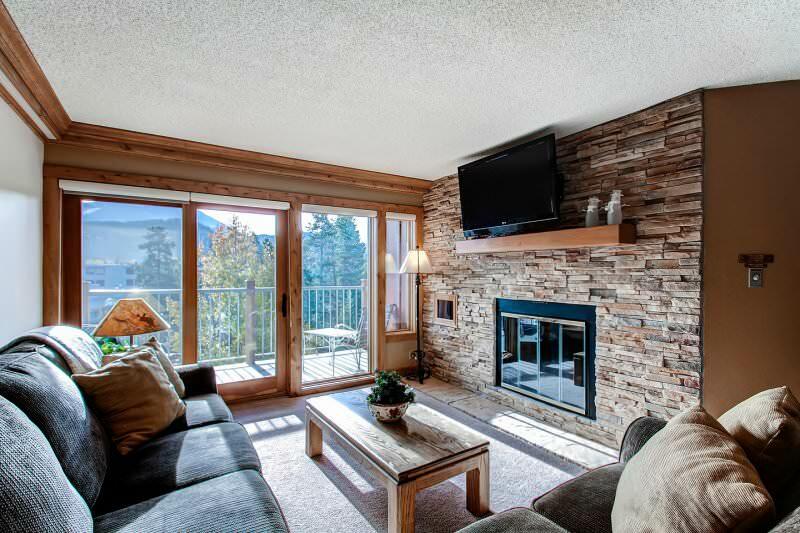 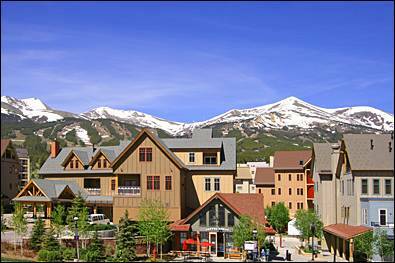 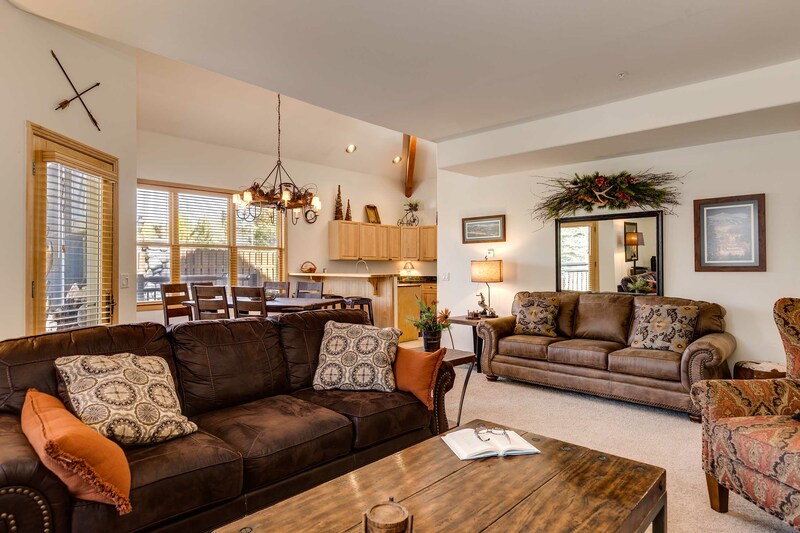 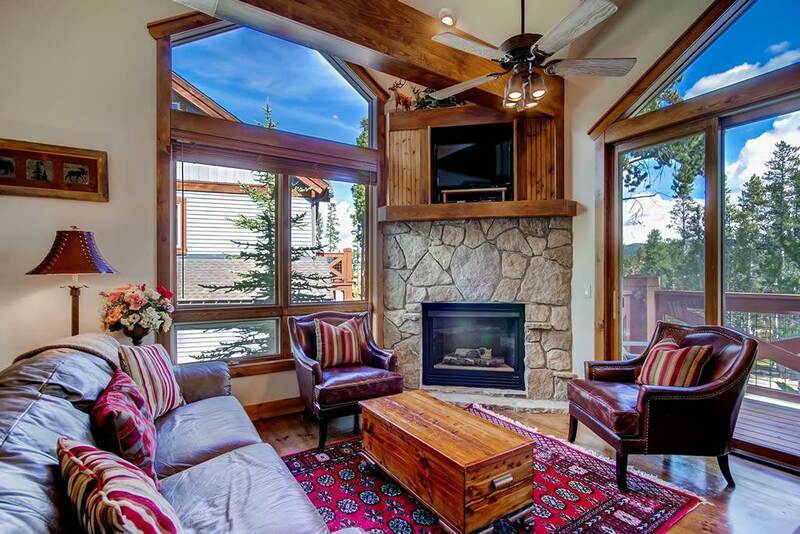 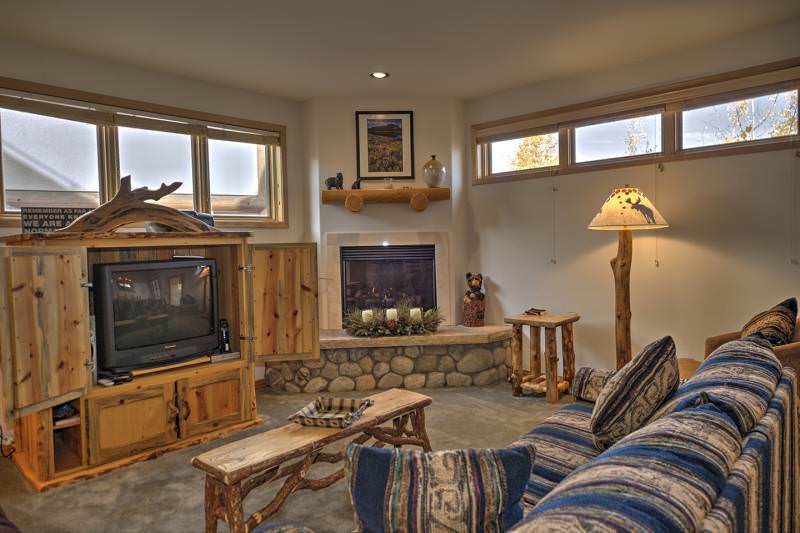 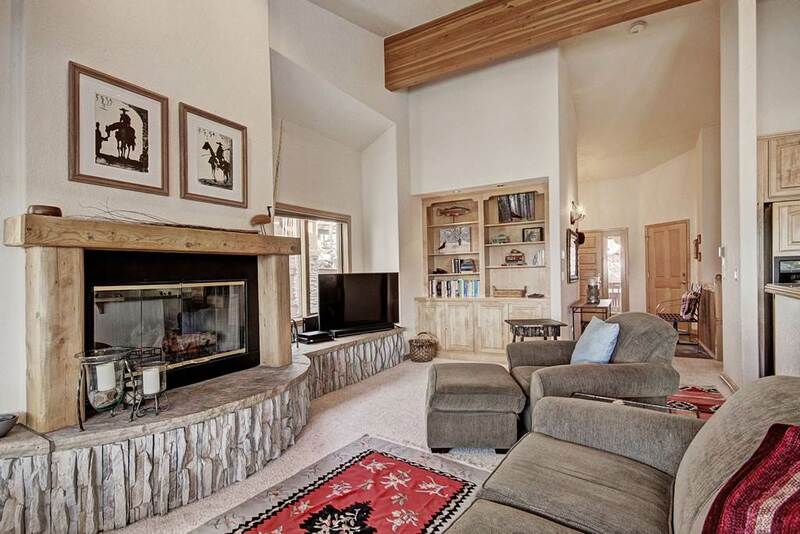 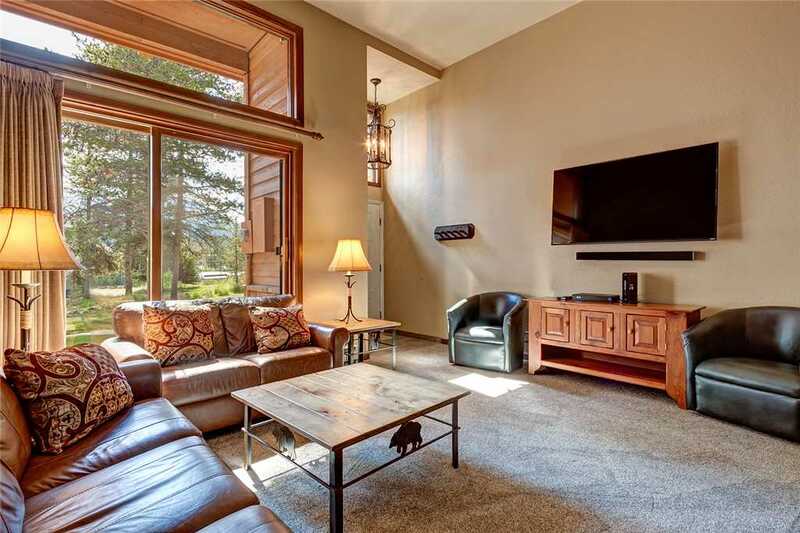 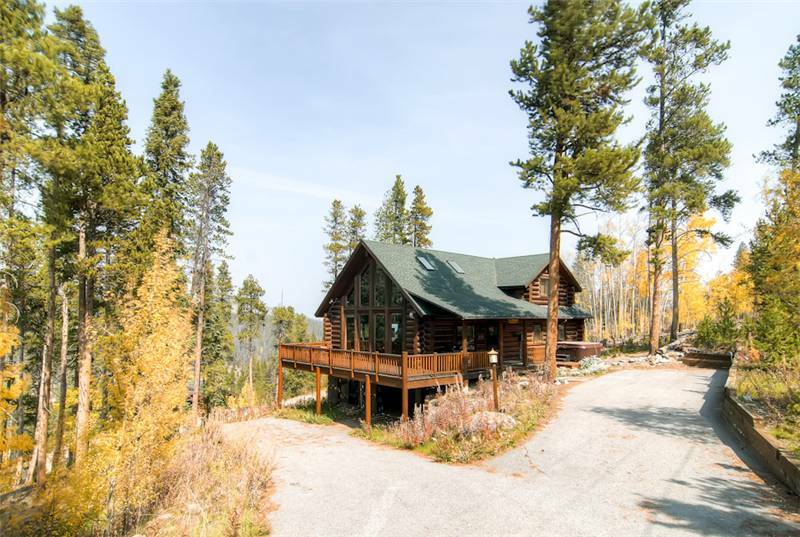 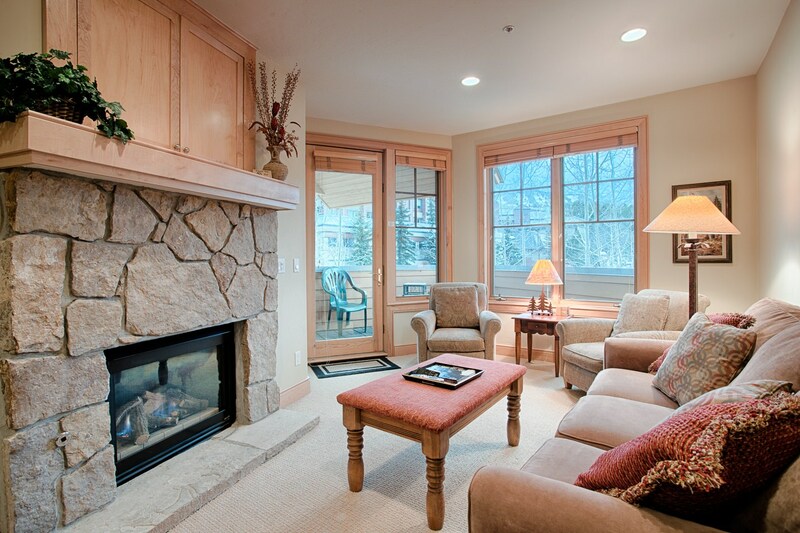 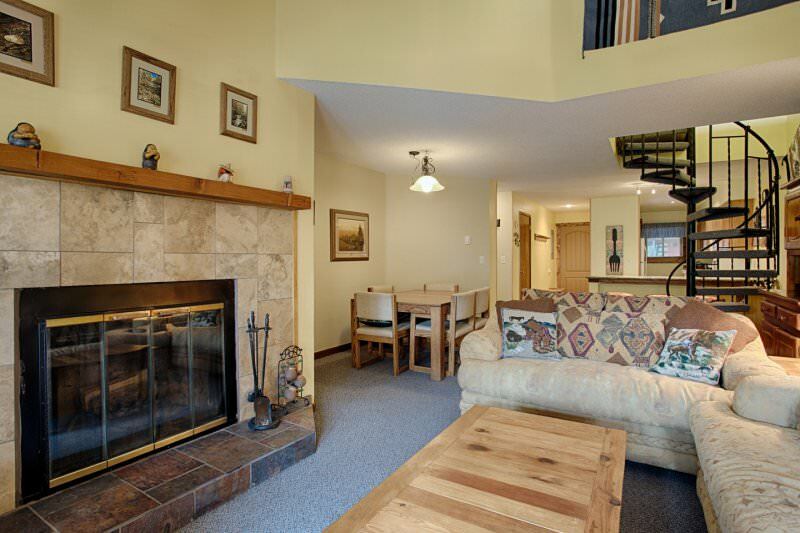 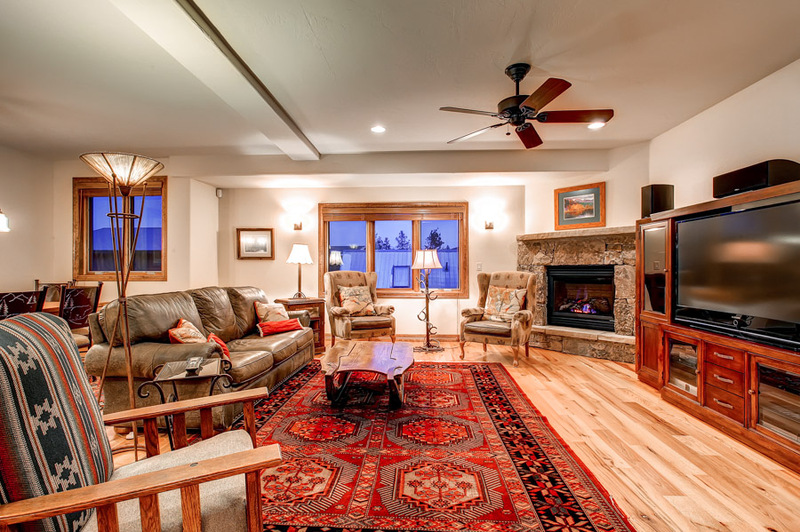 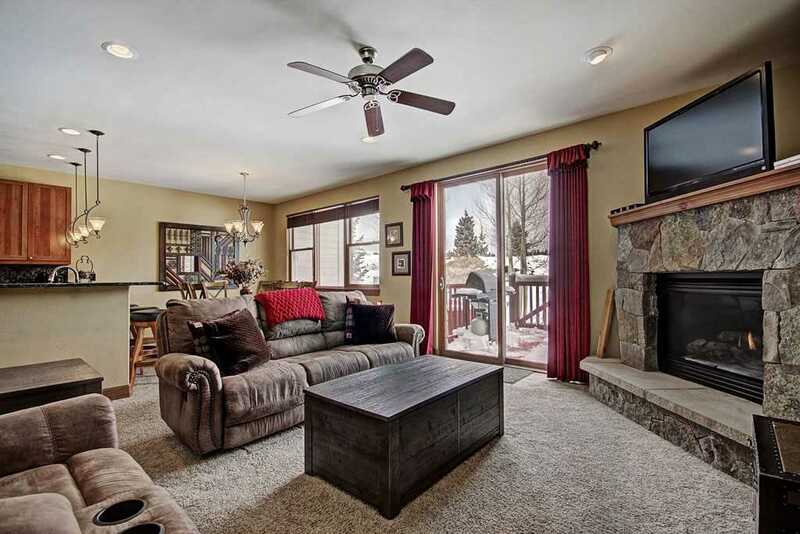 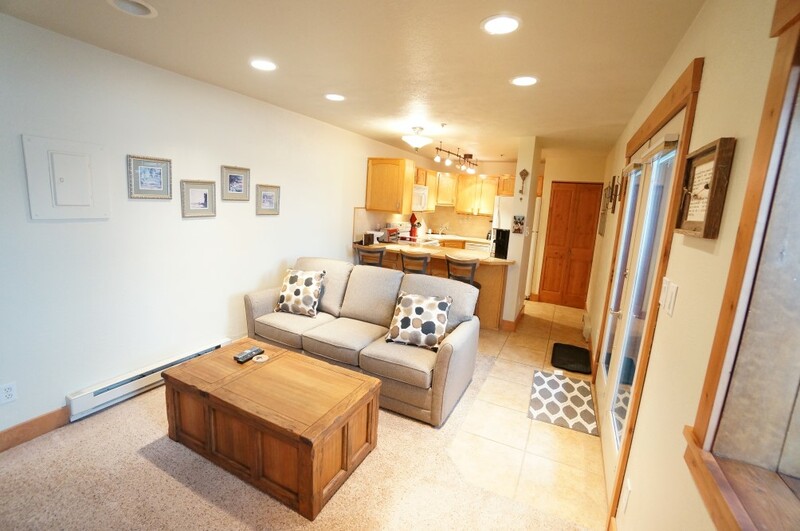 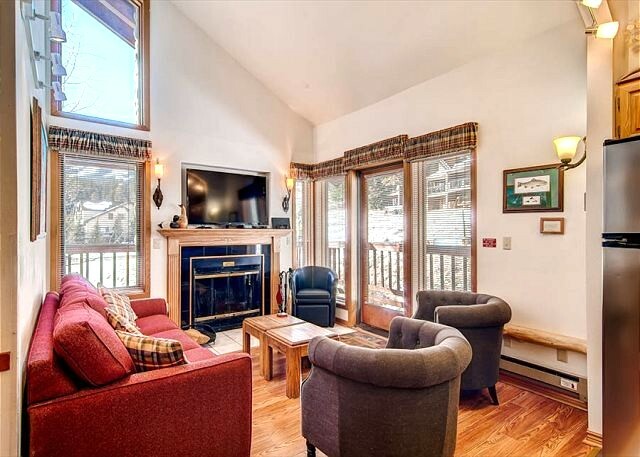 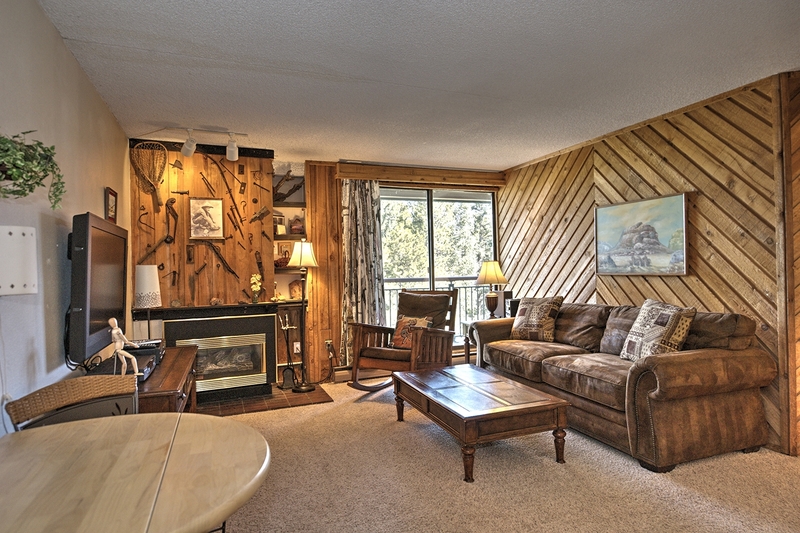 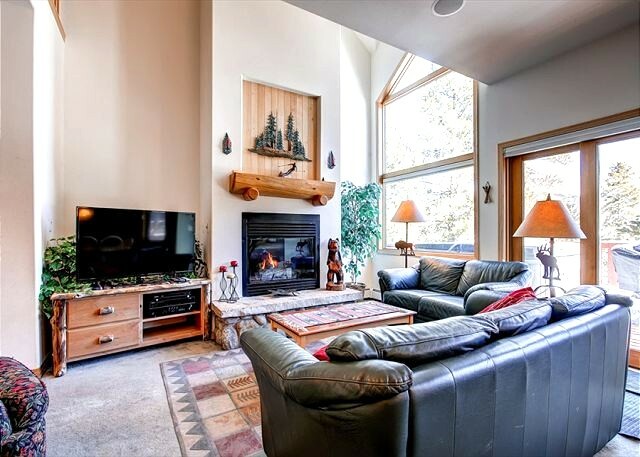 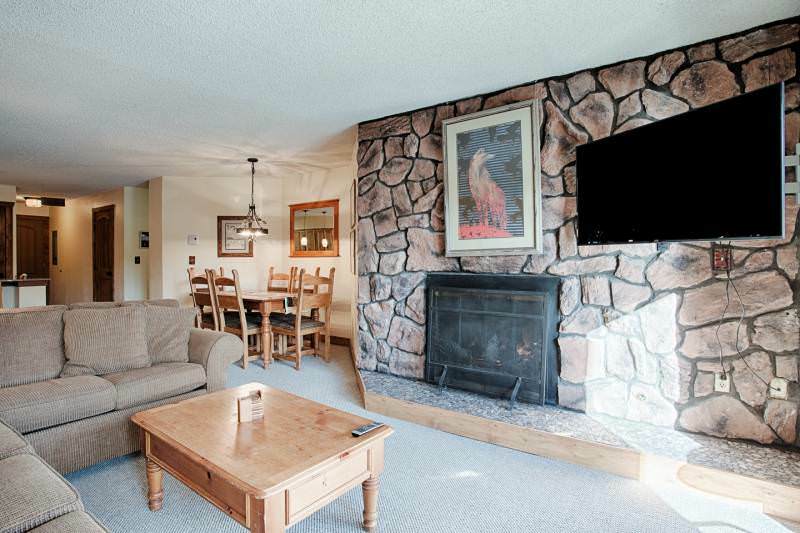 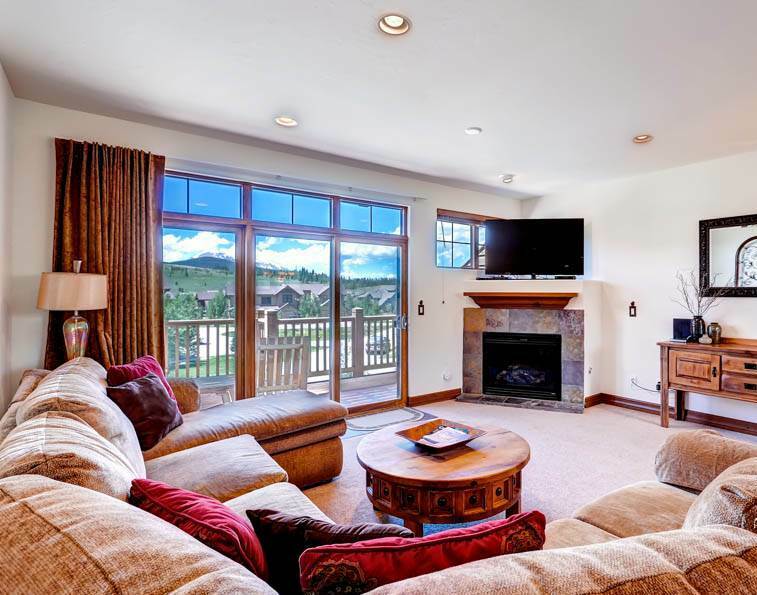 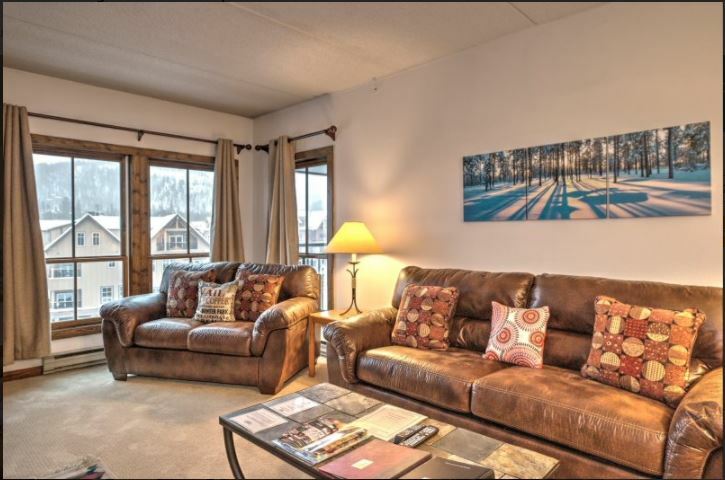 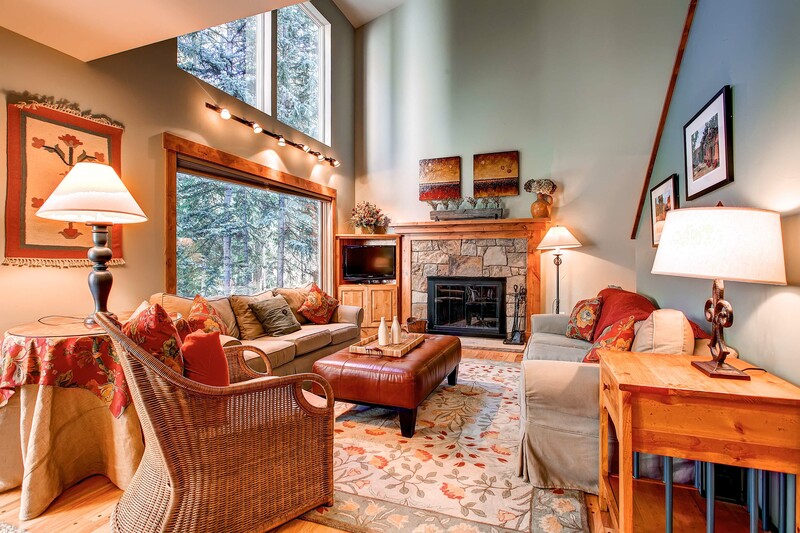 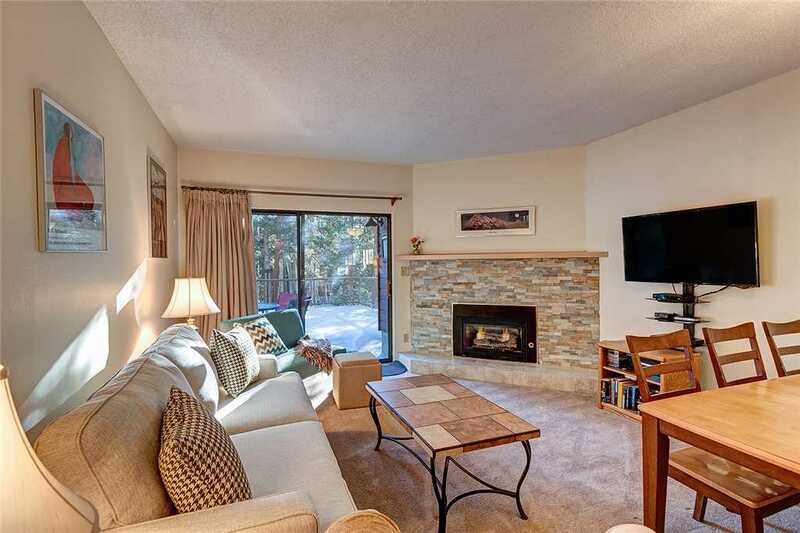 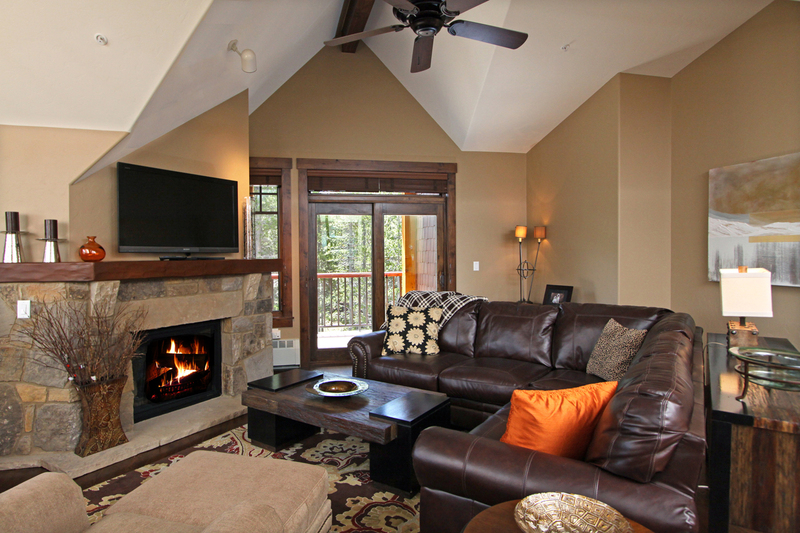 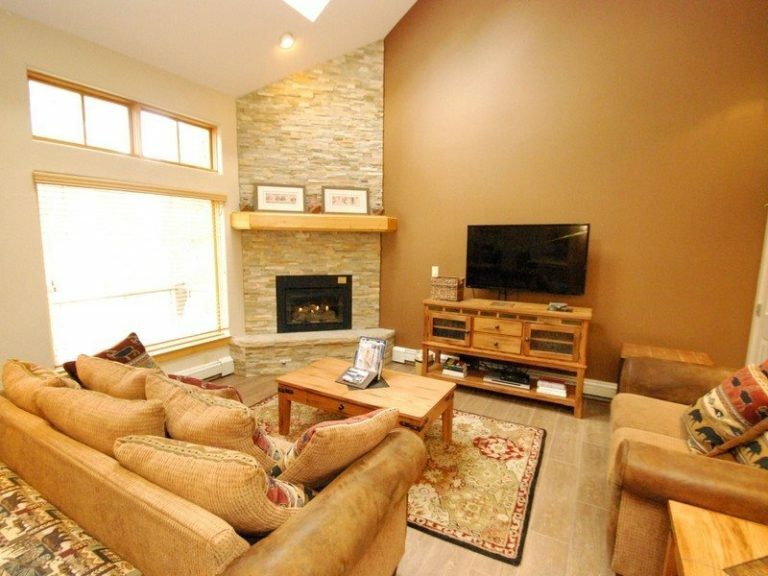 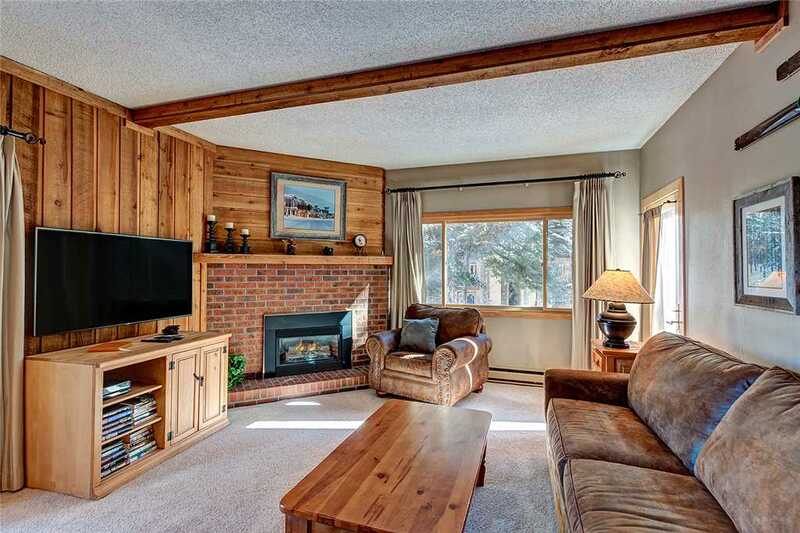 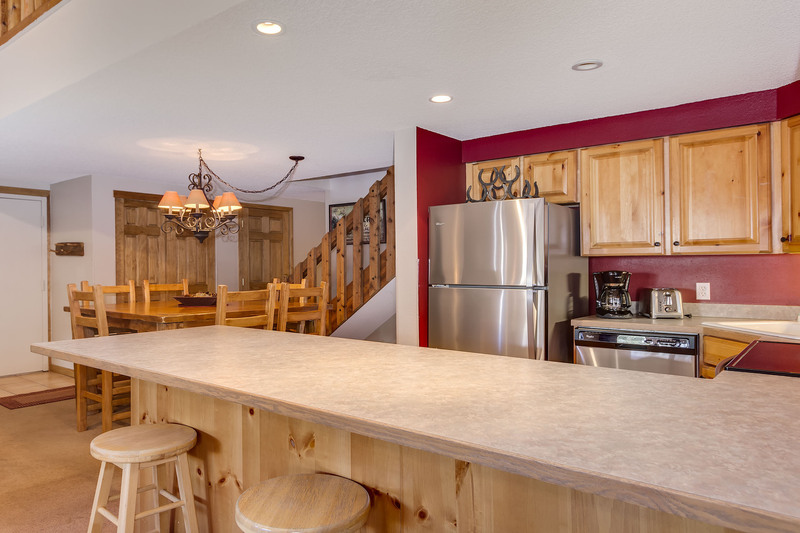 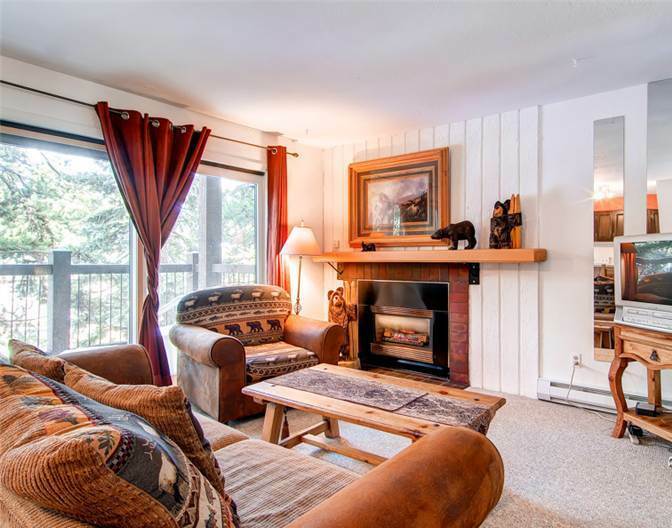 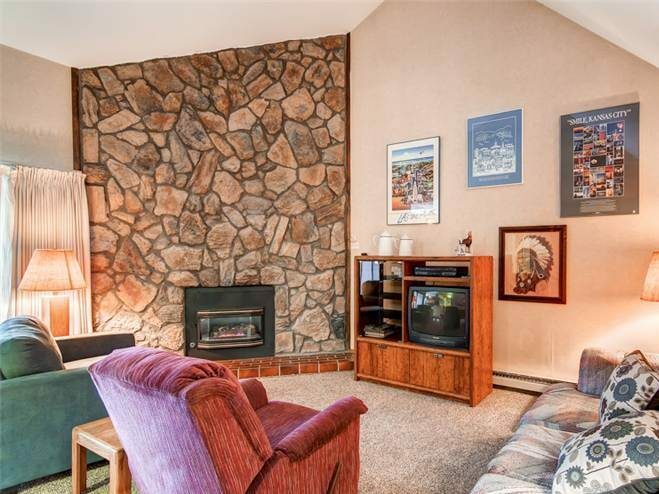 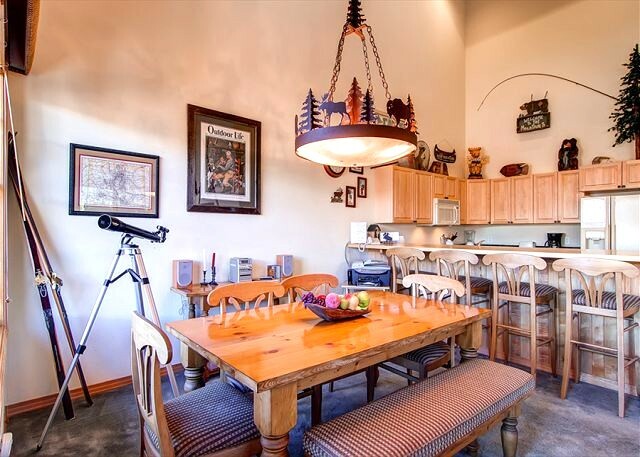 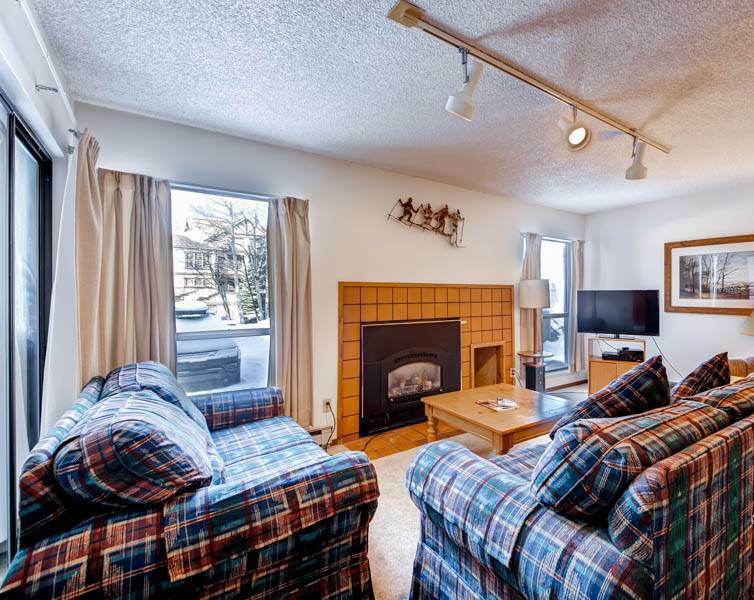 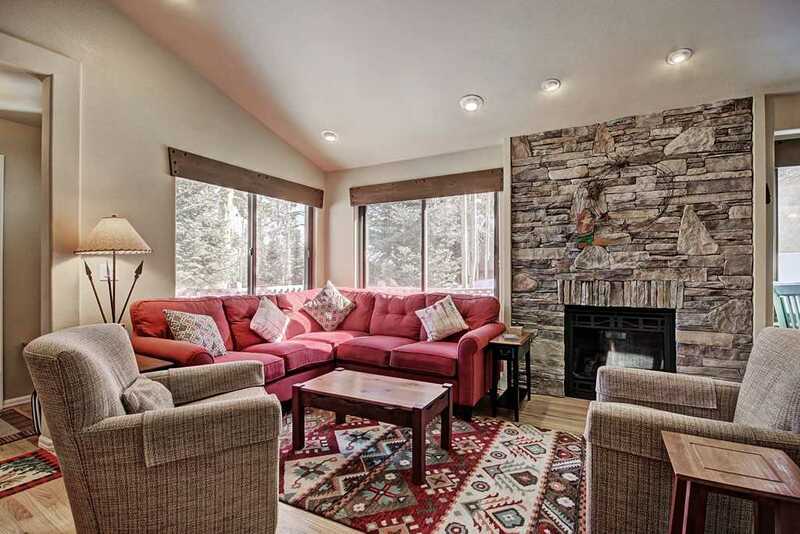 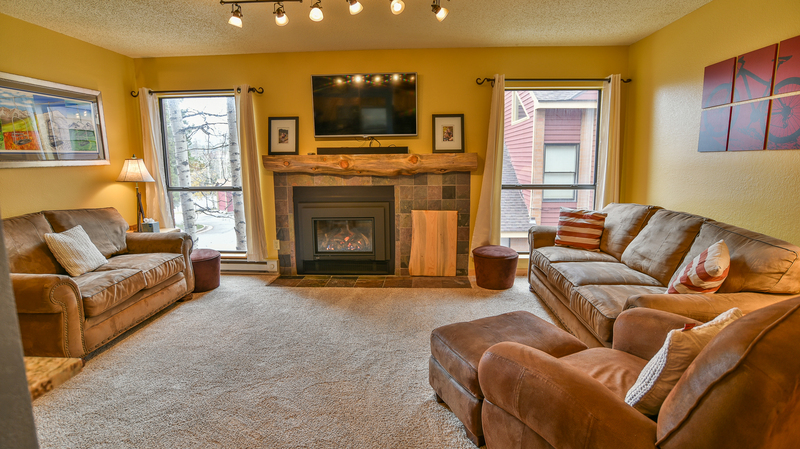 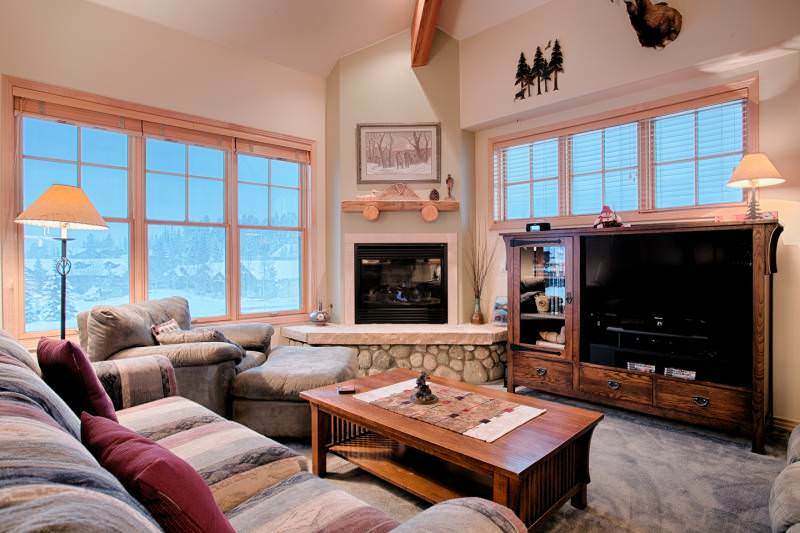 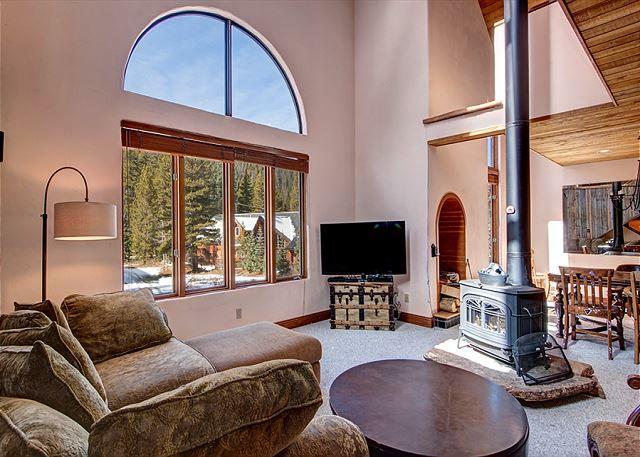 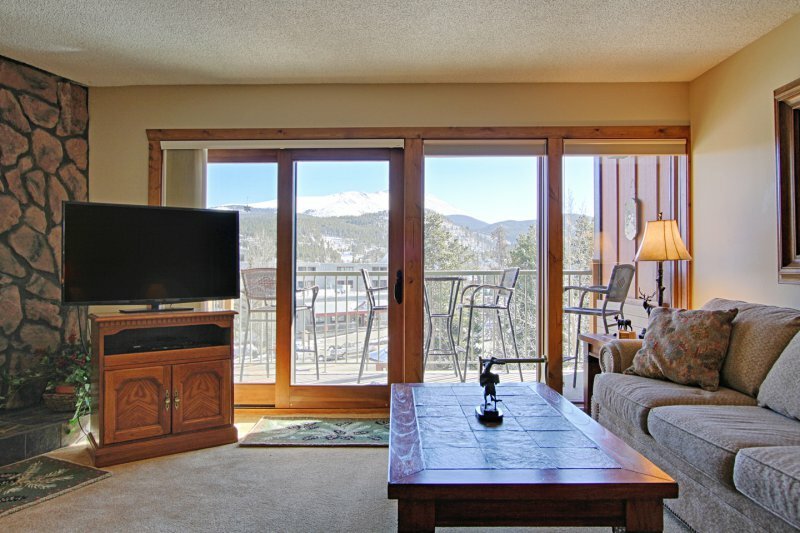 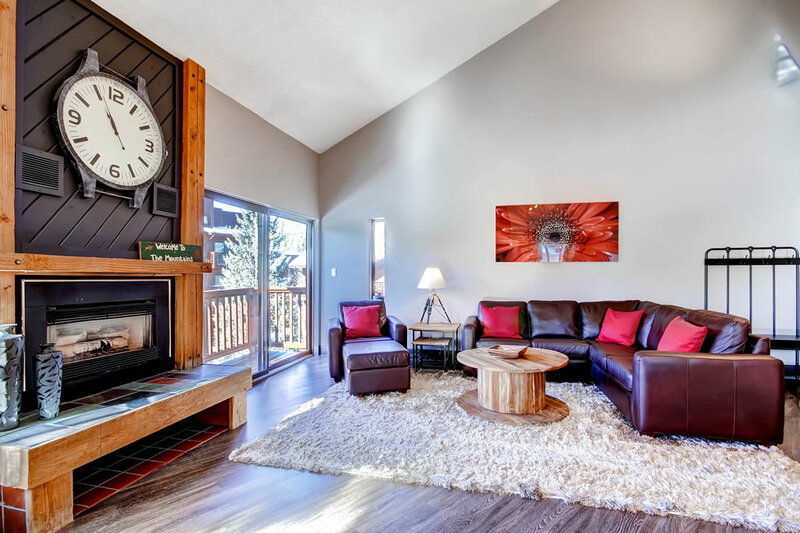 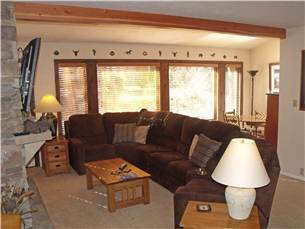 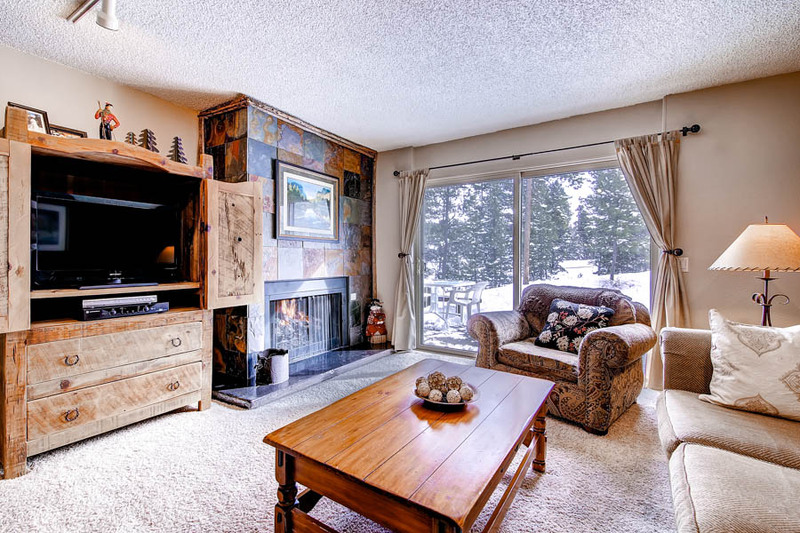 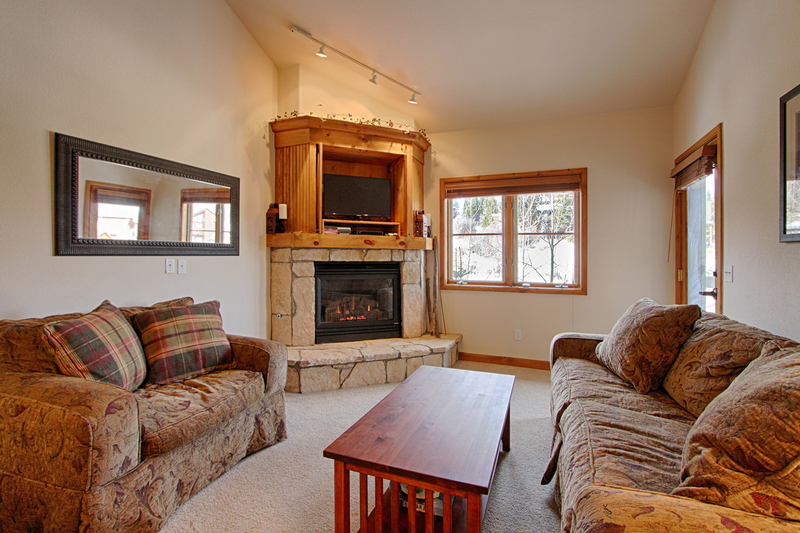 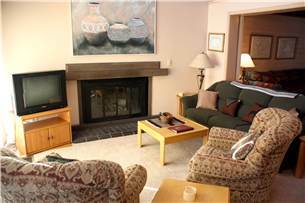 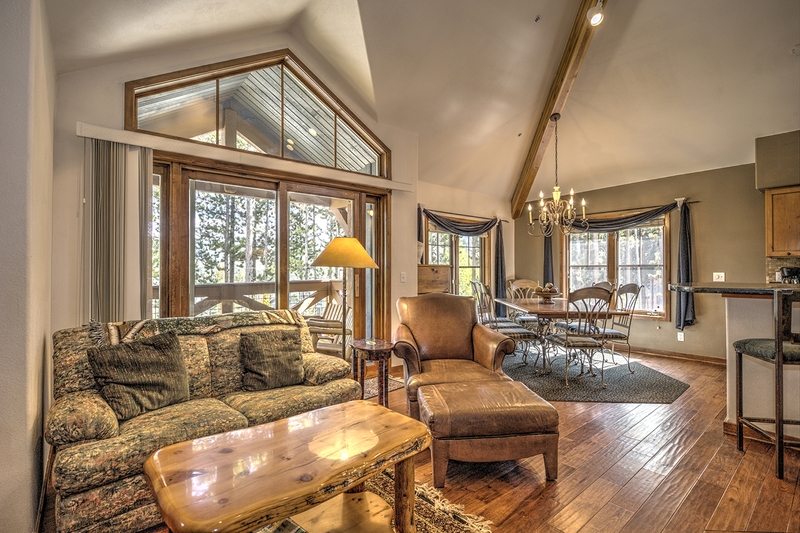 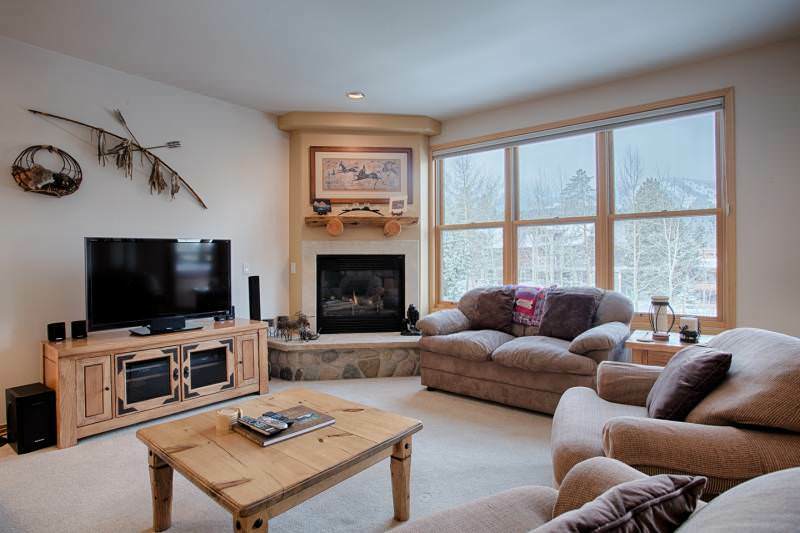 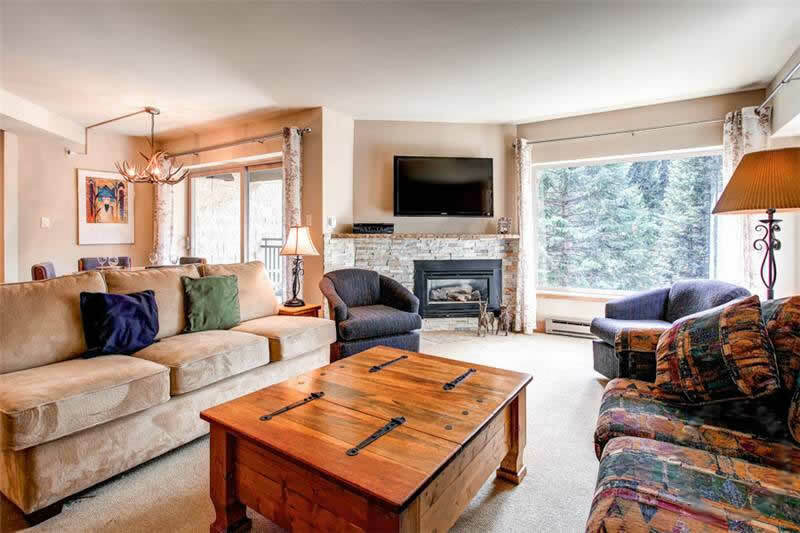 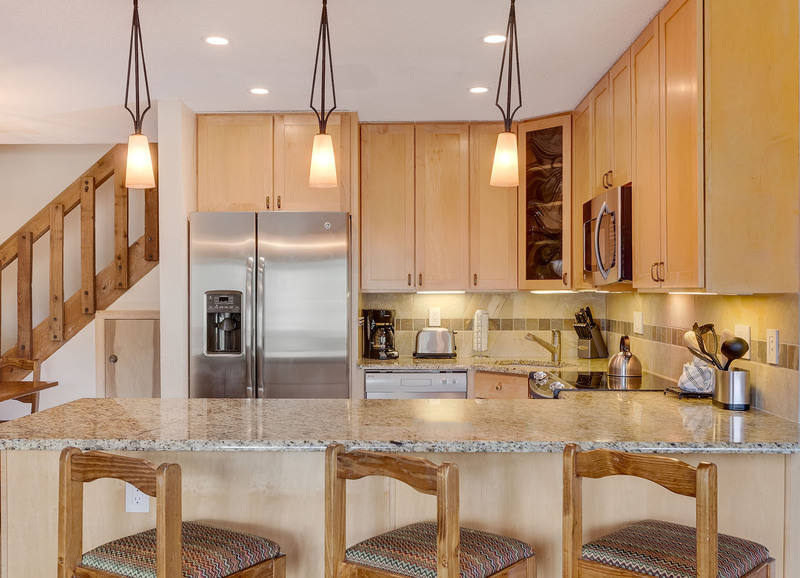 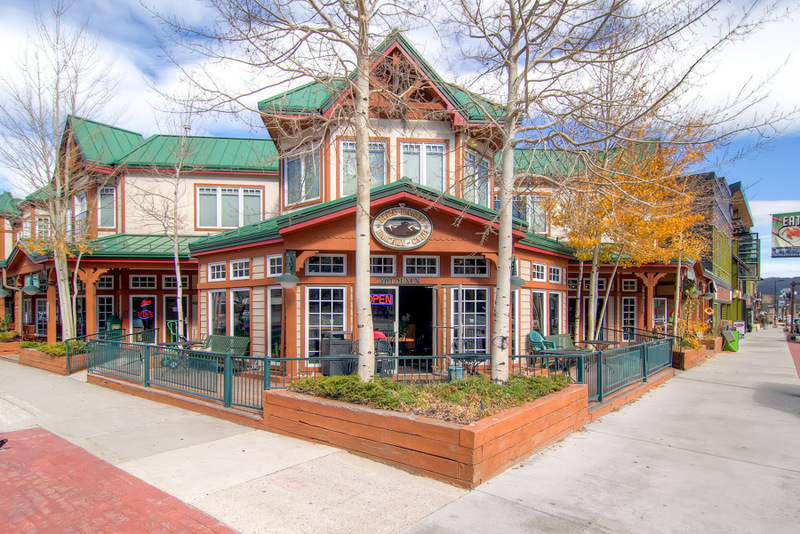 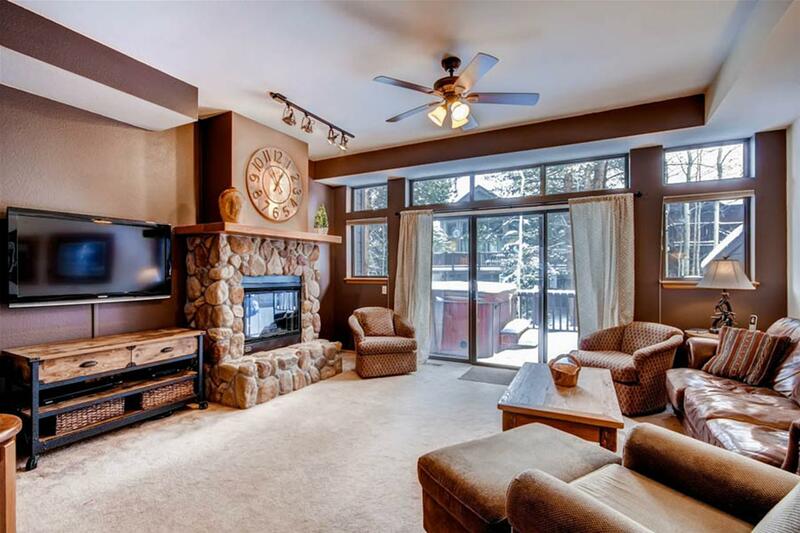 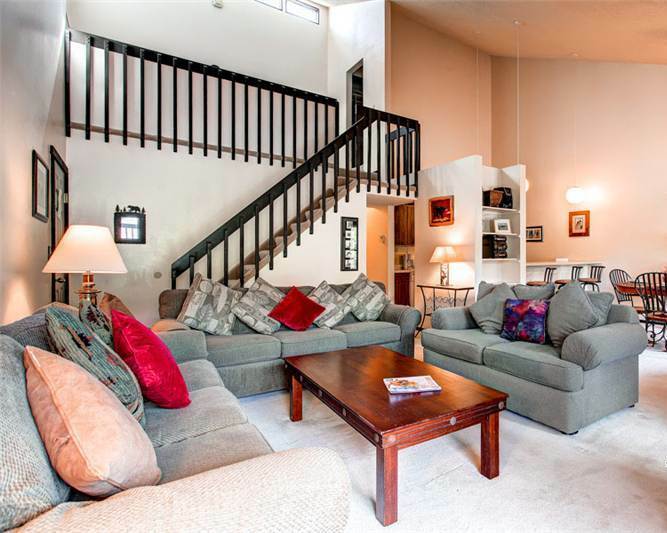 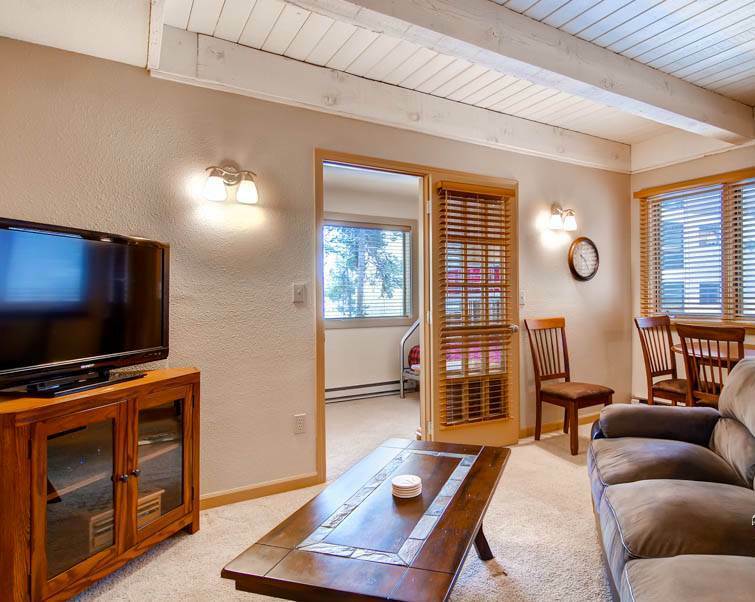 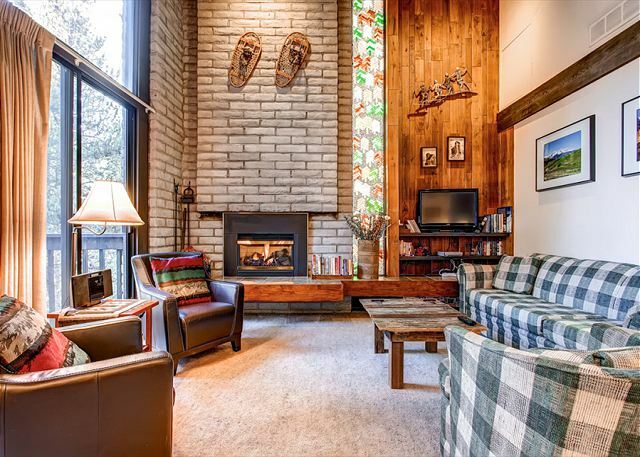 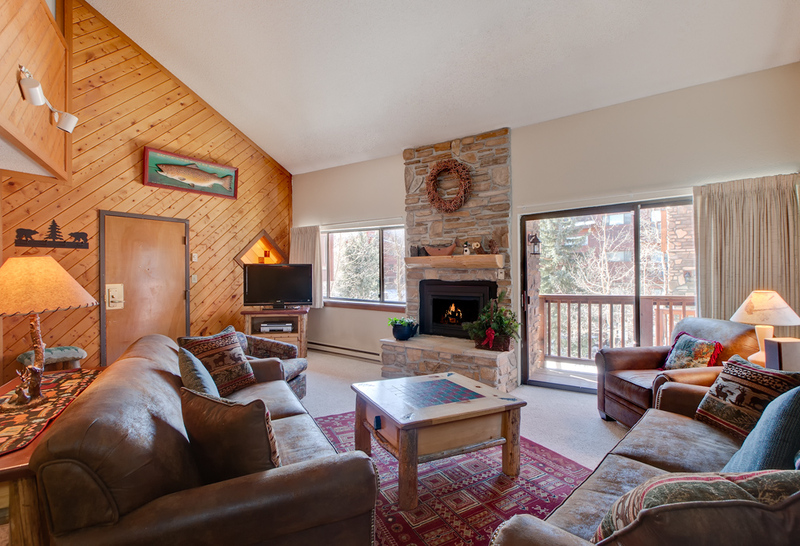 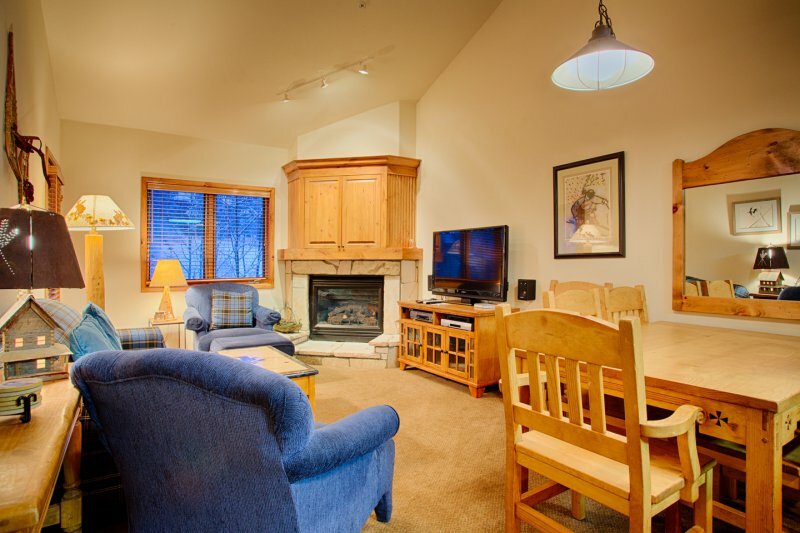 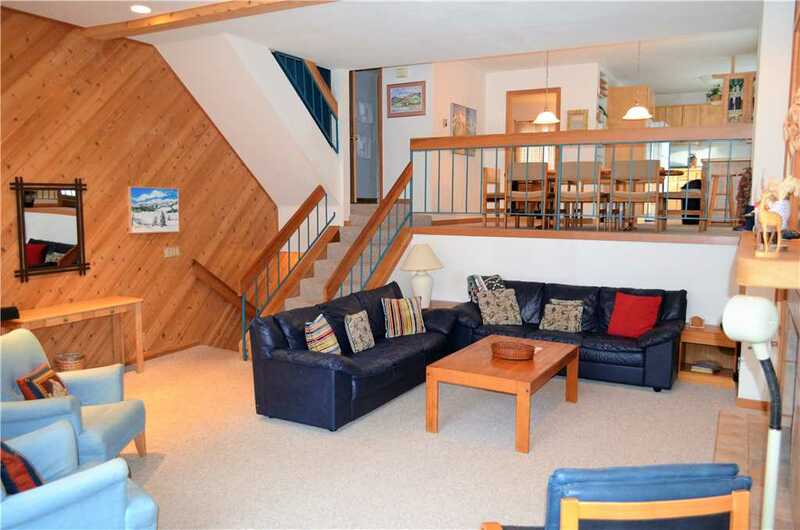 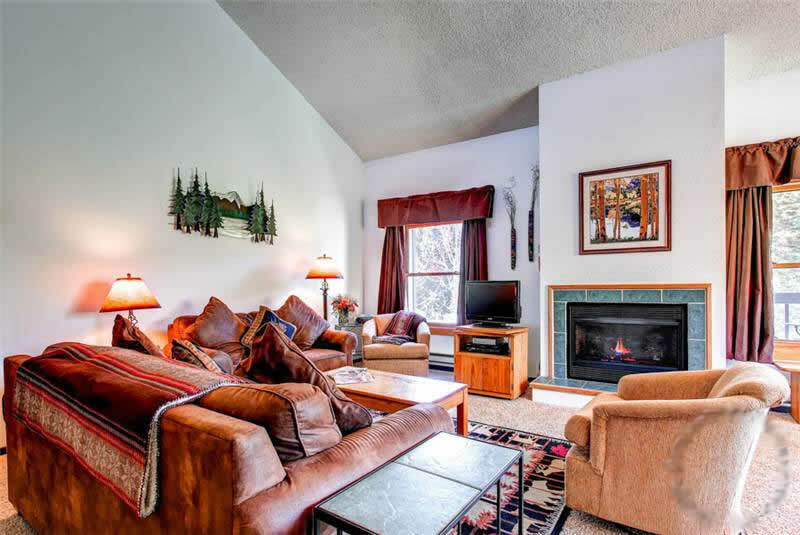 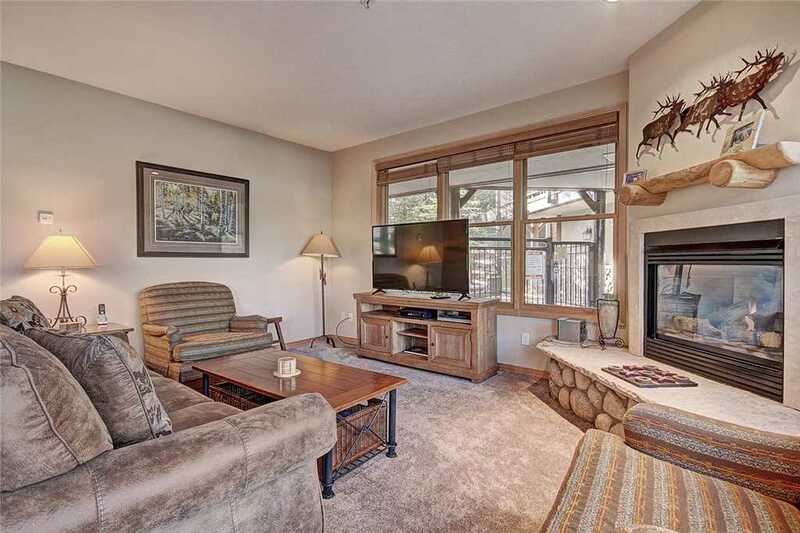 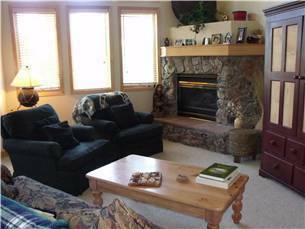 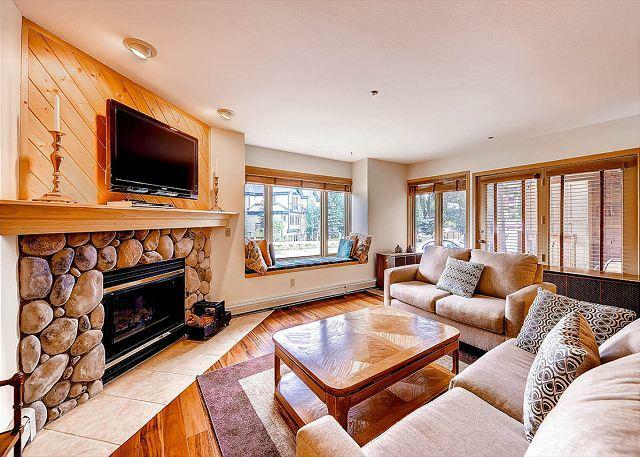 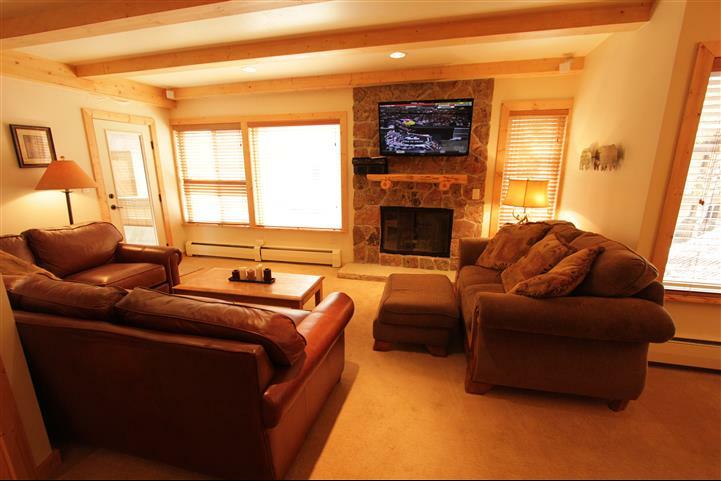 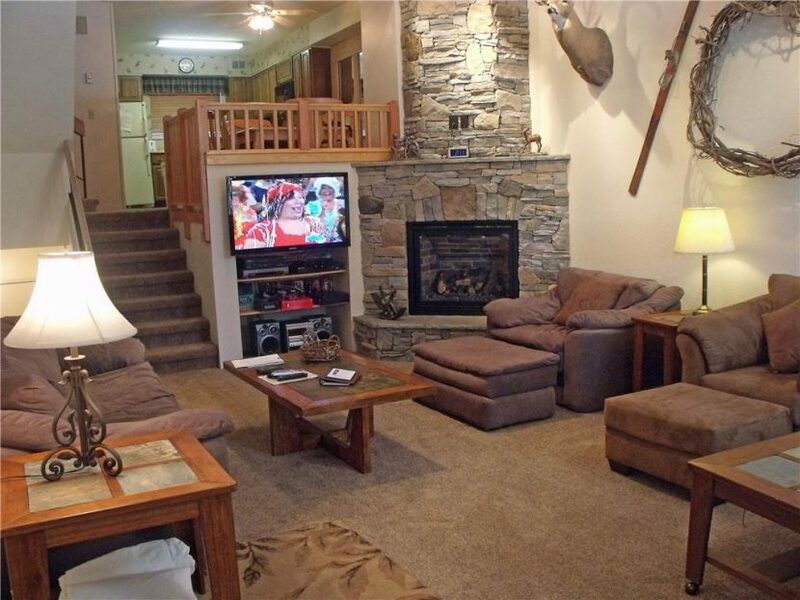 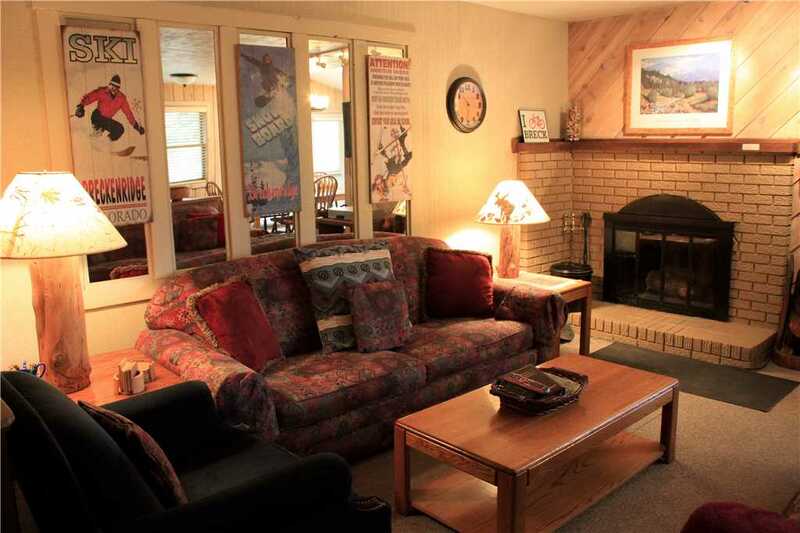 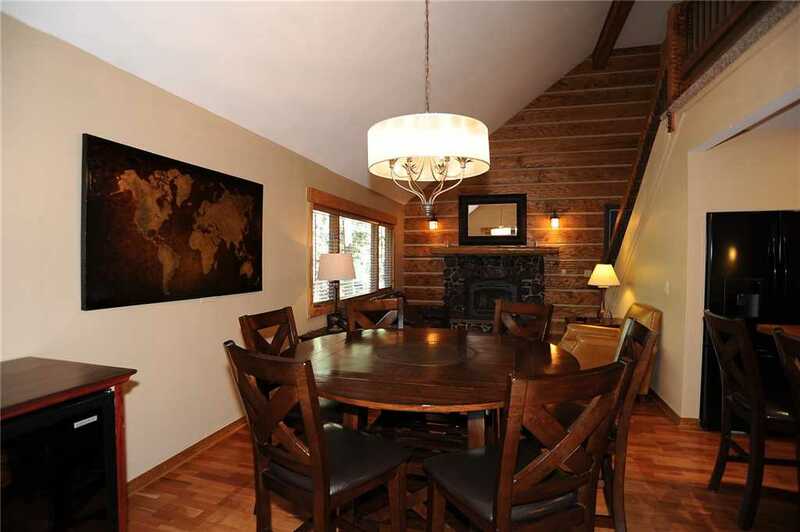 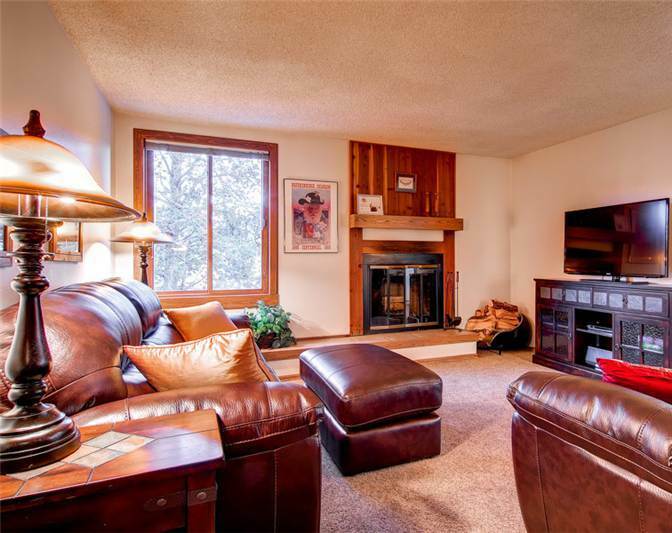 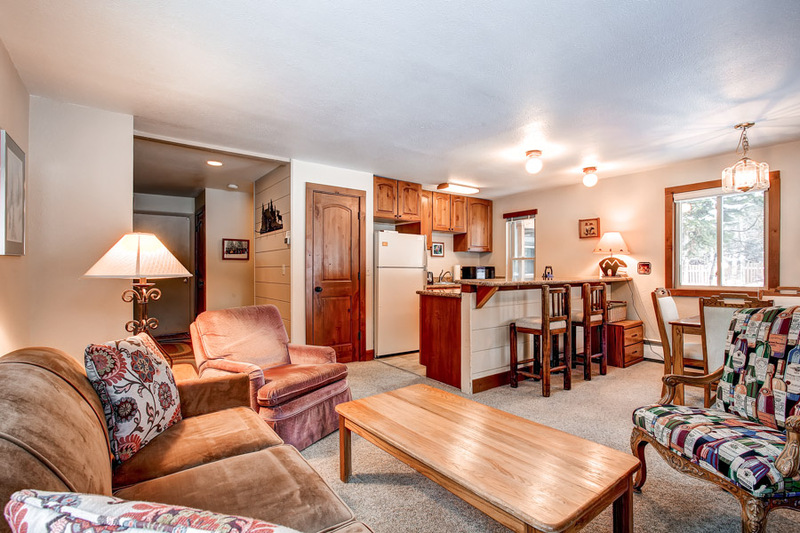 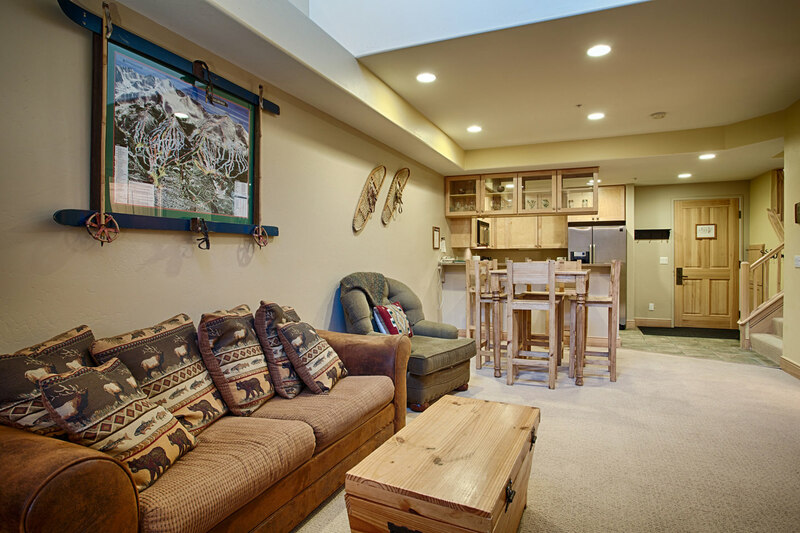 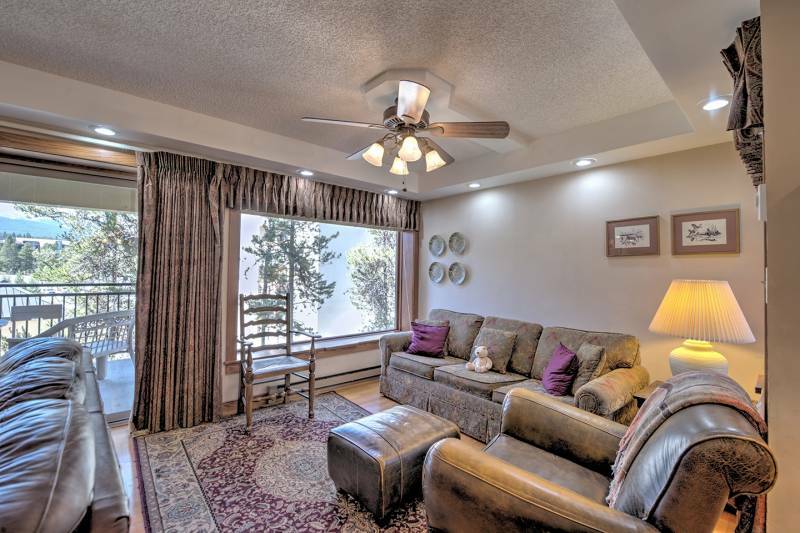 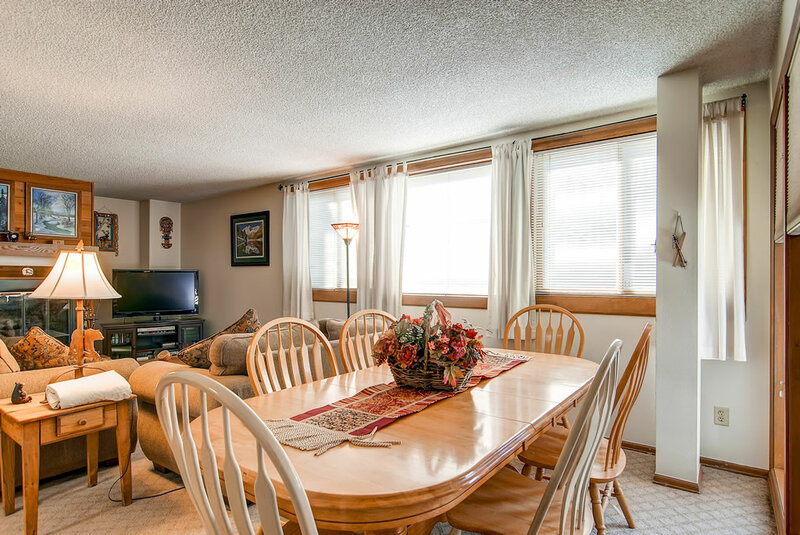 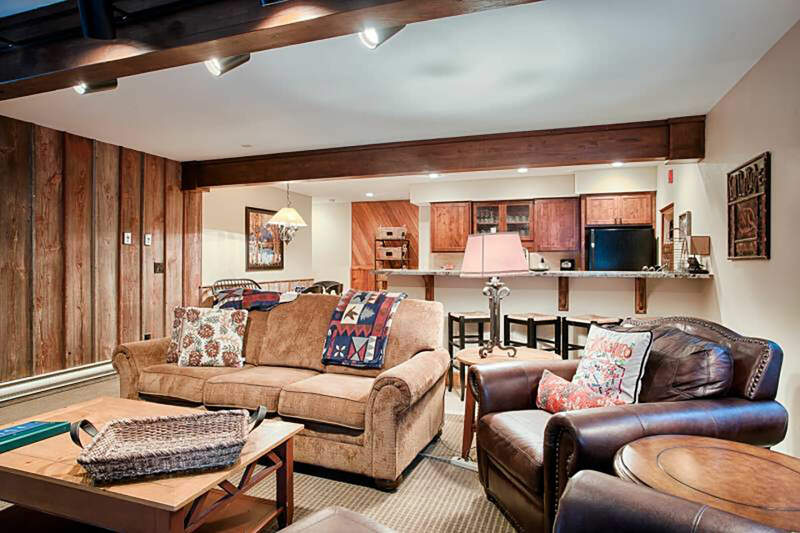 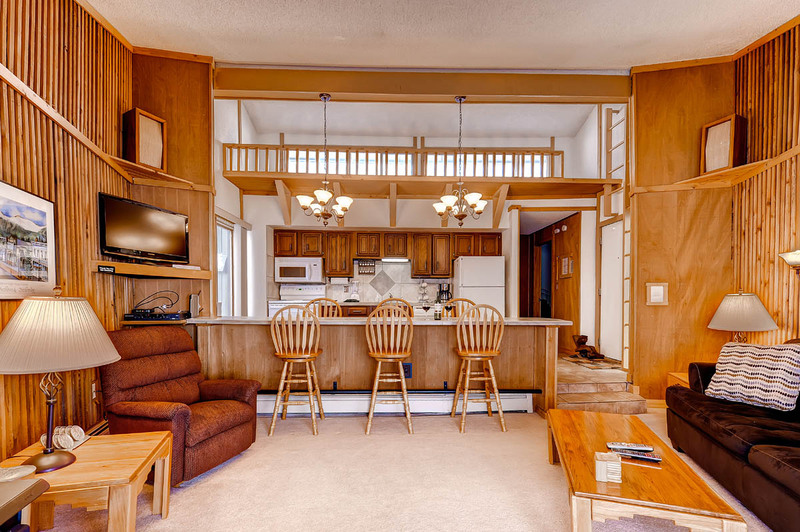 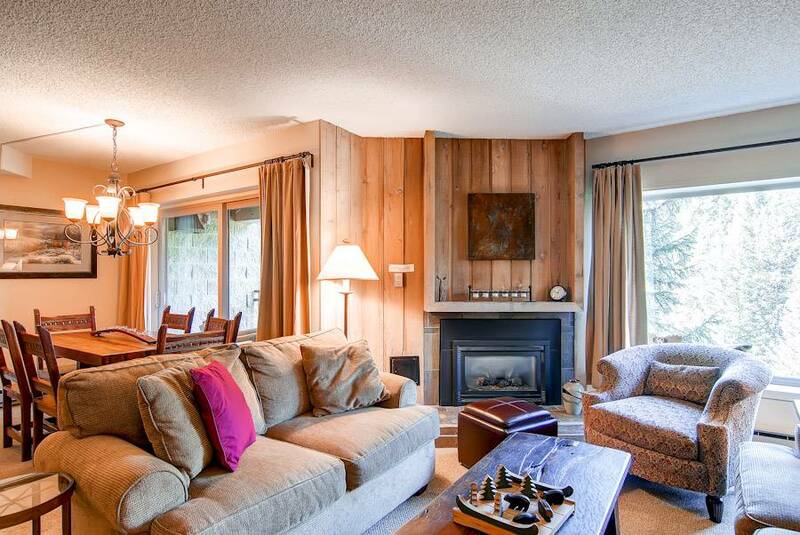 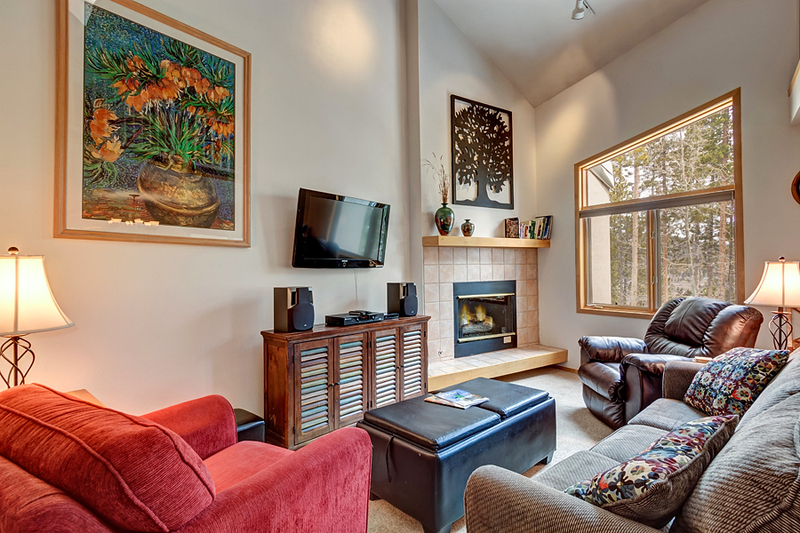 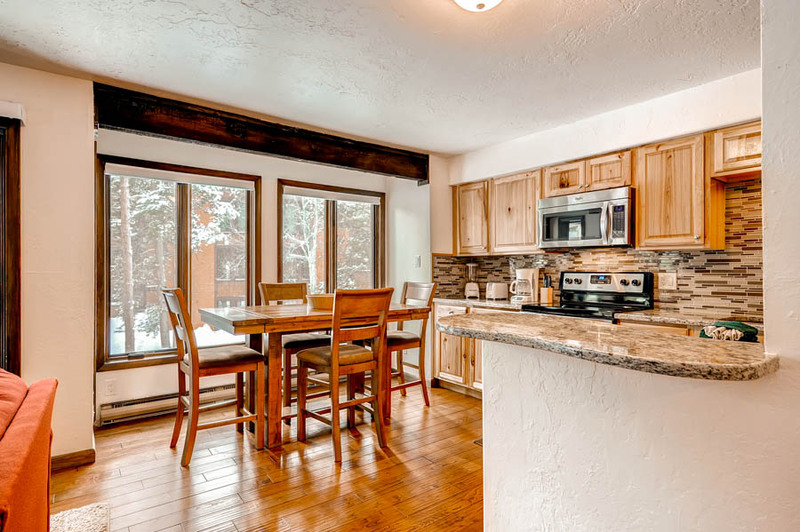 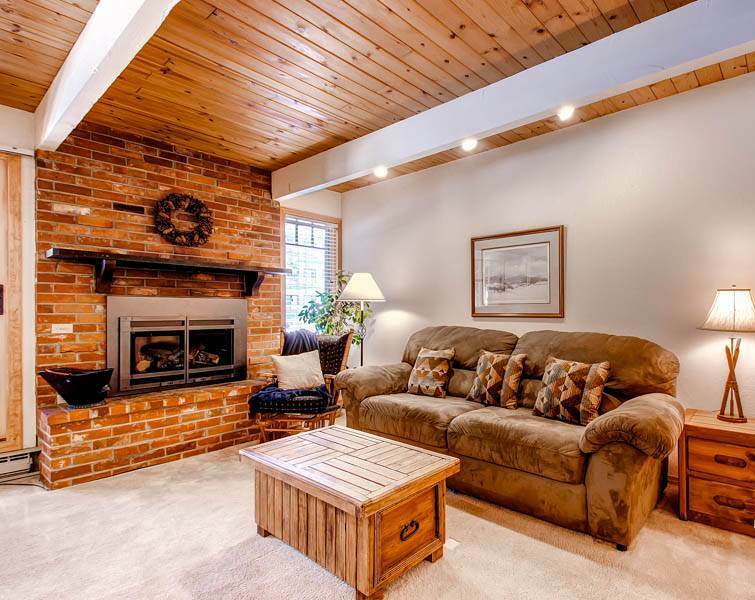 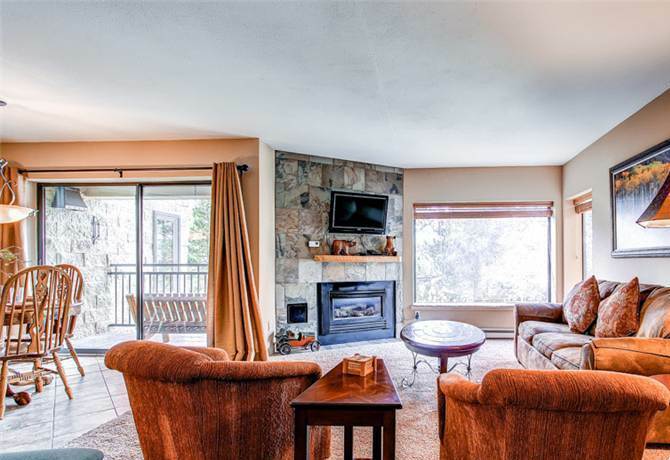 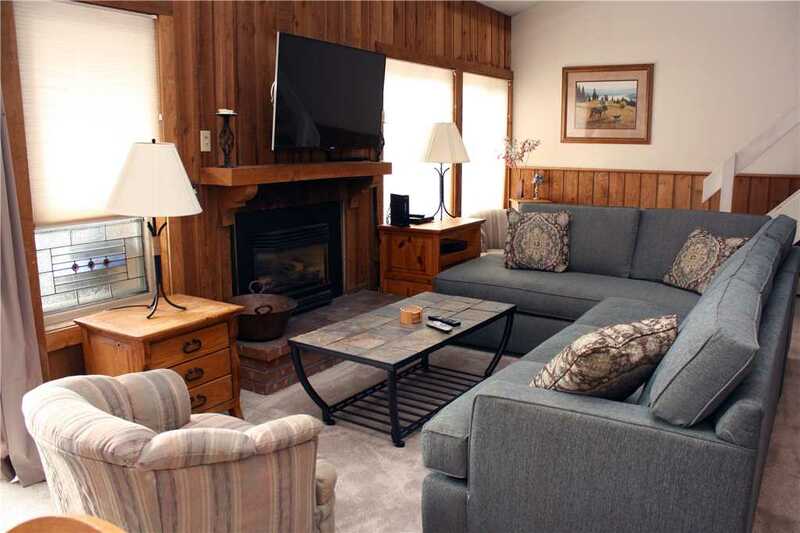 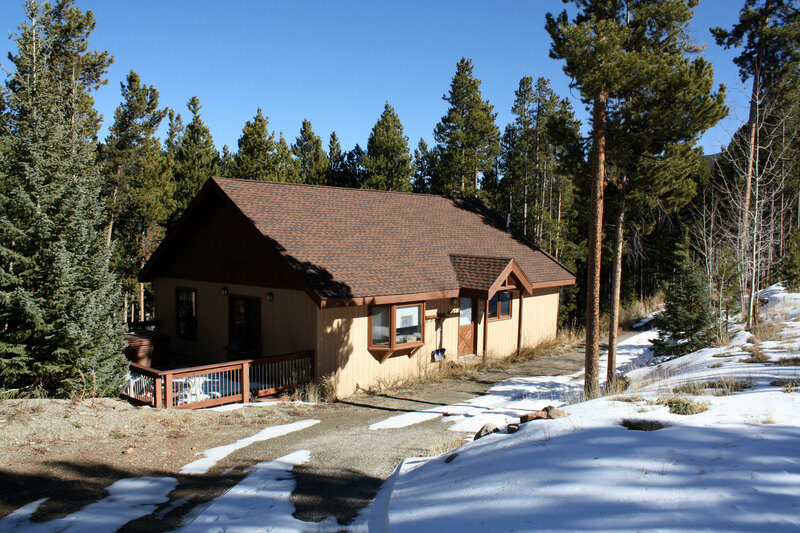 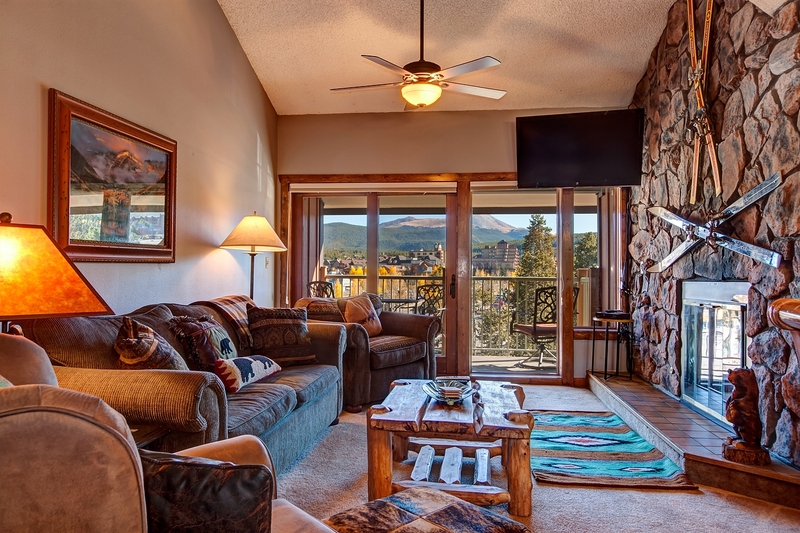 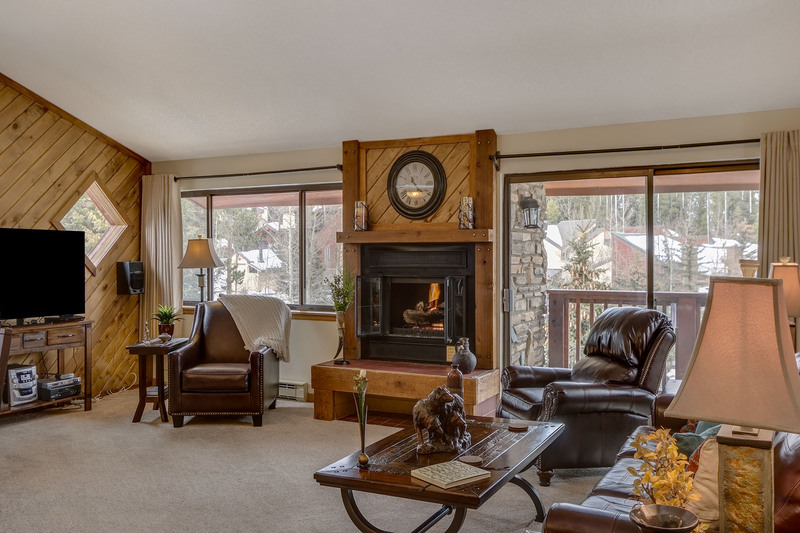 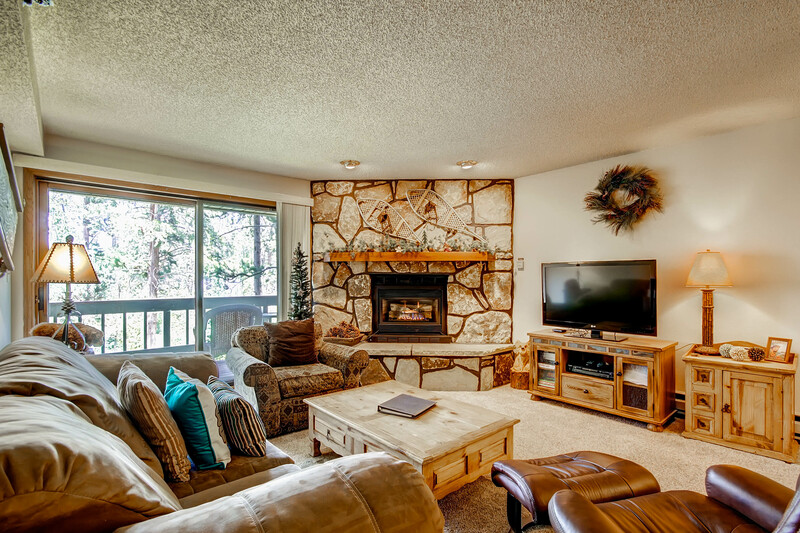 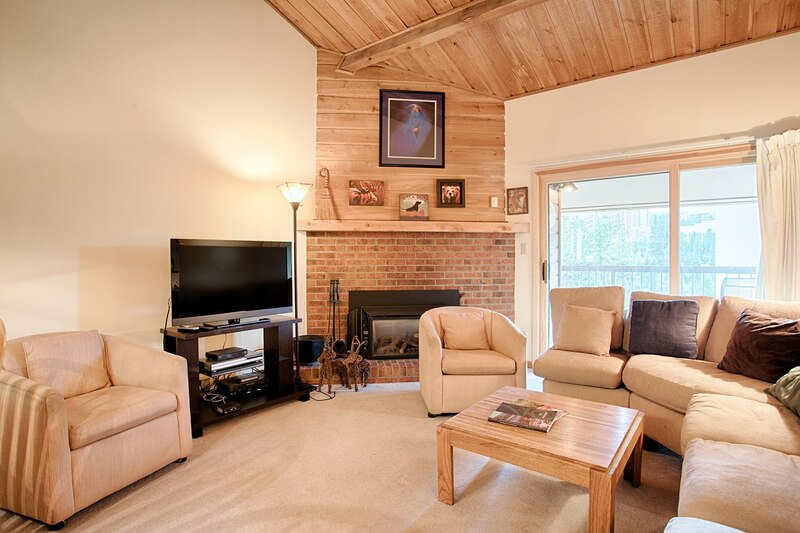 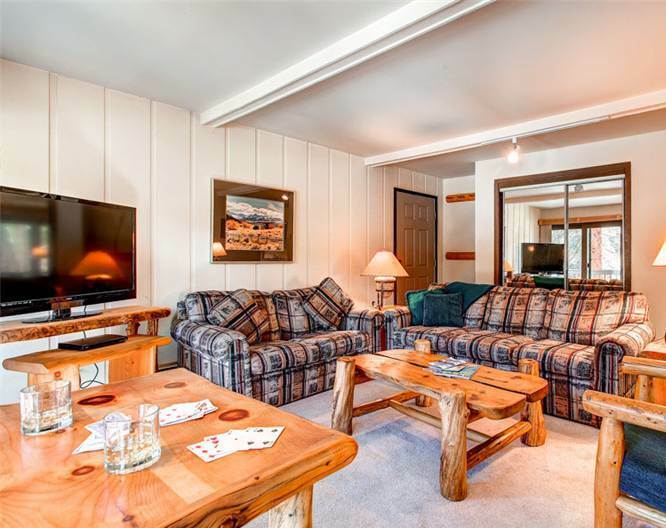 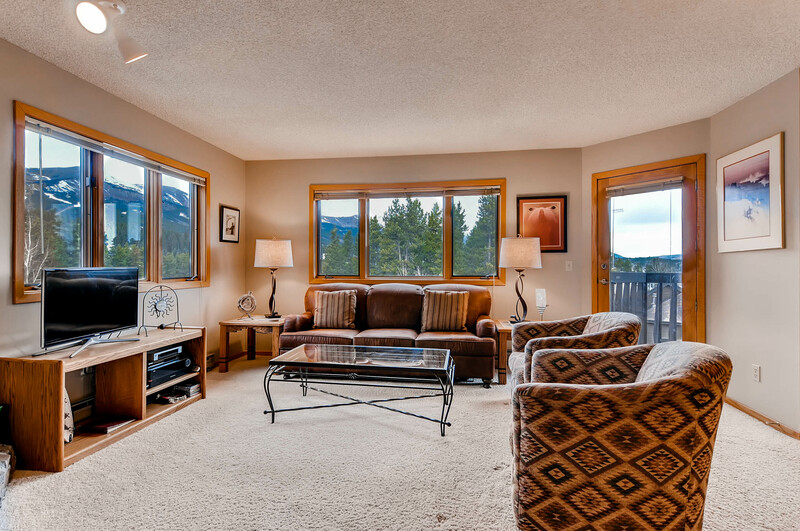 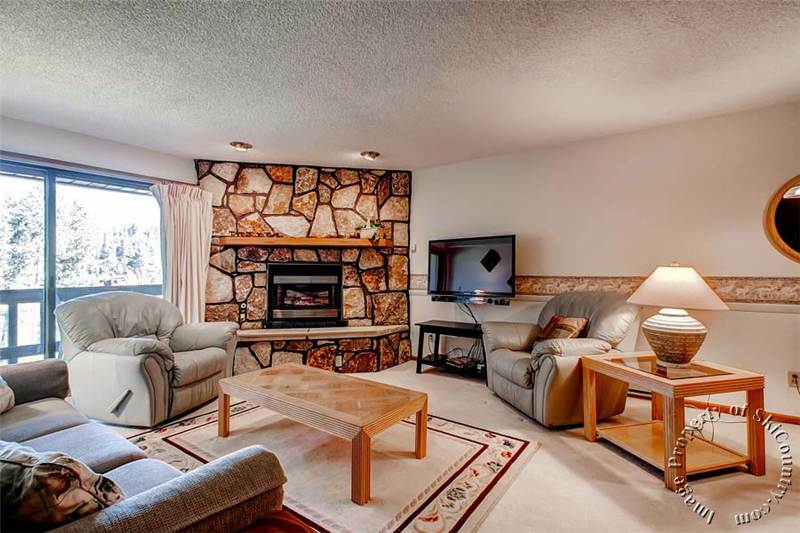 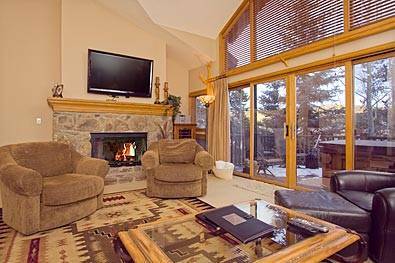 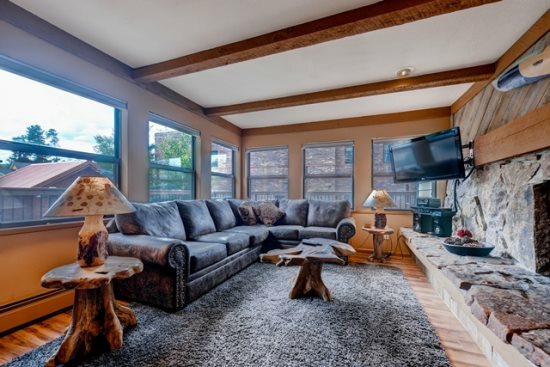 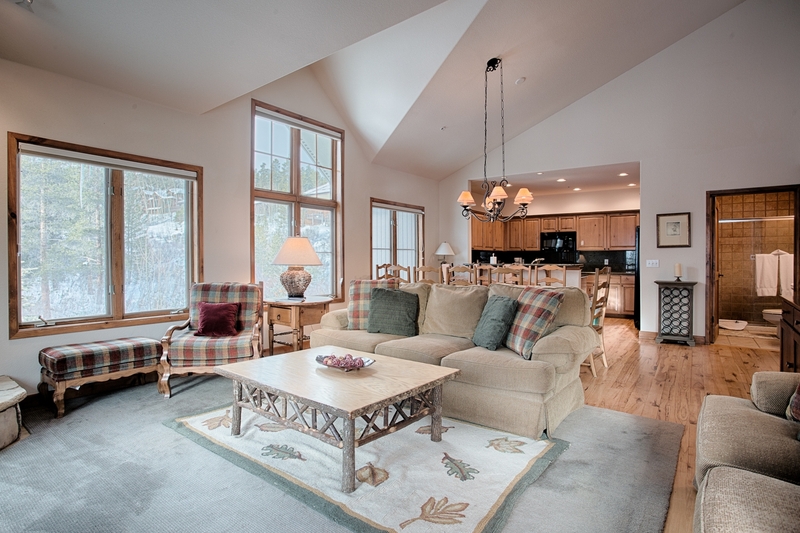 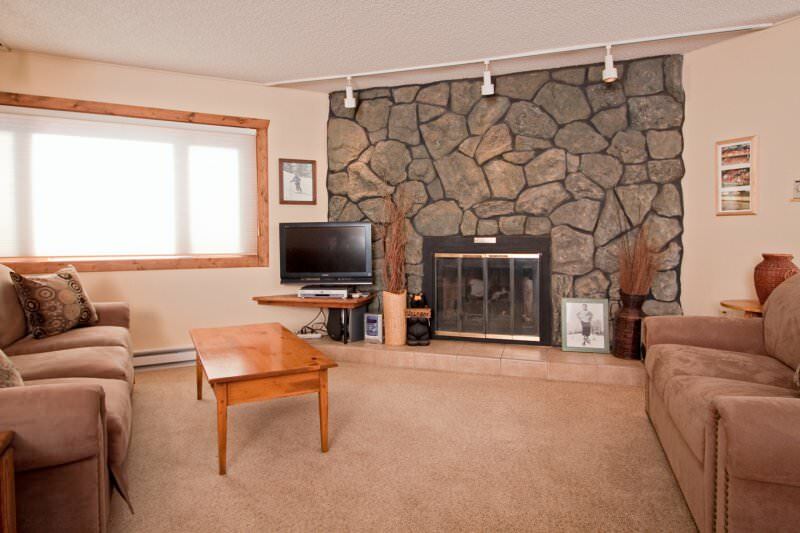 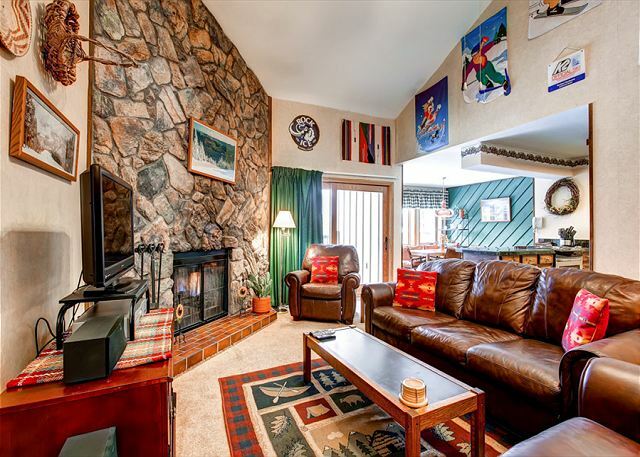 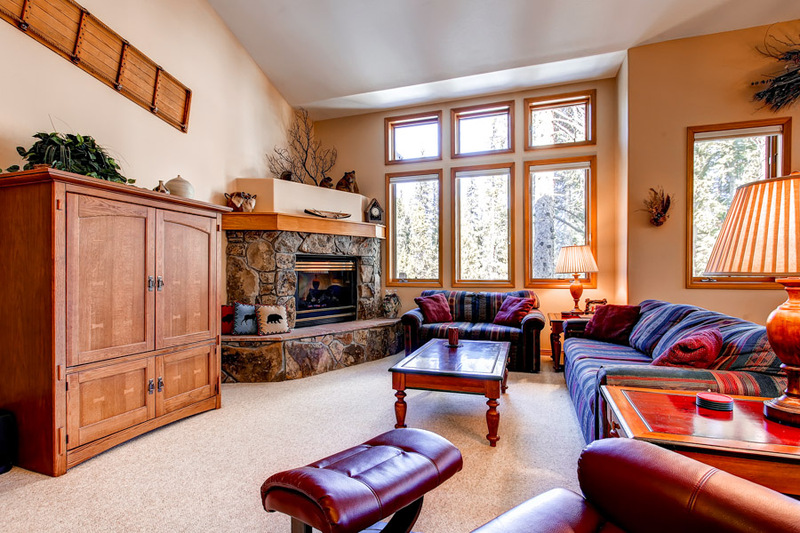 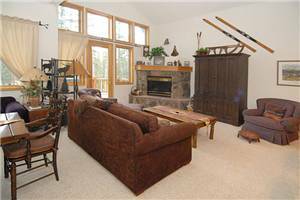 Vaulted ceilings make the living room feel even more open, and winter guests can watch skiers coming down the 4 O’Clock Ski Run from the living room balcony and windows. 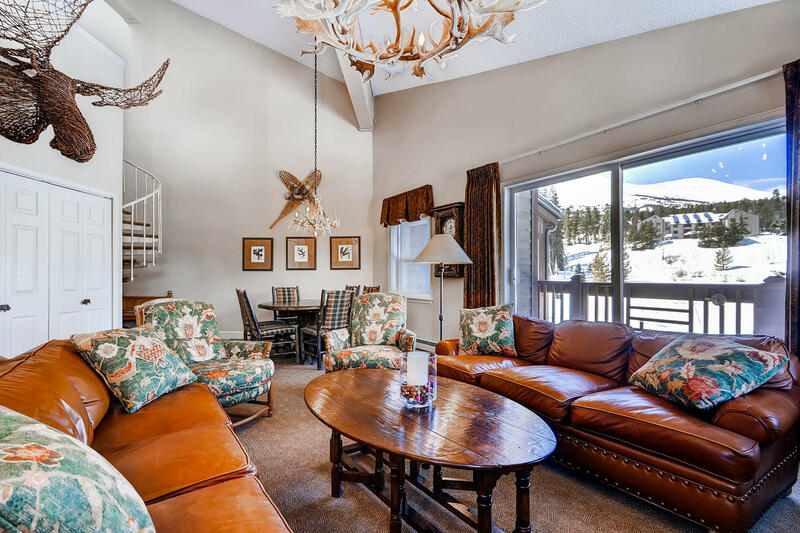 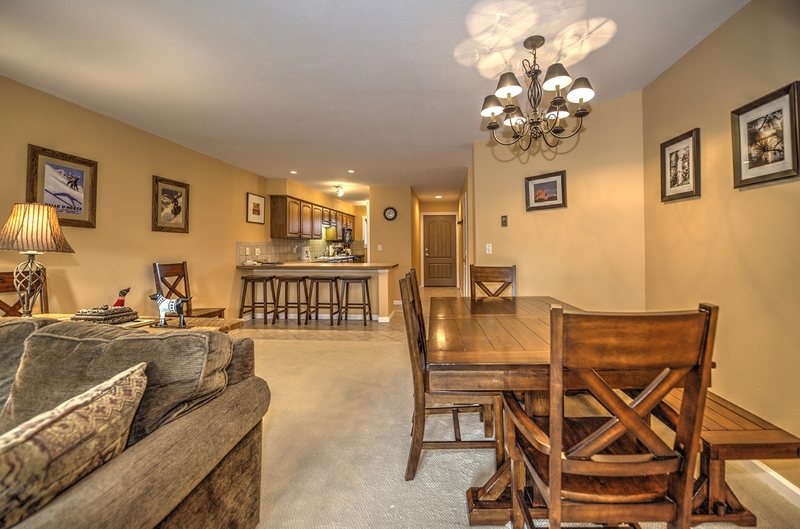 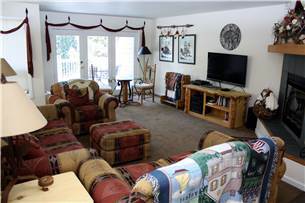 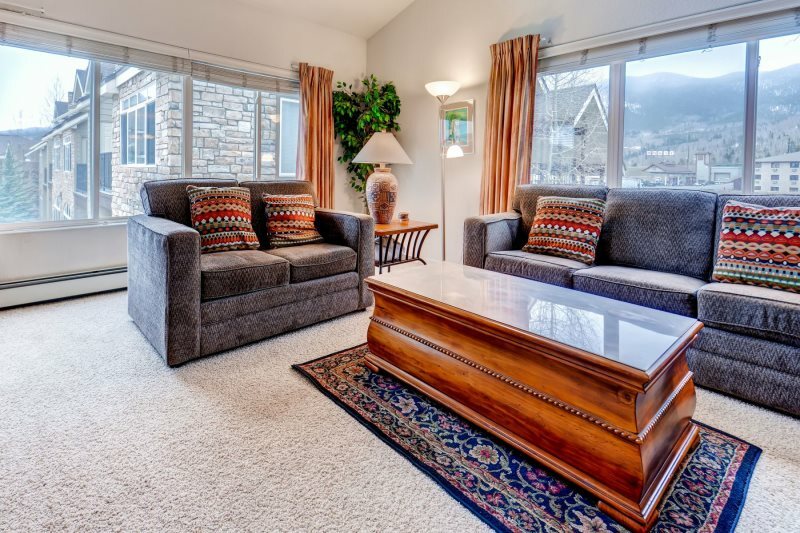 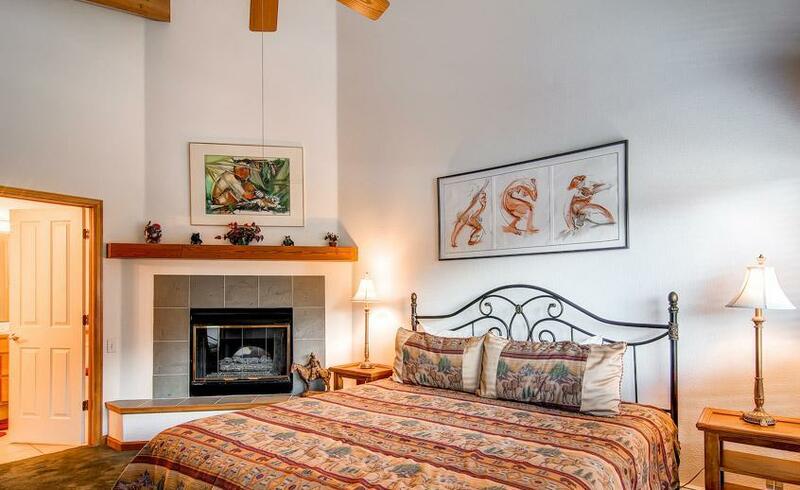 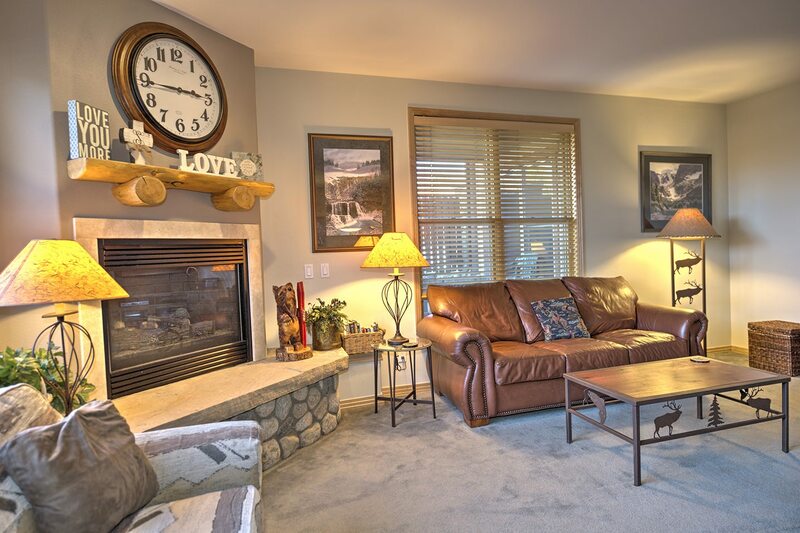 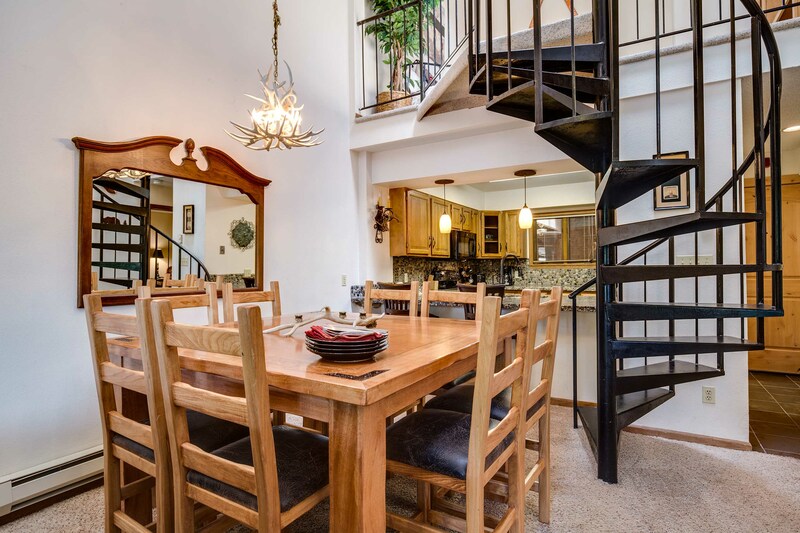 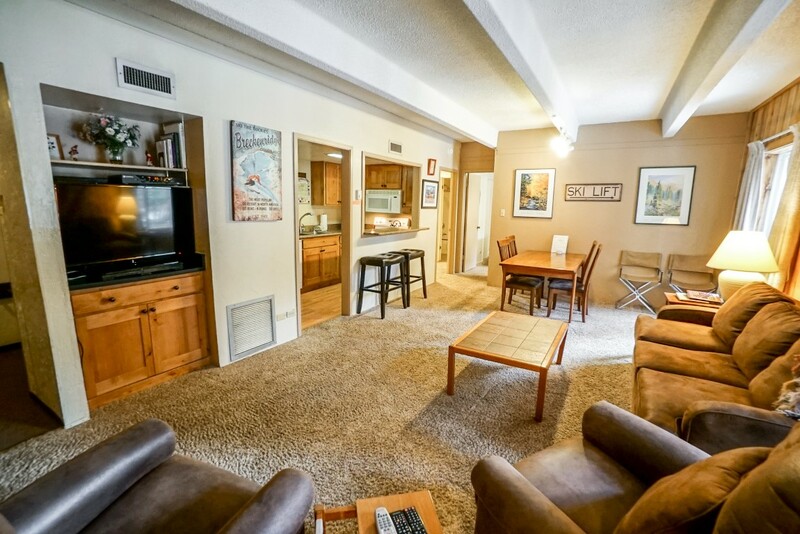 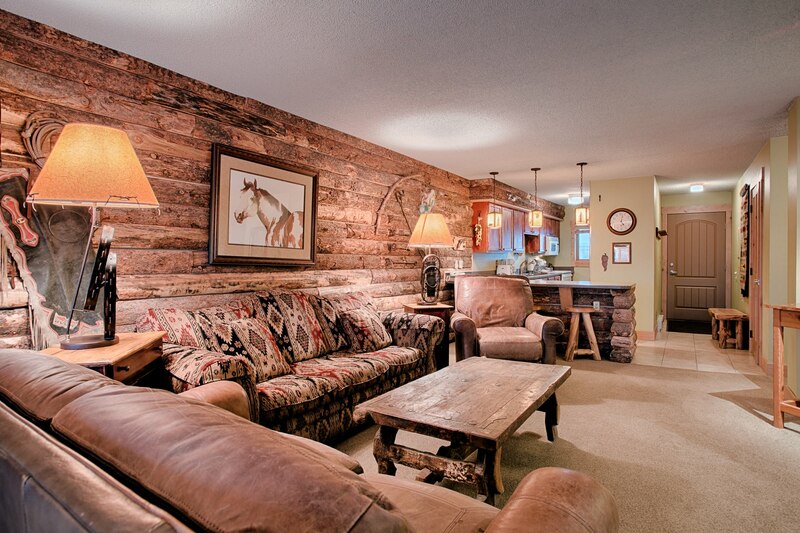 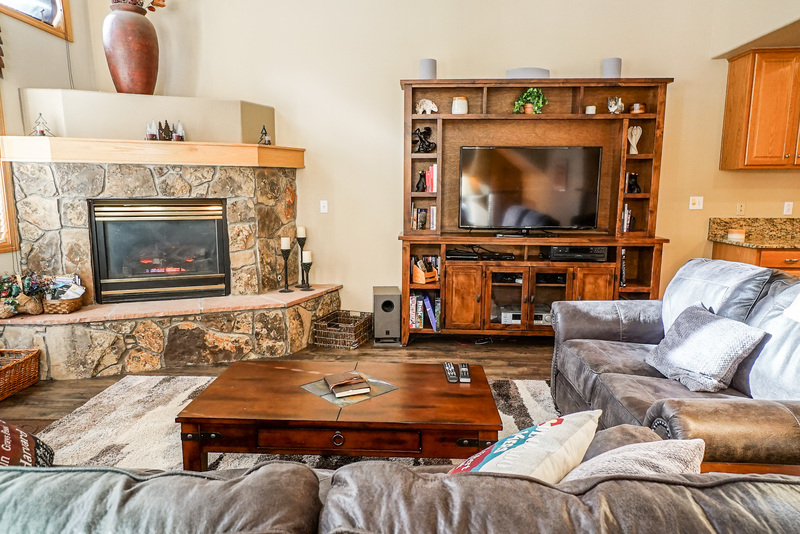 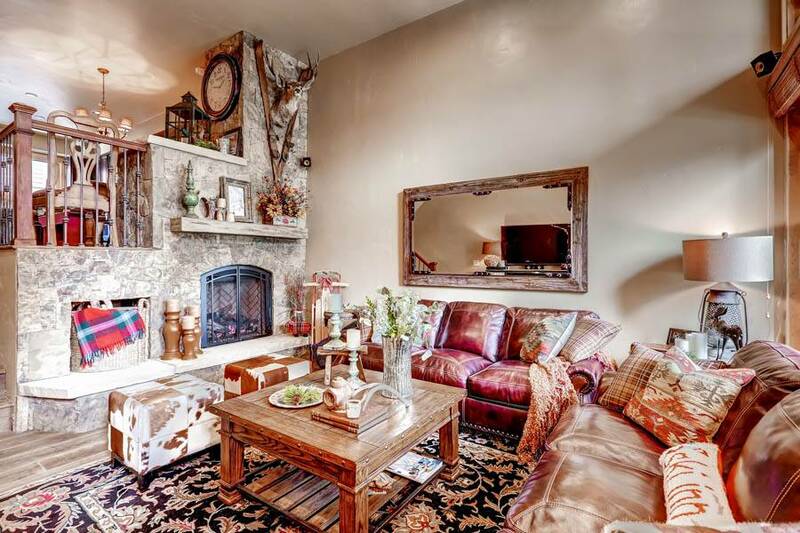 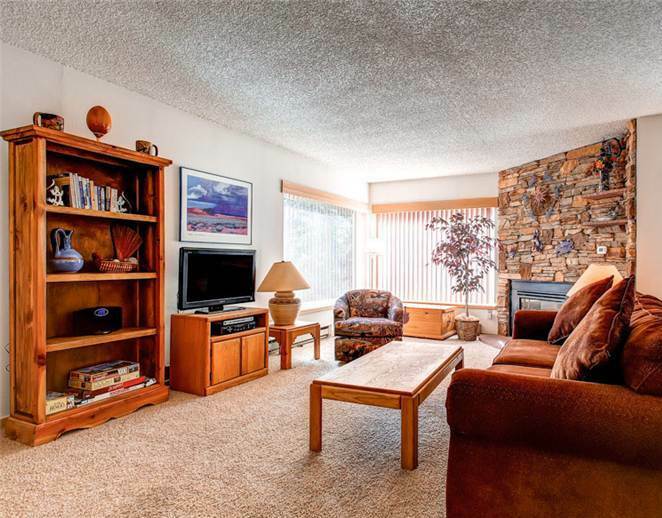 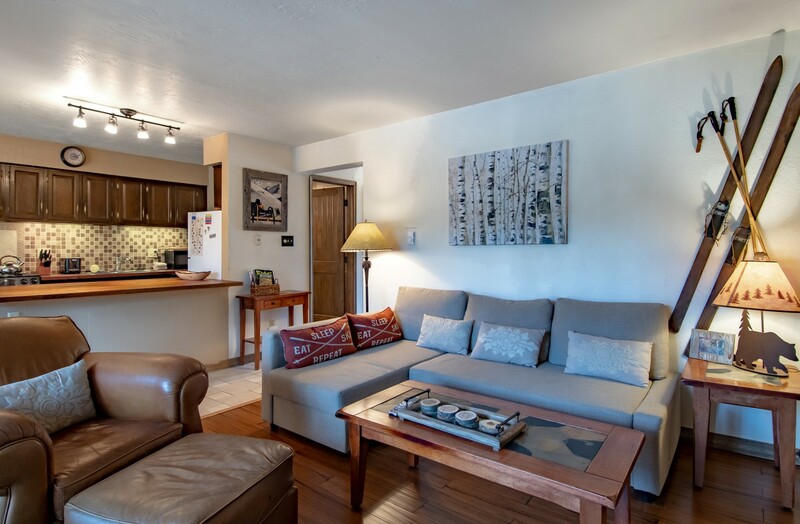 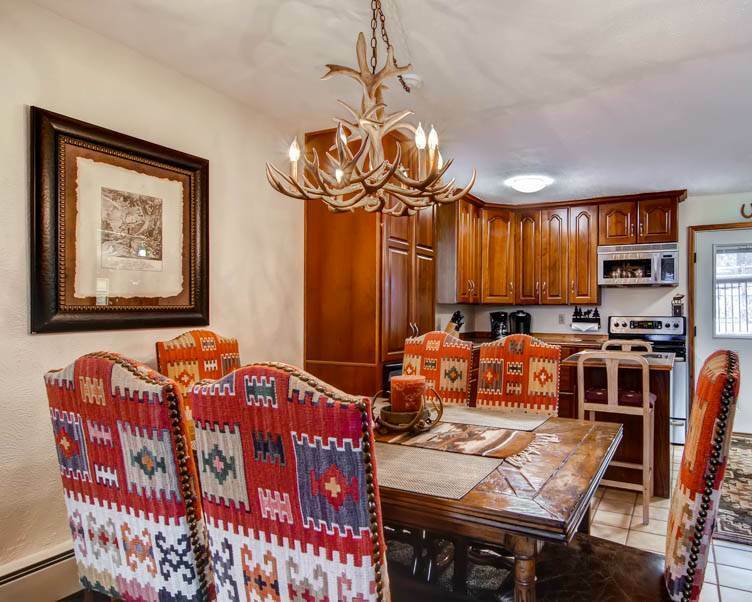 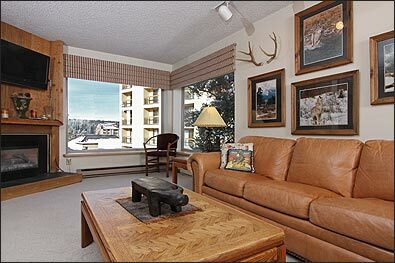 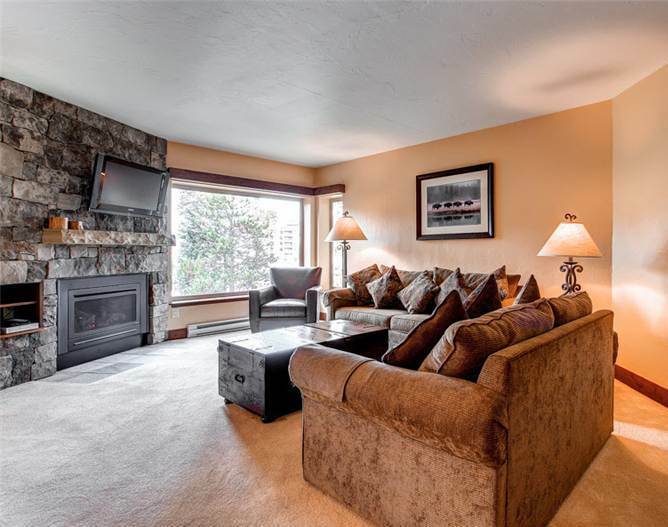 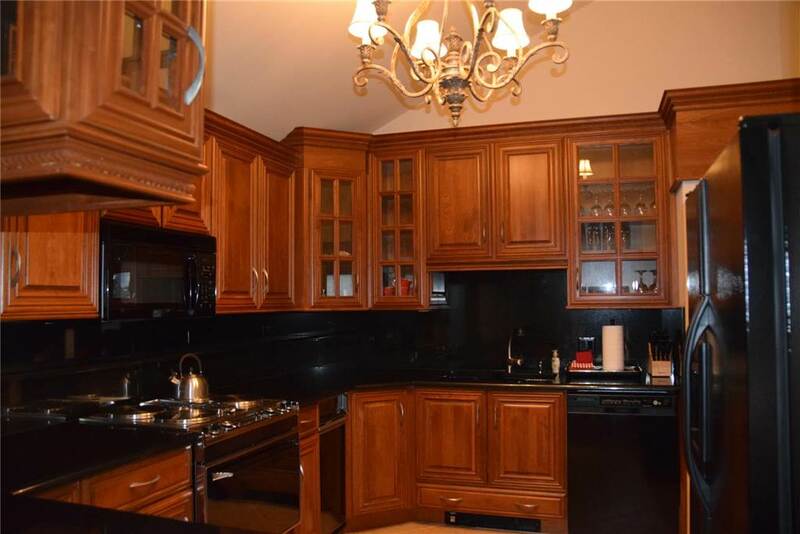 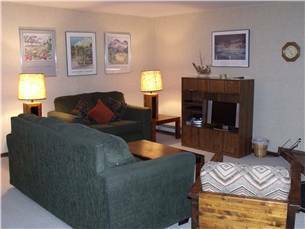 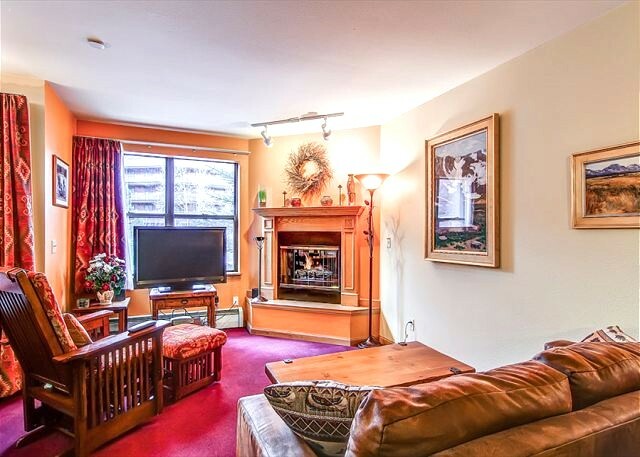 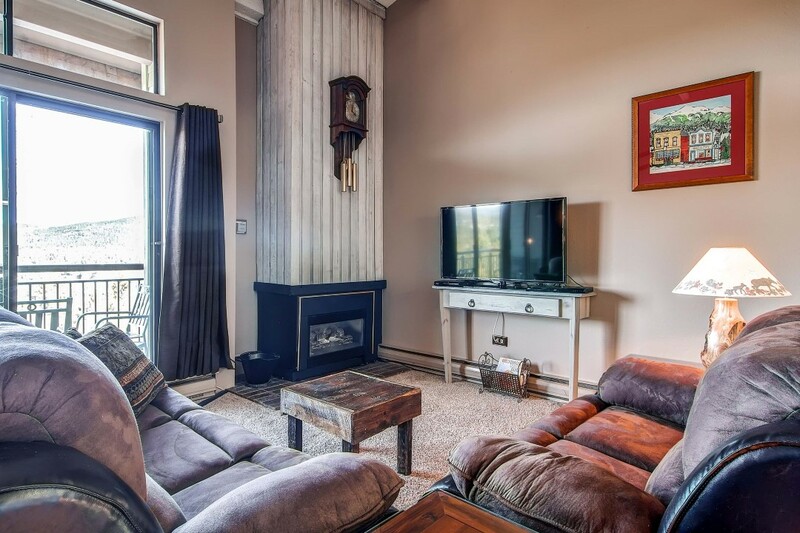 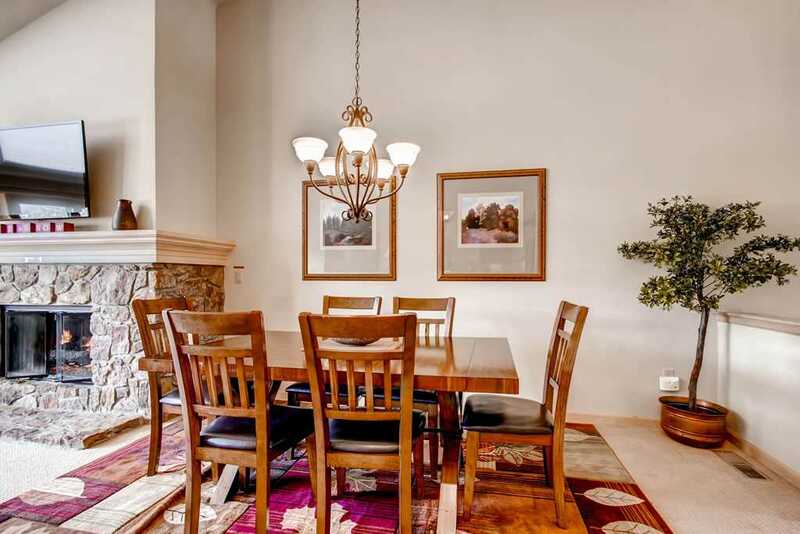 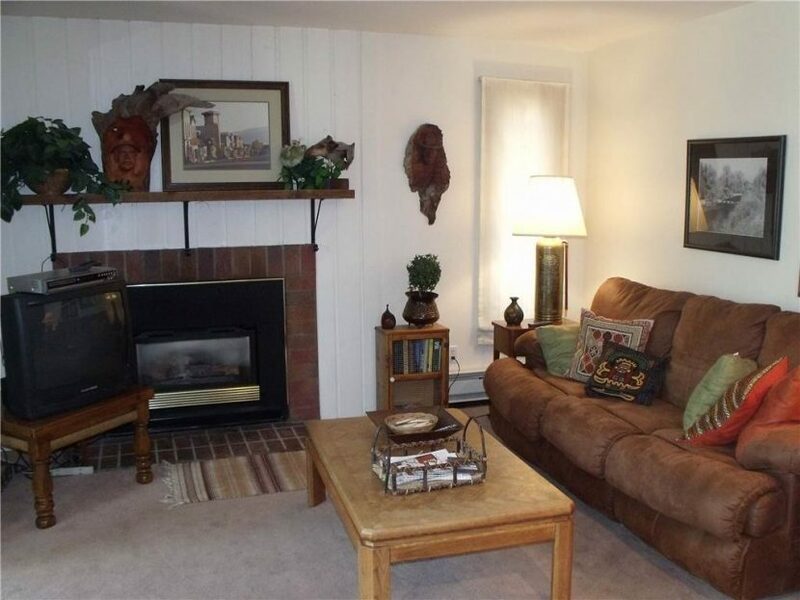 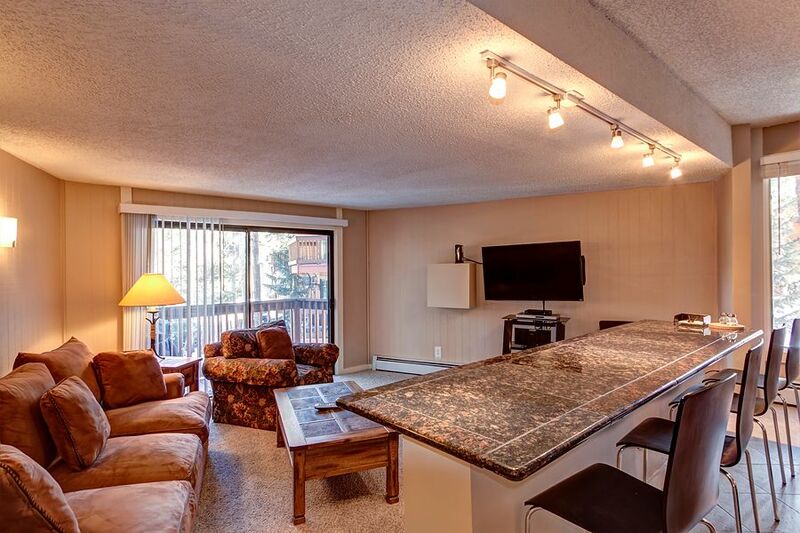 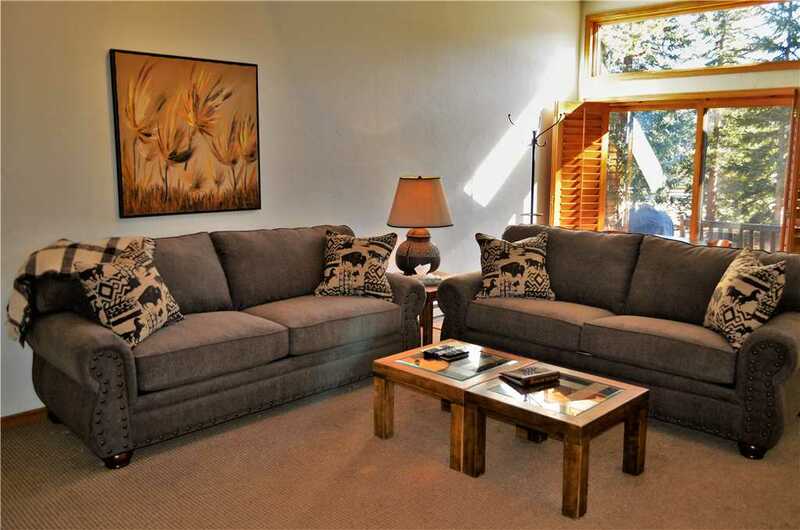 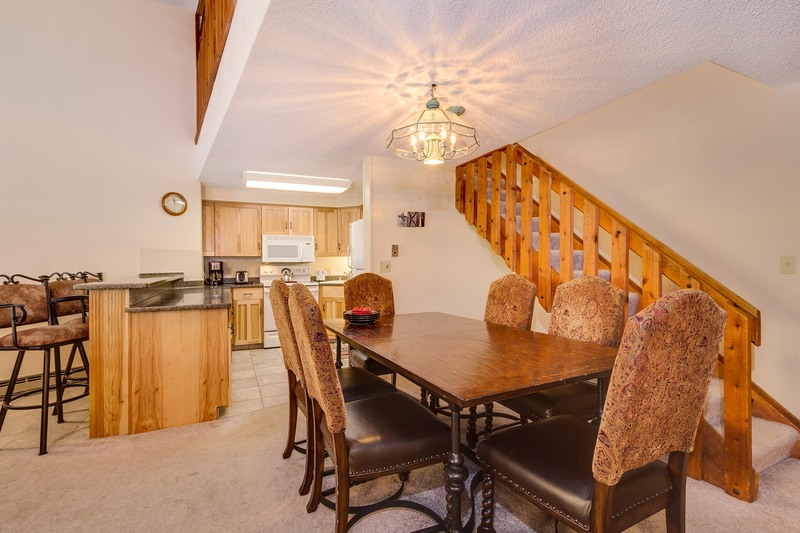 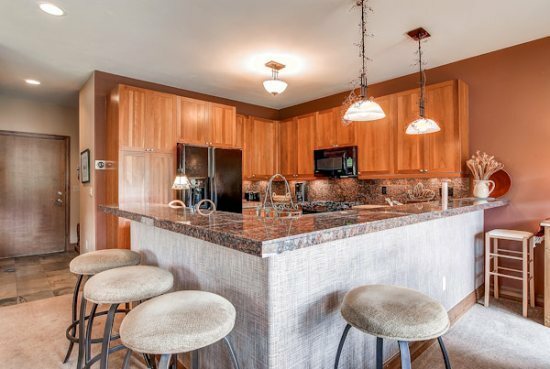 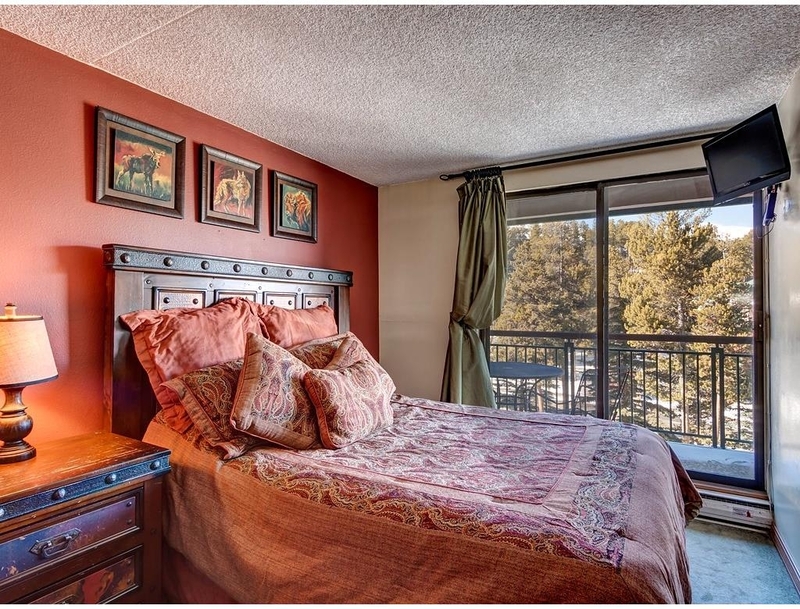 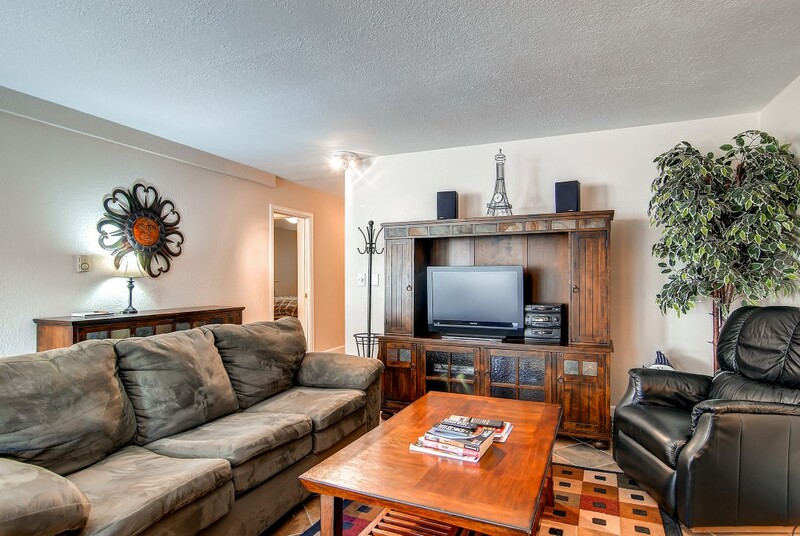 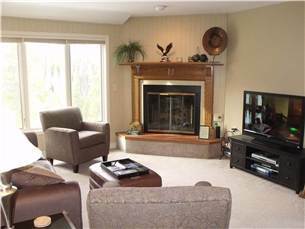 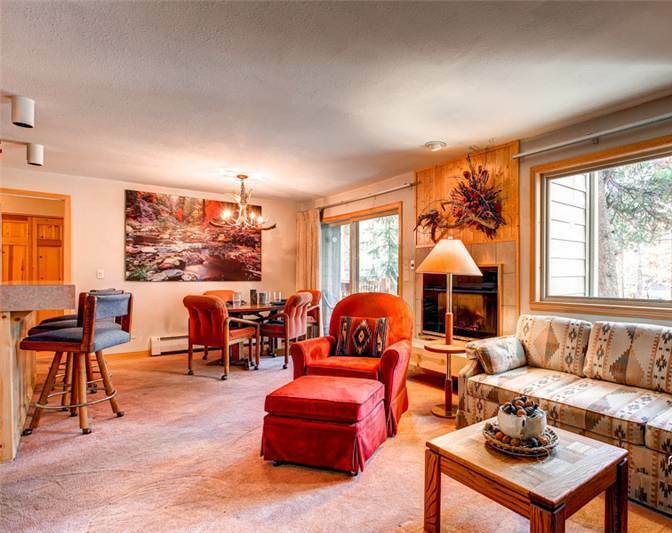 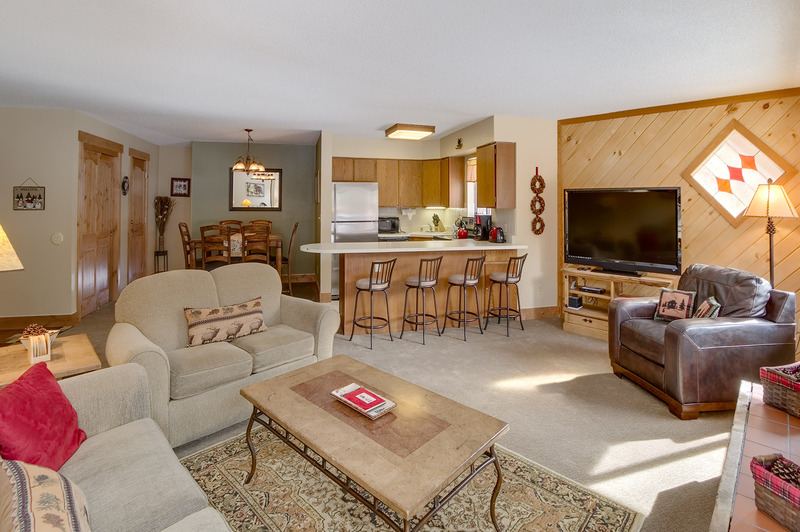 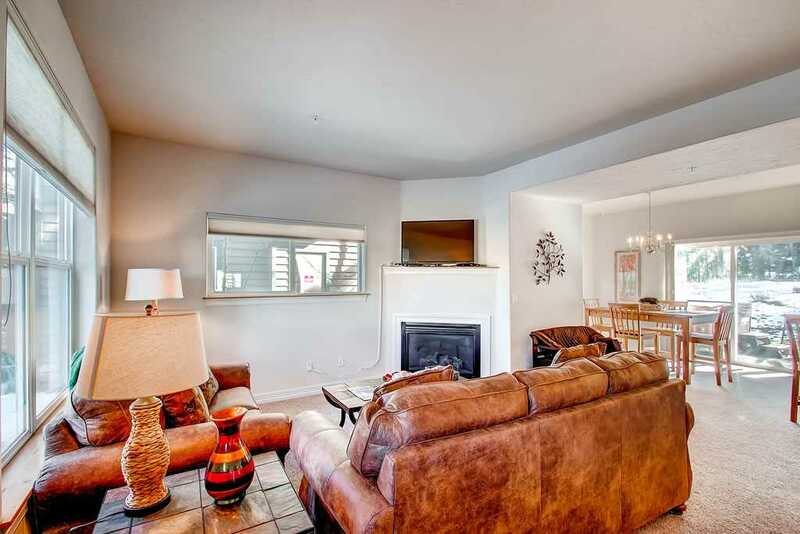 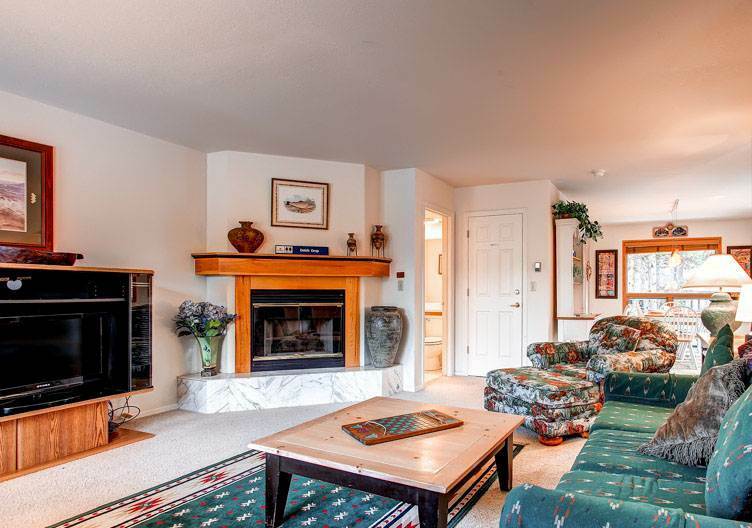 The condominium is well-coordinated throughout, with leather sofas and many charming decorations and accessories including fantastic Indian headdresses and animal prints. 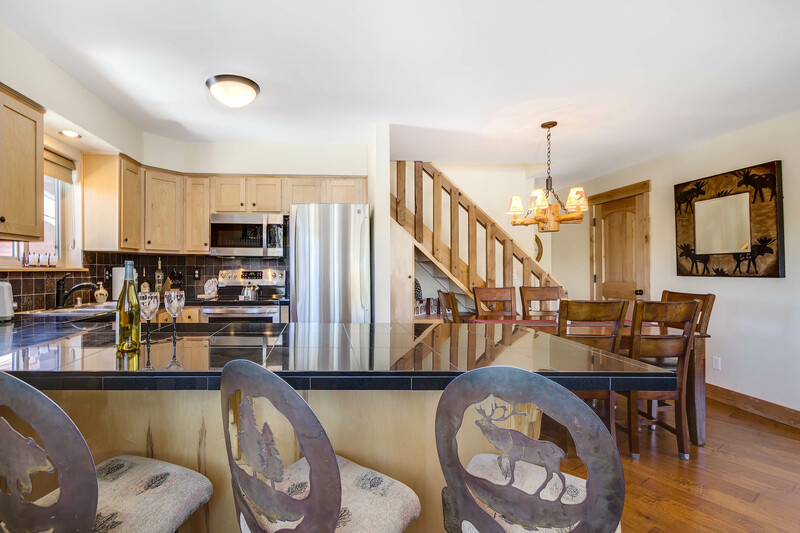 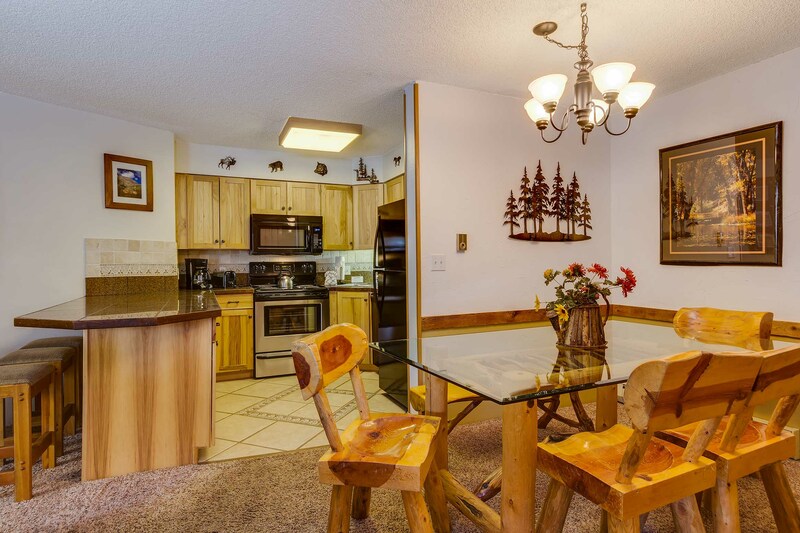 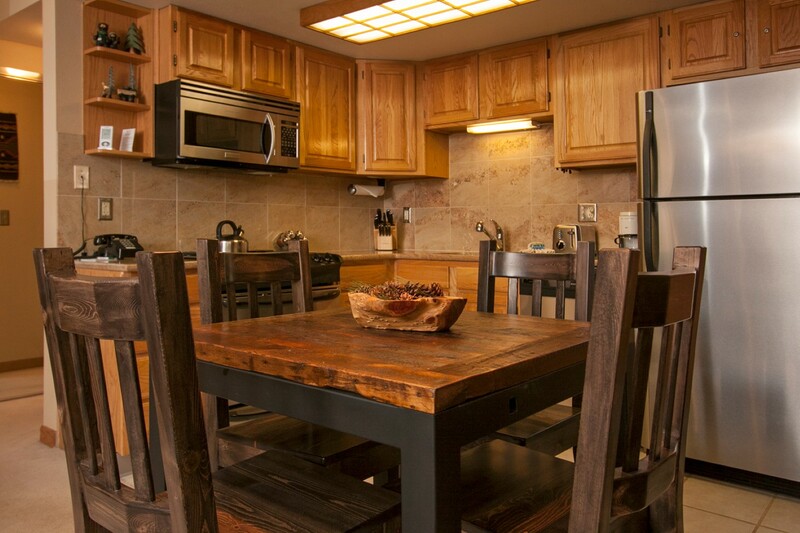 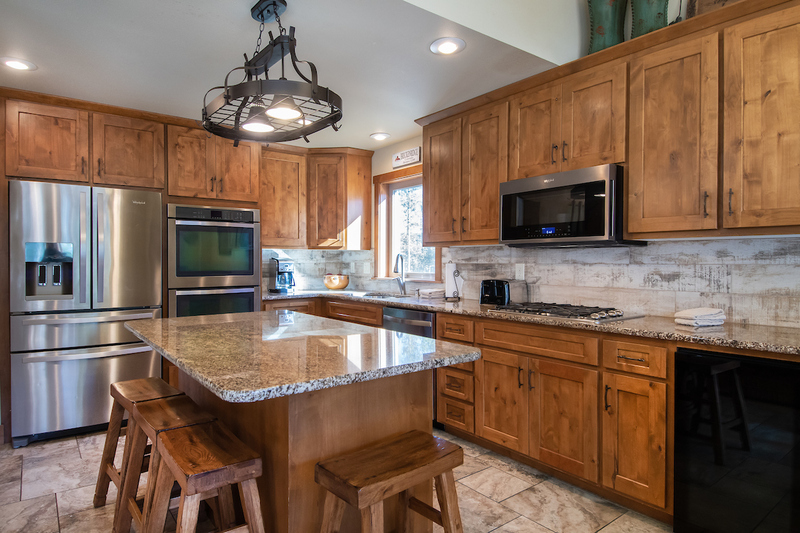 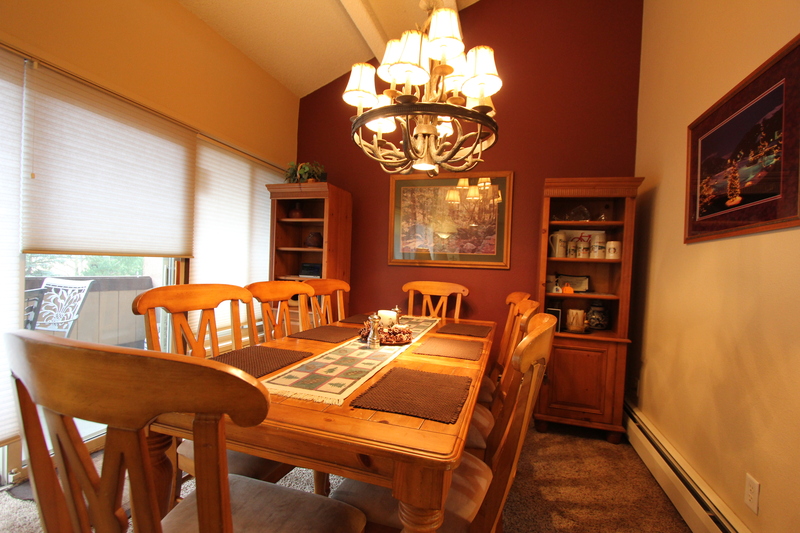 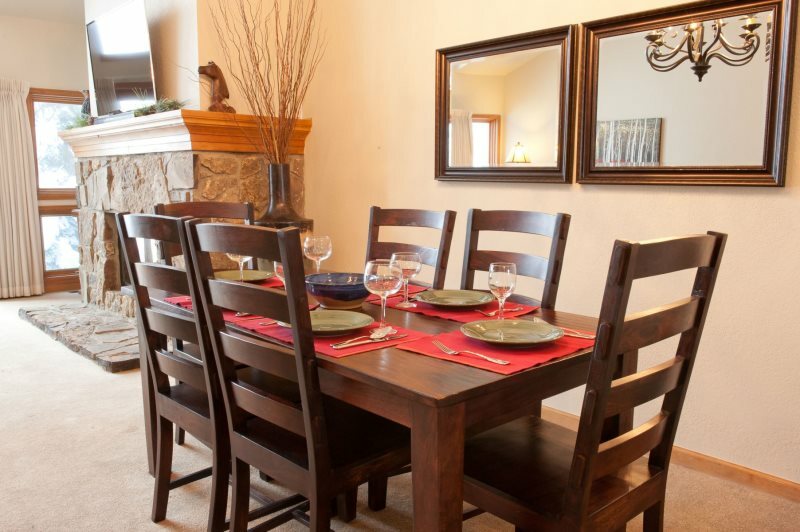 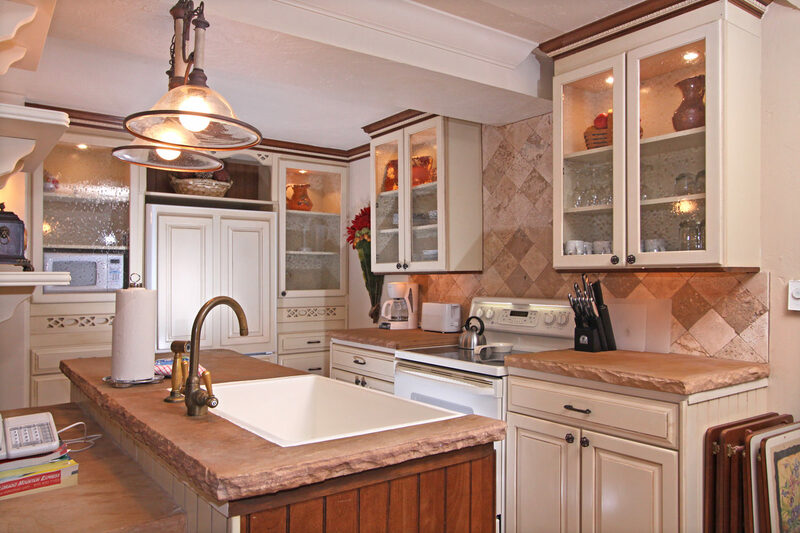 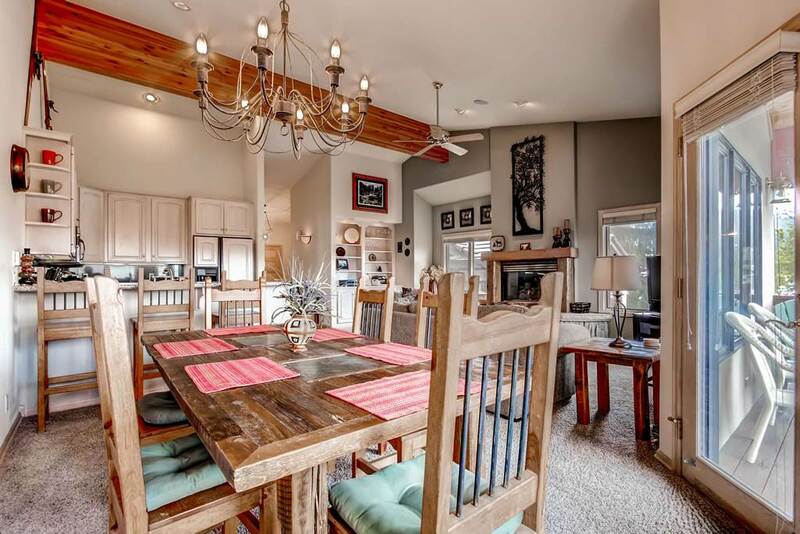 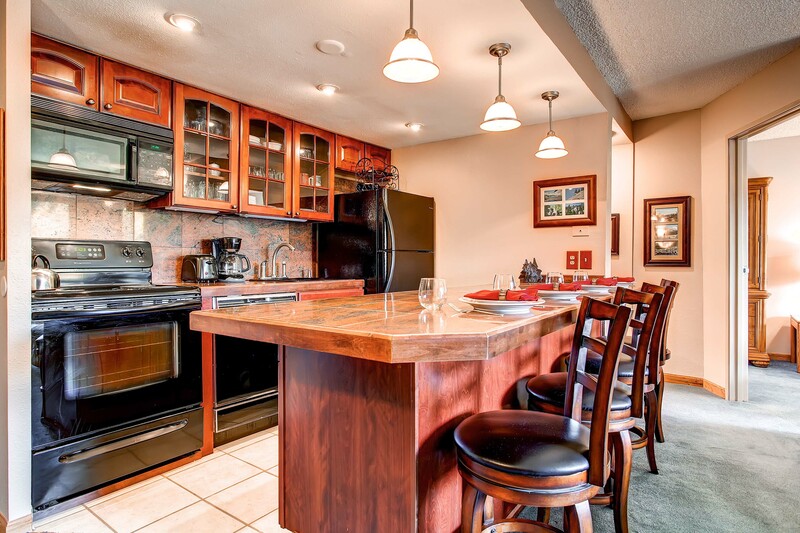 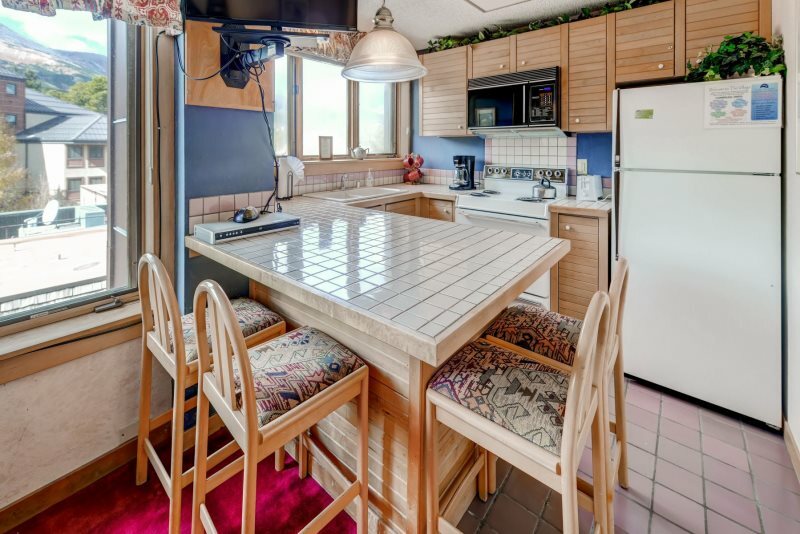 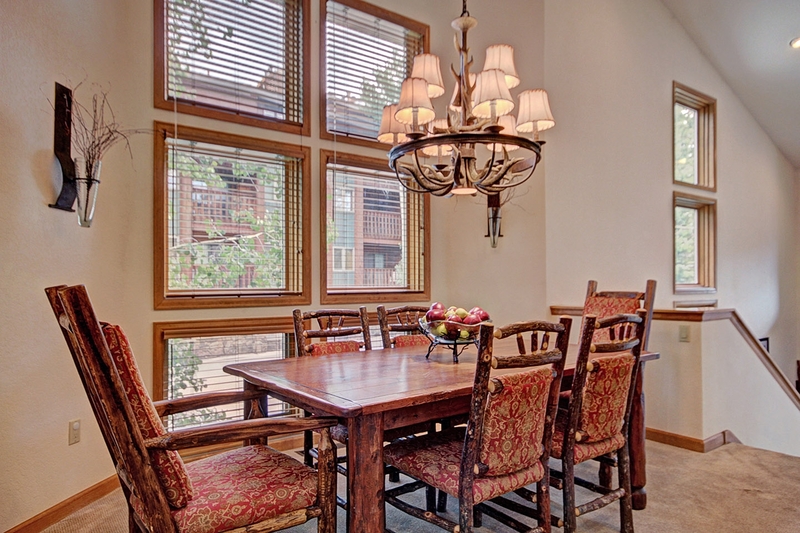 It’s easy to dine in with a sturdy dining set for 6 people, additional seating for 4 at the breakfast bar plus a smaller table that sits 3. 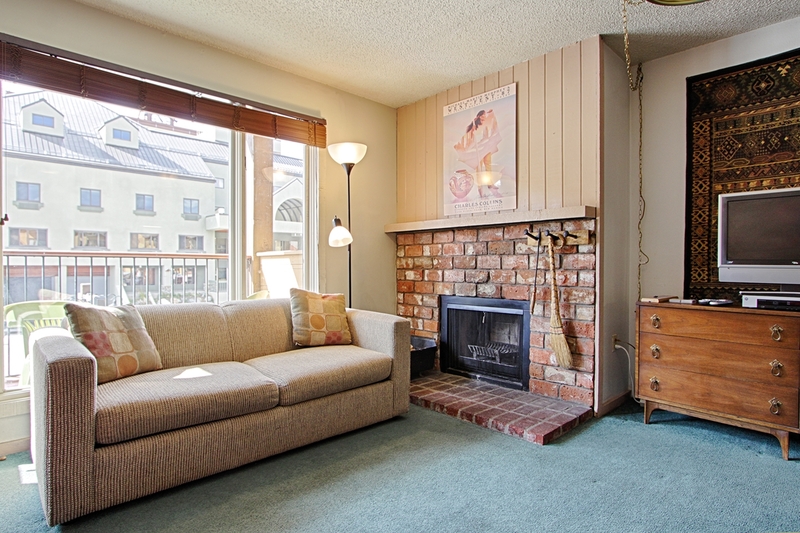 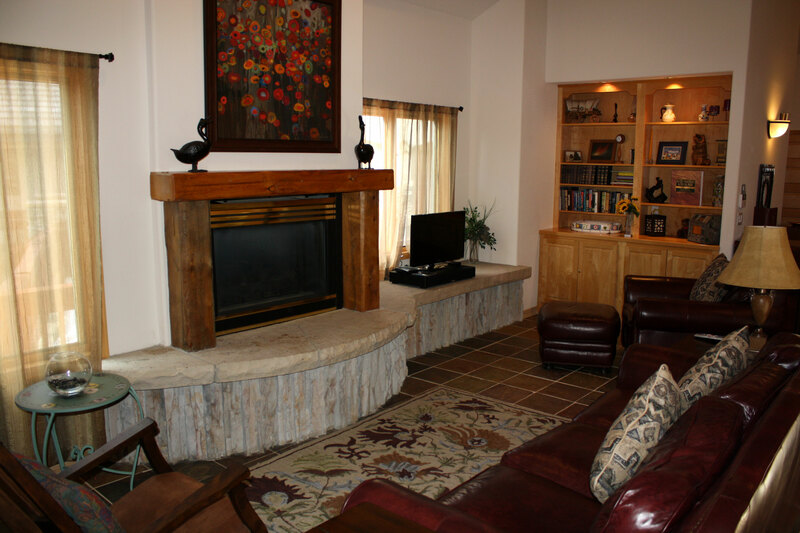 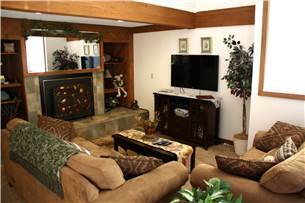 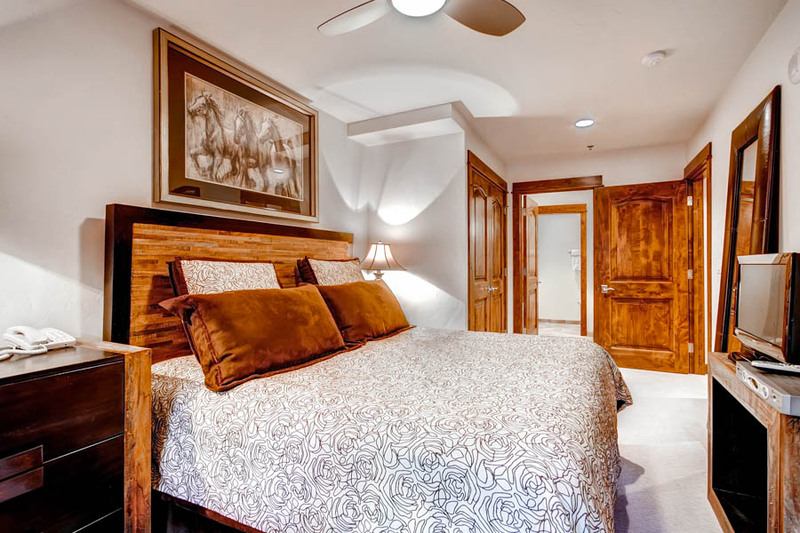 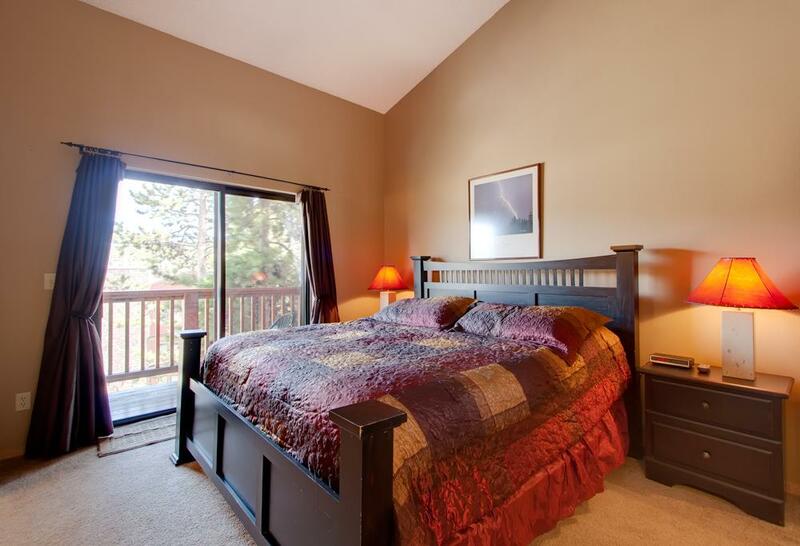 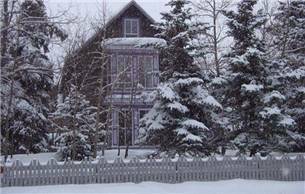 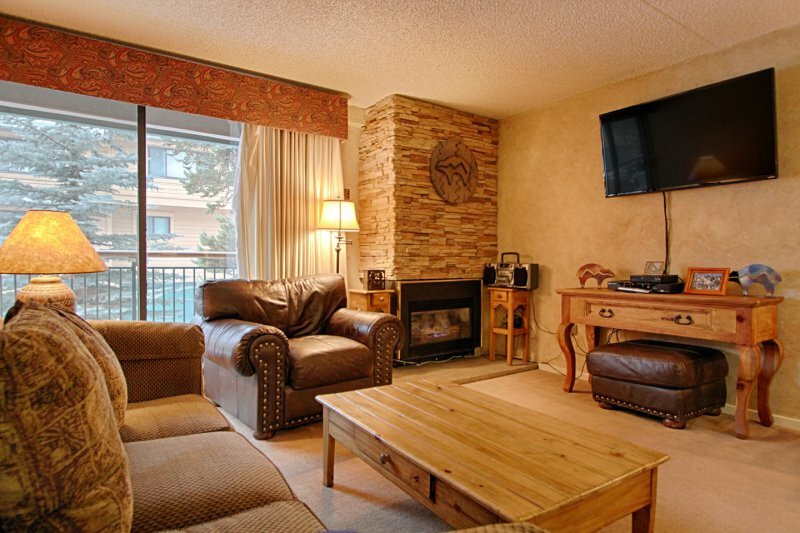 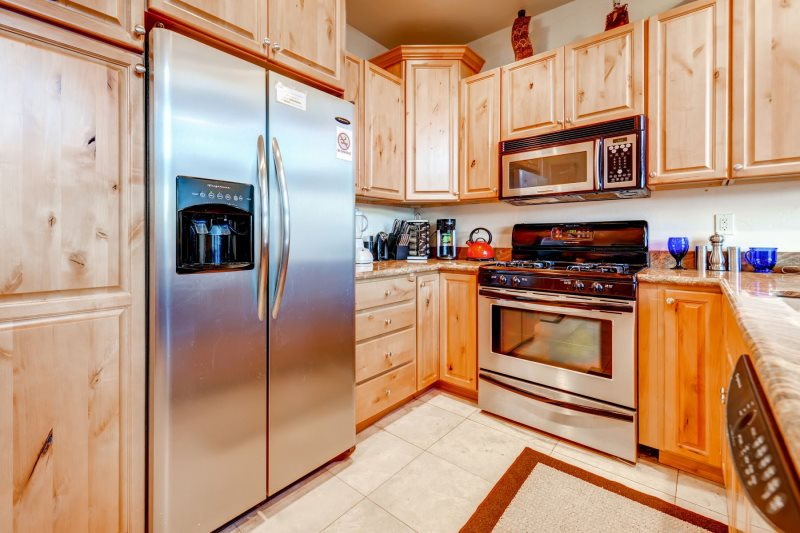 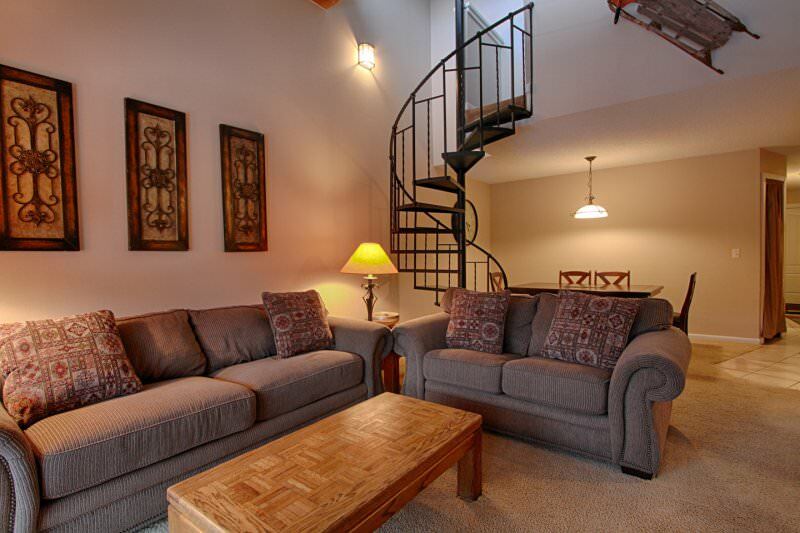 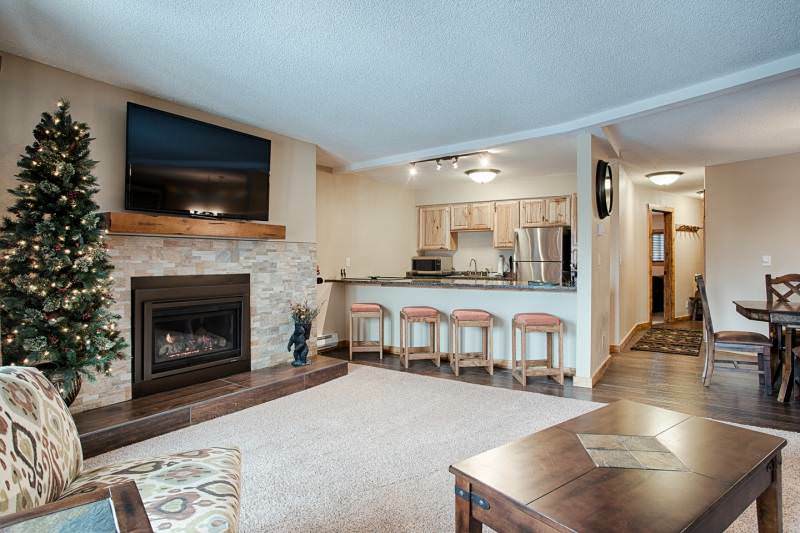 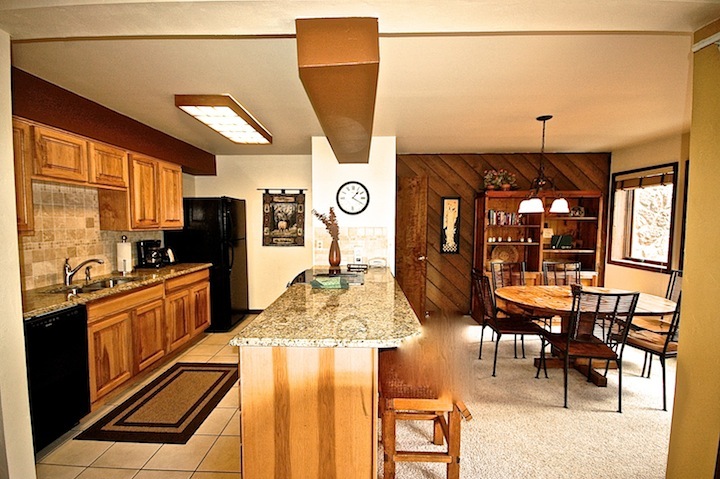 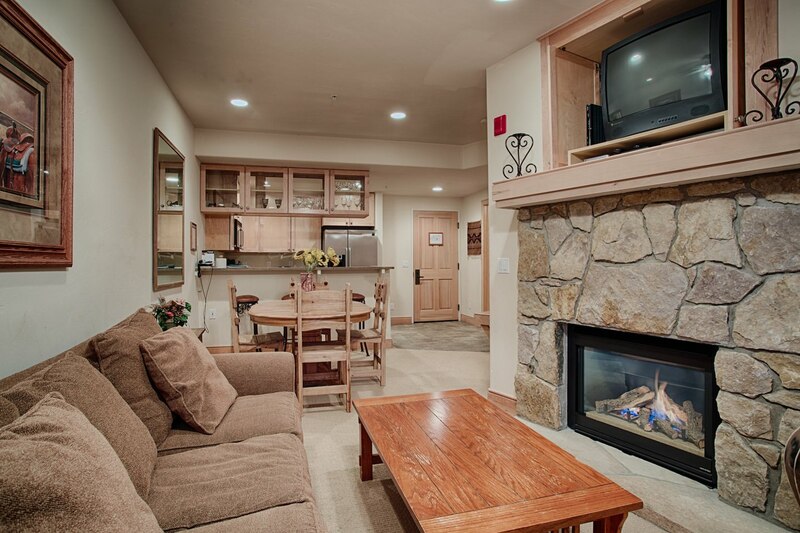 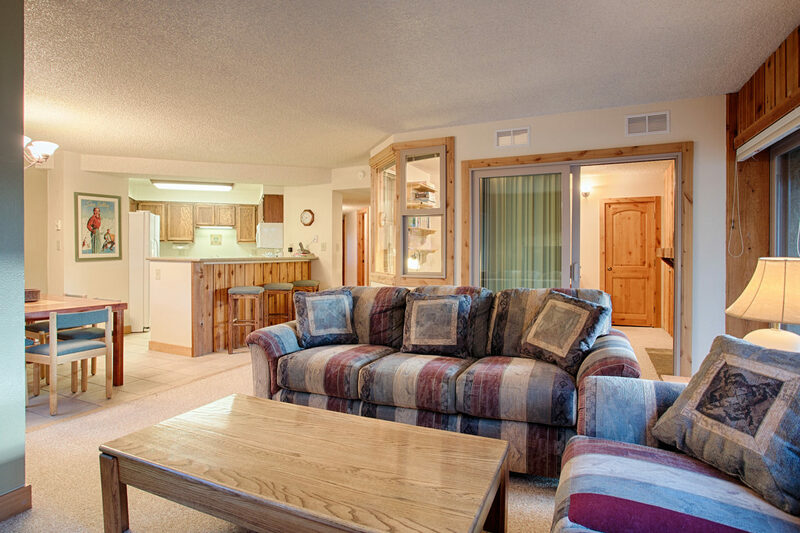 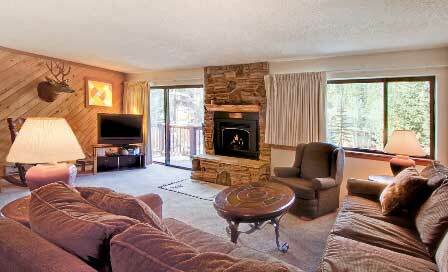 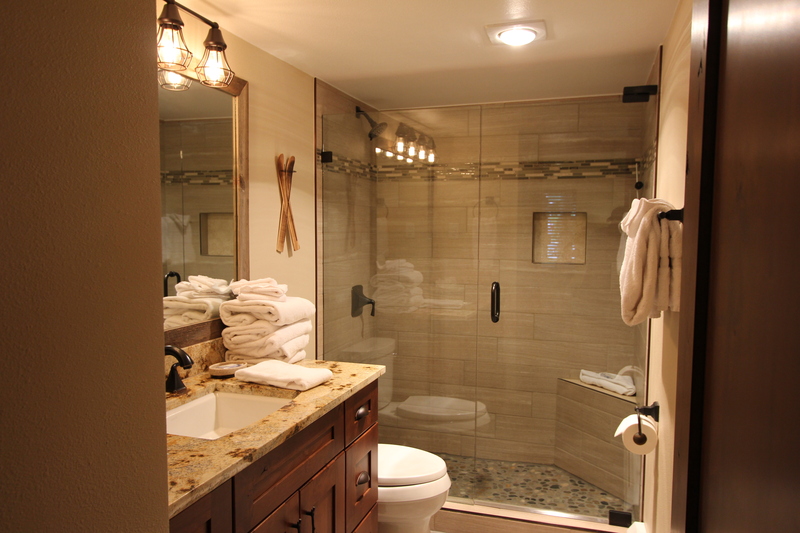 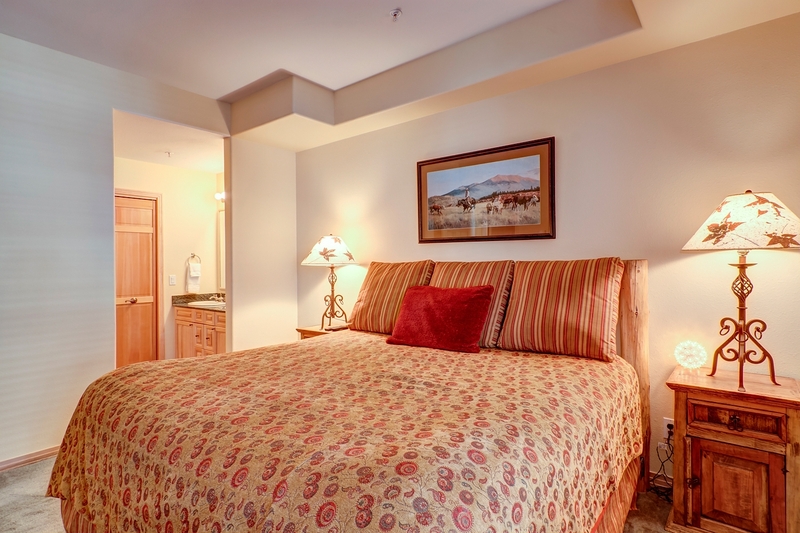 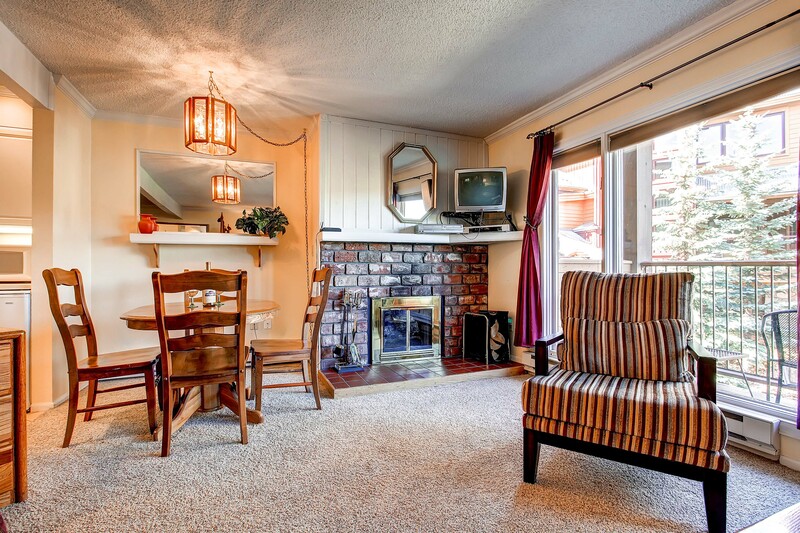 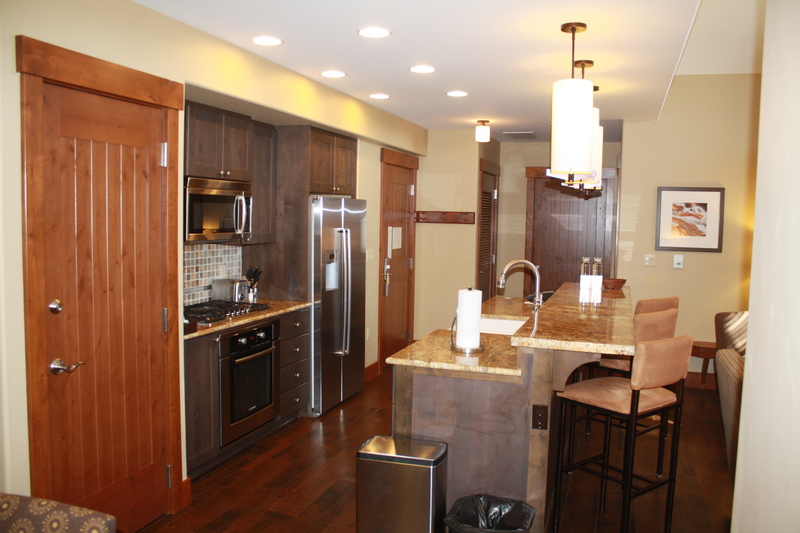 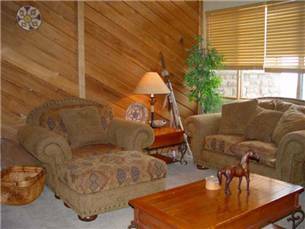 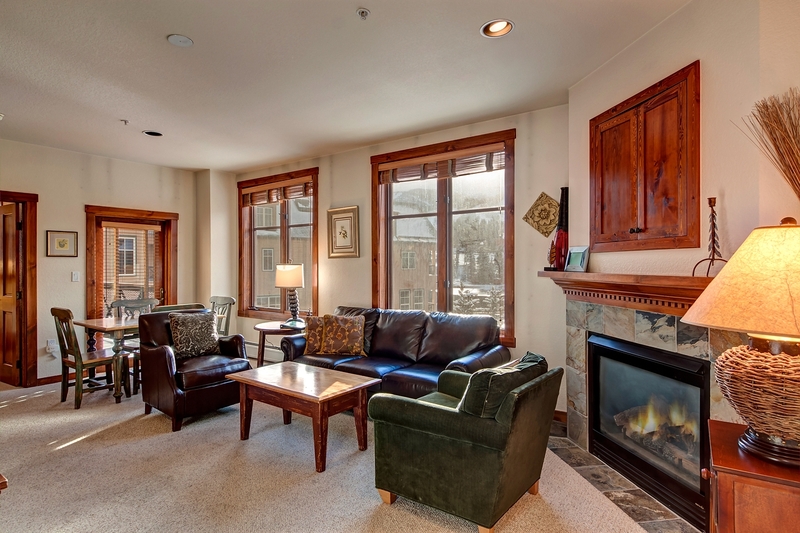 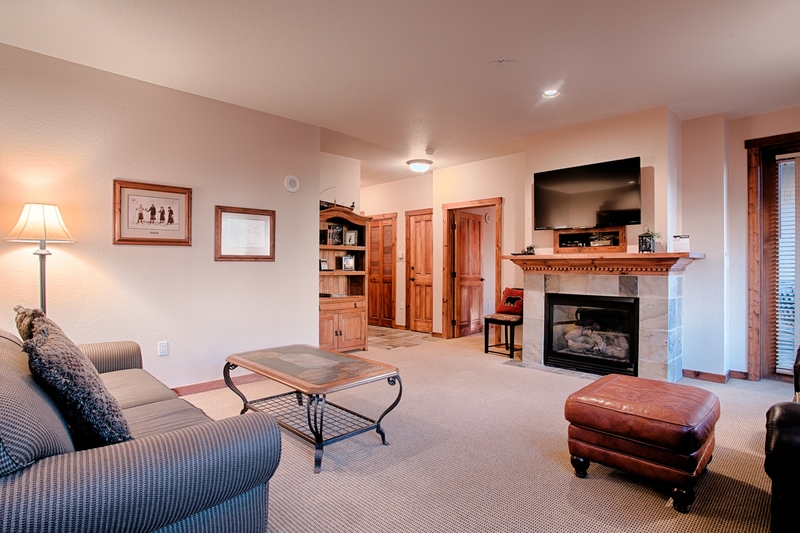 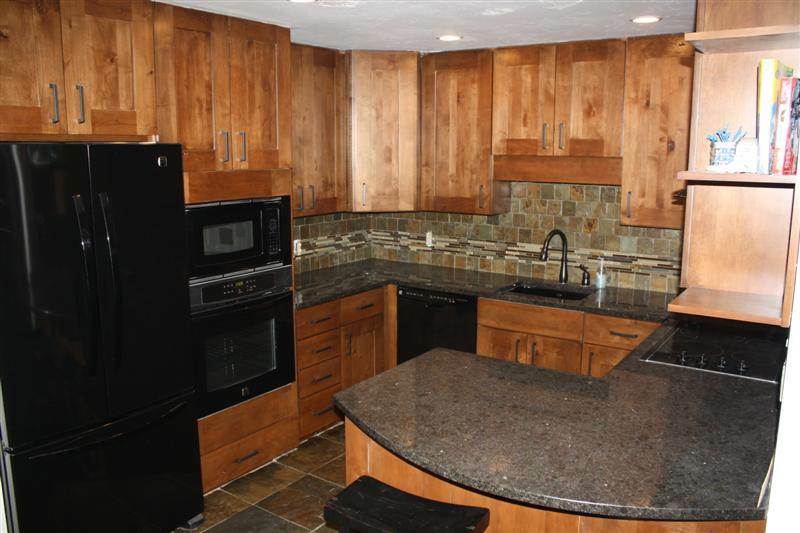 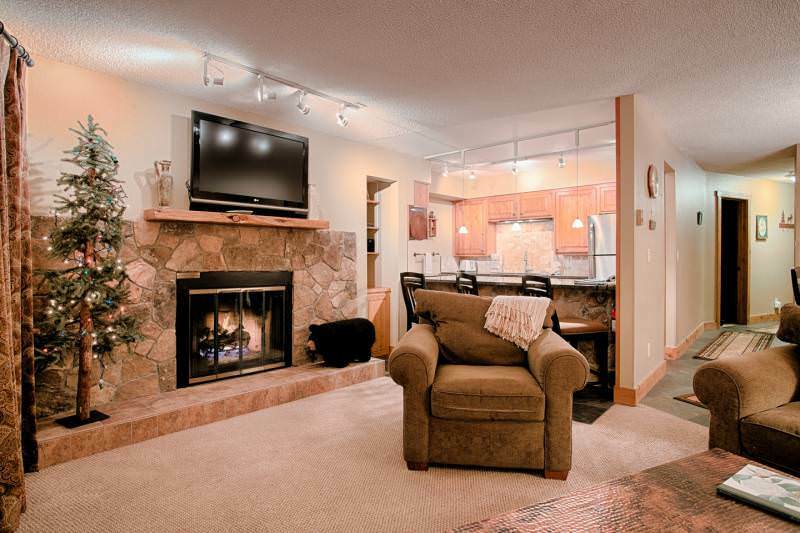 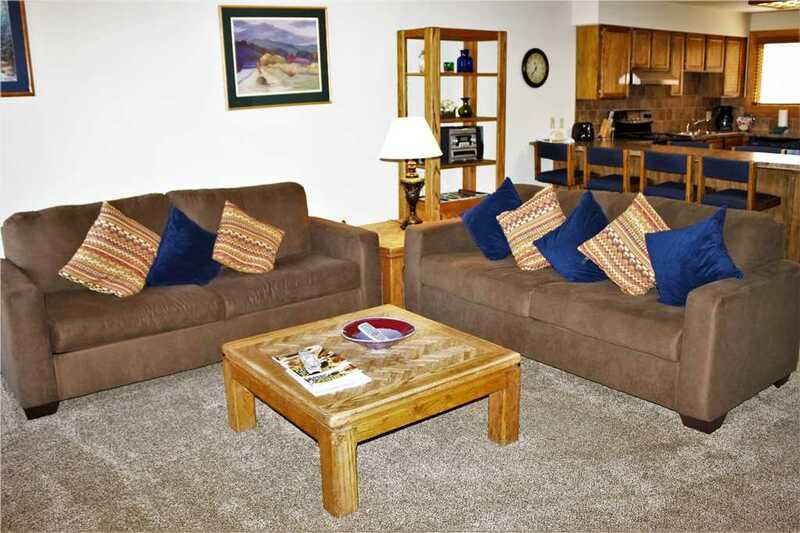 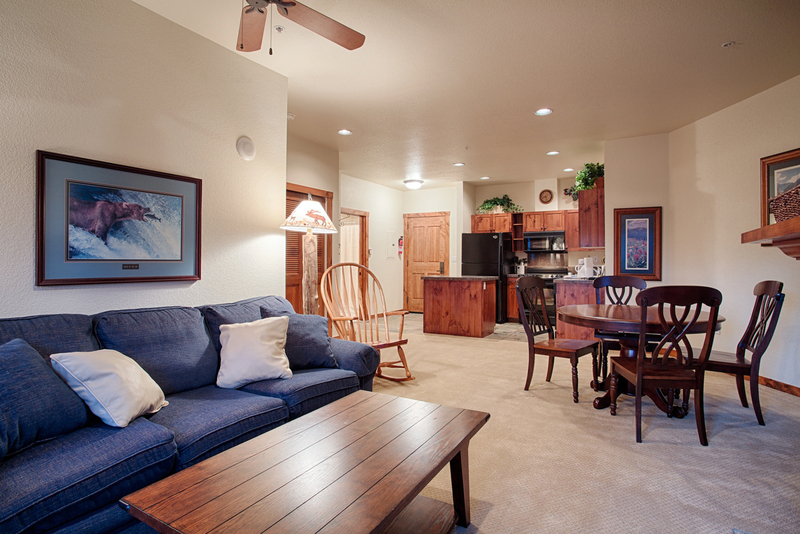 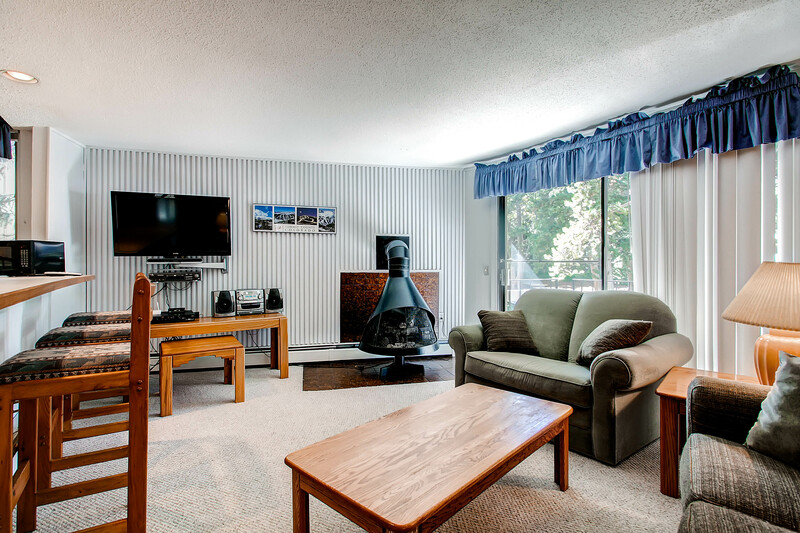 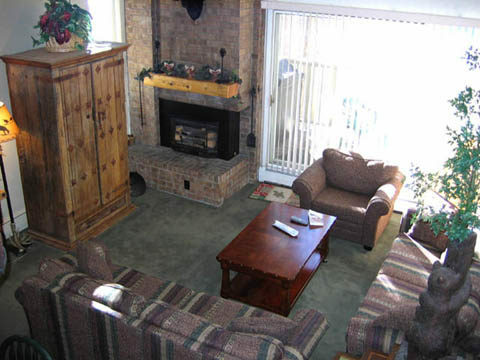 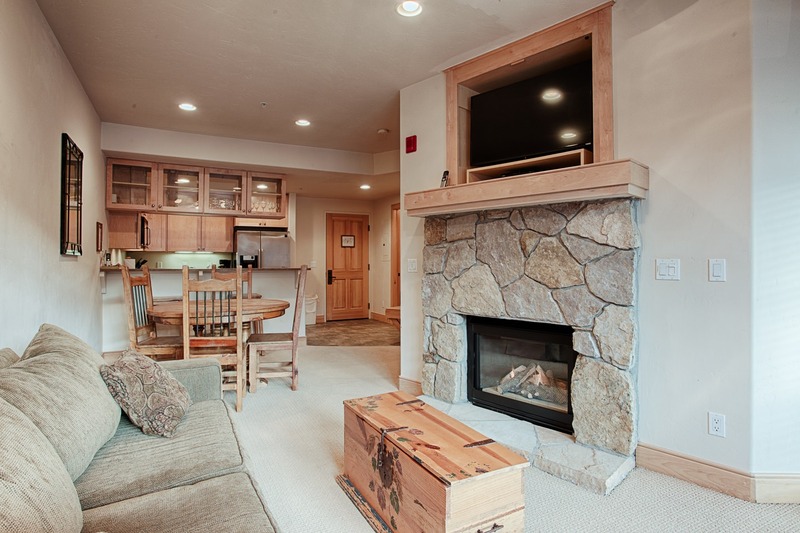 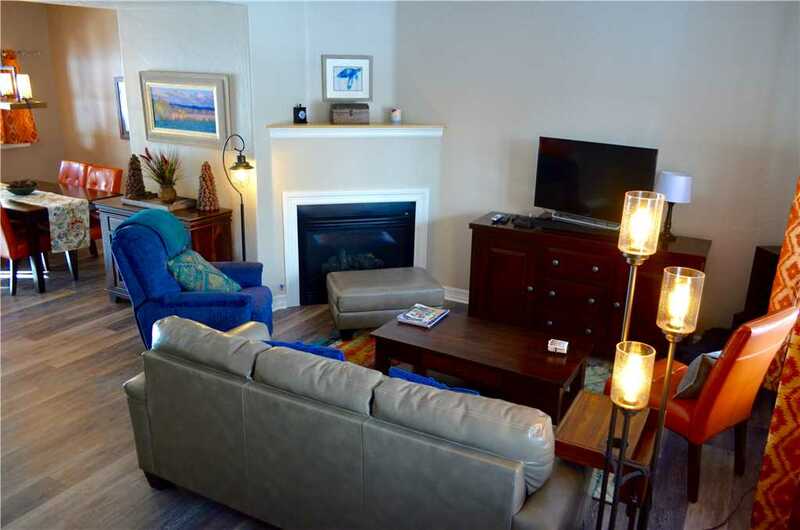 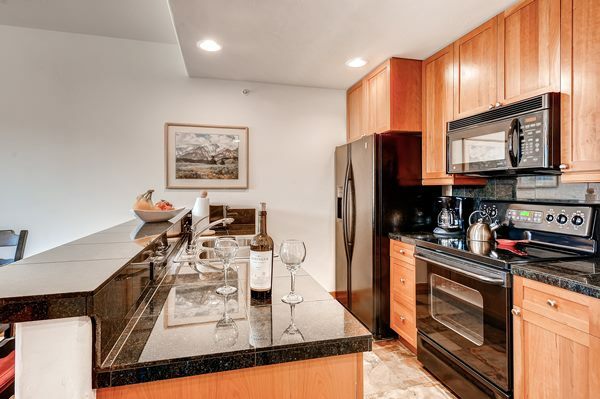 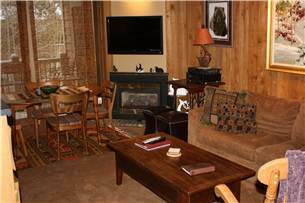 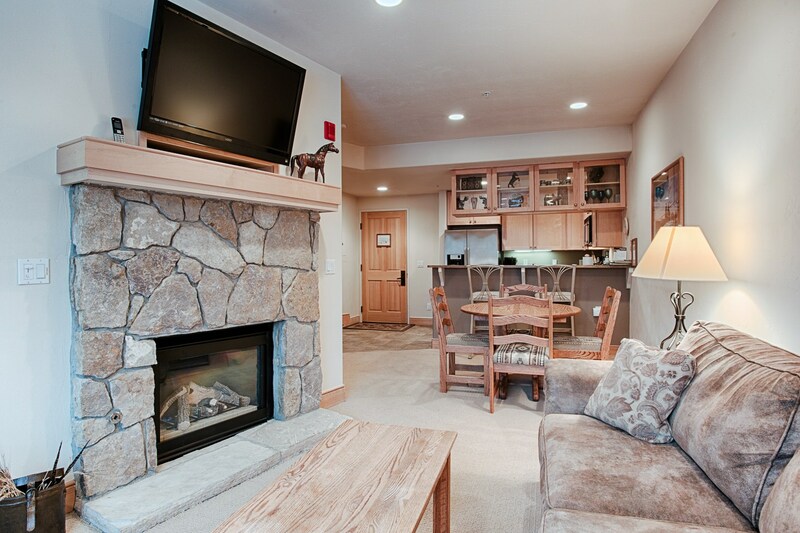 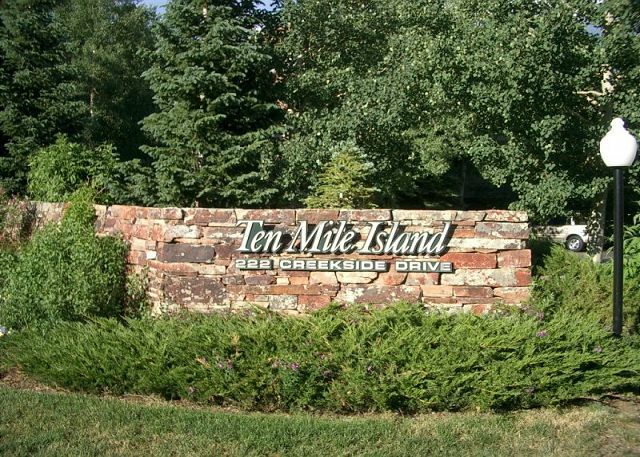 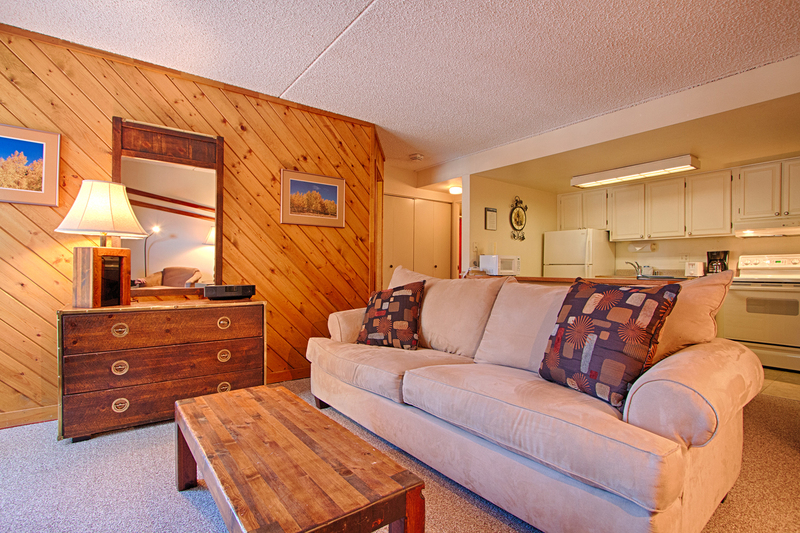 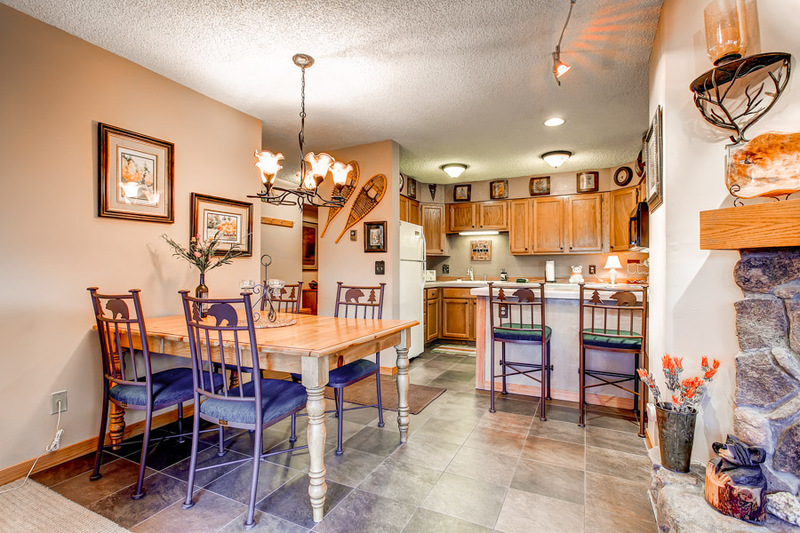 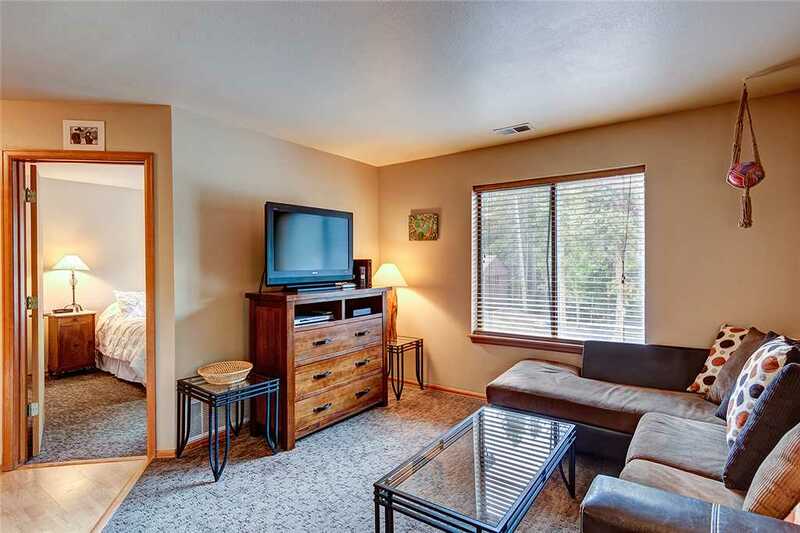 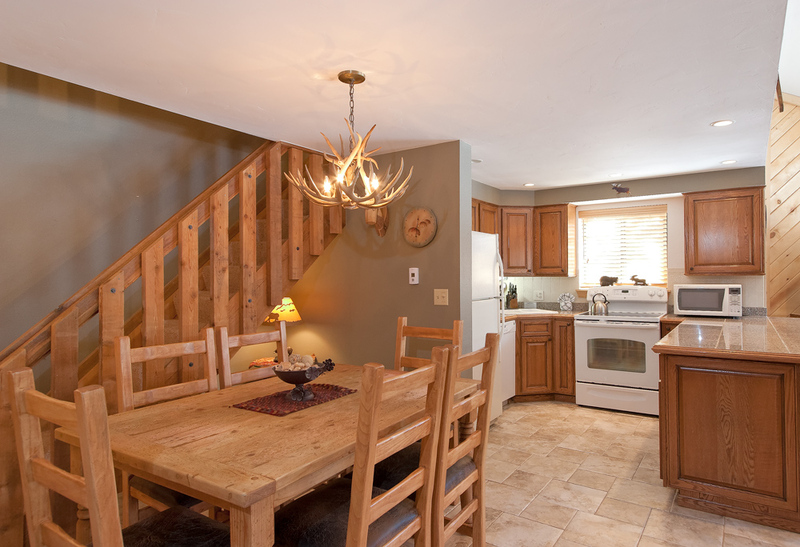 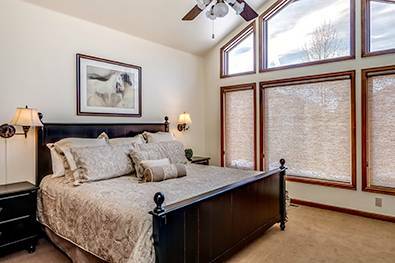 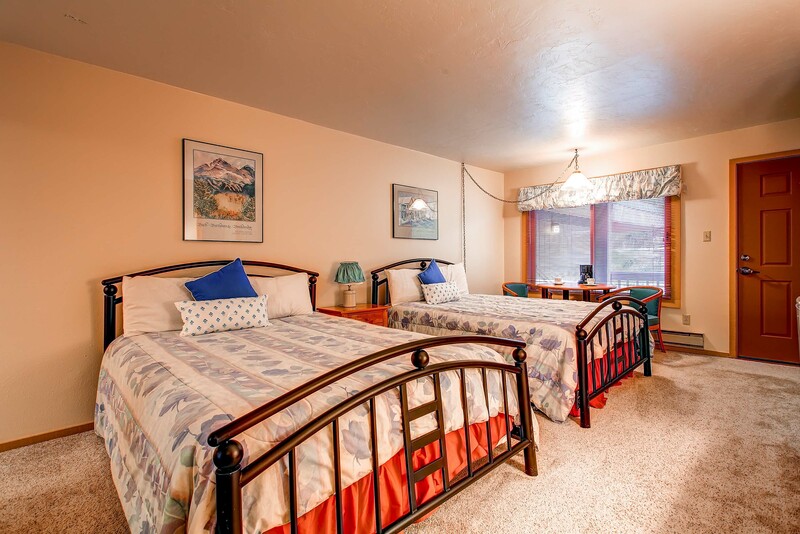 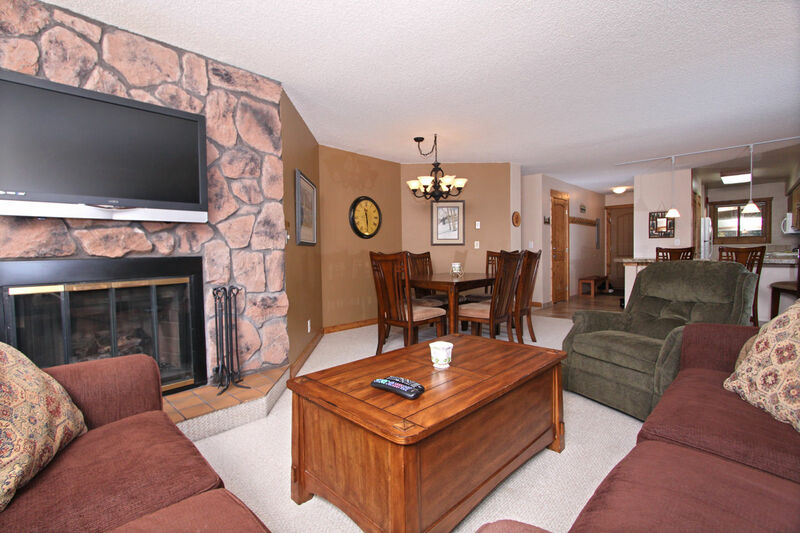 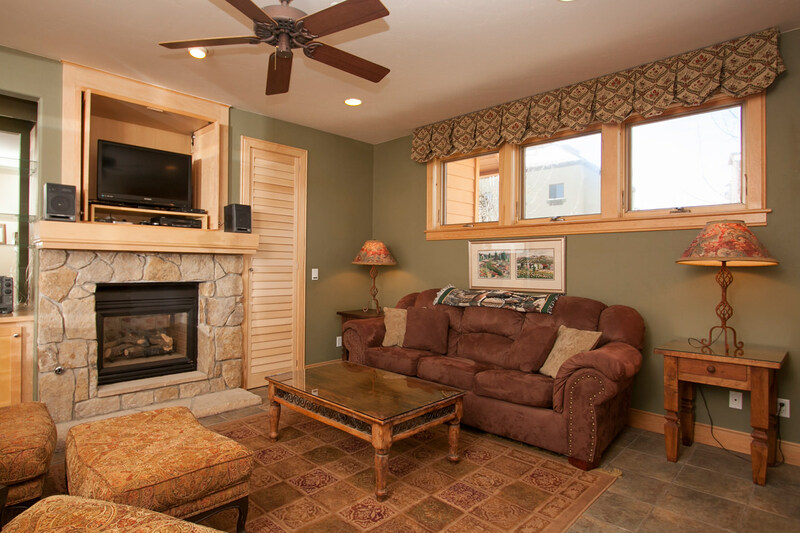 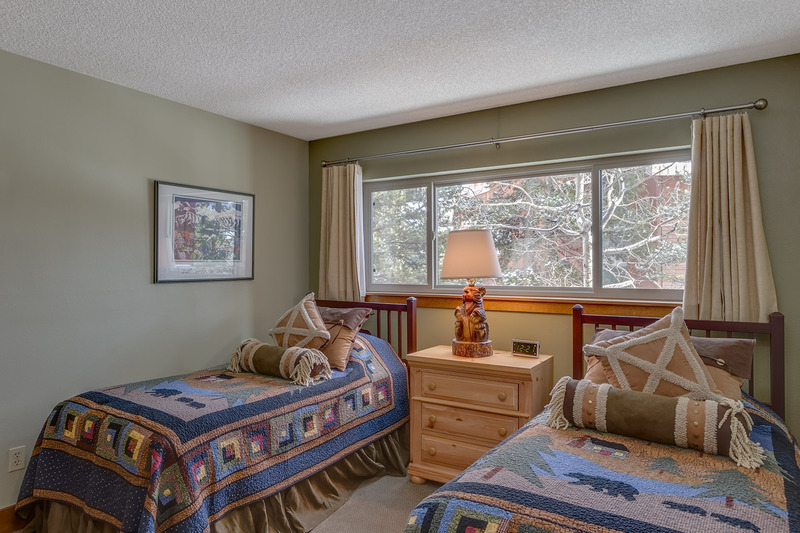 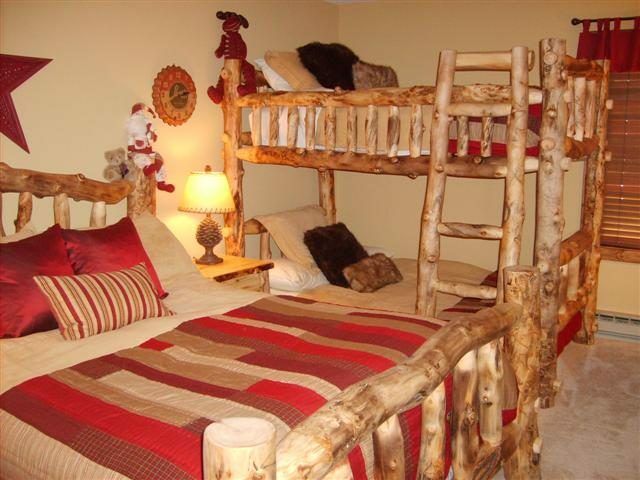 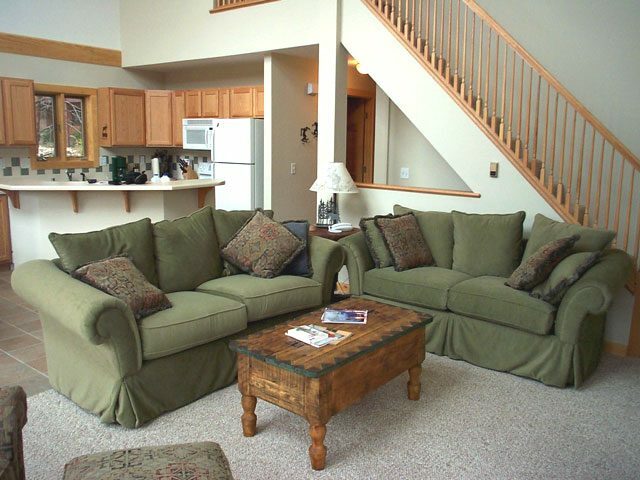 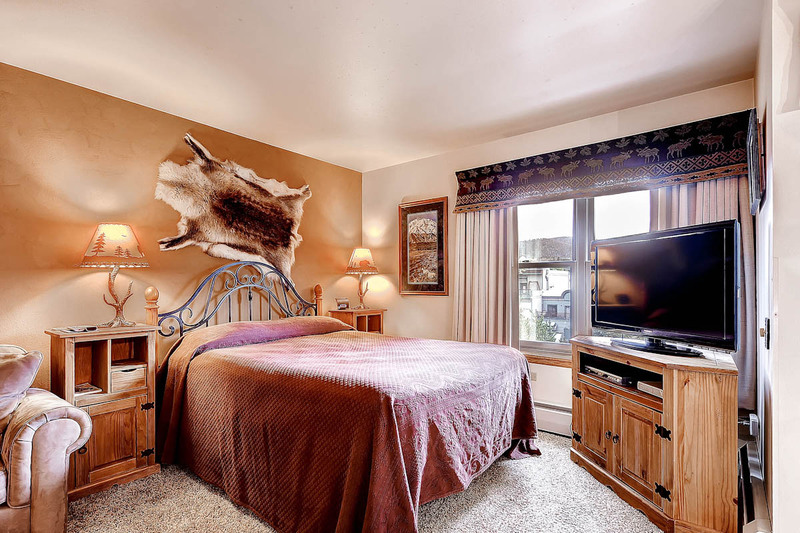 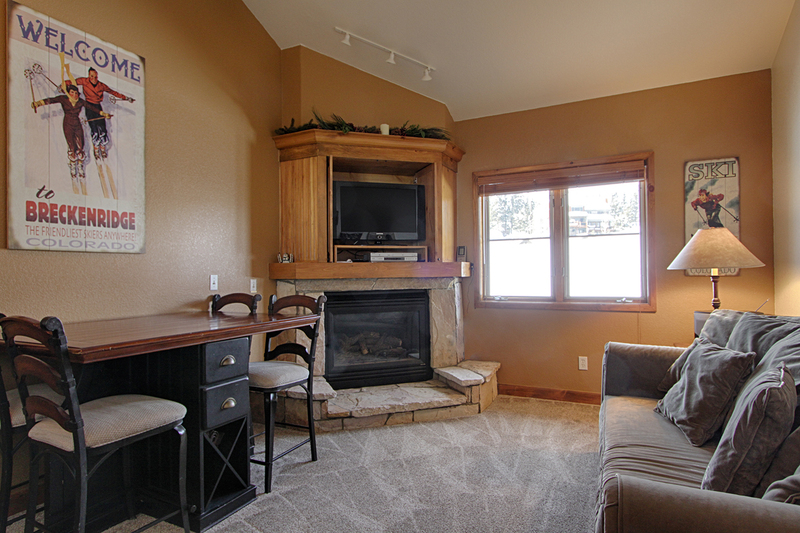 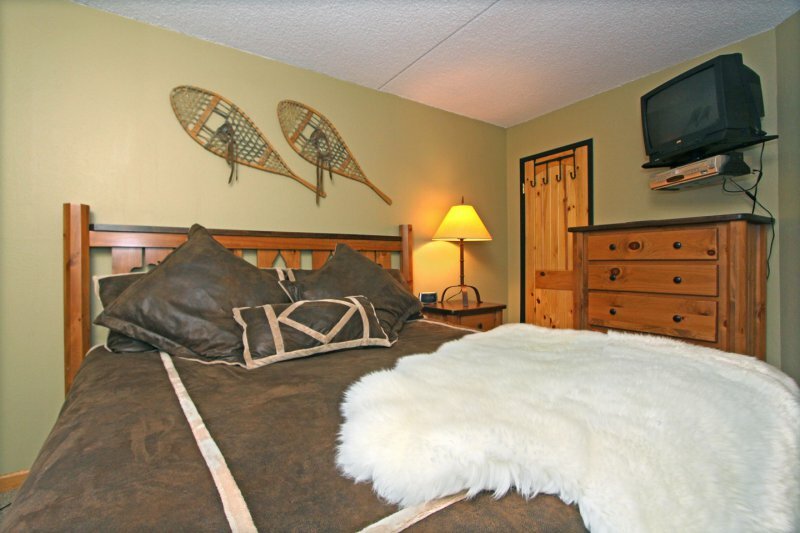 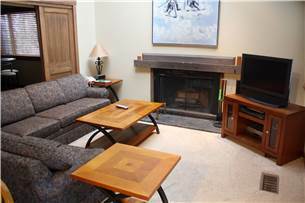 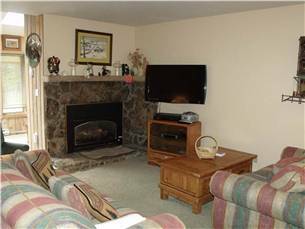 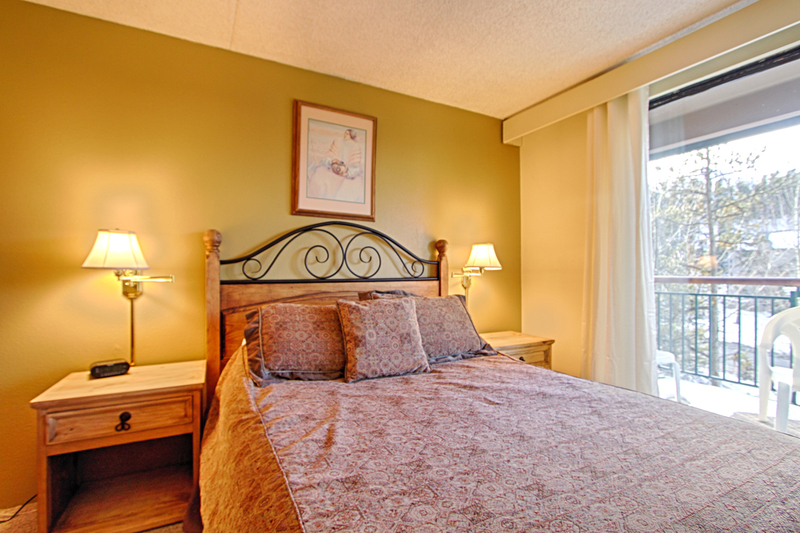 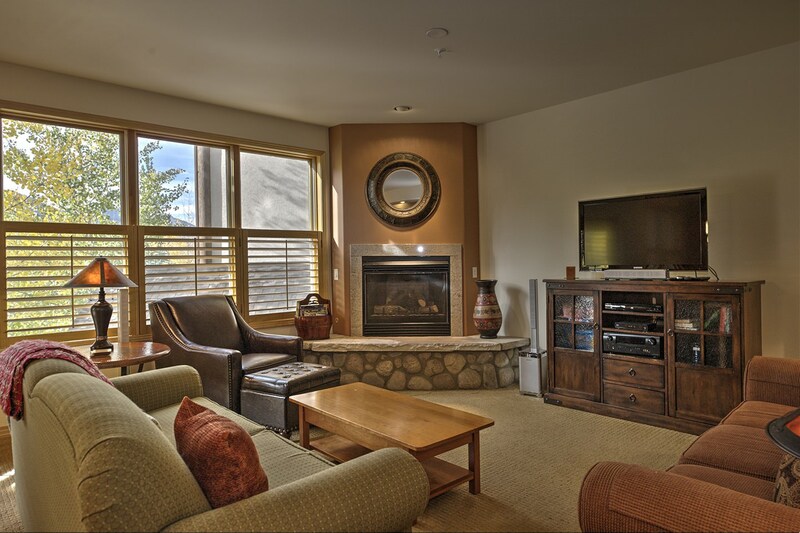 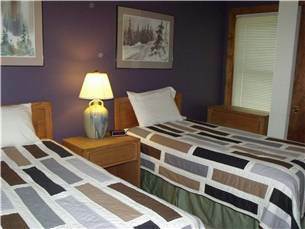 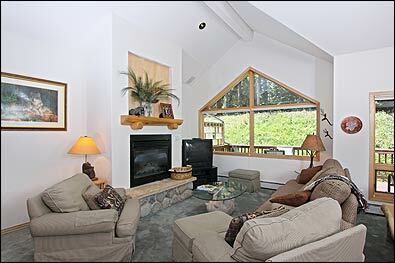 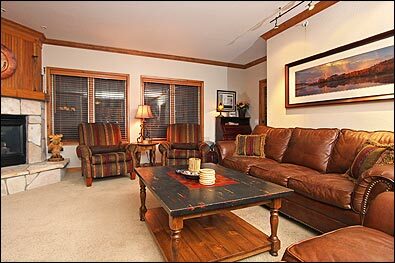 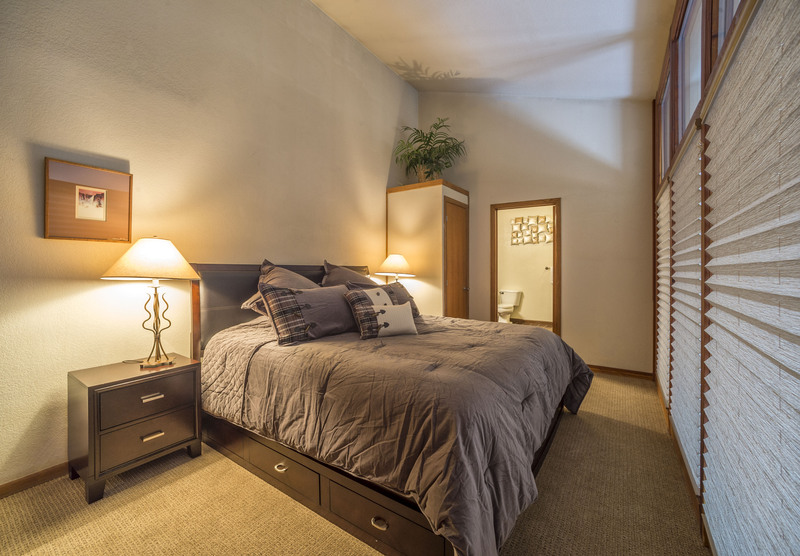 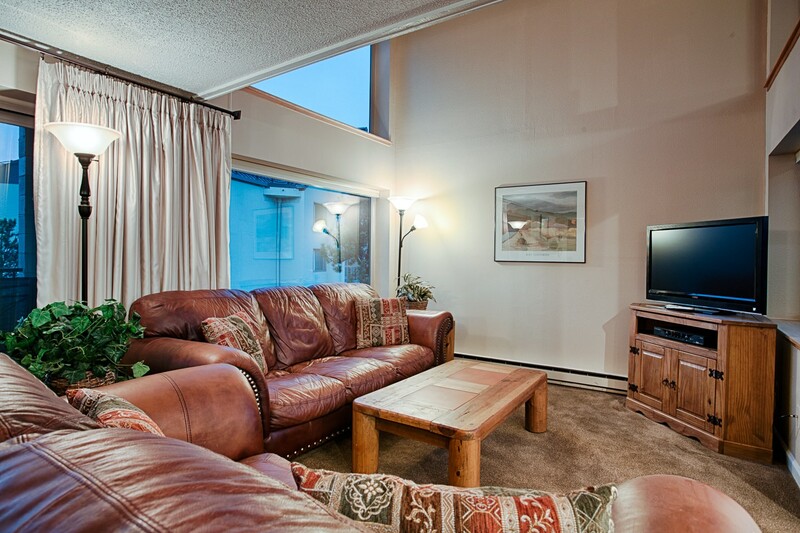 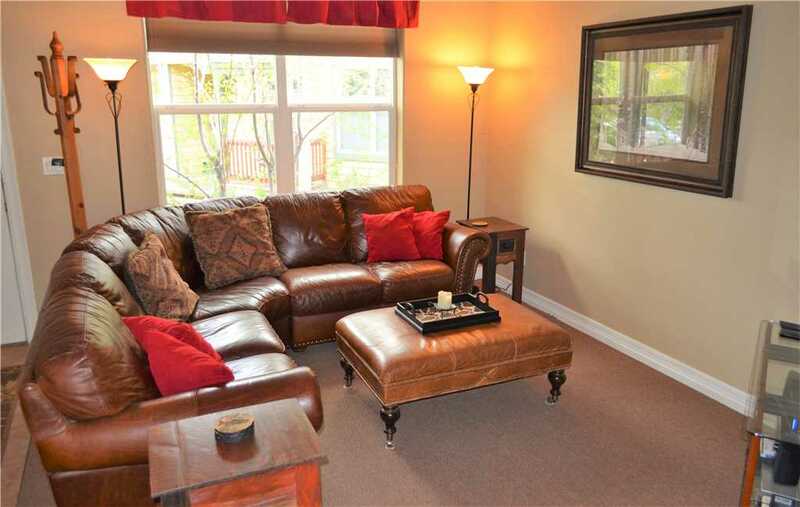 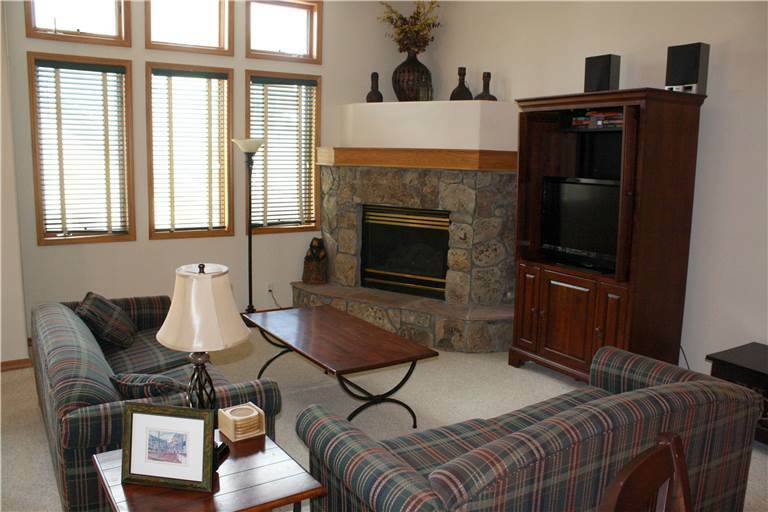 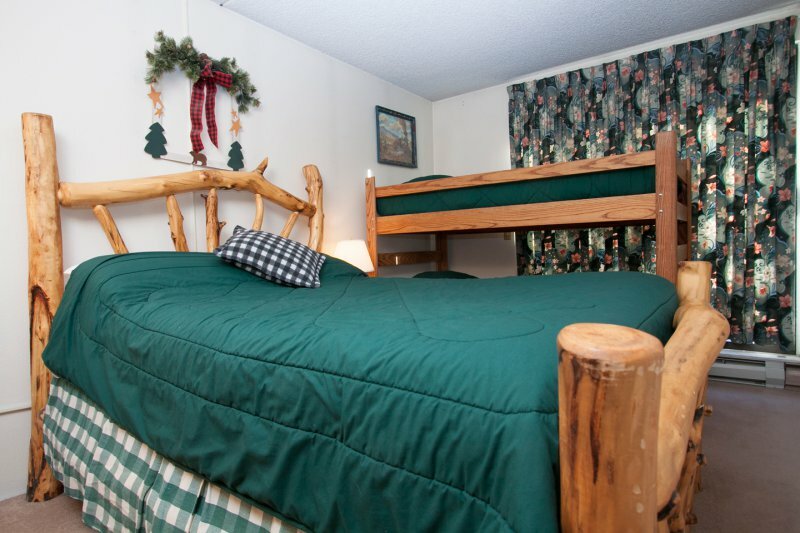 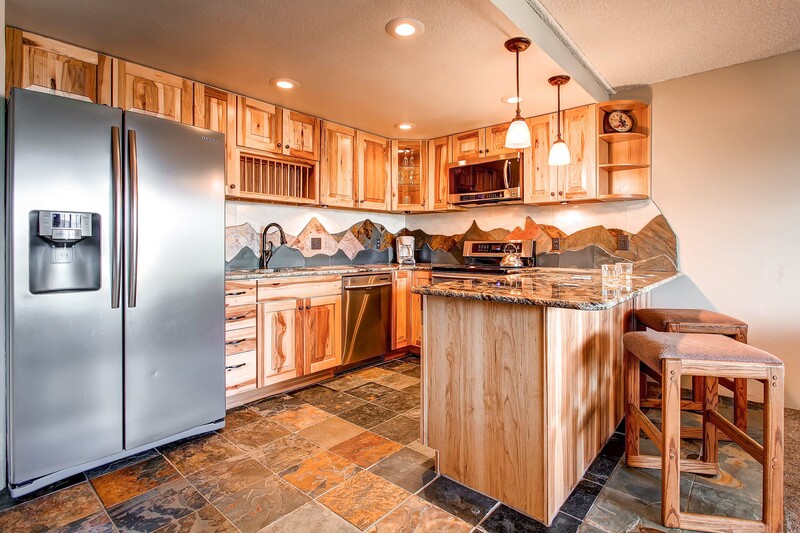 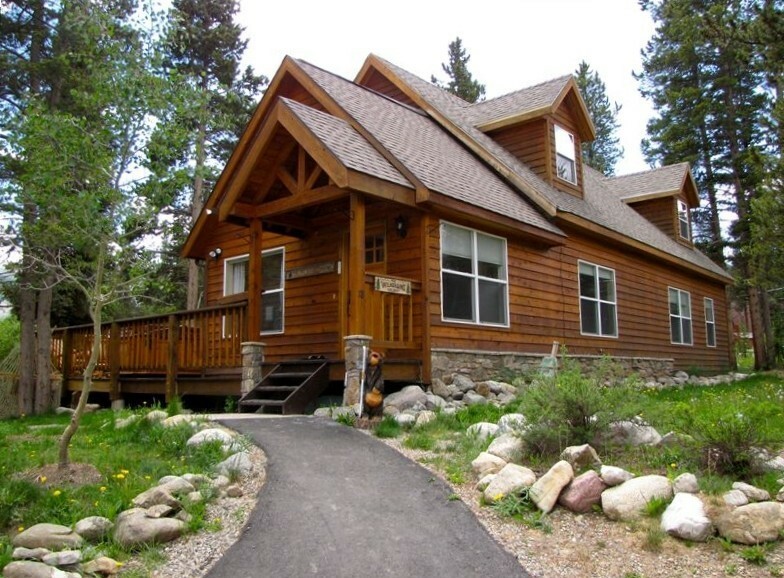 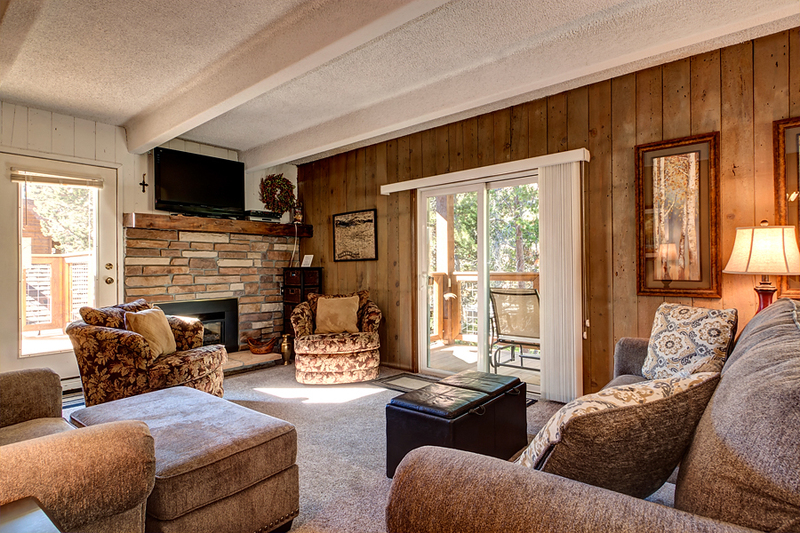 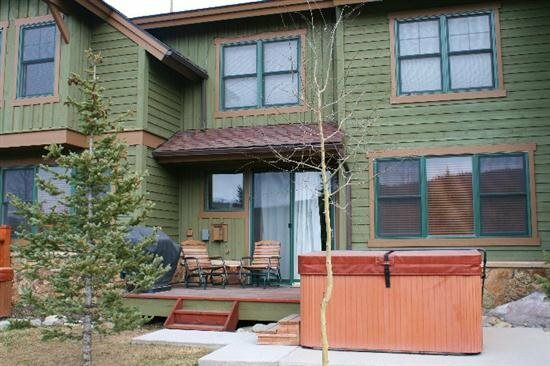 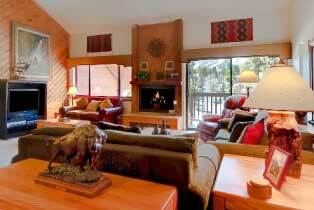 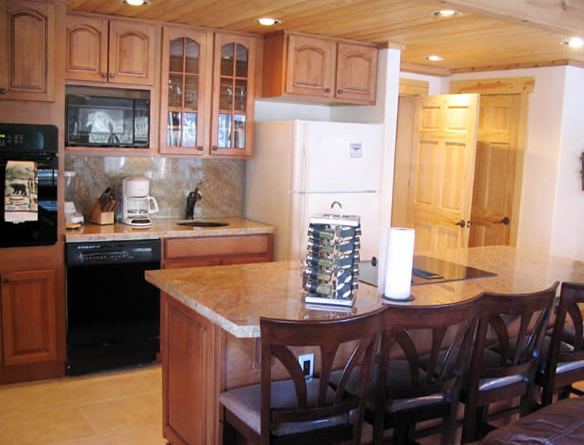 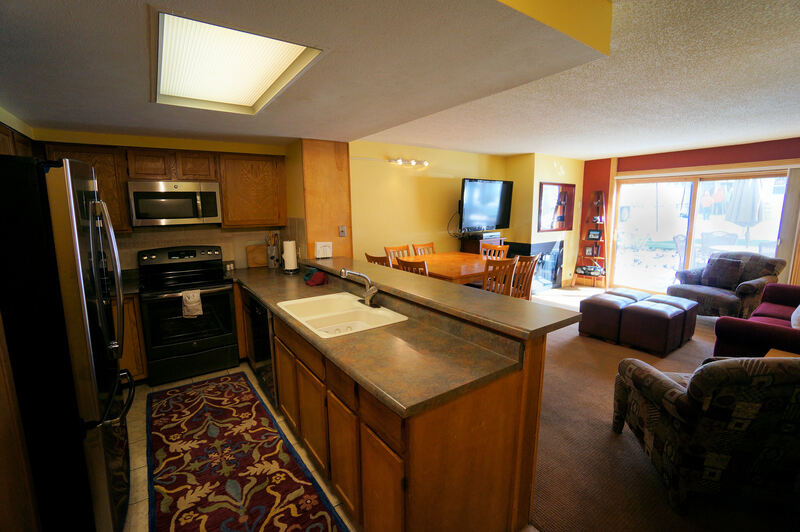 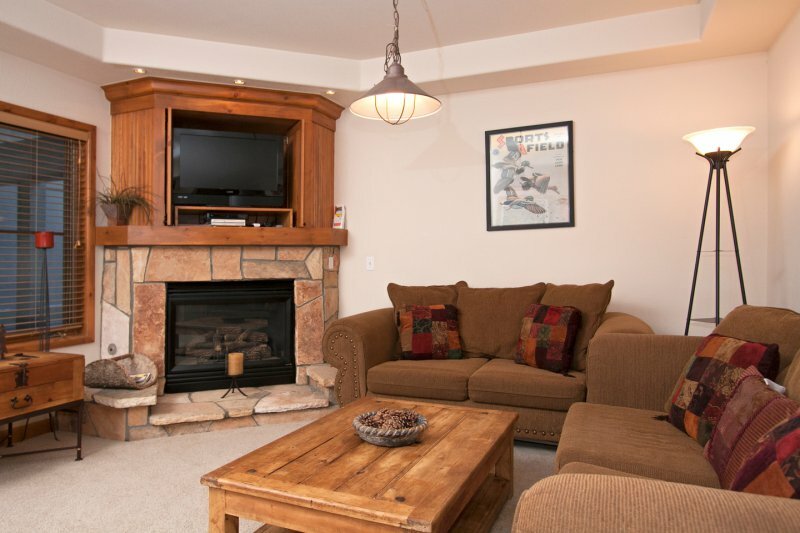 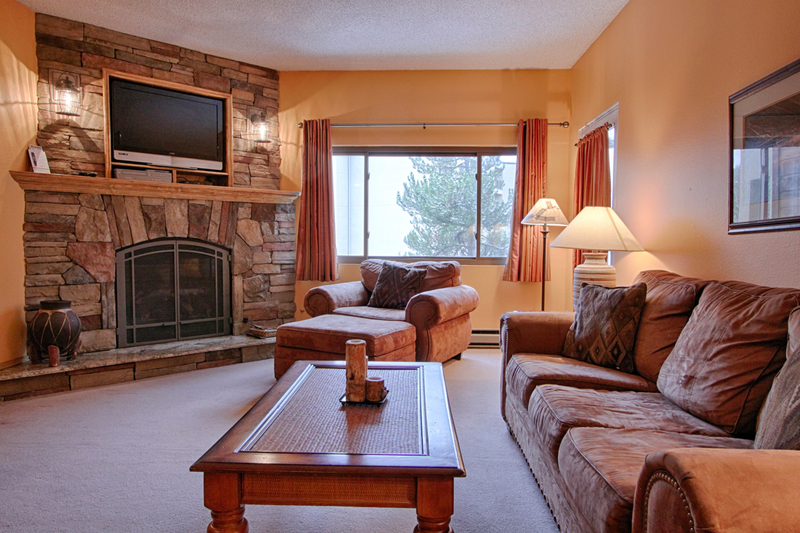 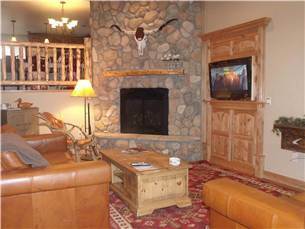 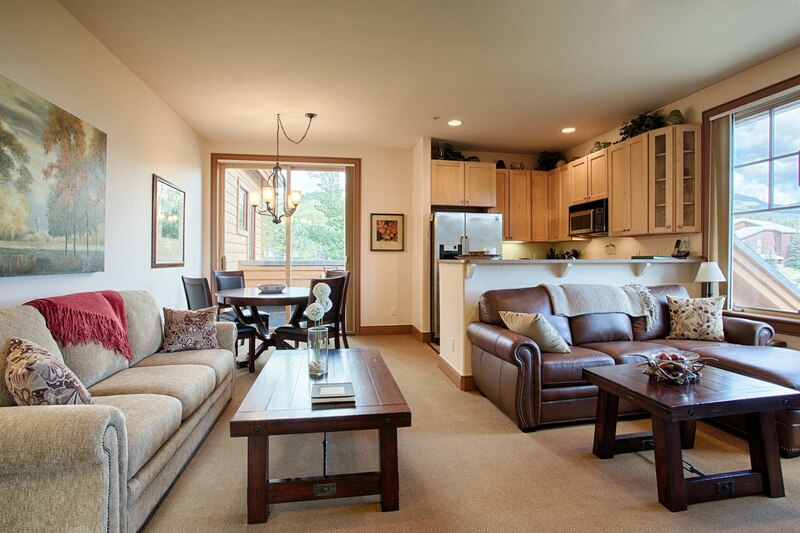 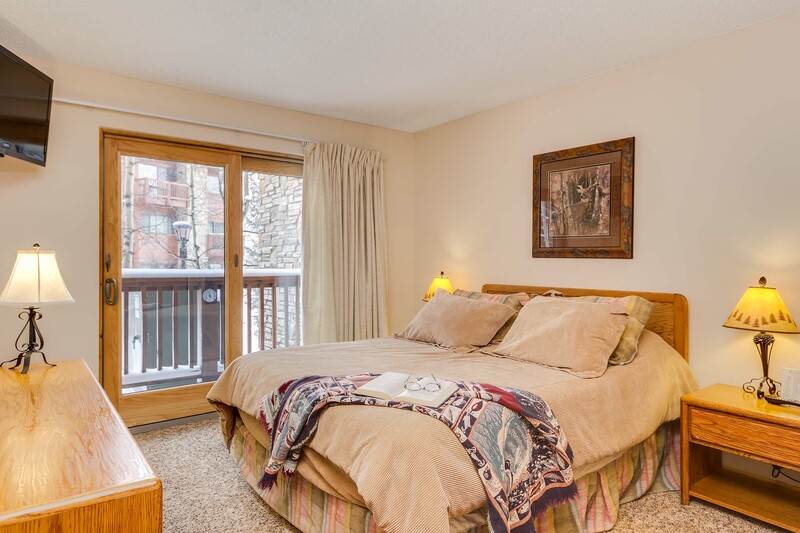 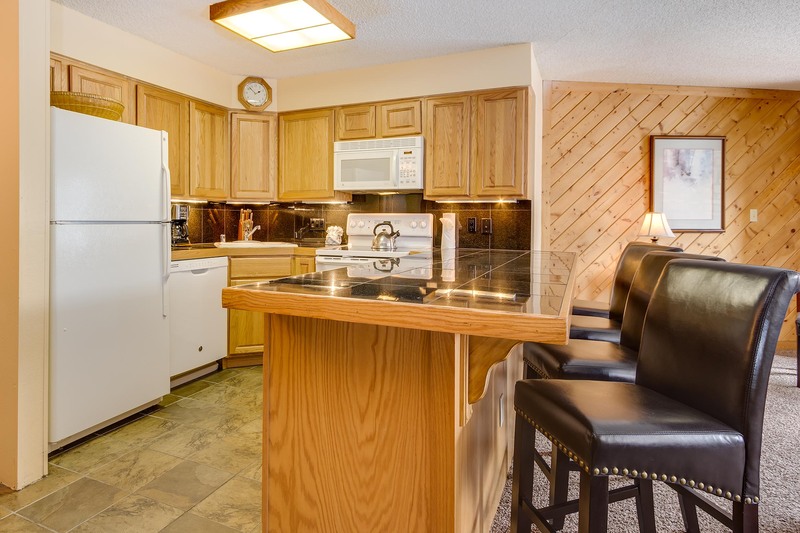 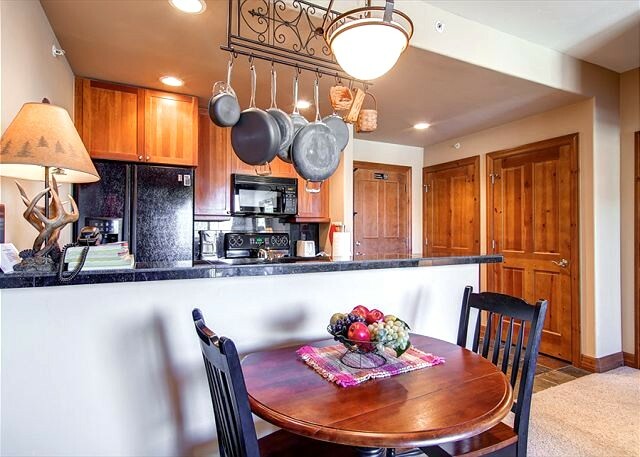 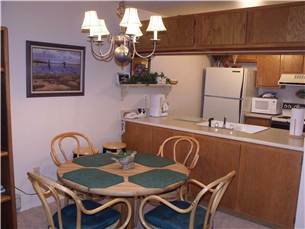 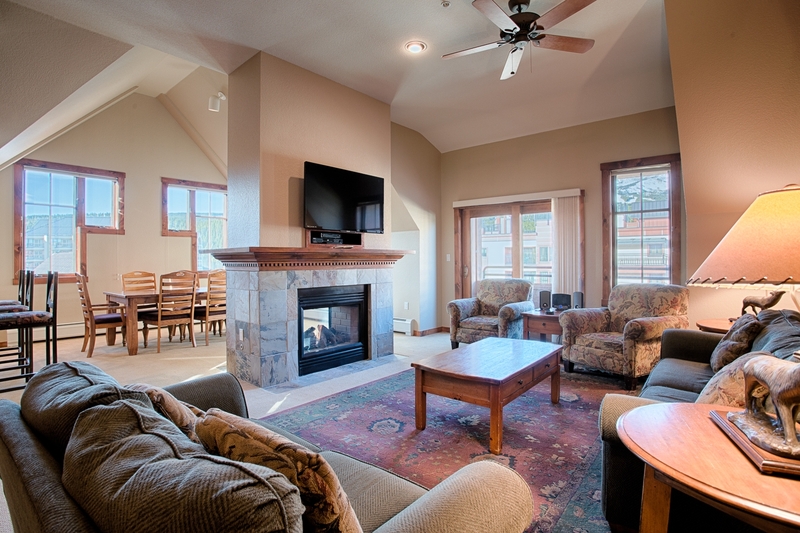 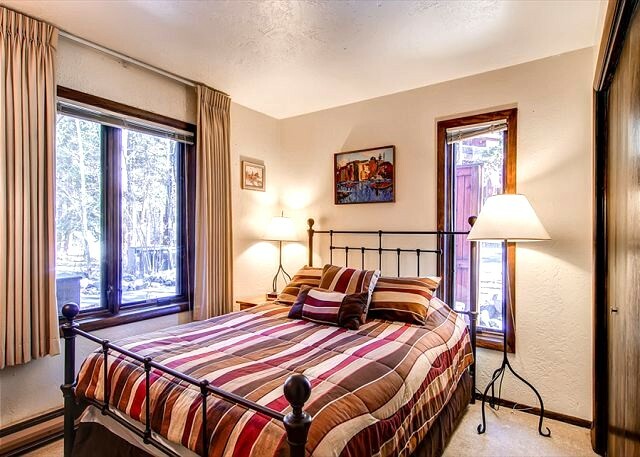 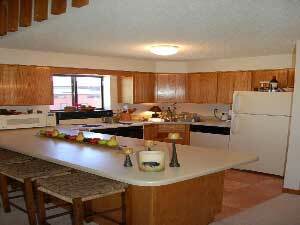 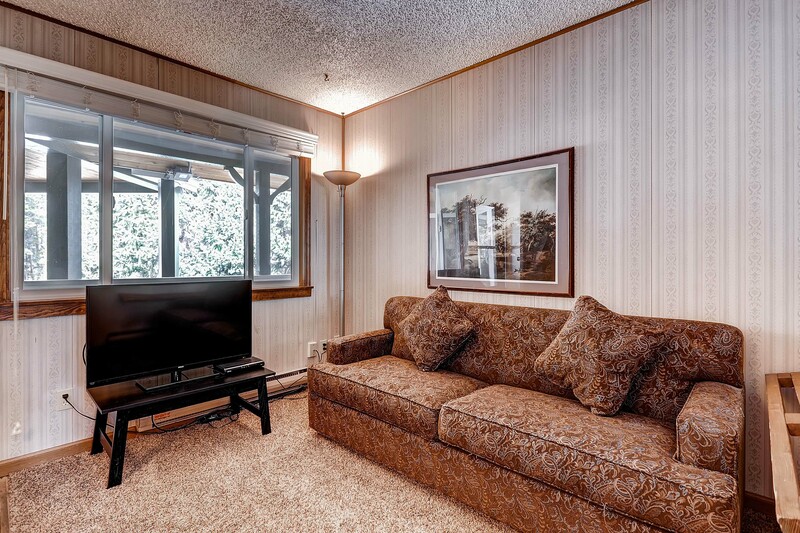 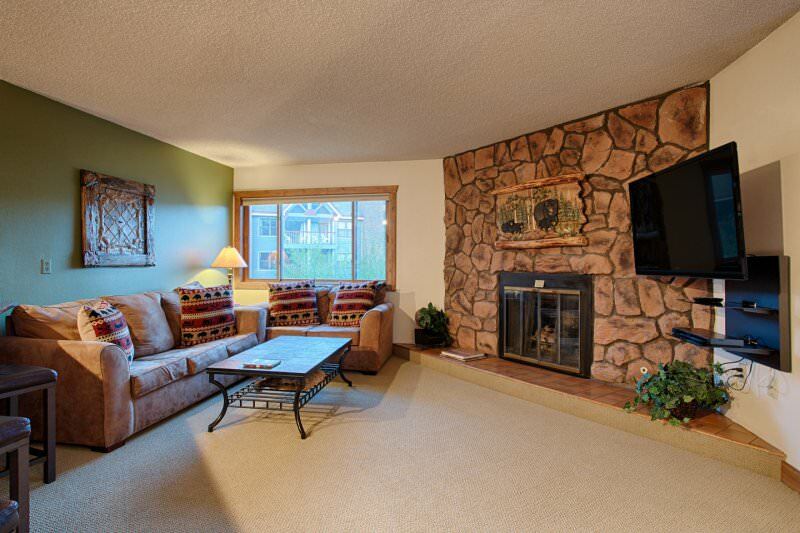 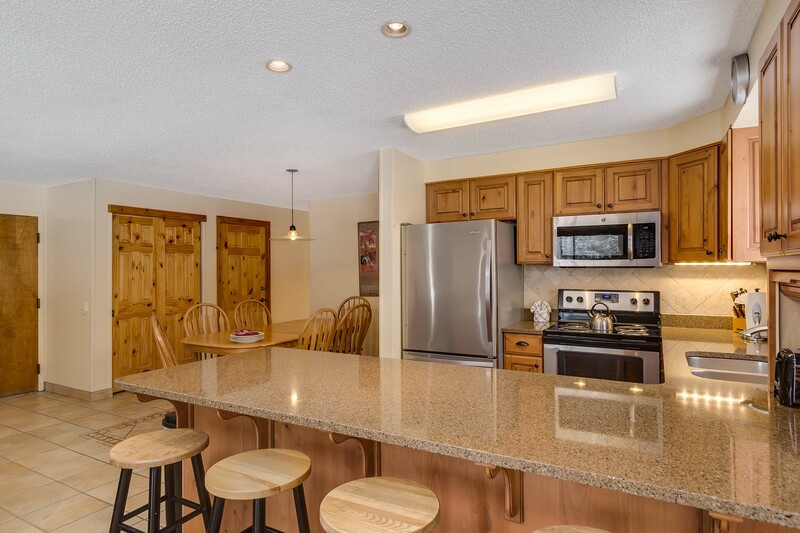 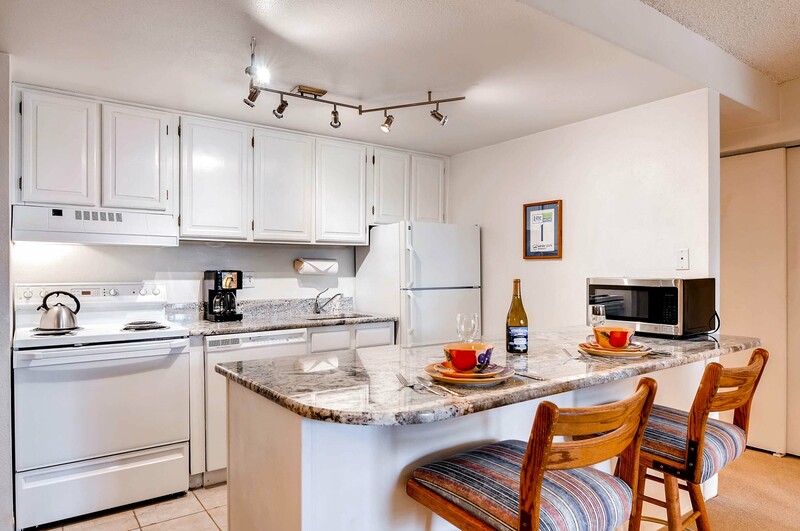 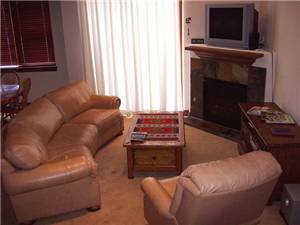 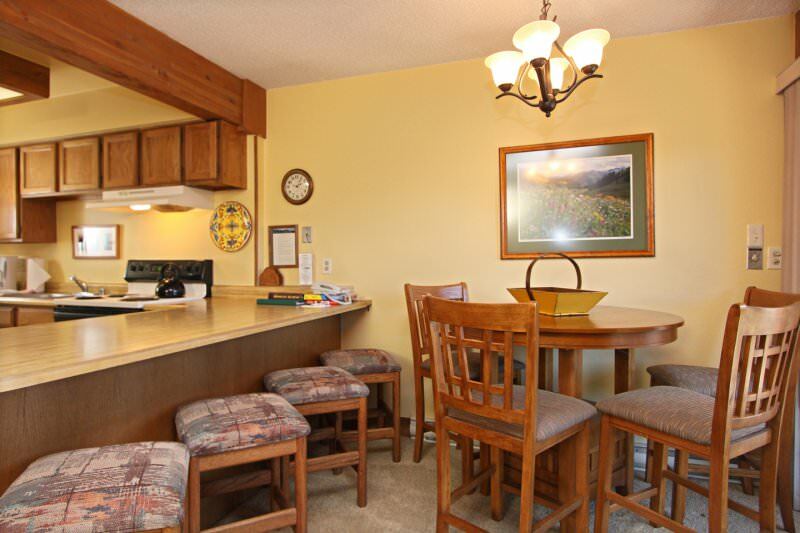 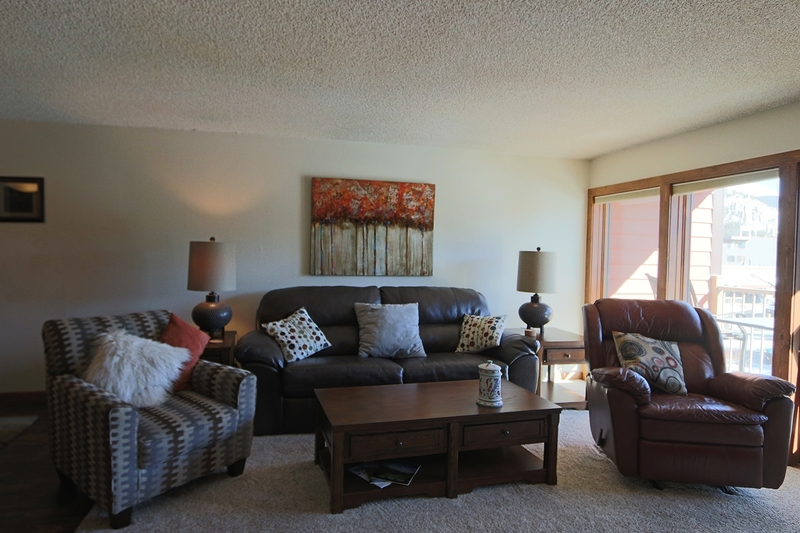 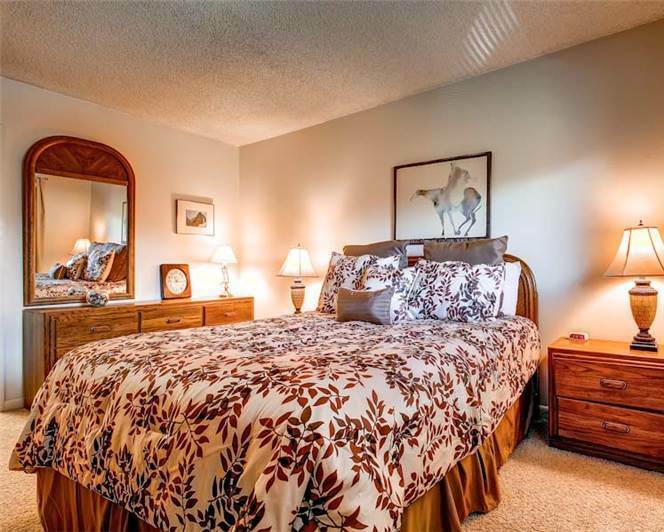 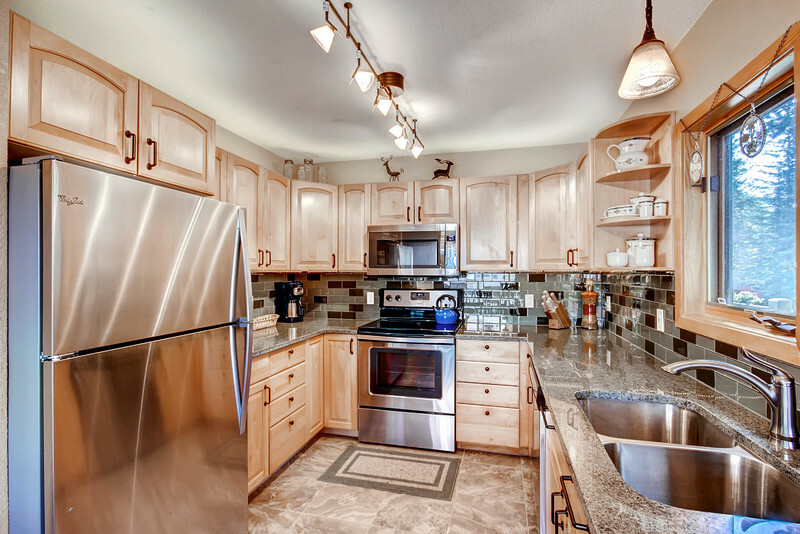 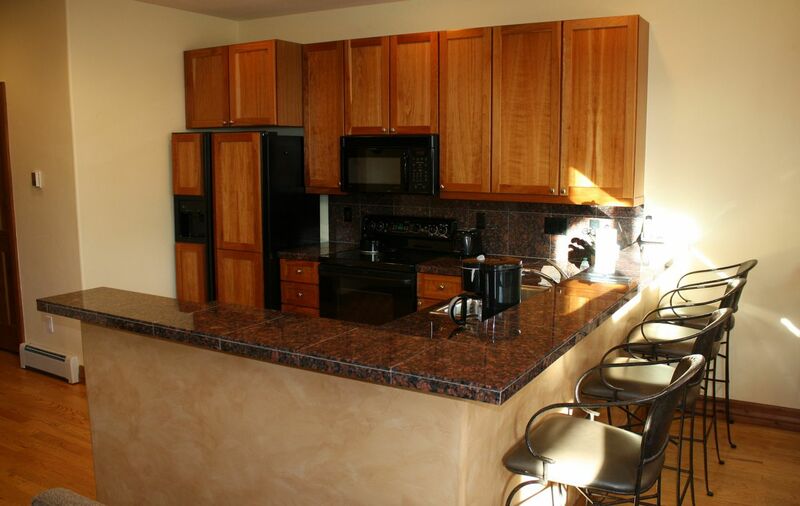 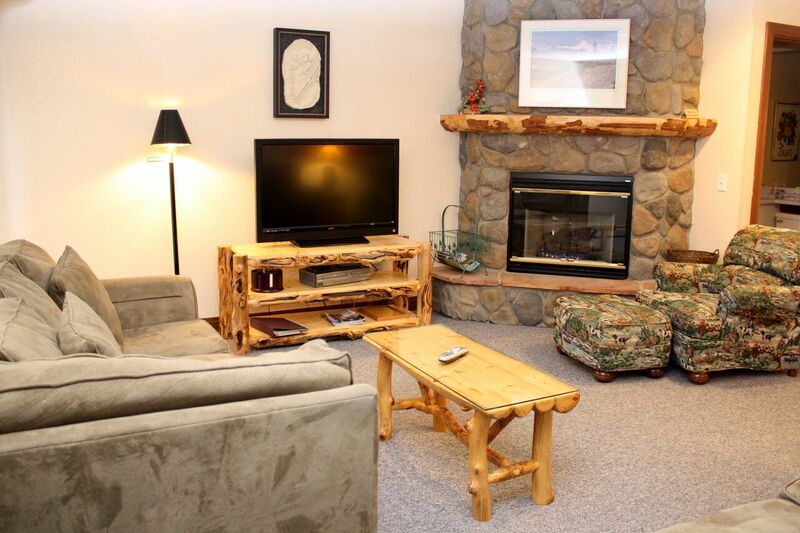 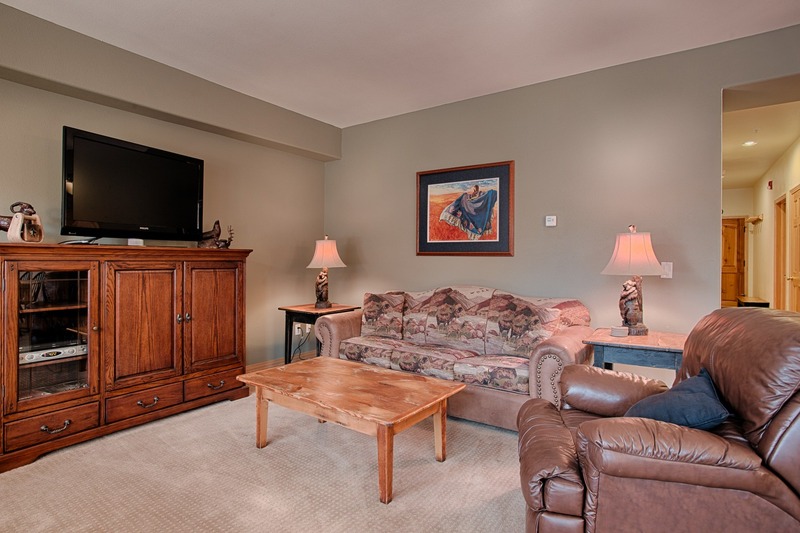 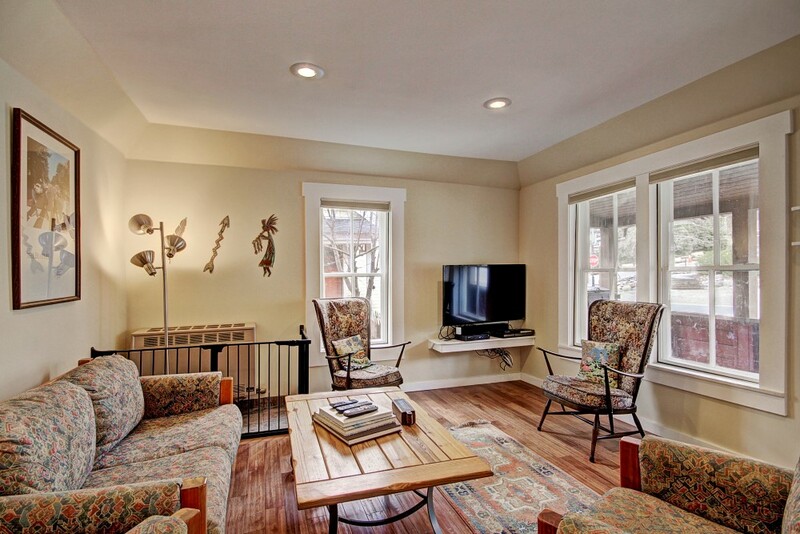 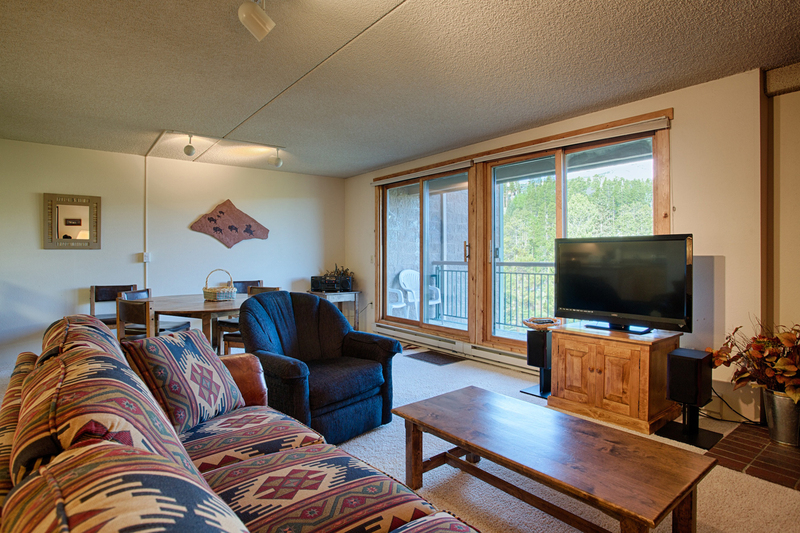 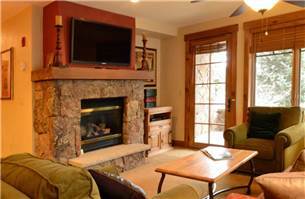 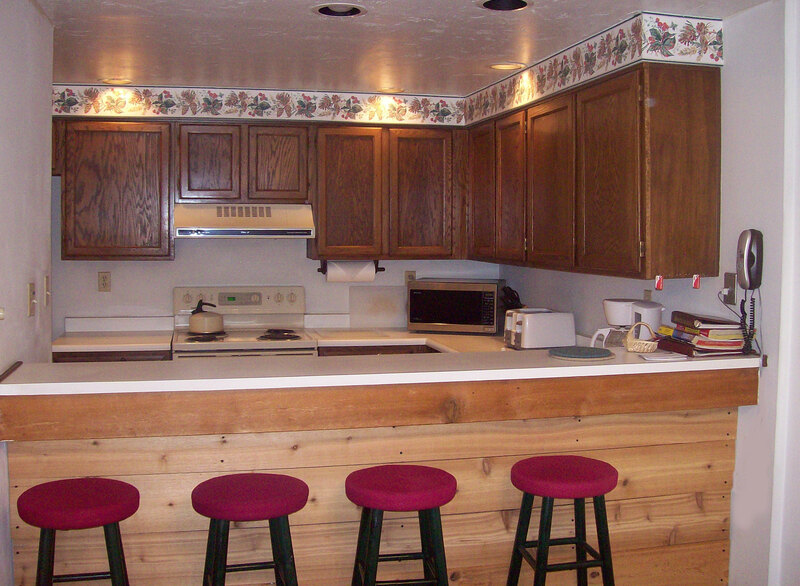 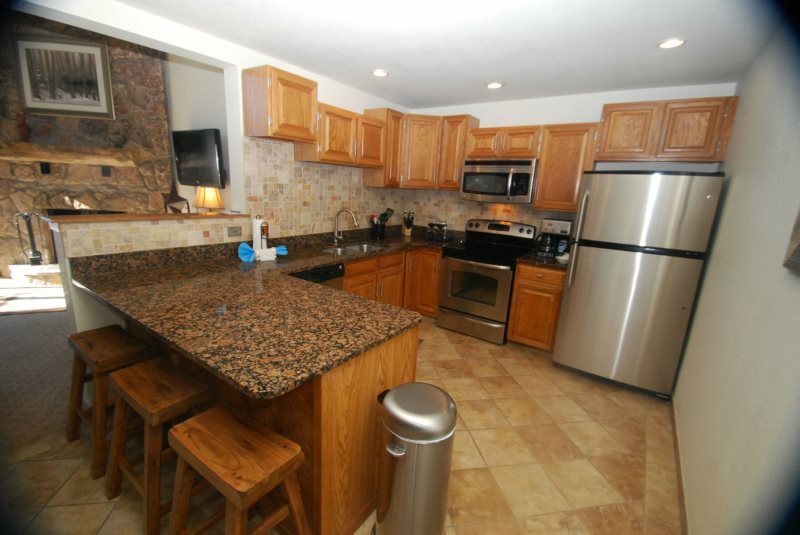 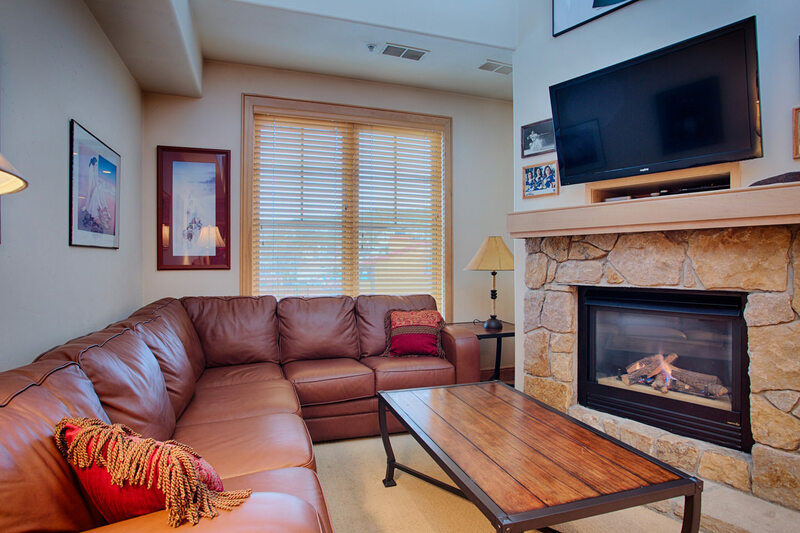 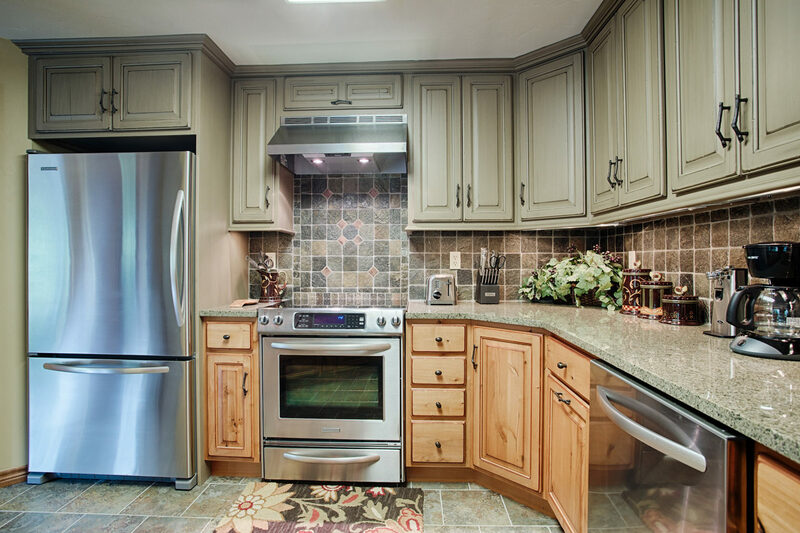 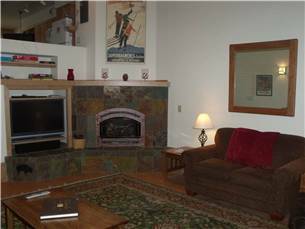 Each bedroom has lots of storage options and the master suite has its own flatscreen television and DVD player. 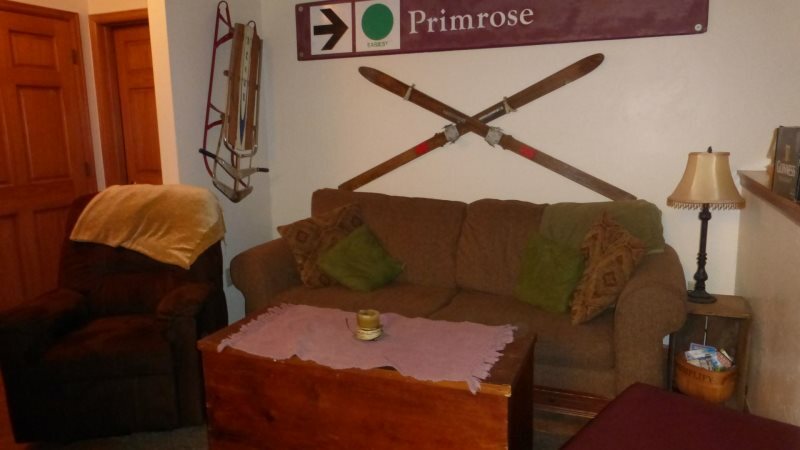 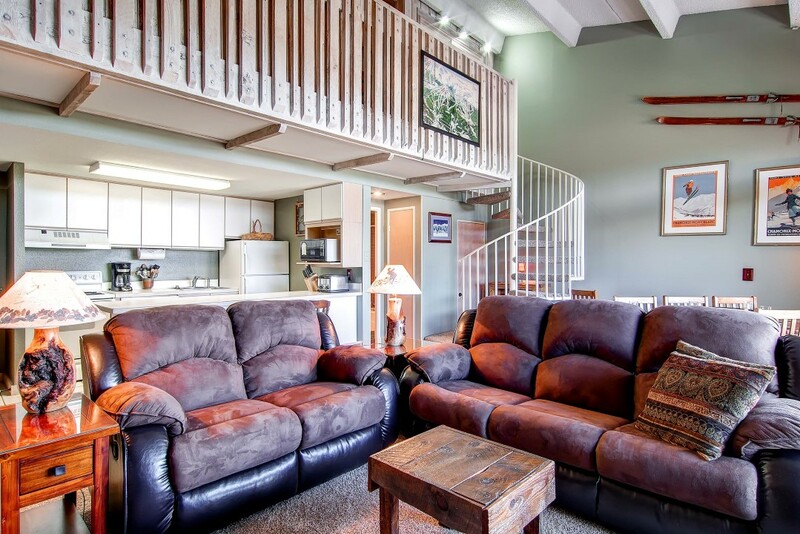 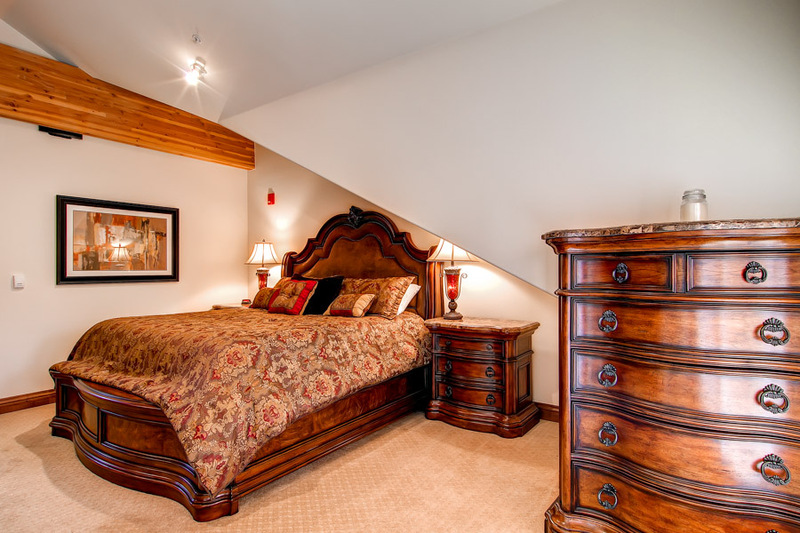 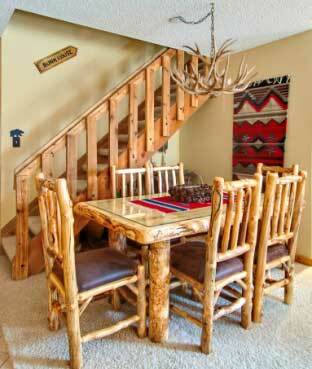 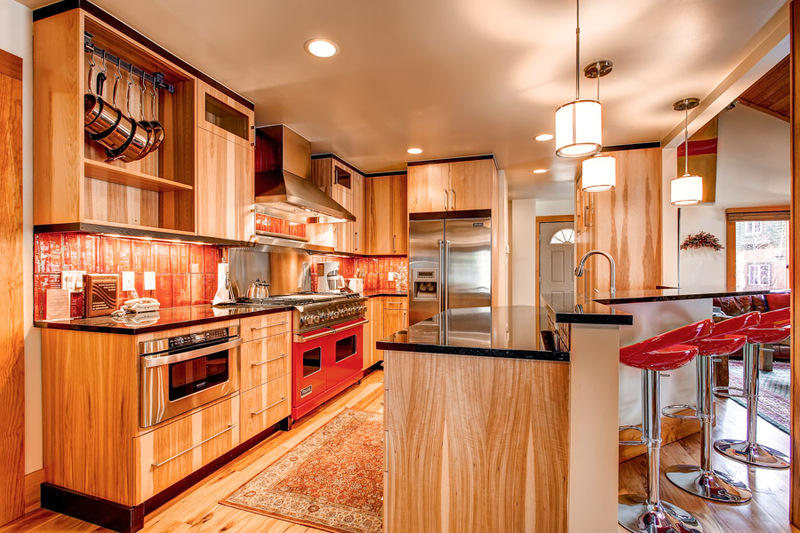 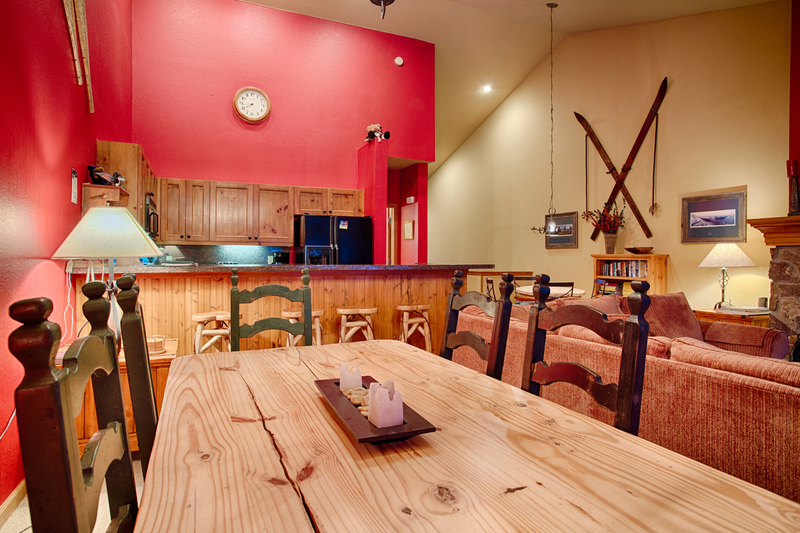 The loft feels extra spacious with four beds, a small desk and a dresser. 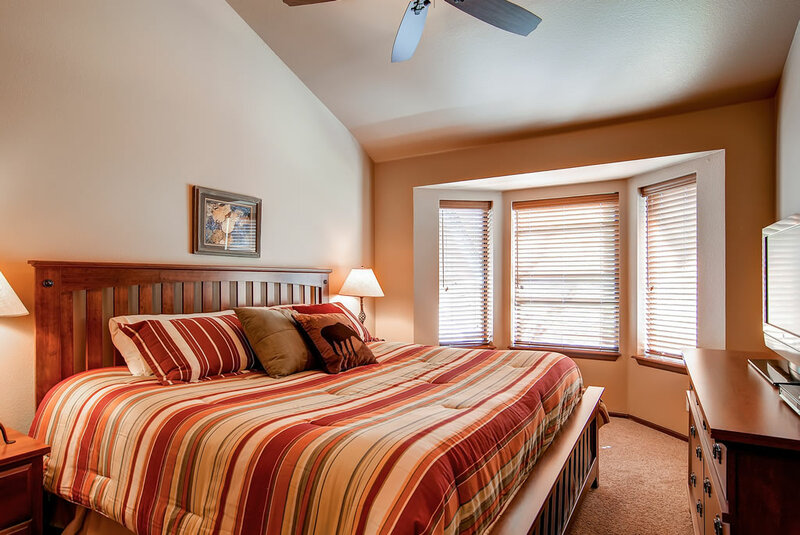 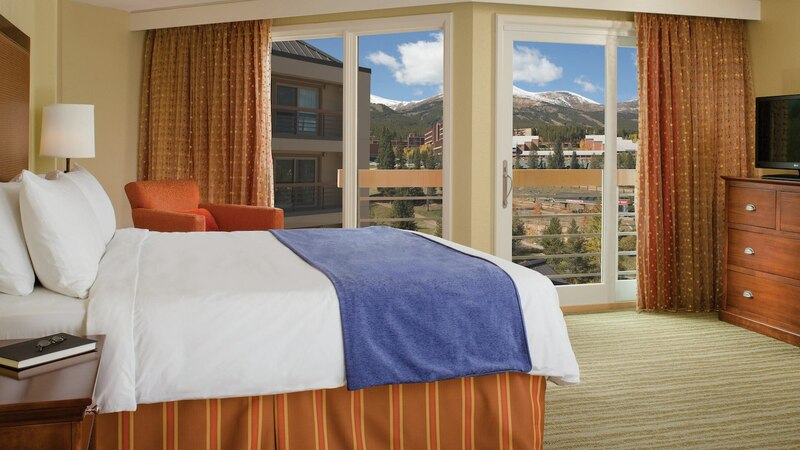 Late sleepers will also appreciate the blackout curtains throughout the condominium.